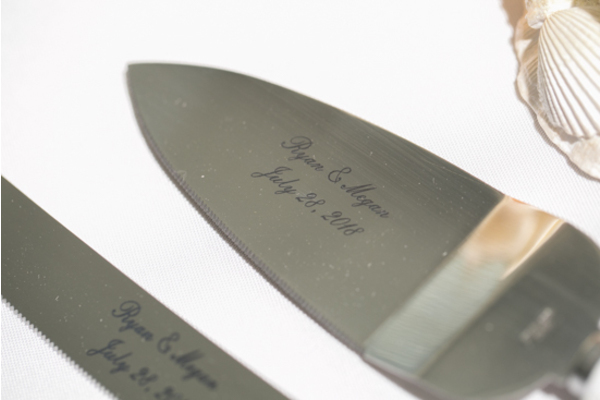 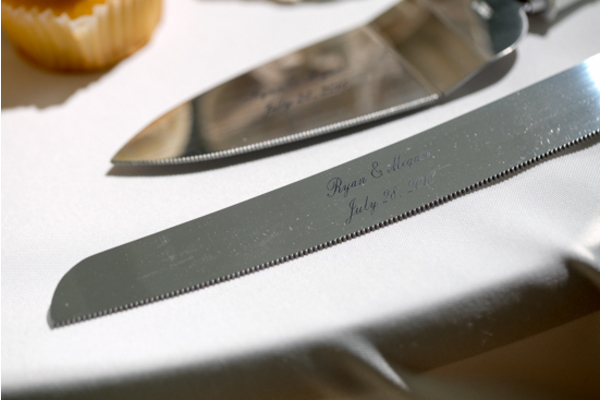 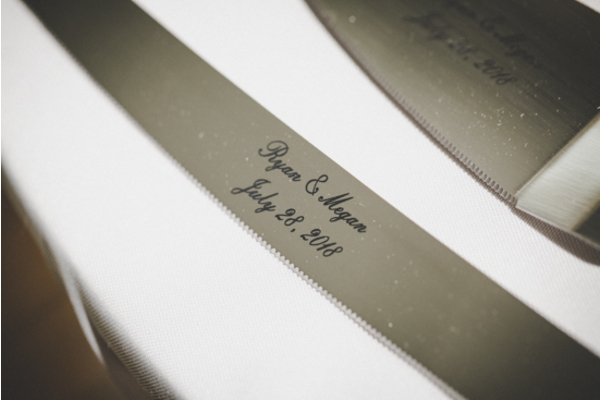 Congratulations to Megan and Ryan on their recent marriage! 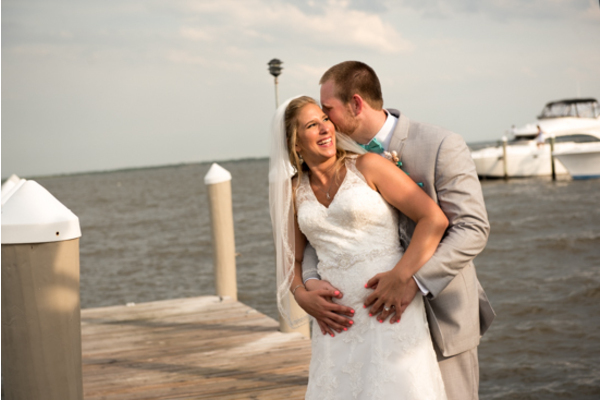 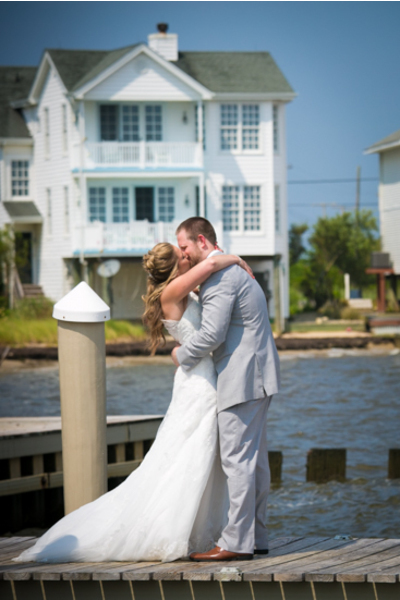 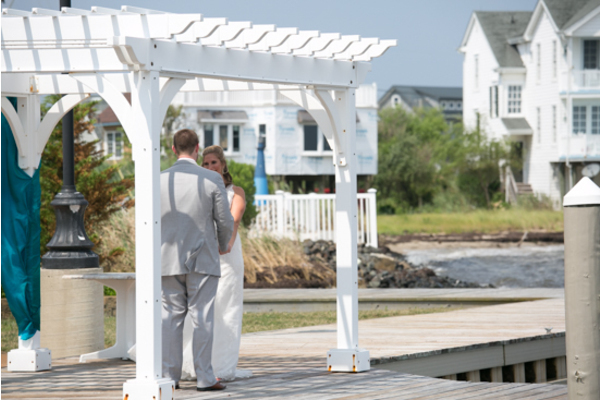 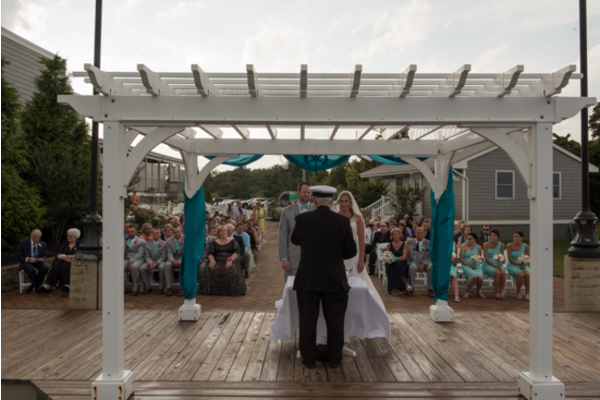 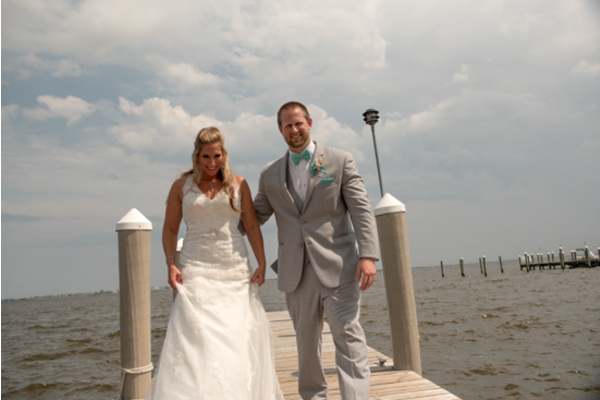 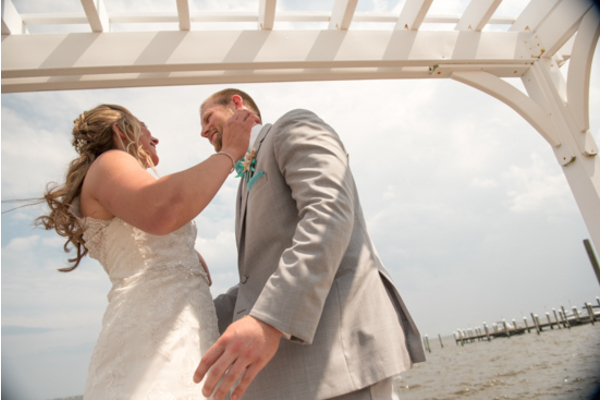 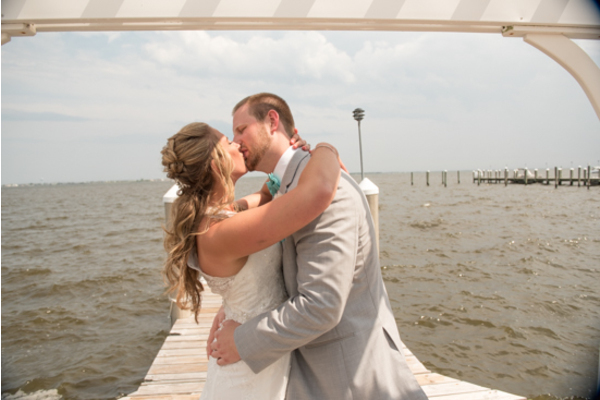 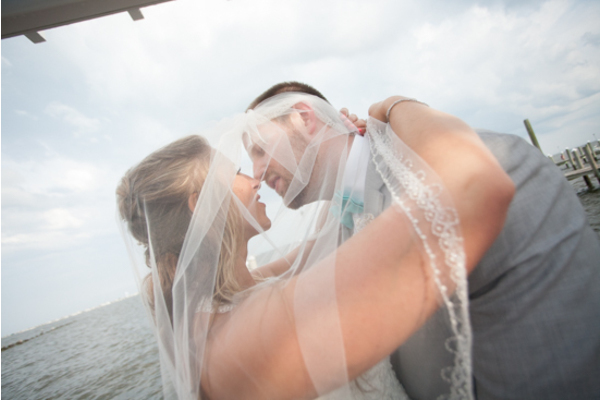 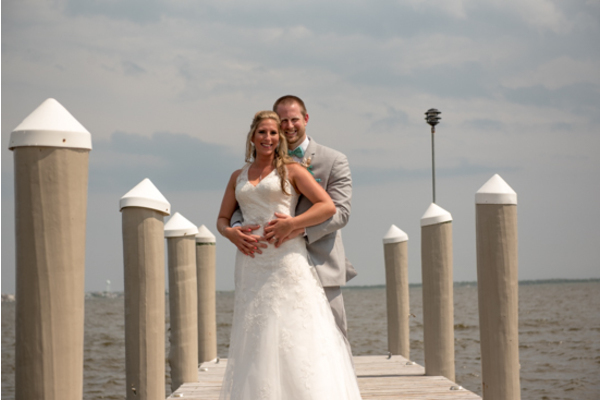 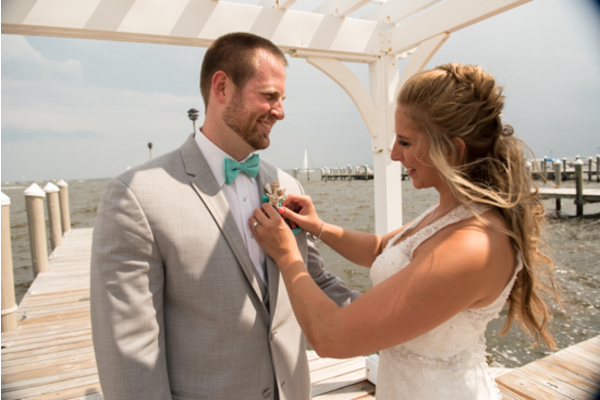 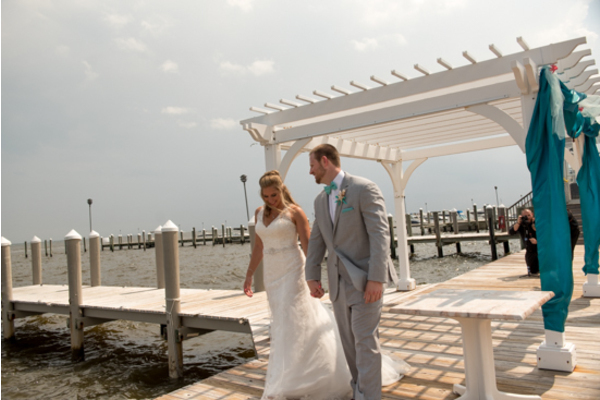 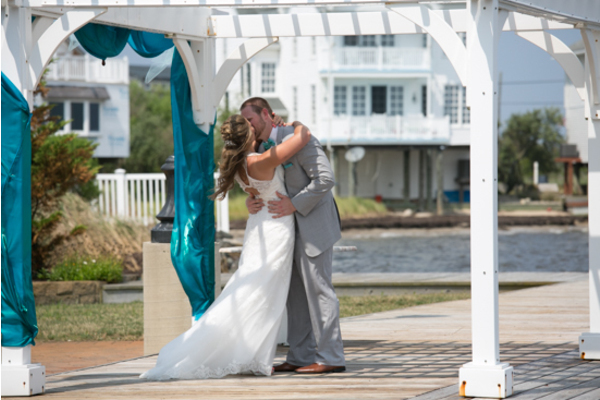 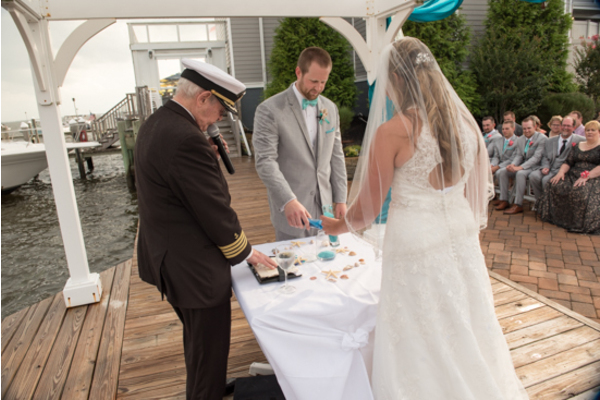 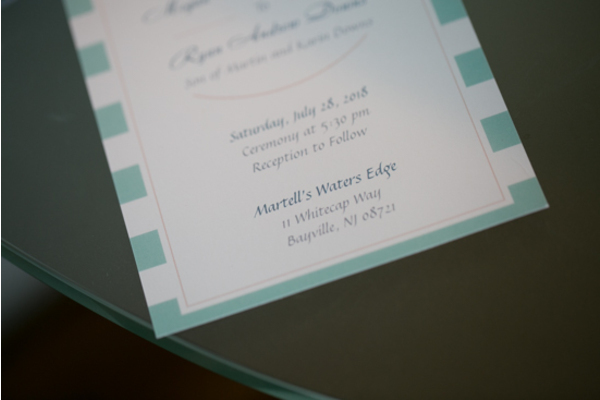 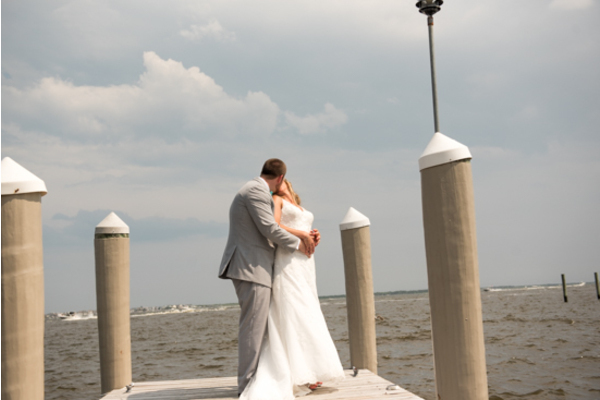 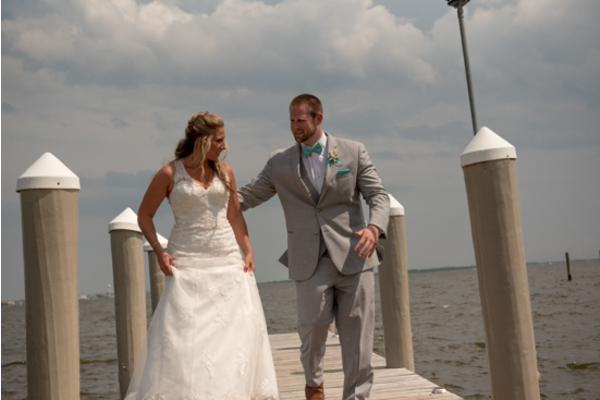 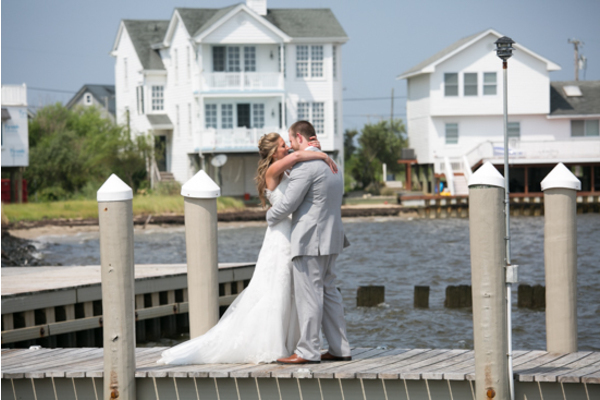 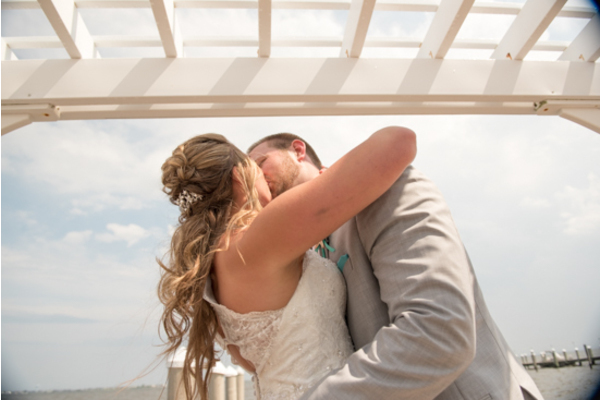 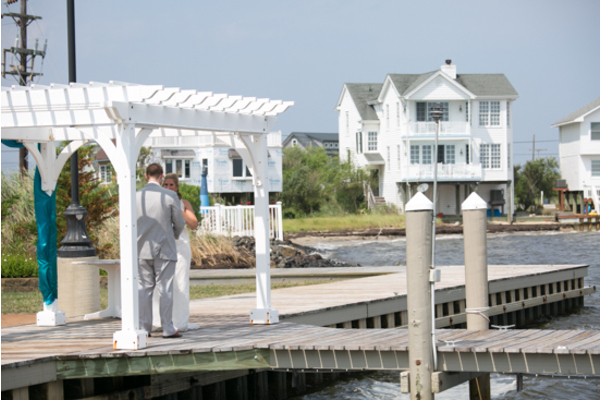 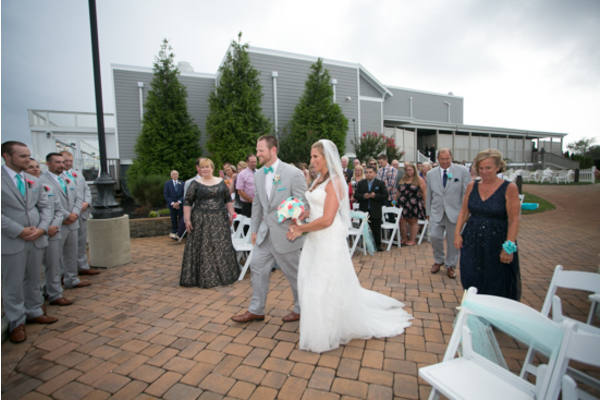 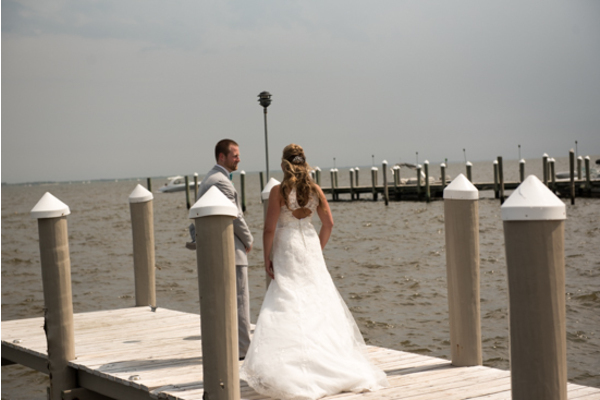 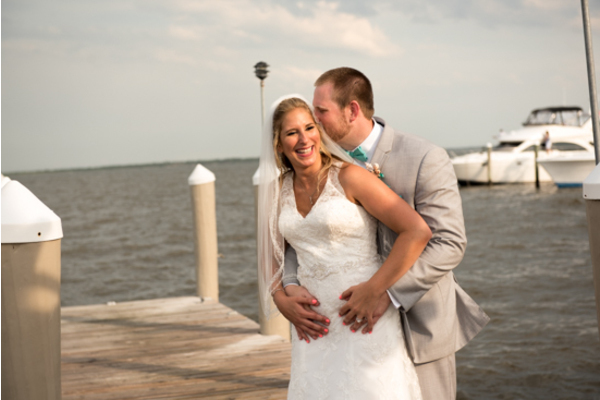 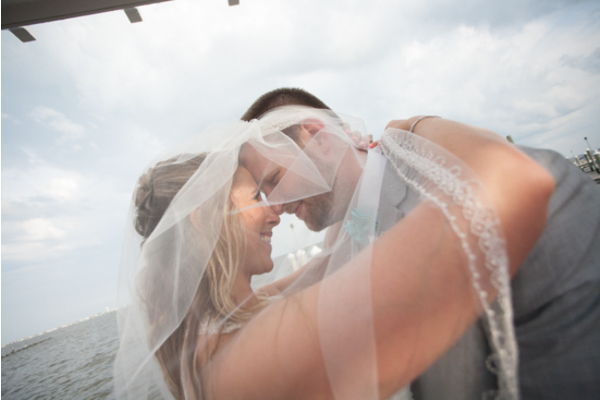 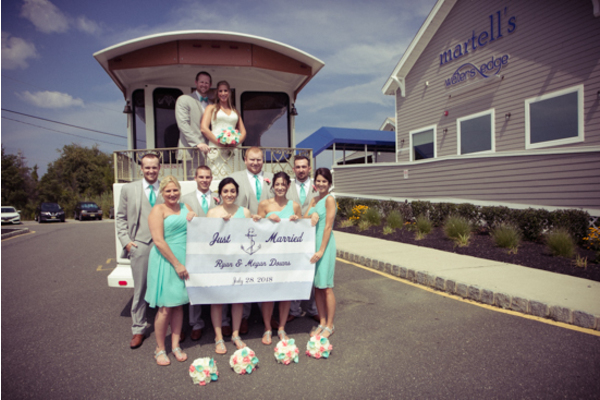 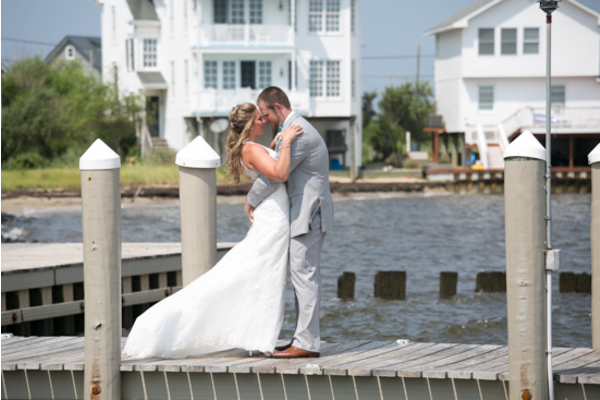 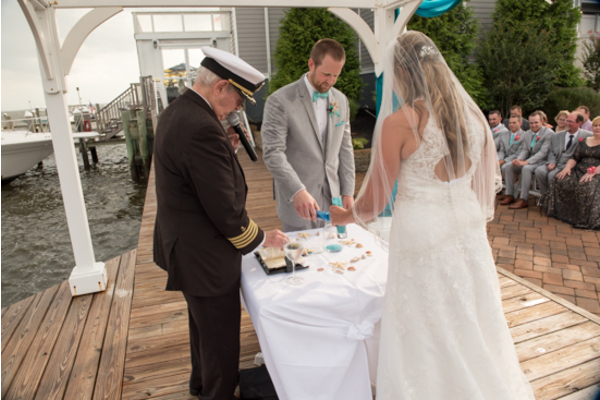 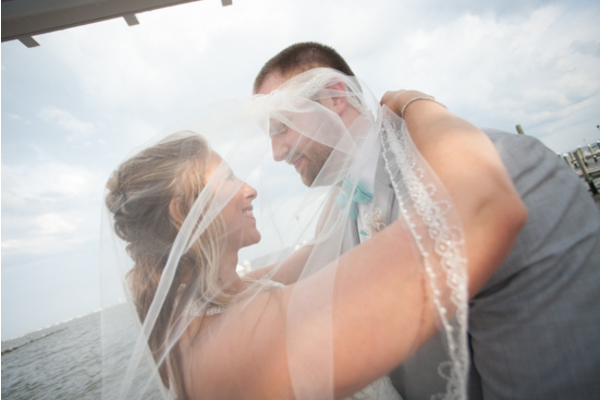 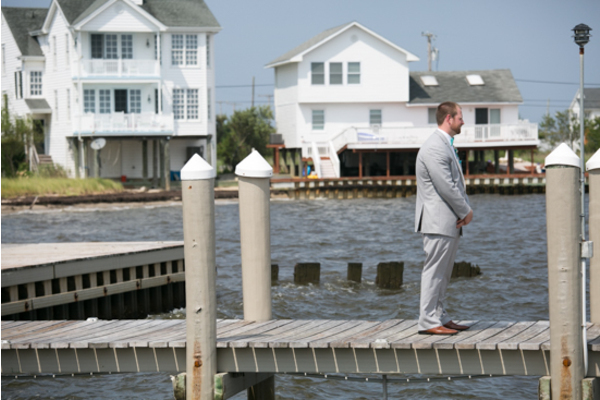 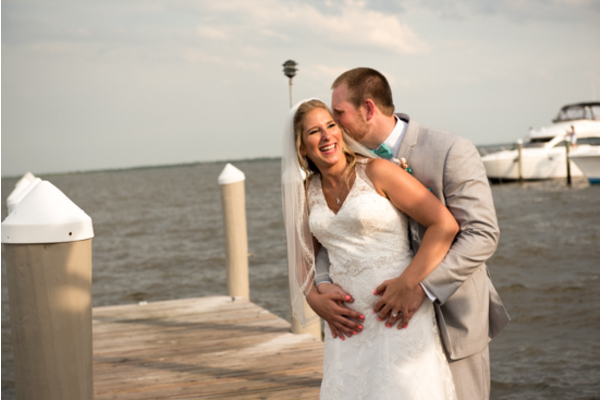 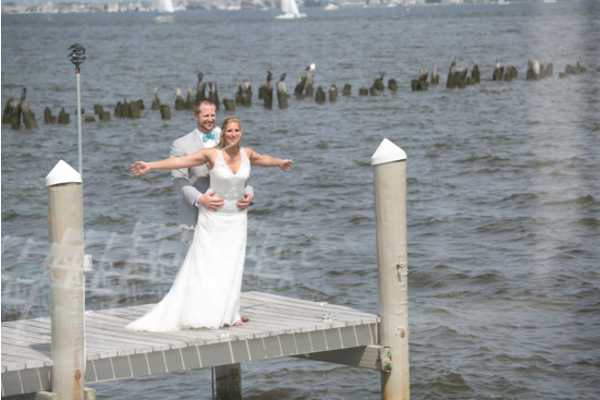 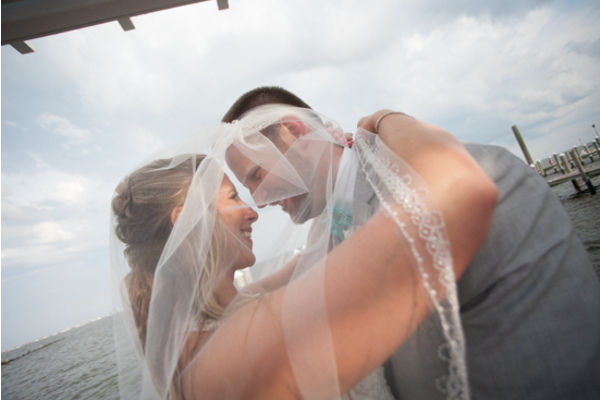 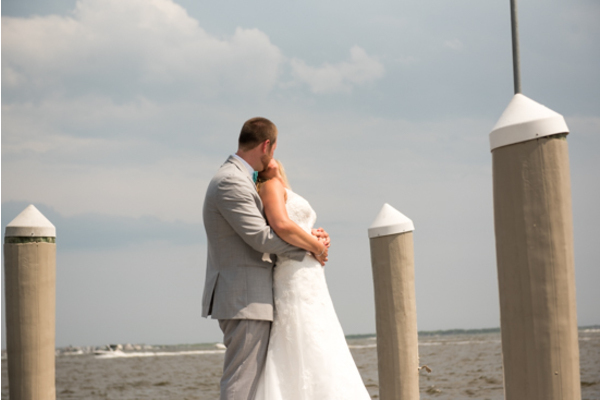 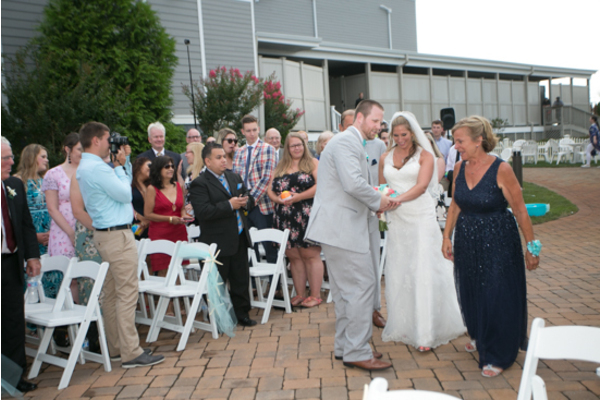 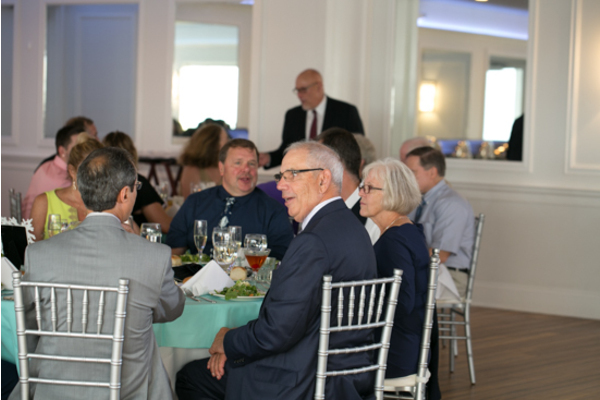 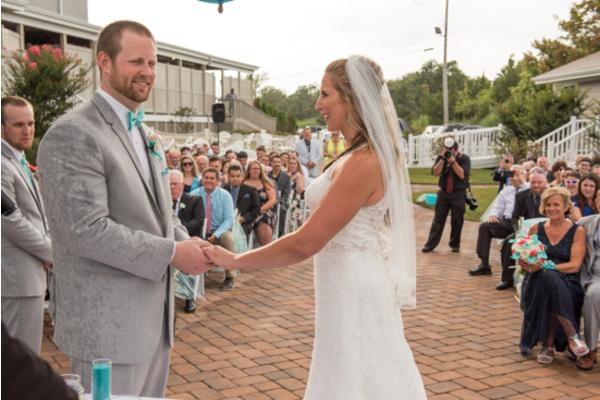 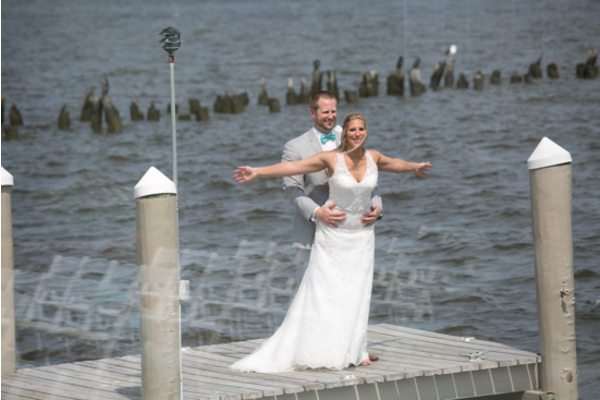 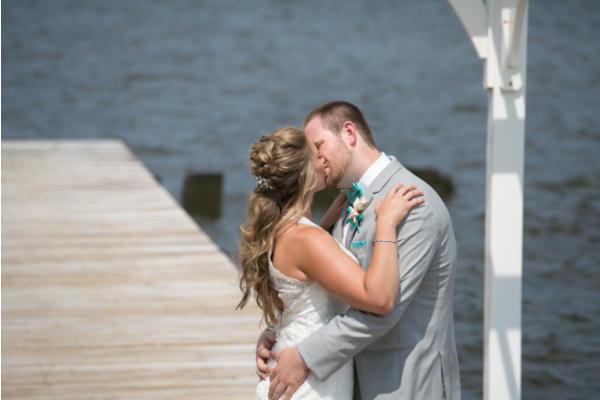 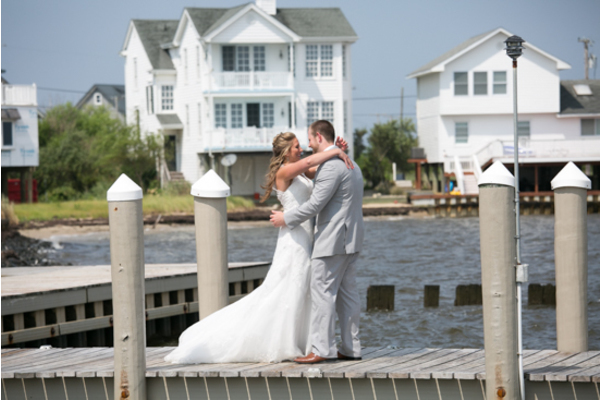 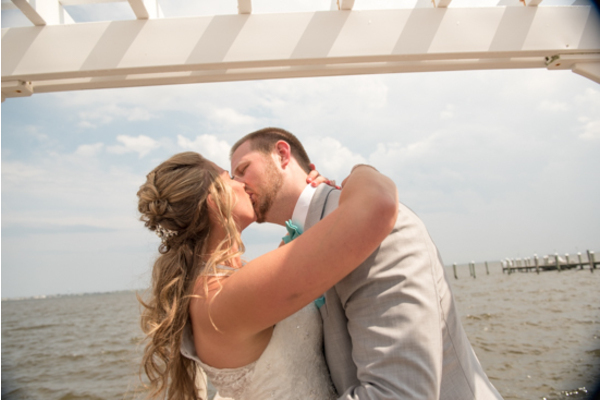 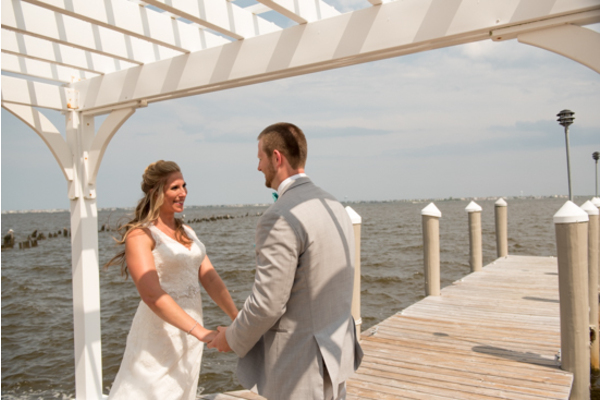 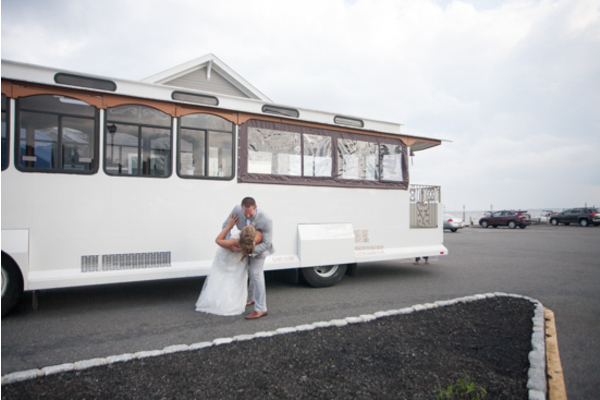 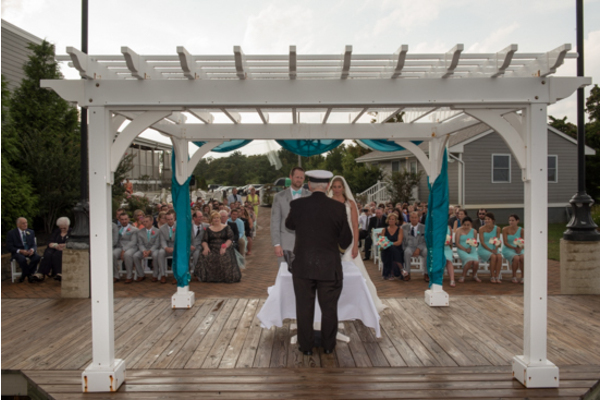 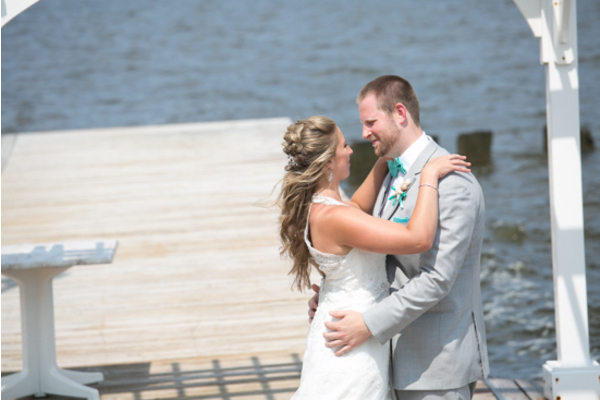 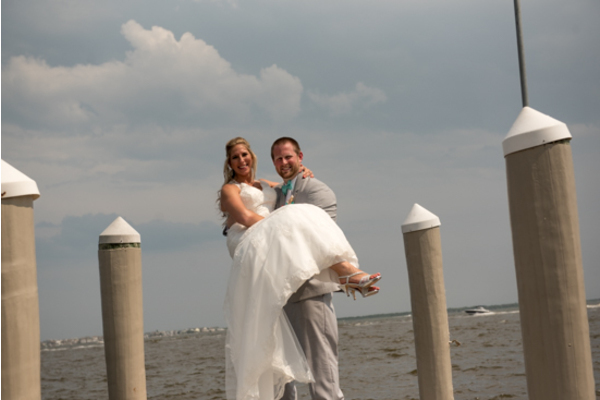 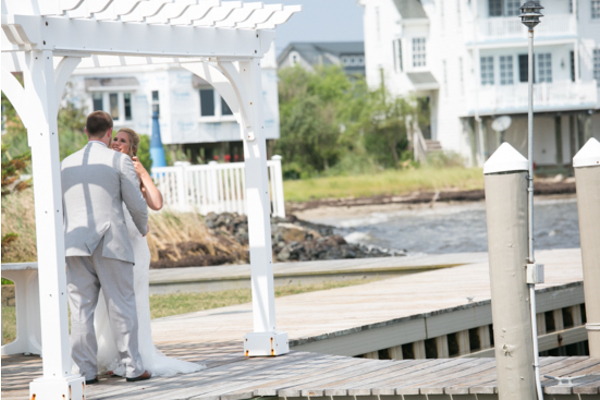 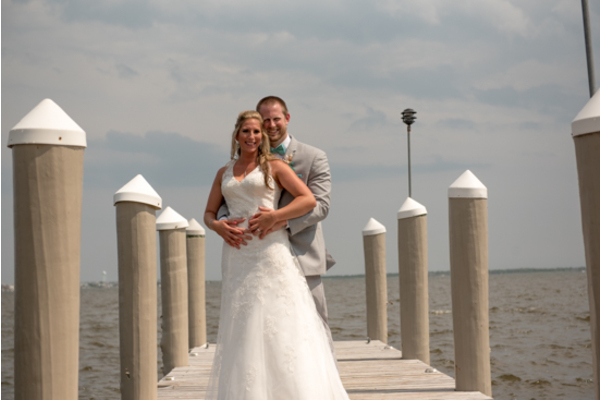 The lovebirds tied the knot at Martell’s Water Edge on a gorgeous July afternoon. 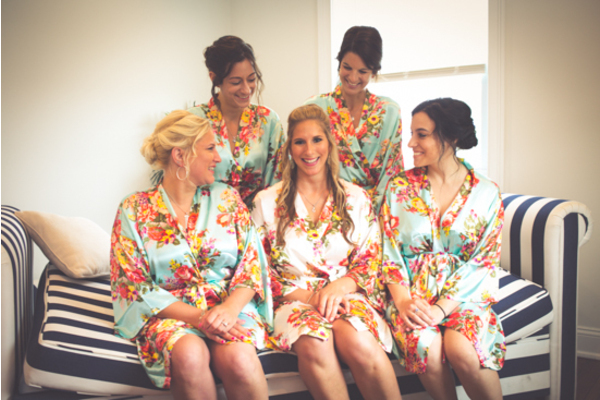 To begin, floral robes covered the floor as these lovely ladies prepped all morning. 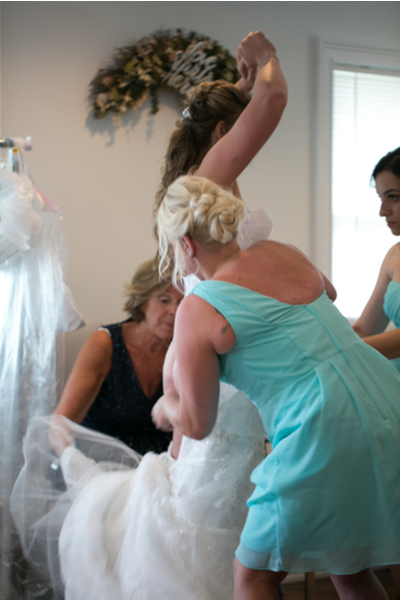 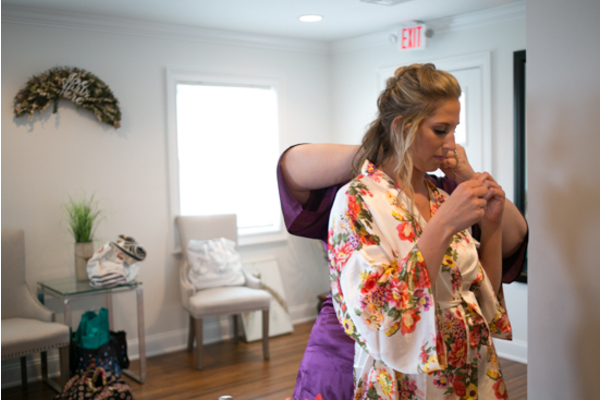 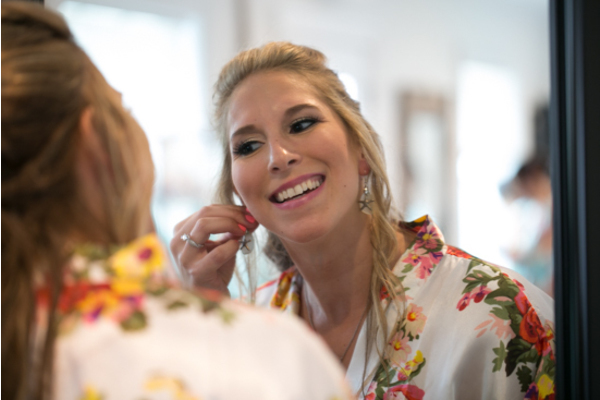 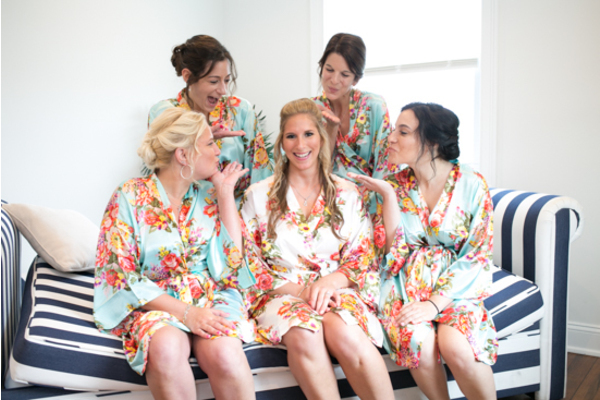 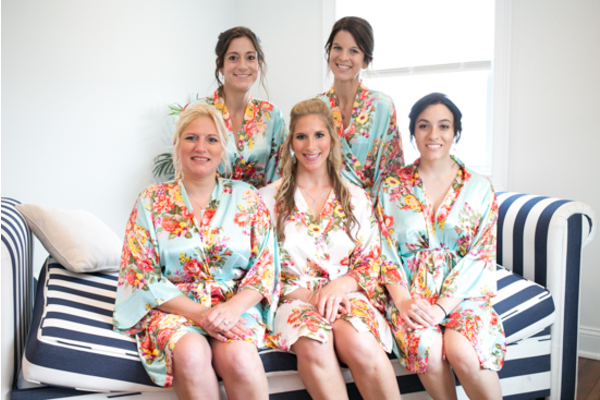 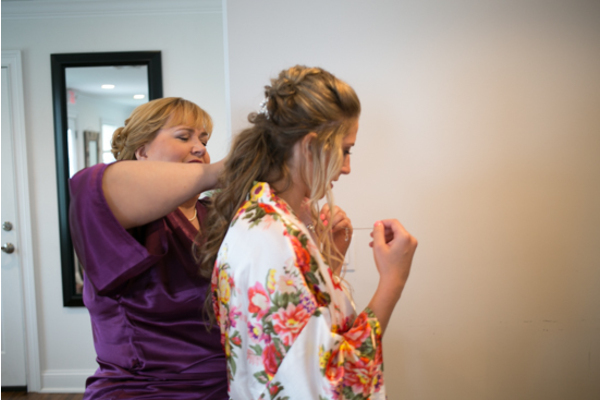 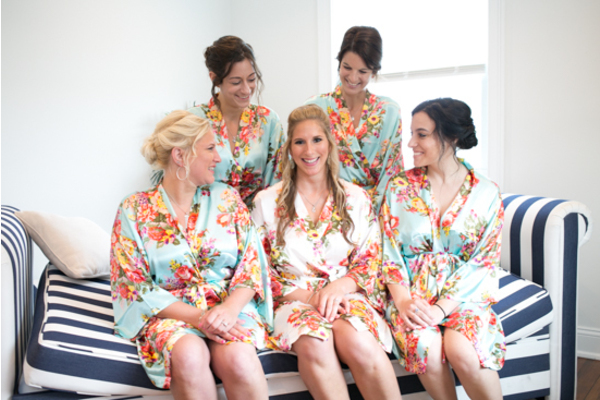 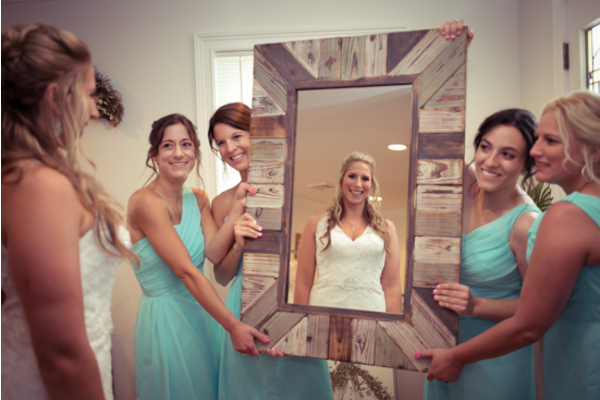 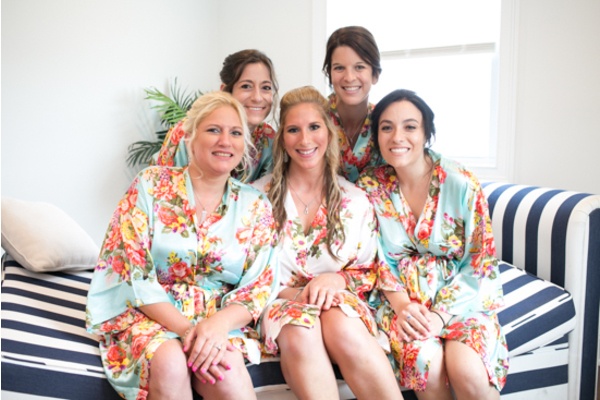 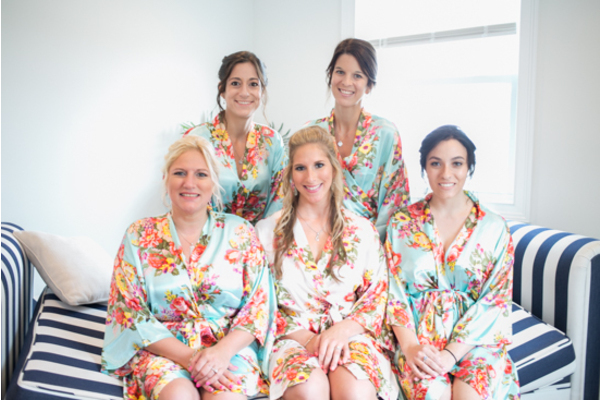 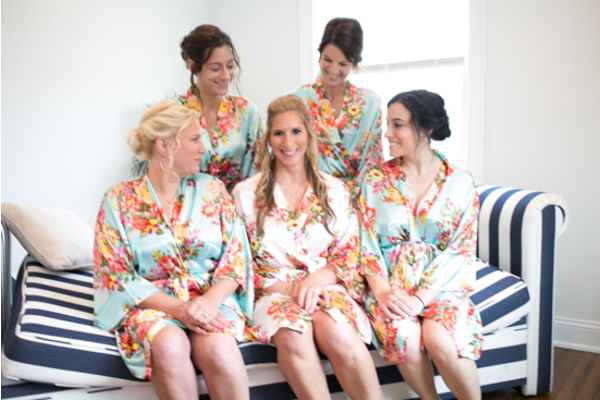 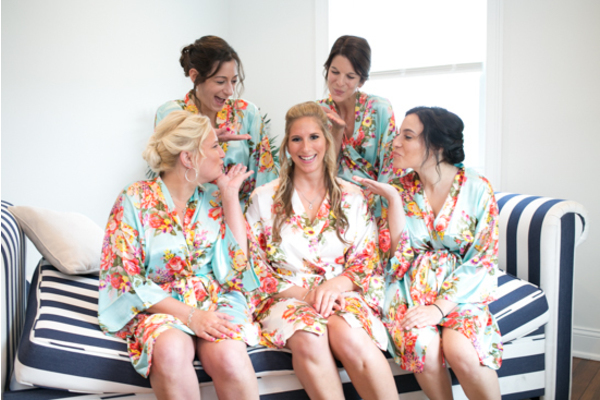 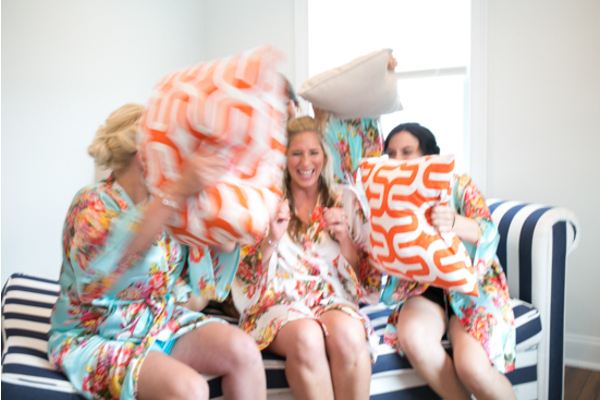 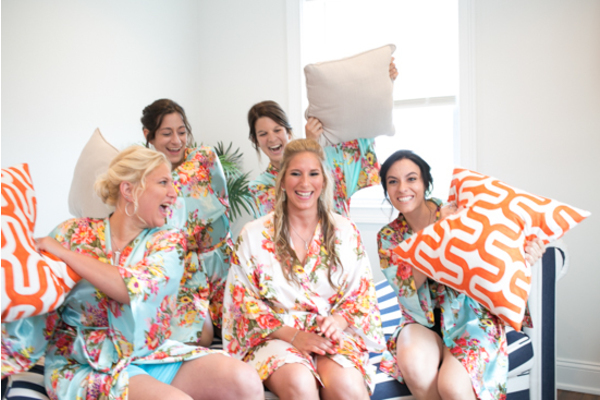 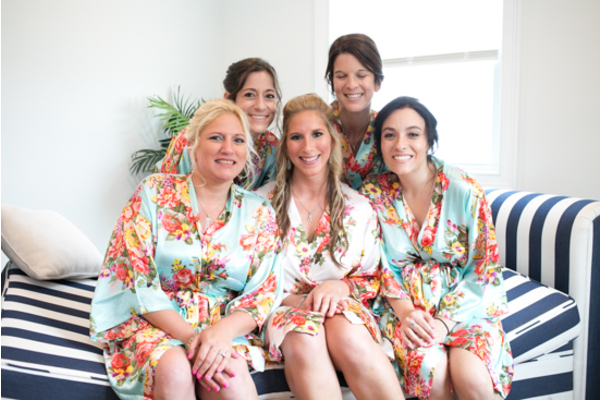 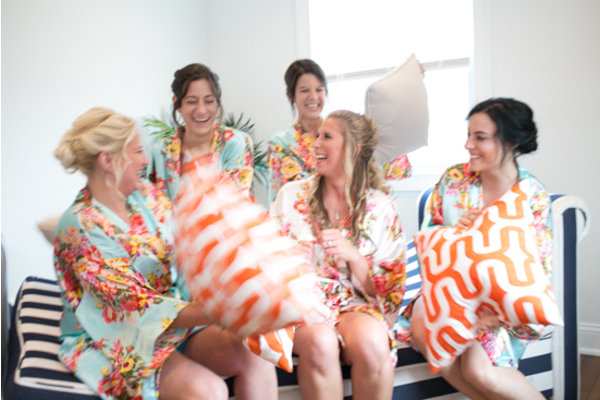 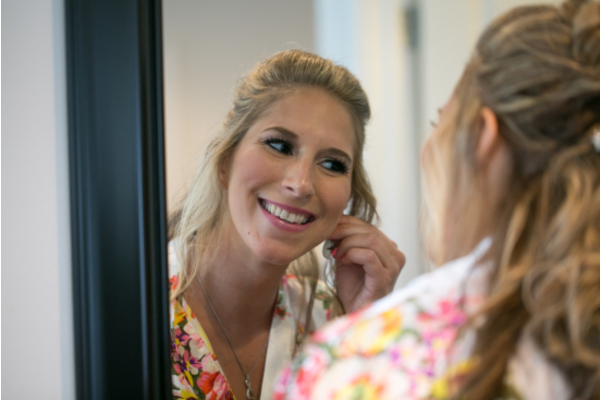 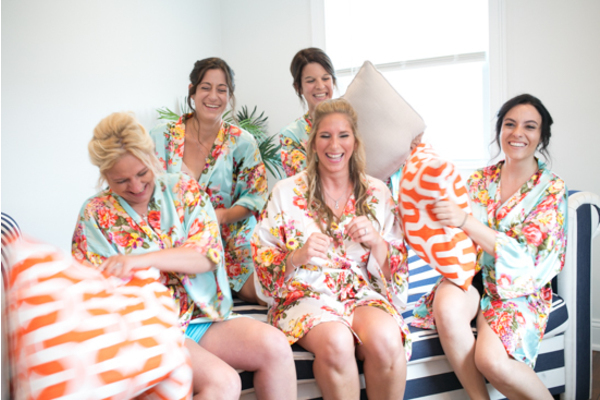 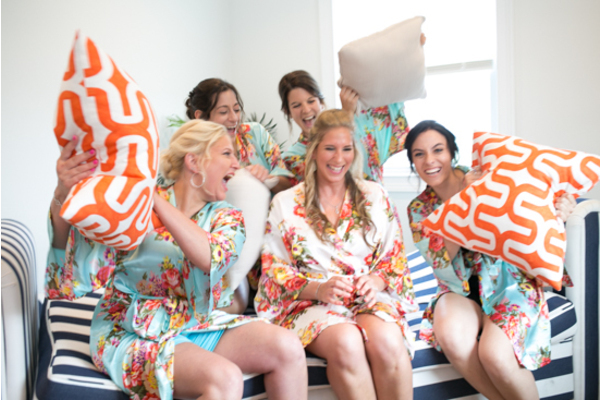 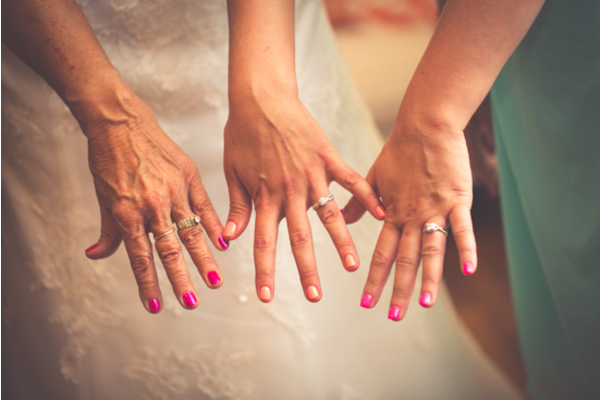 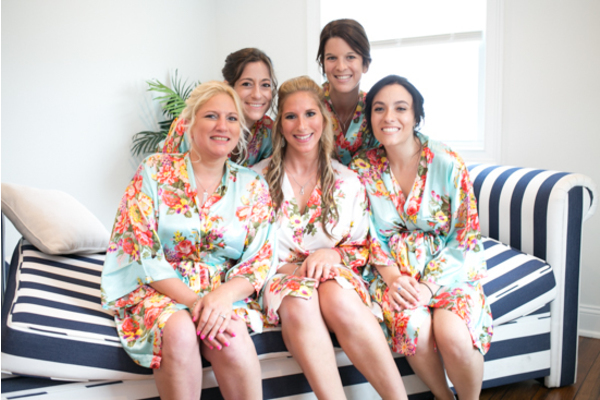 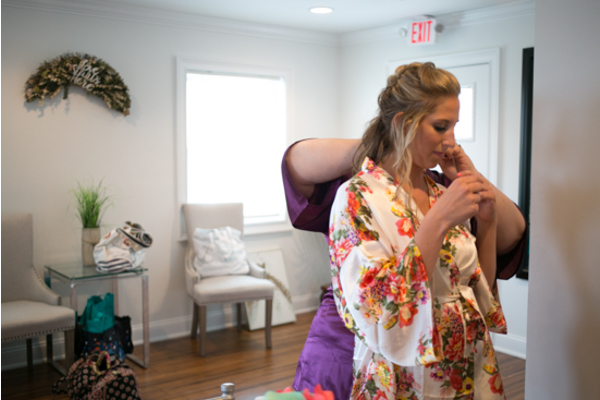 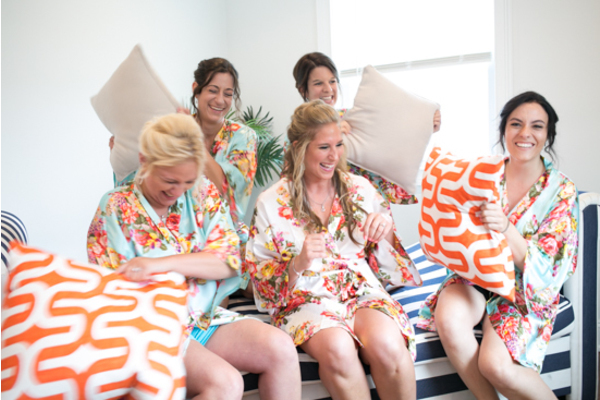 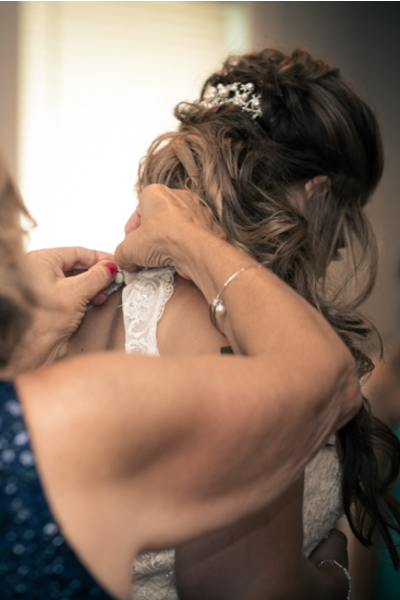 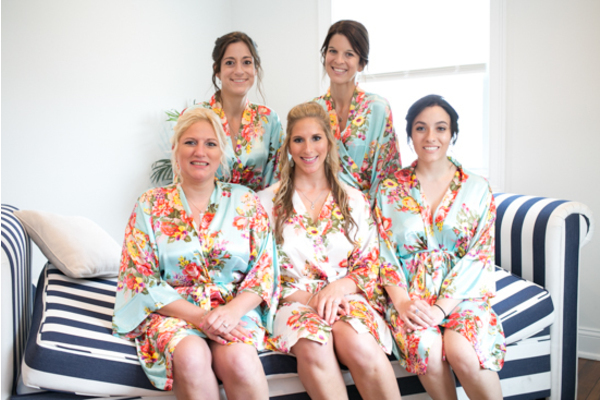 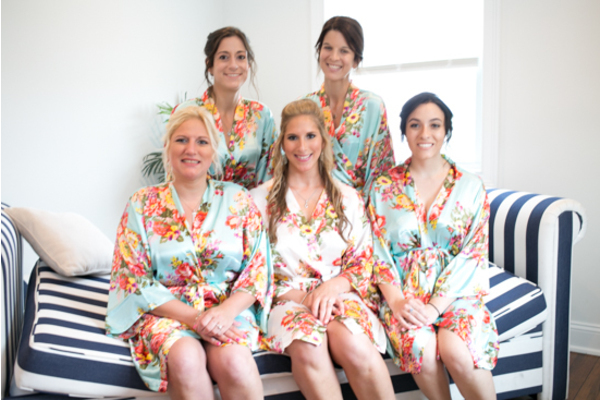 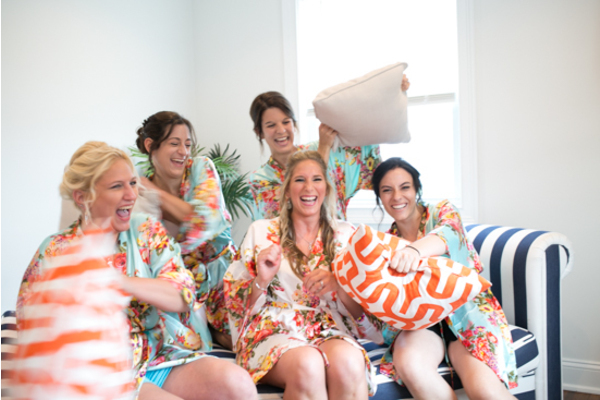 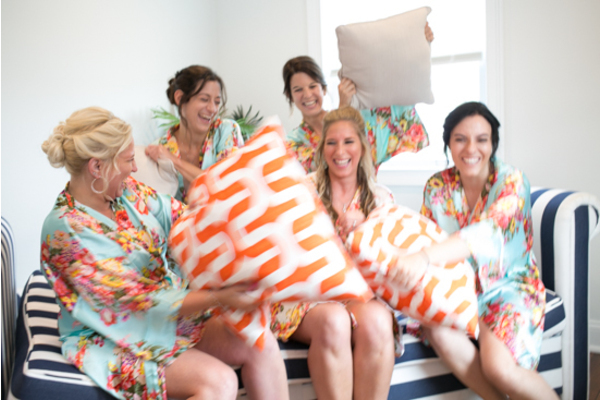 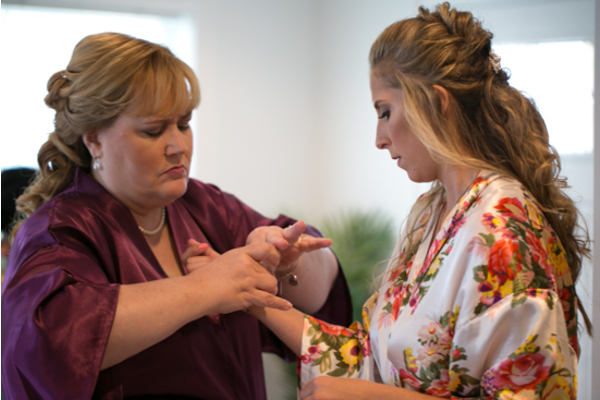 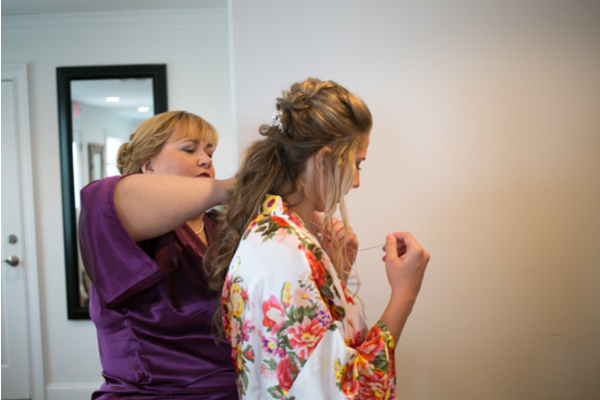 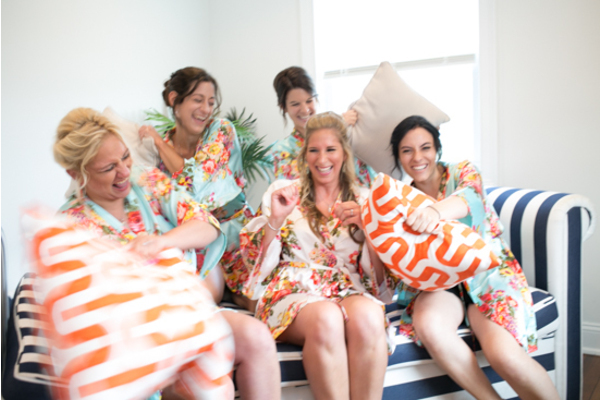 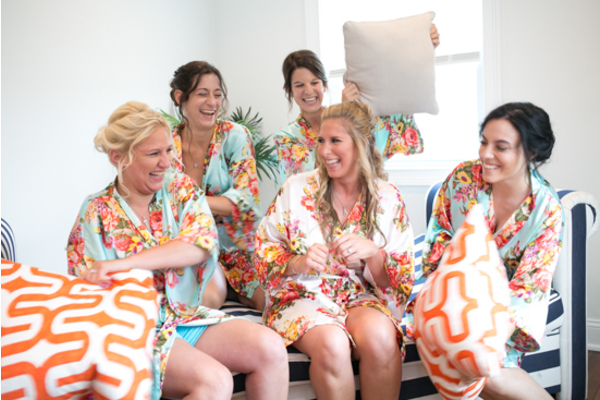 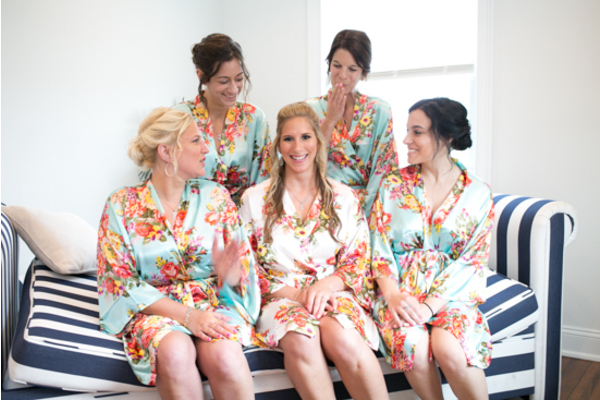 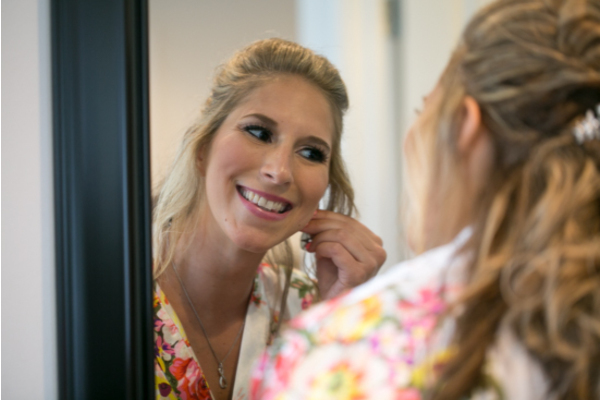 Pillow fights and pampering reminded Megan of the forever friendship she cherished with her bridesmaids. 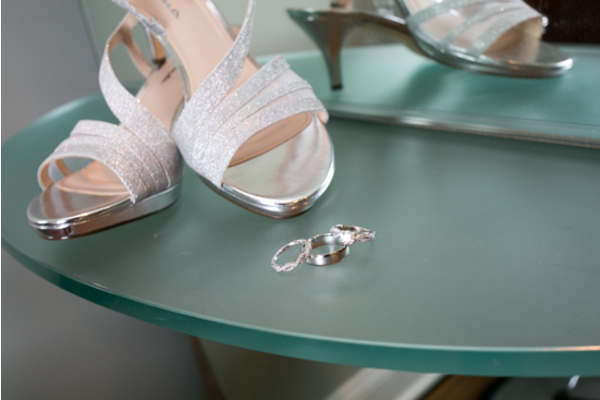 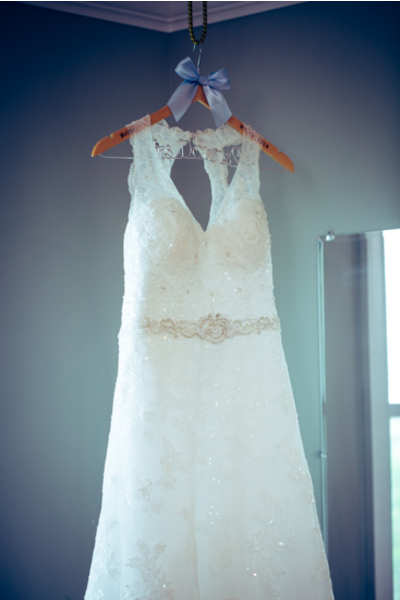 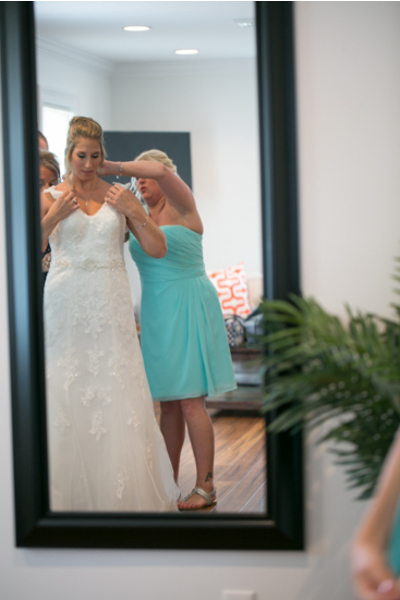 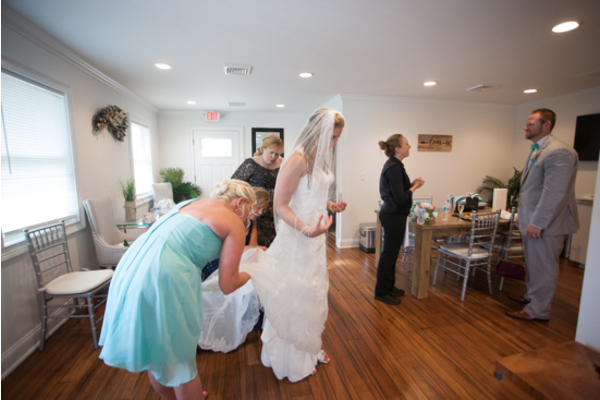 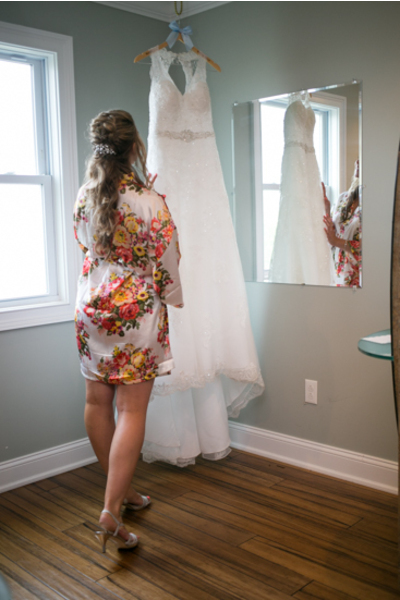 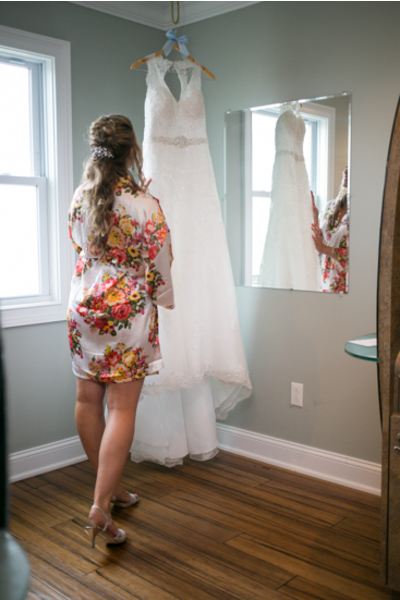 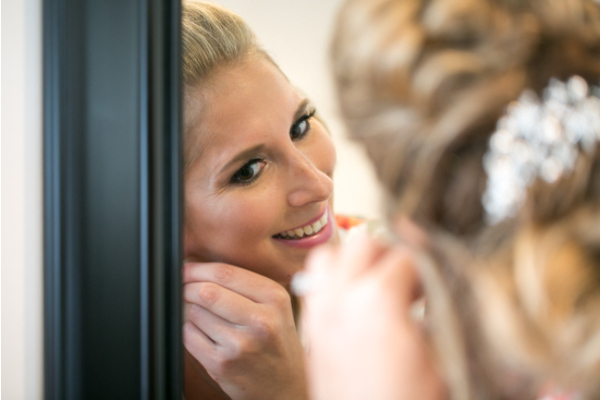 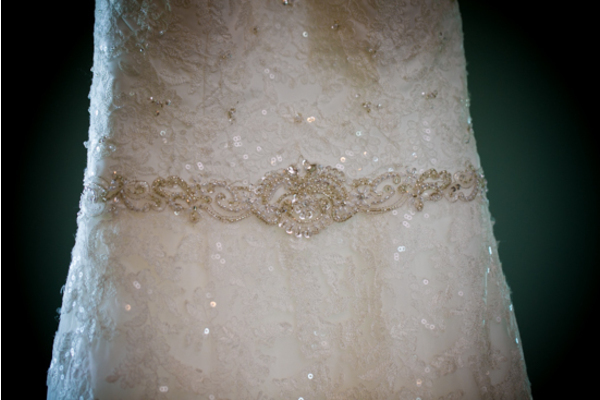 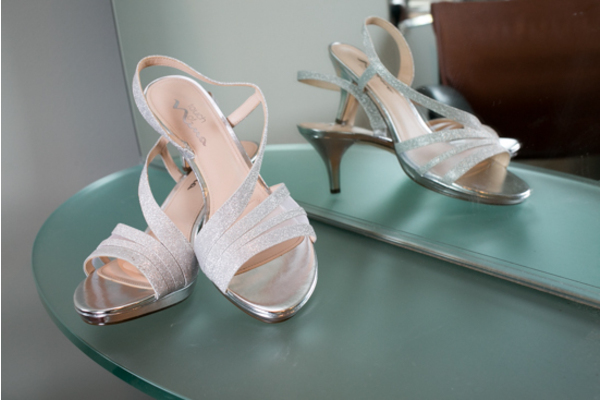 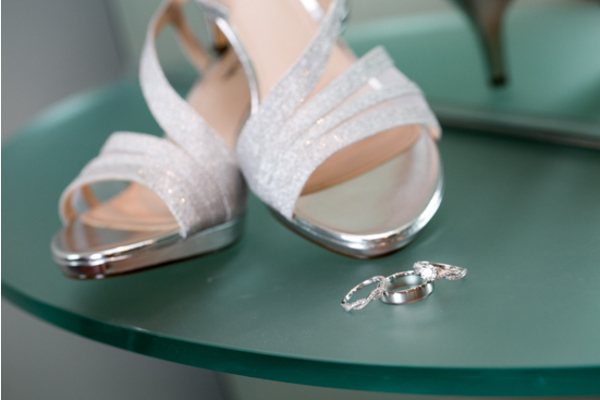 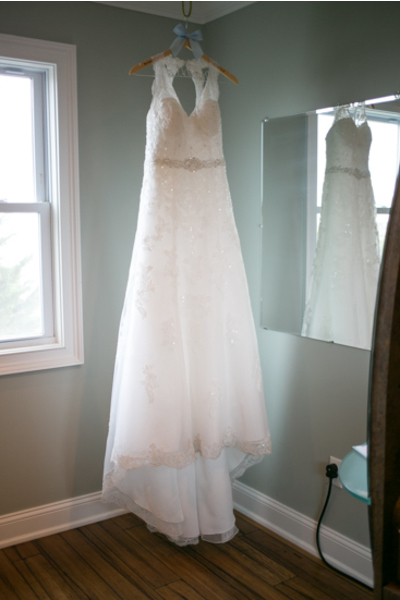 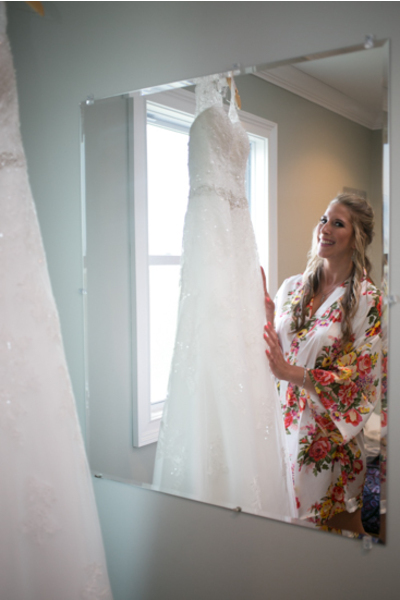 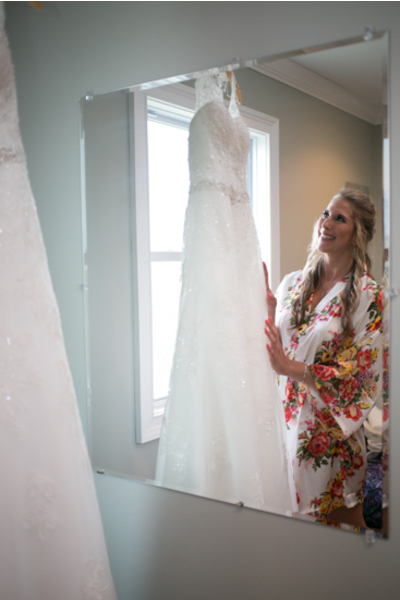 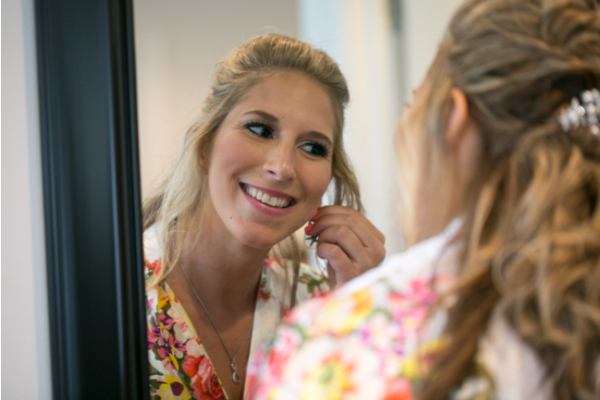 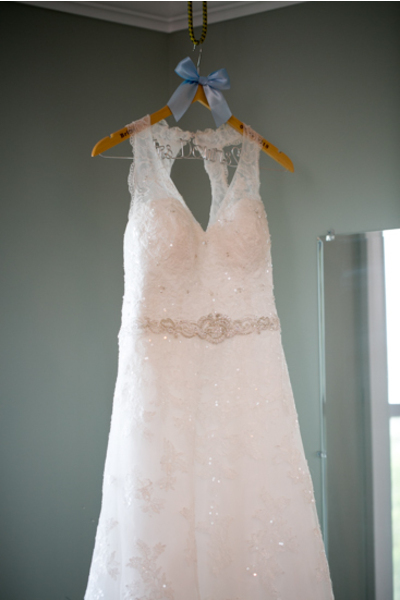 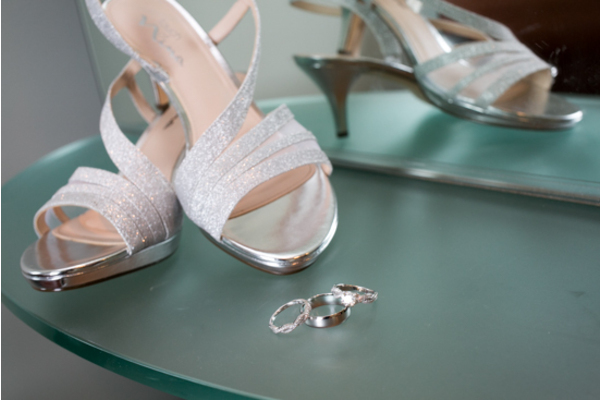 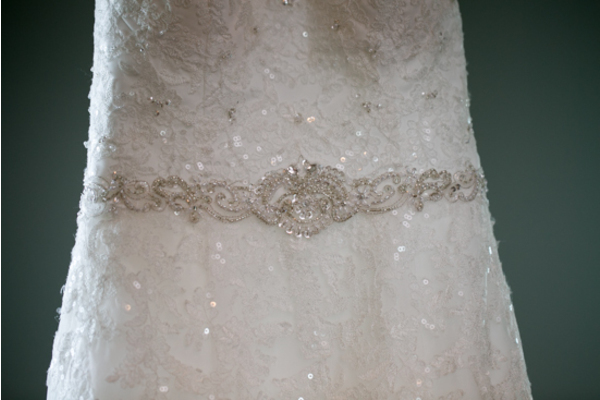 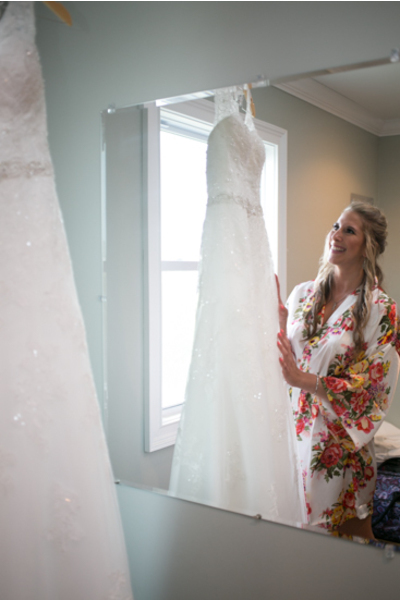 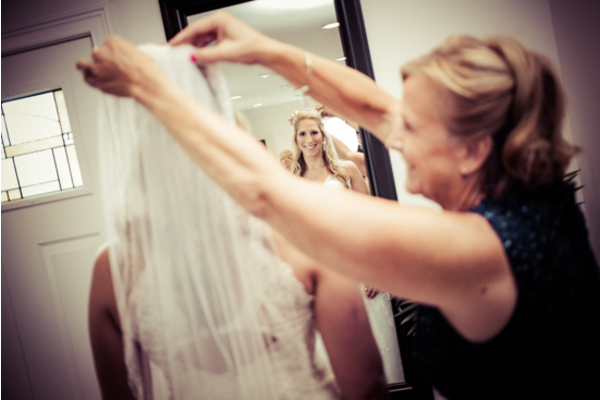 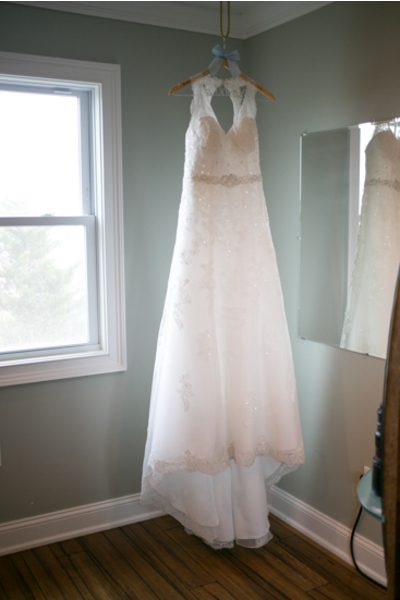 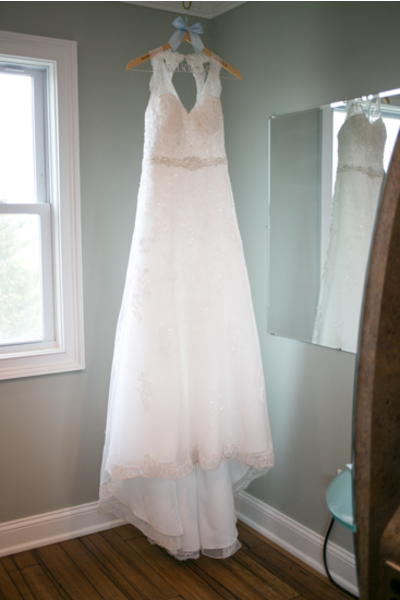 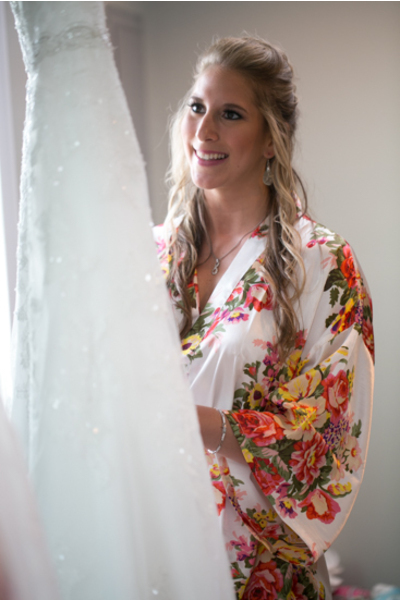 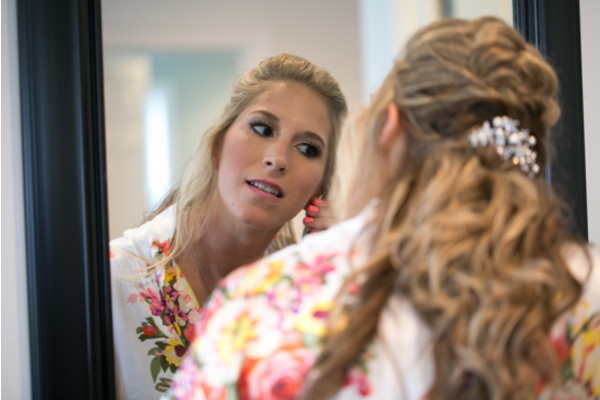 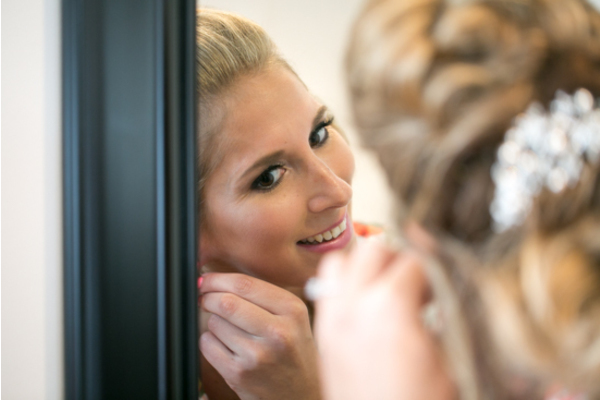 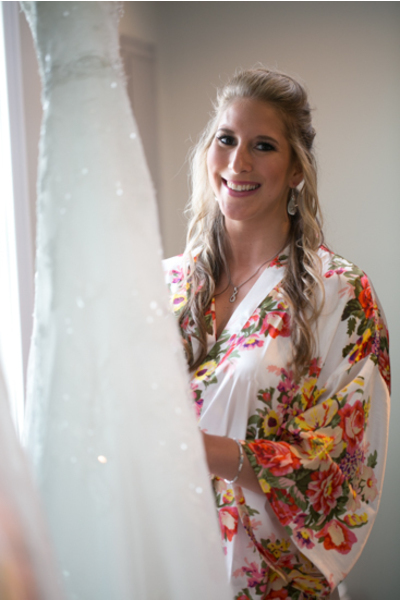 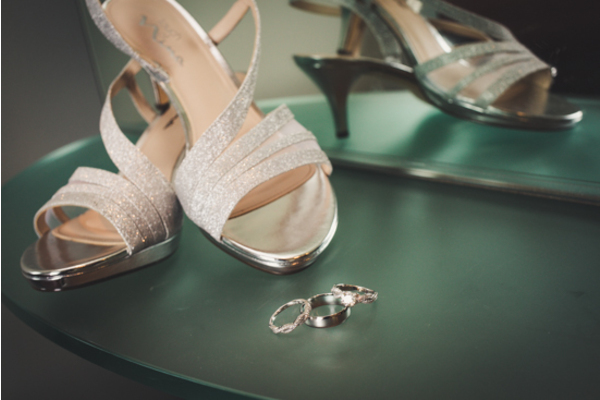 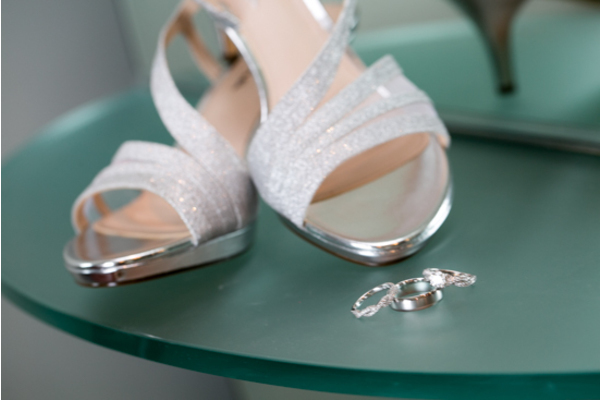 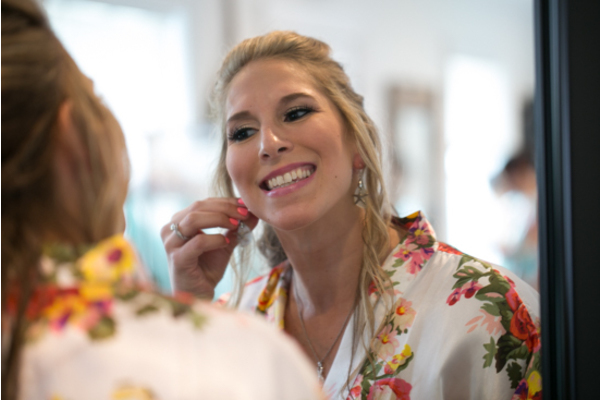 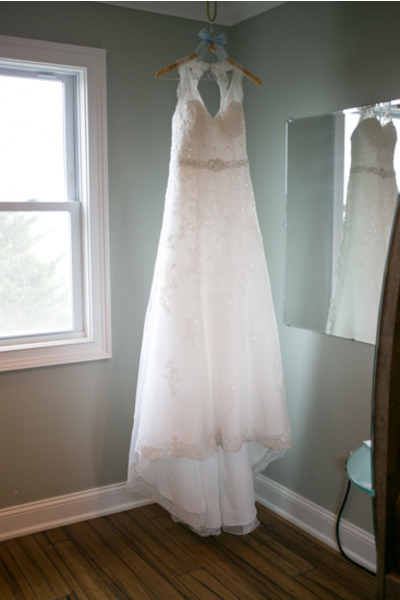 After her hair was curled tight and her makeup was blended to perfection, it was time to put on the wedding whites! 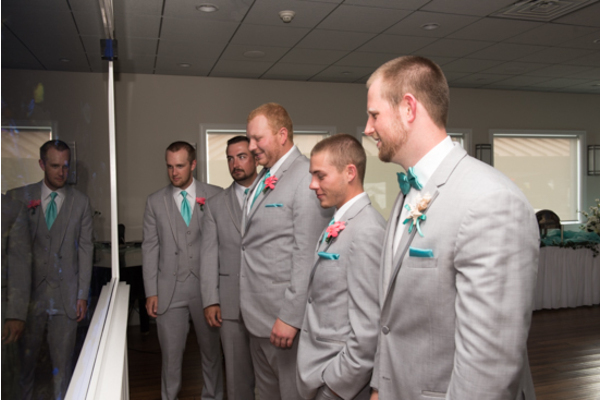 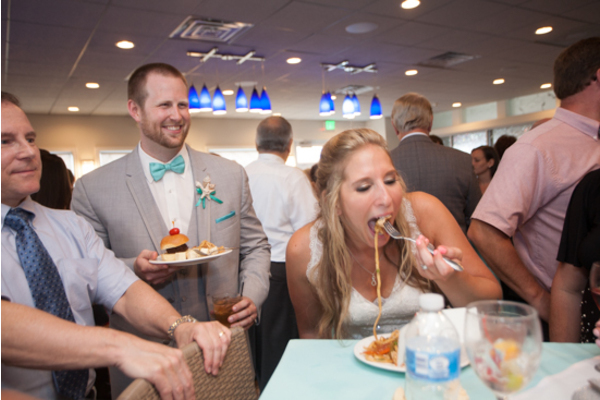 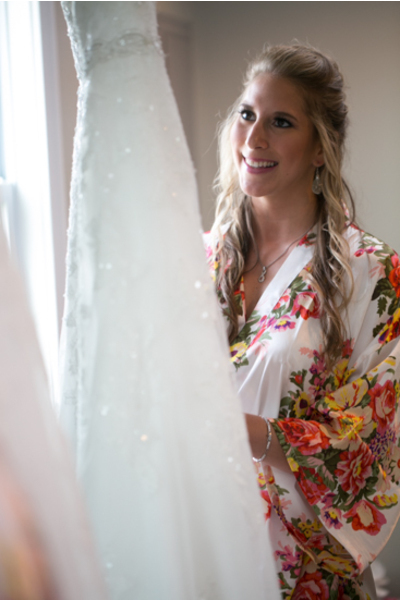 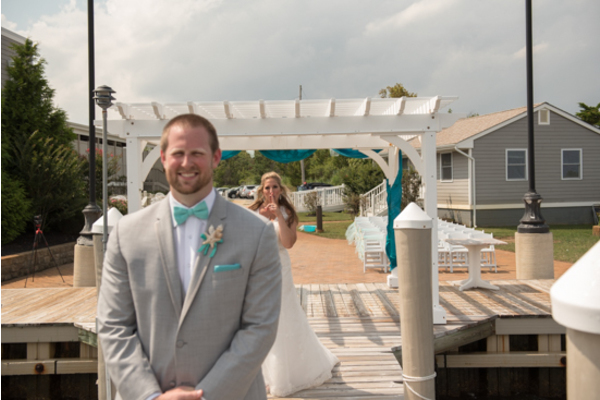 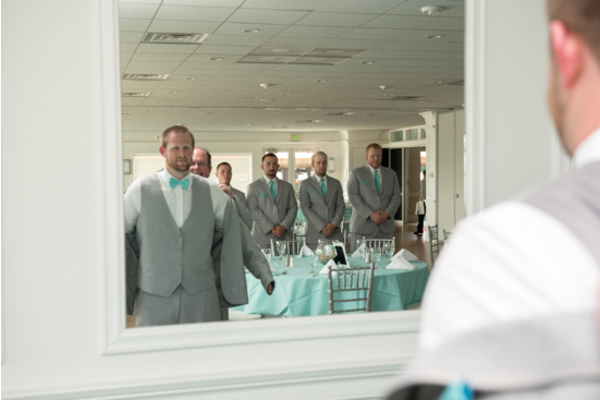 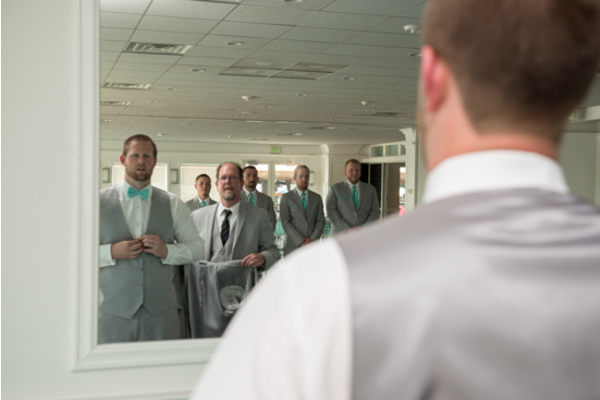 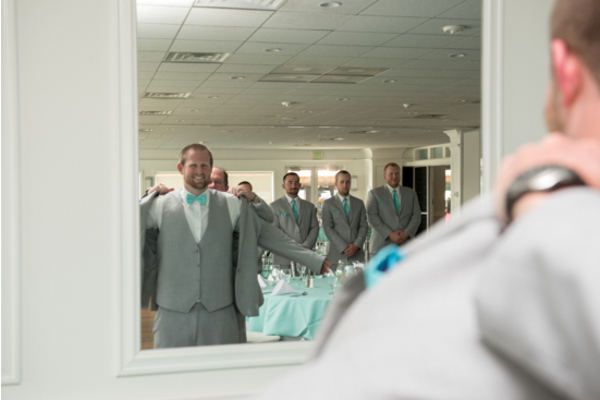 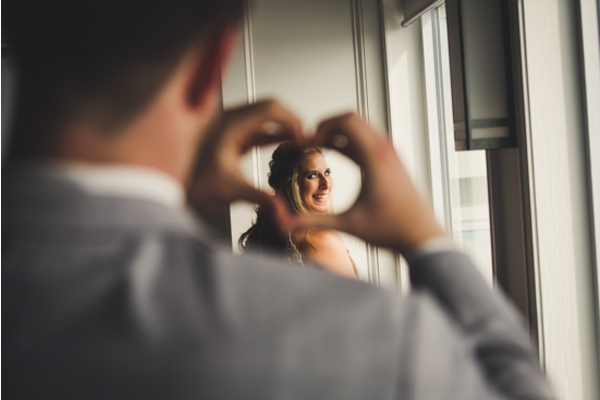 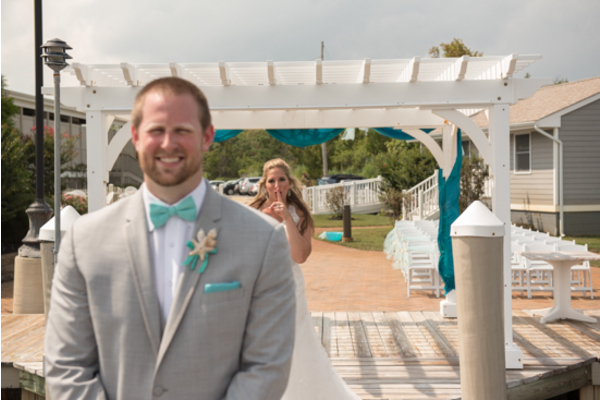 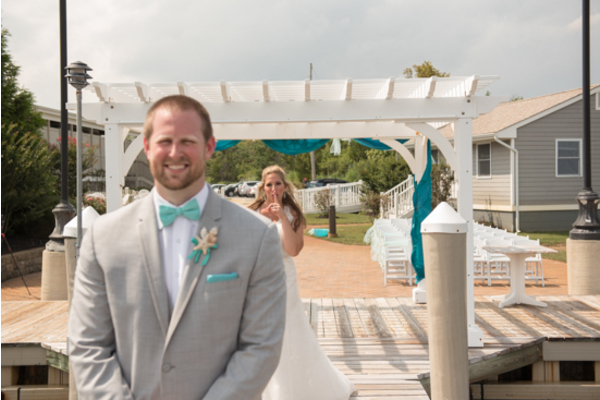 Finally, it was time for her fiancé to catch a first look at his bride. 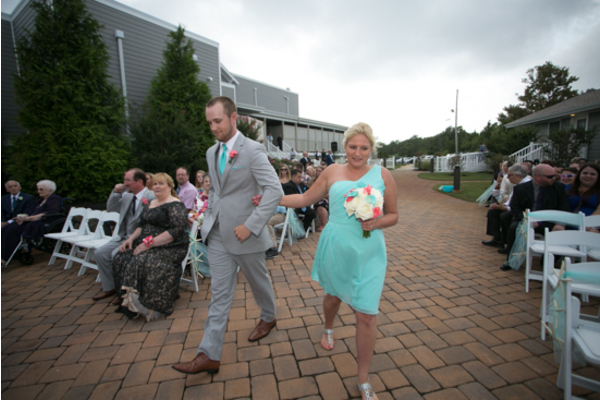 Ryan’s face lit up with every step she inched closer to him. 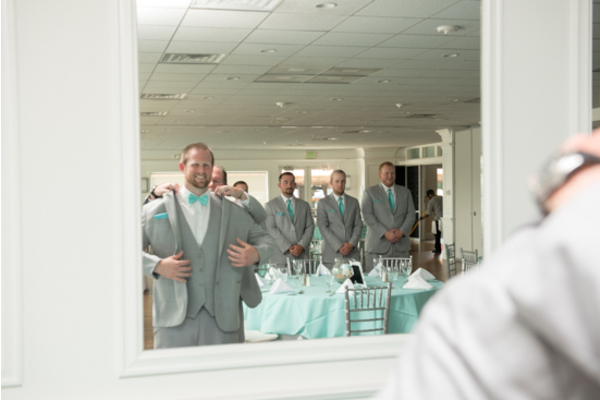 With a touch on the shoulder, Ryan was left speechless the minute he laid eyes on his princess. 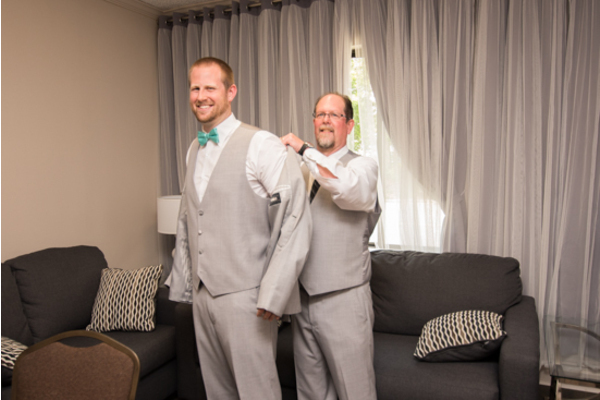 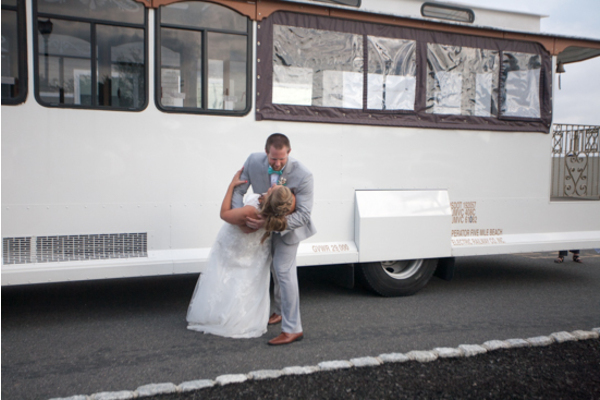 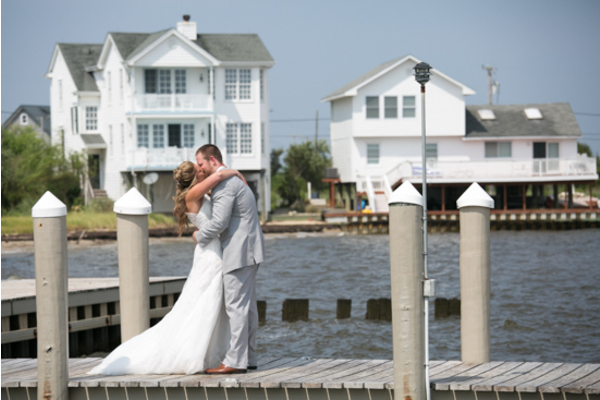 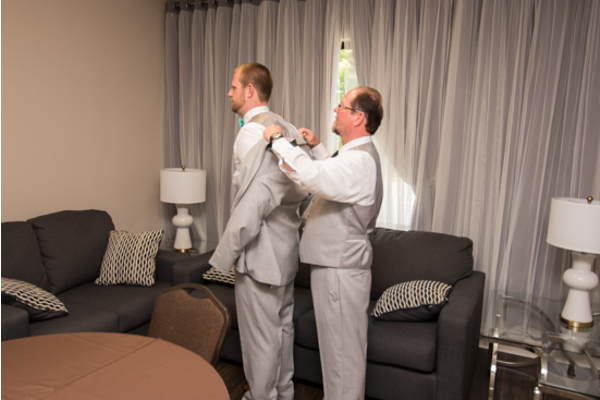 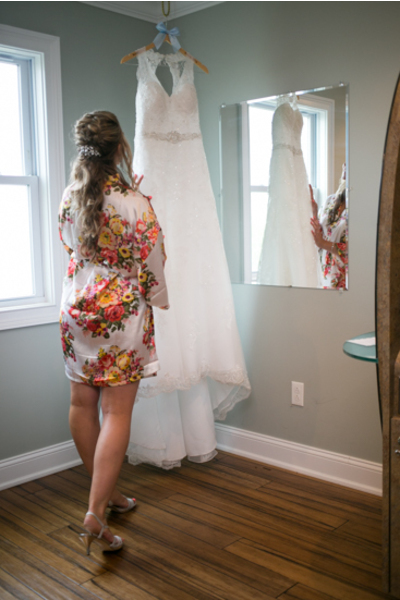 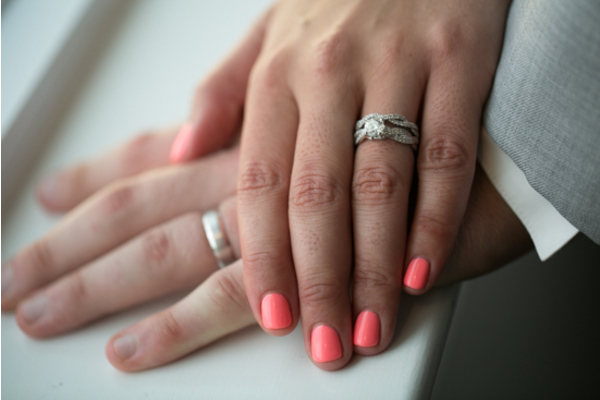 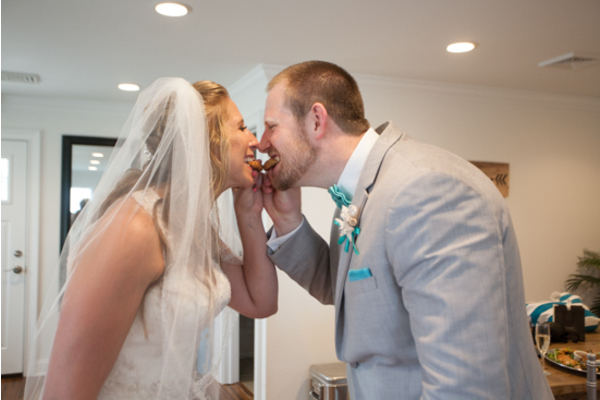 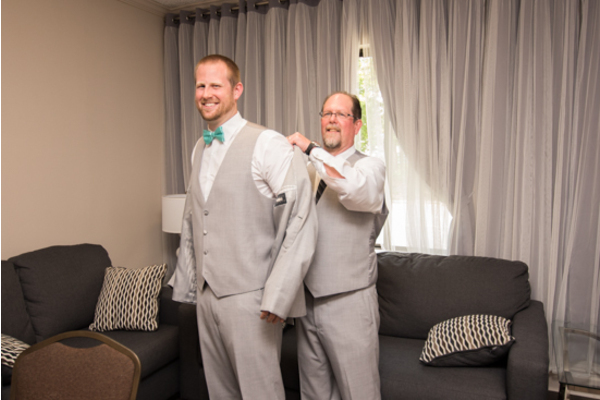 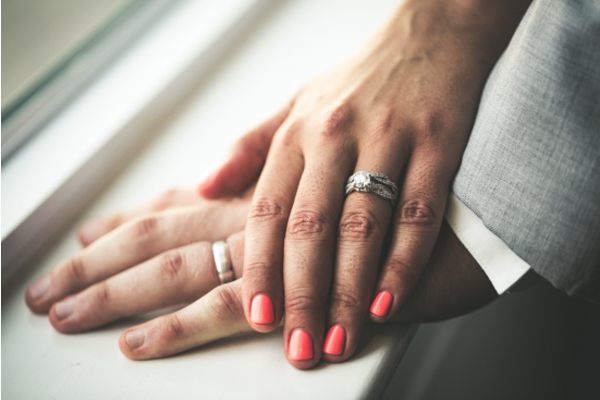 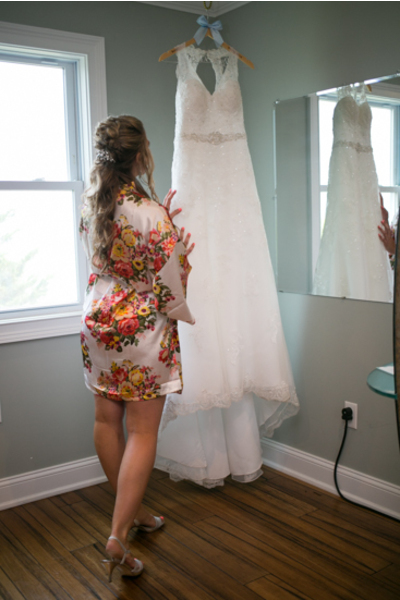 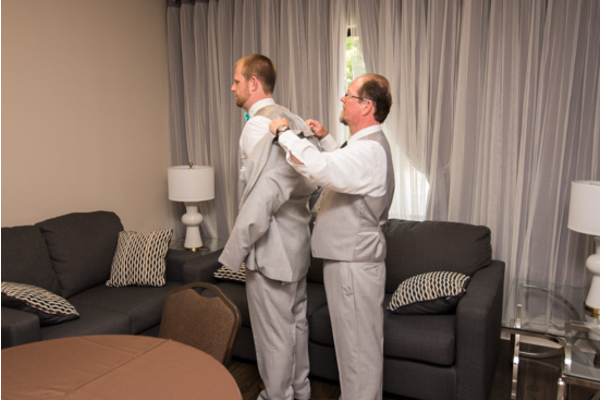 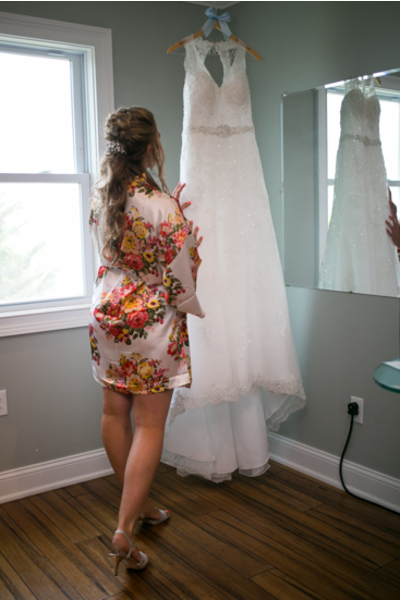 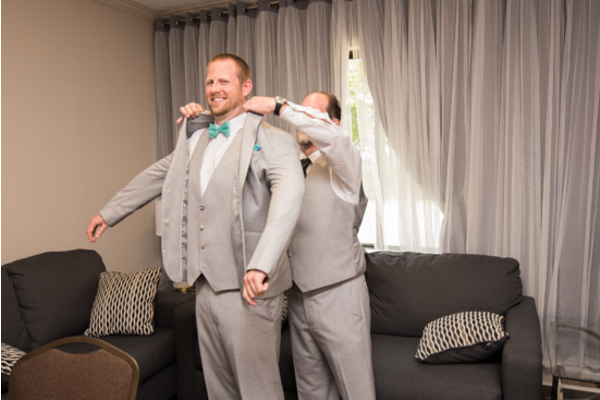 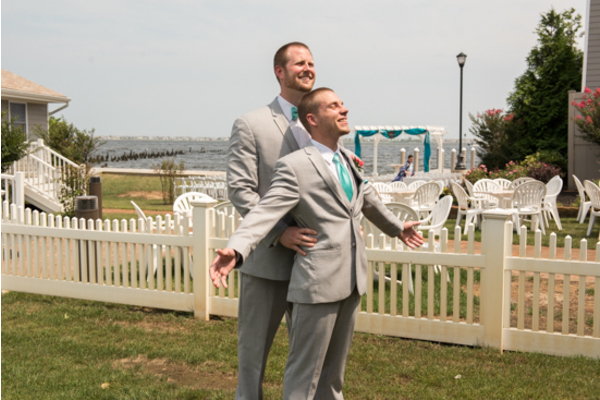 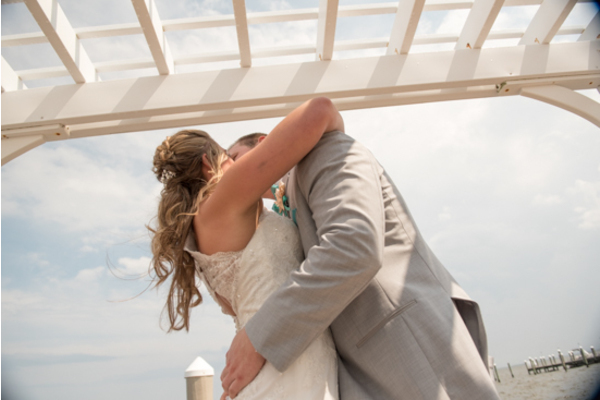 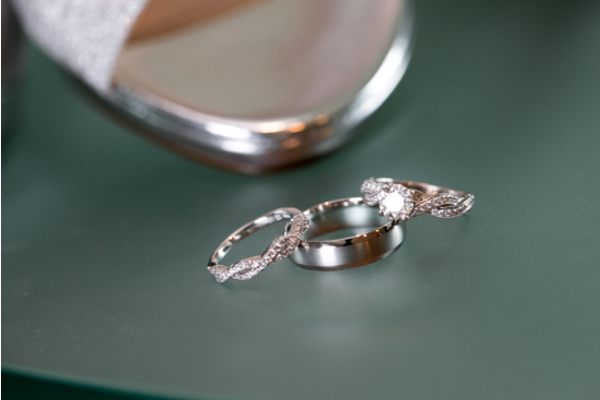 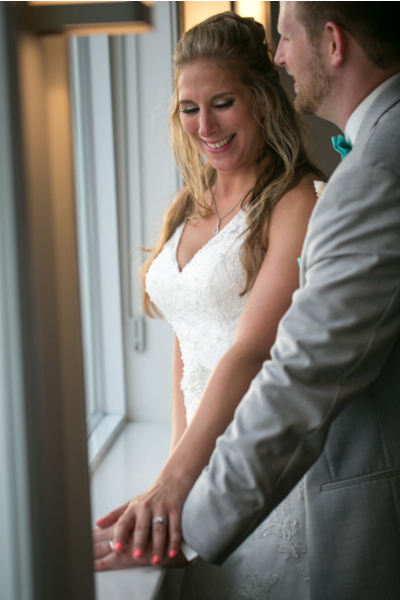 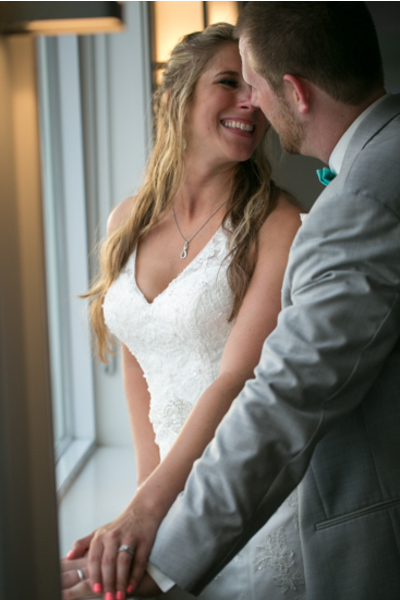 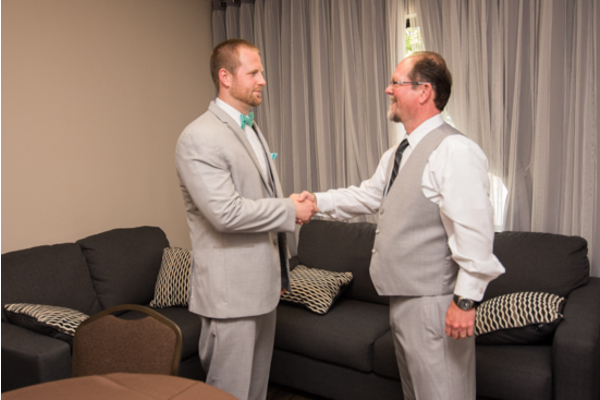 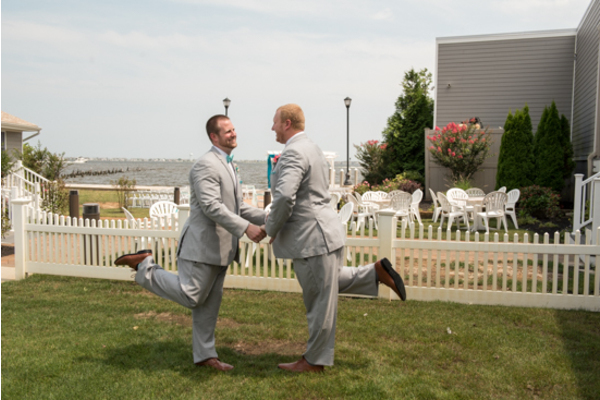 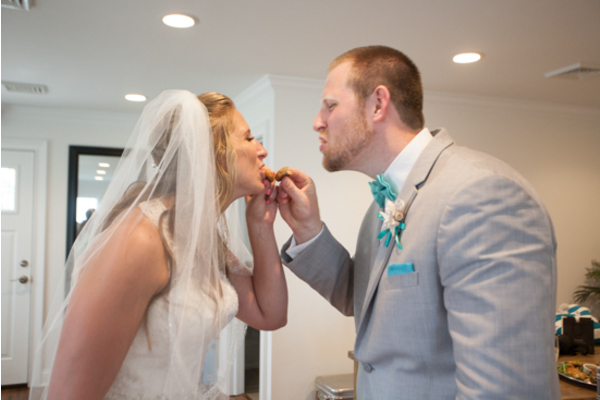 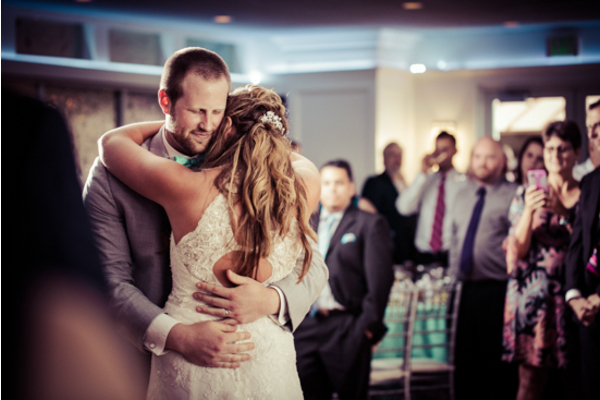 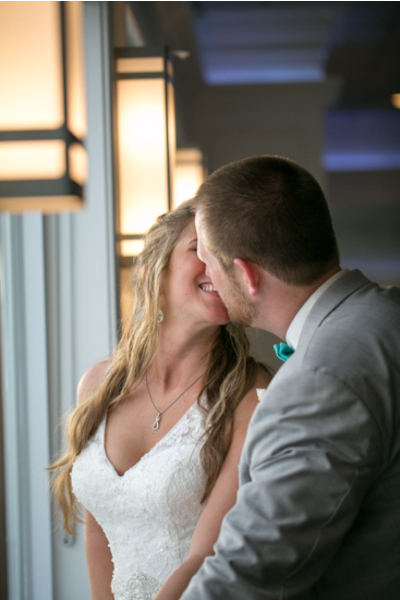 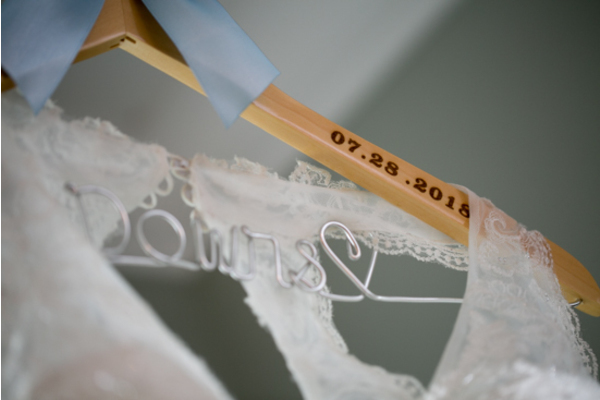 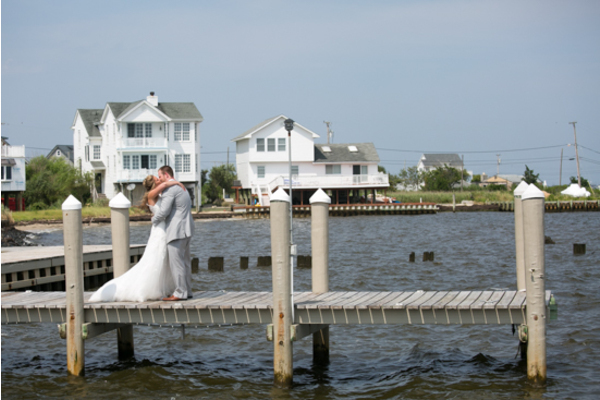 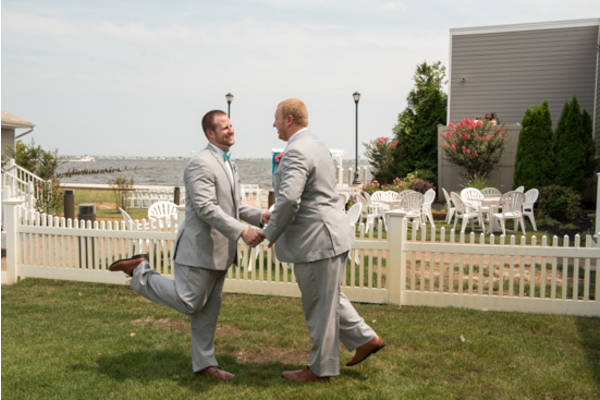 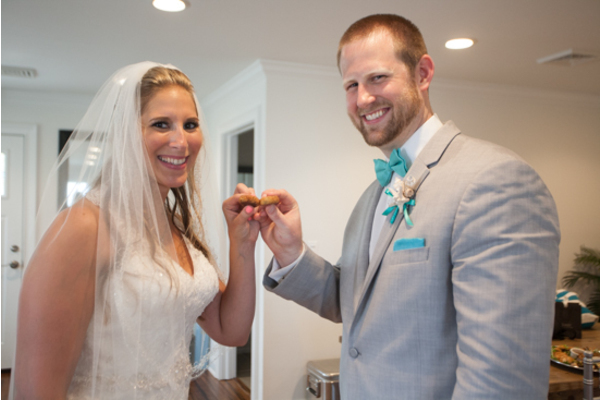 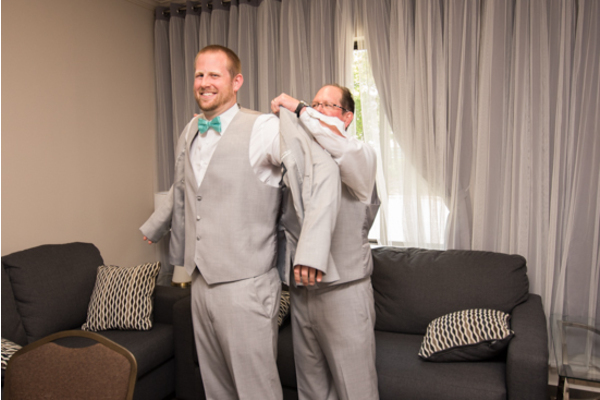 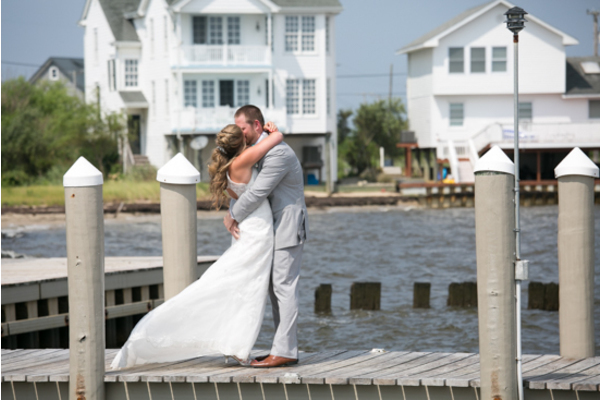 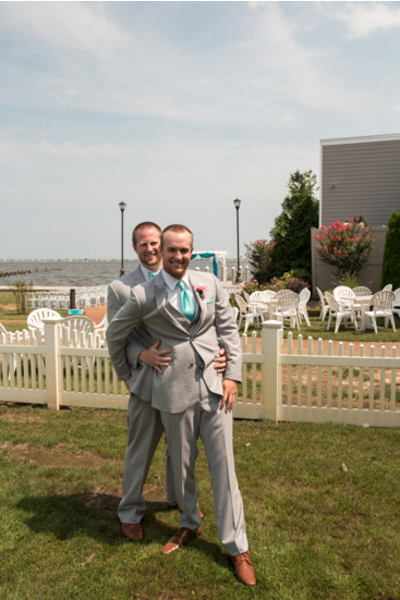 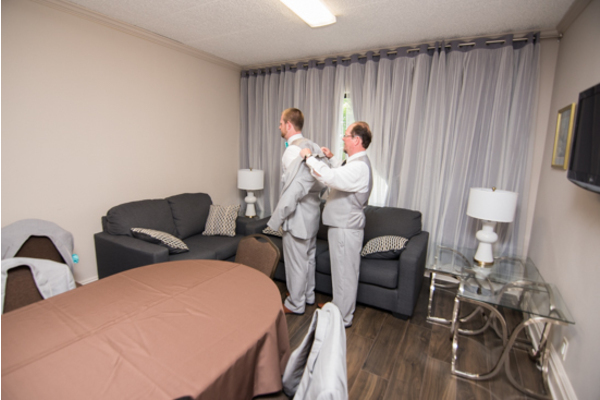 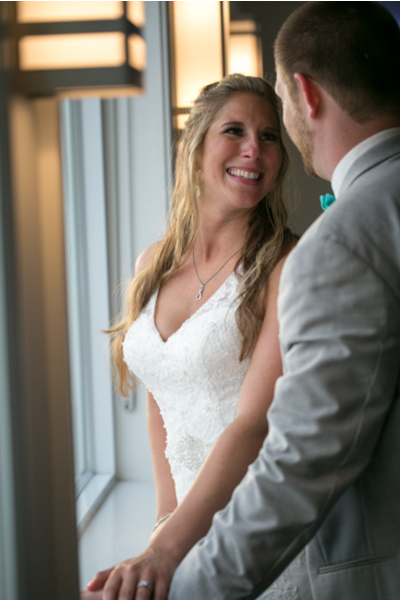 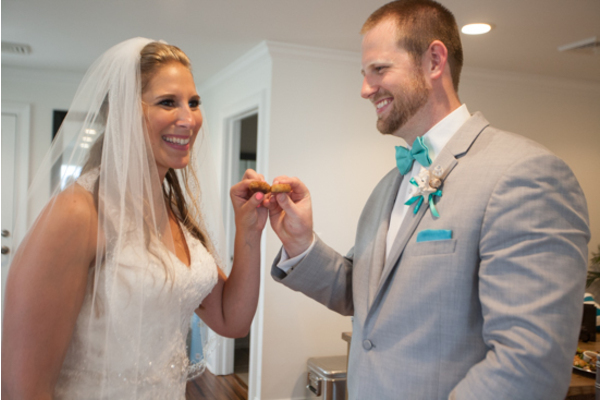 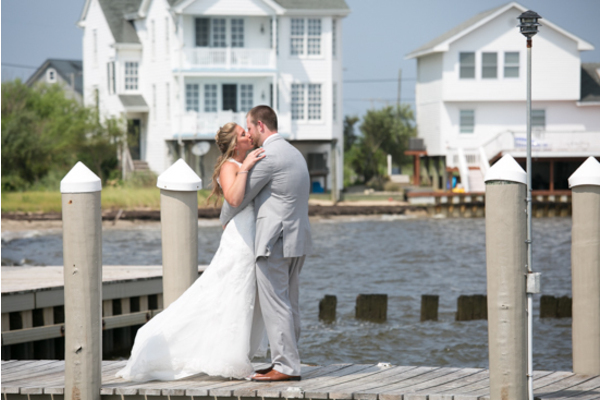 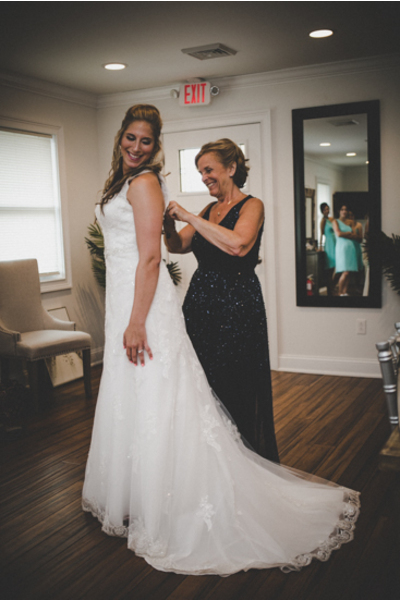 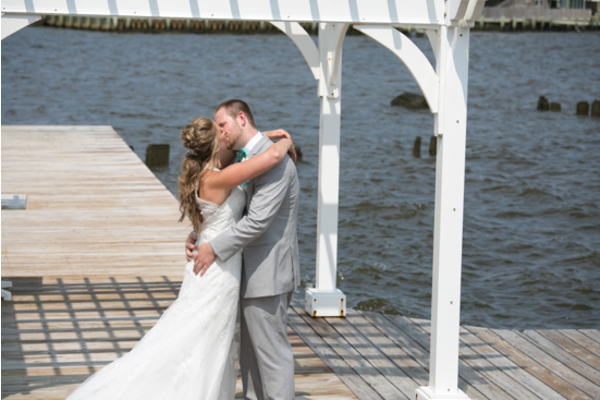 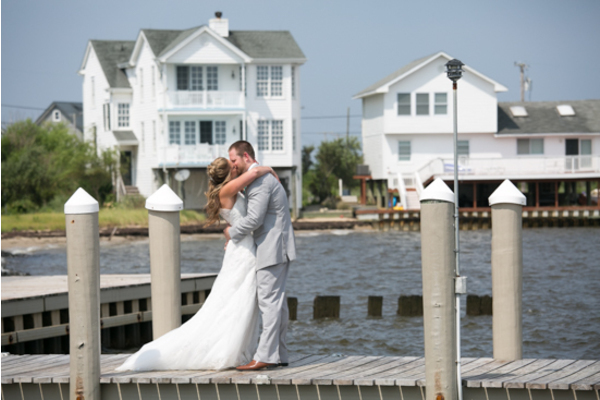 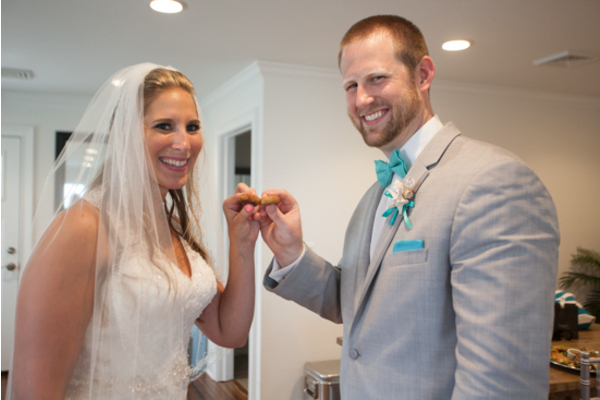 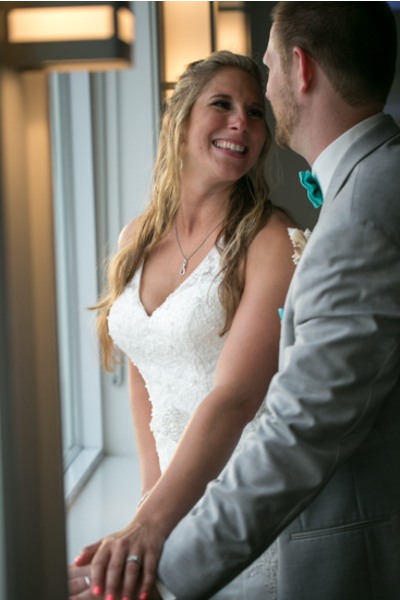 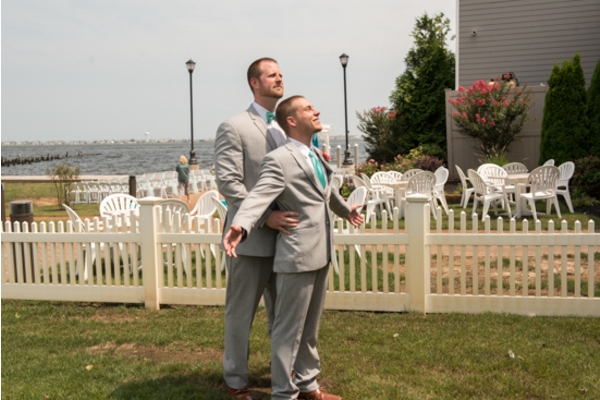 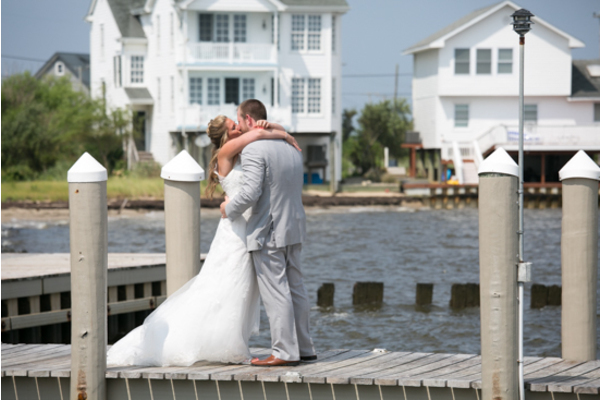 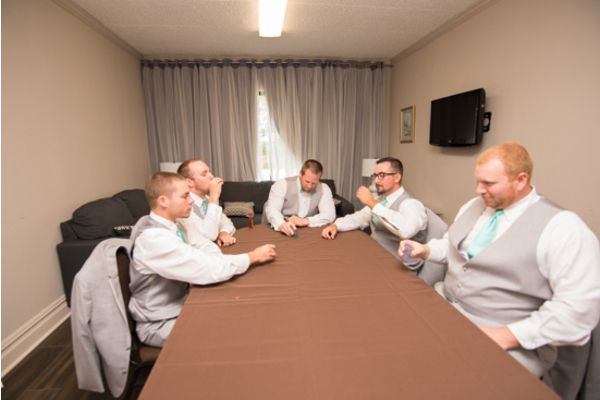 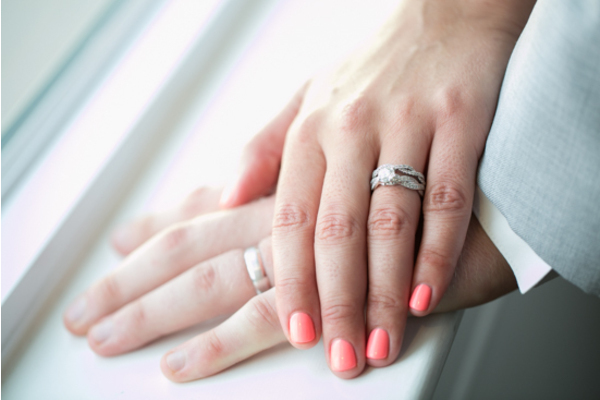 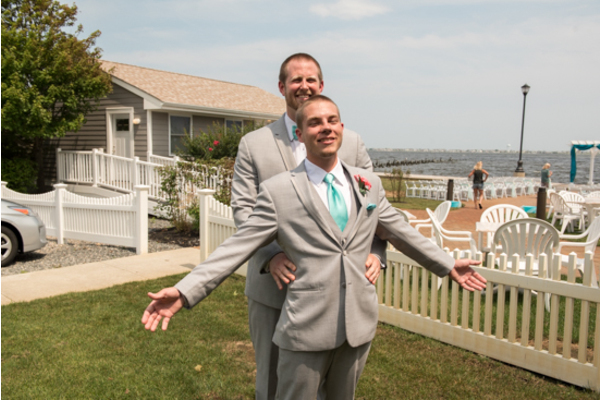 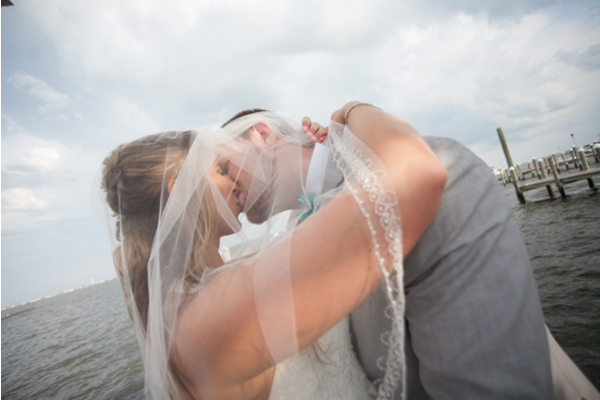 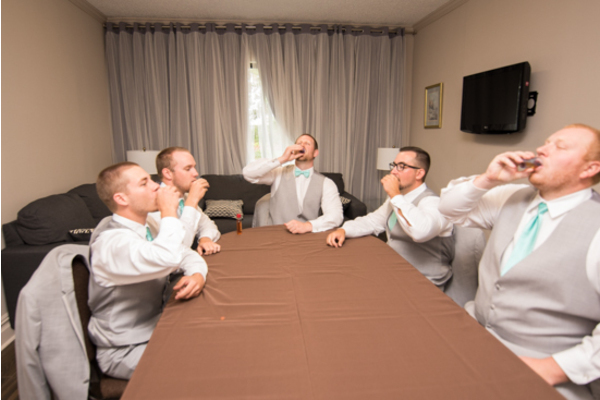 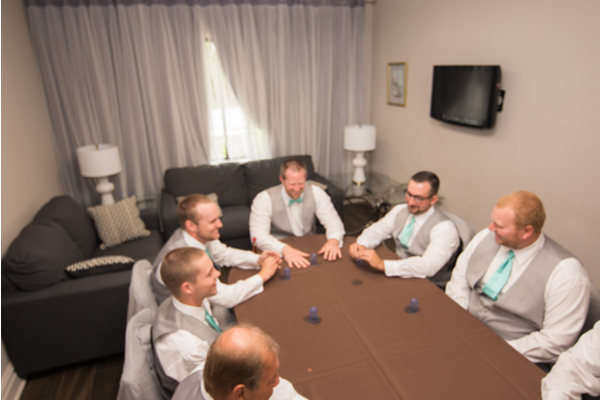 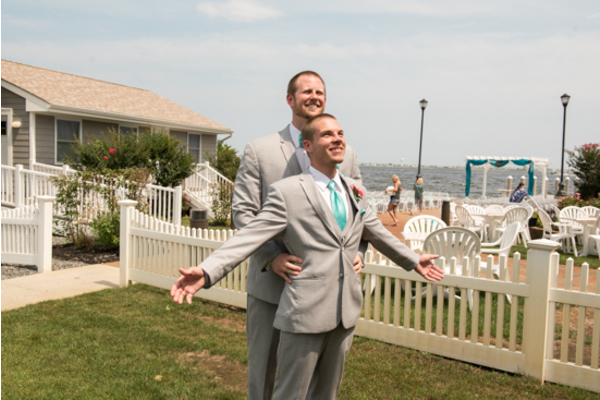 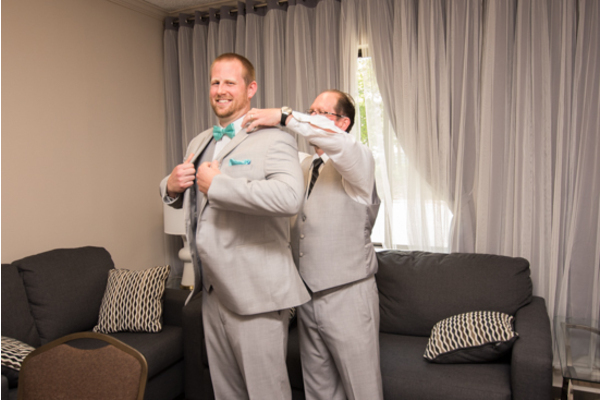 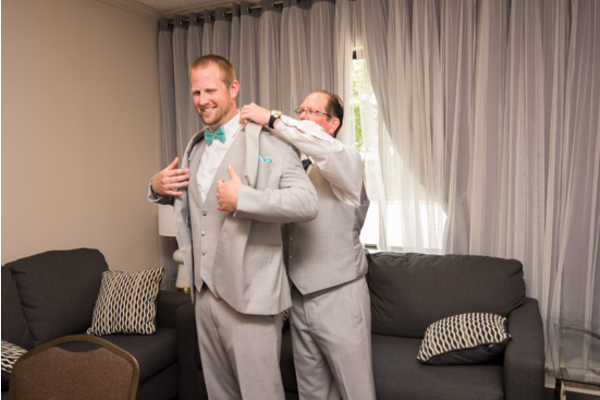 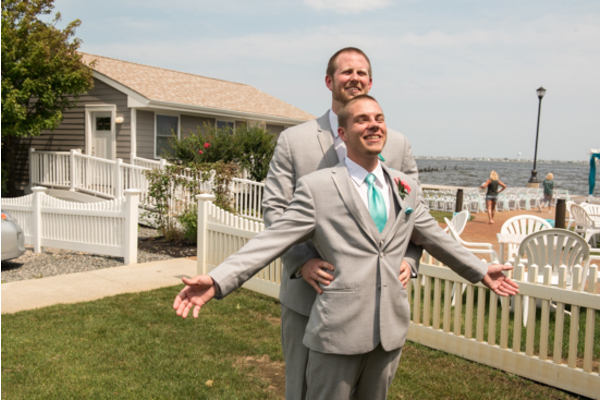 Before heading off to the ceremony, our NJ Wedding Photographer captured every touching moment these two shared. 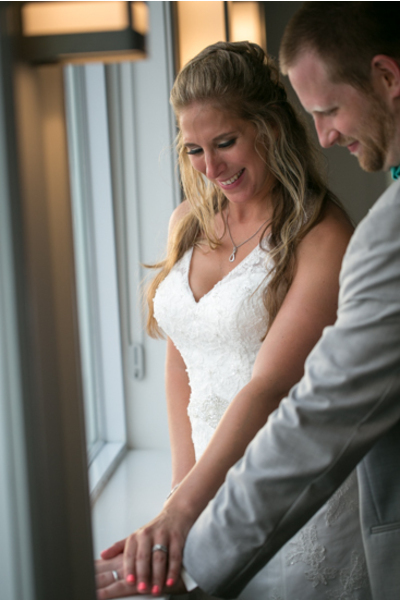 After taking a trip on the trolley, it was time to watch the magic the happen! 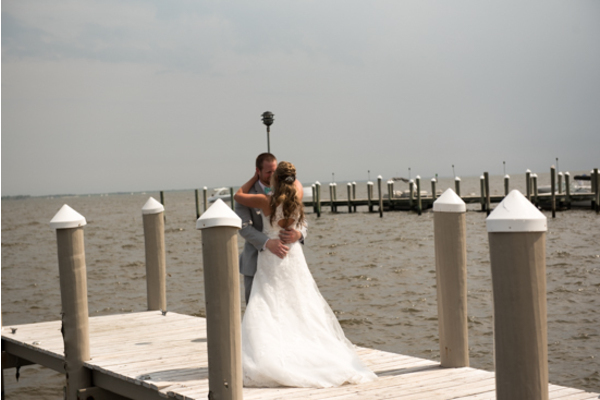 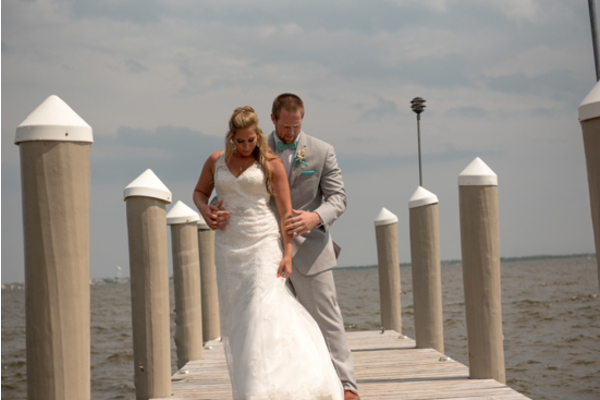 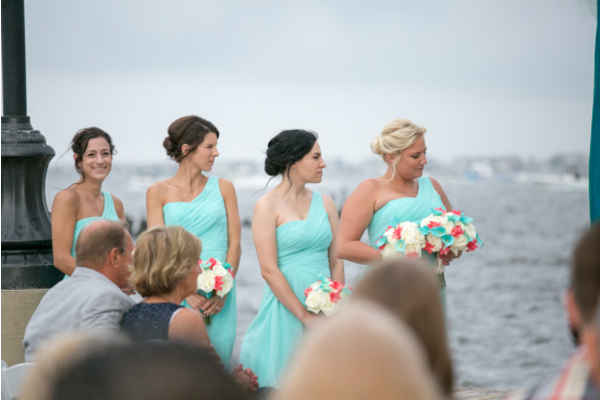 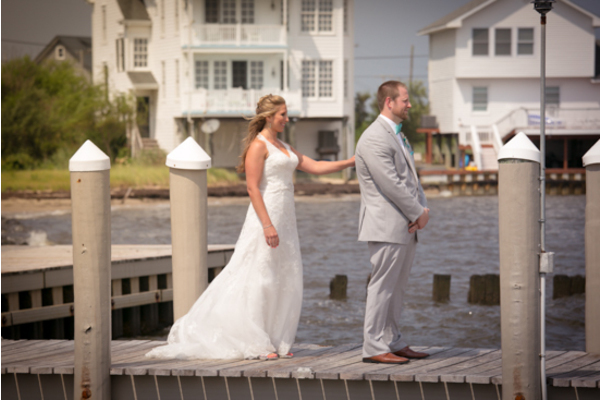 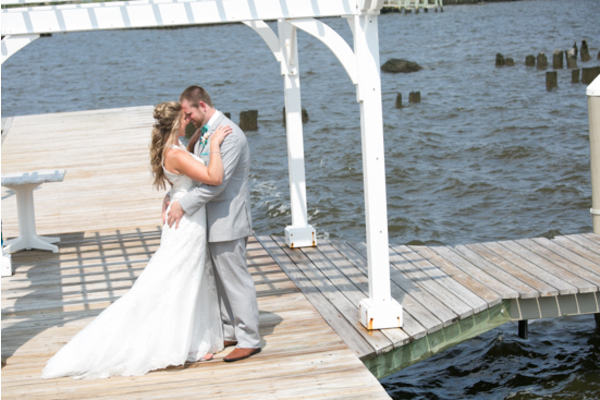 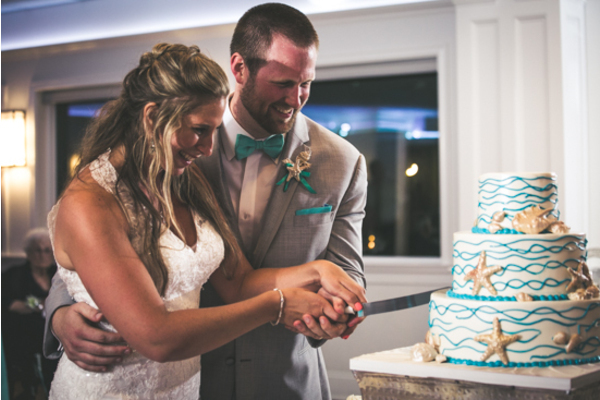 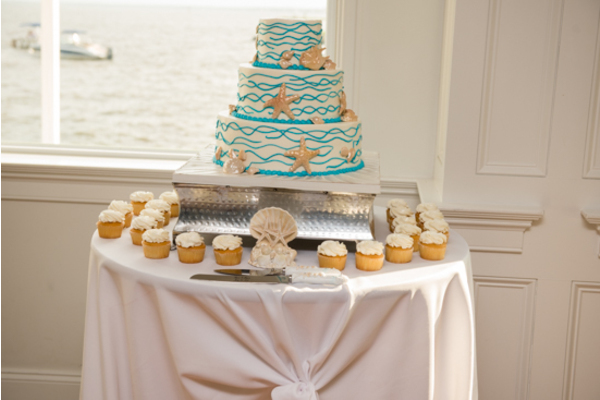 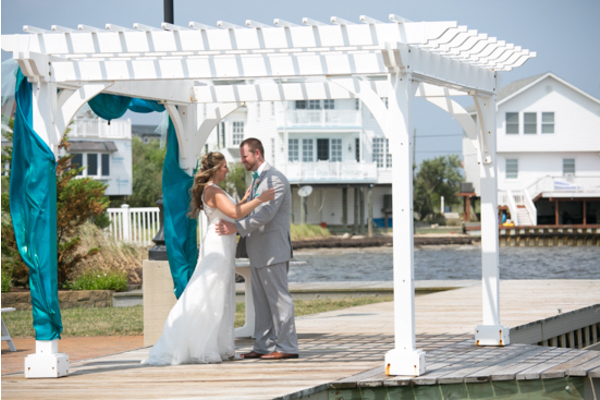 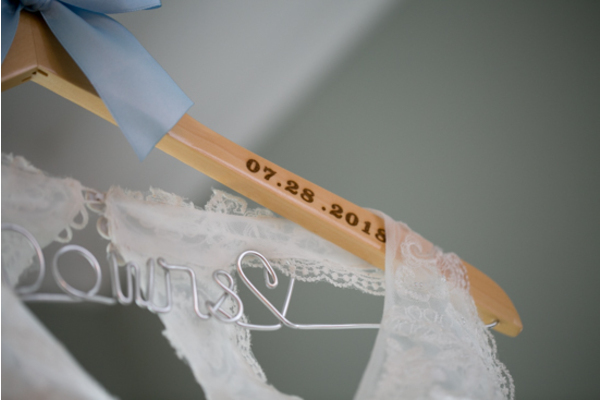 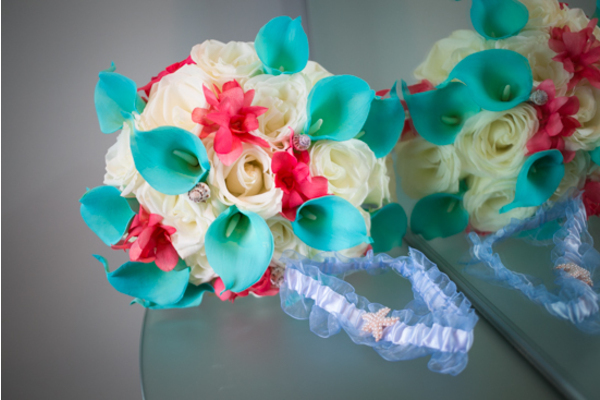 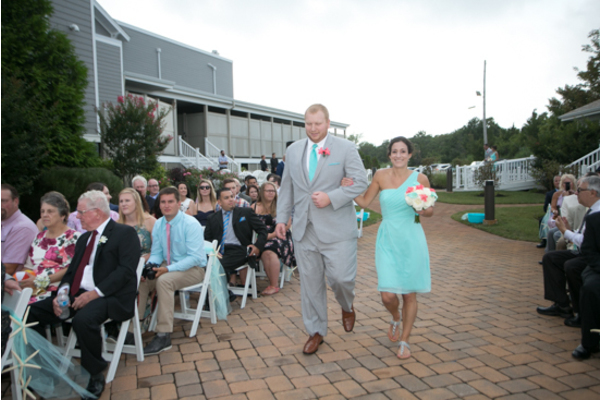 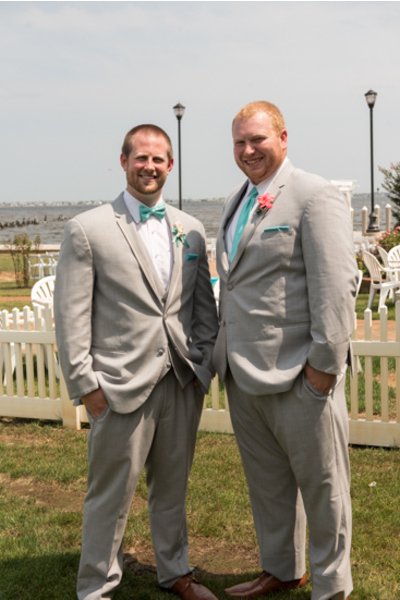 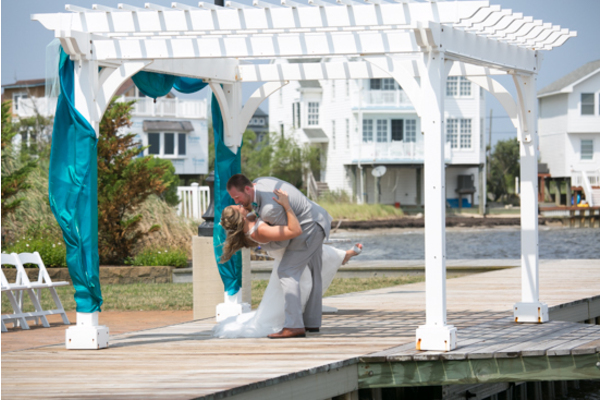 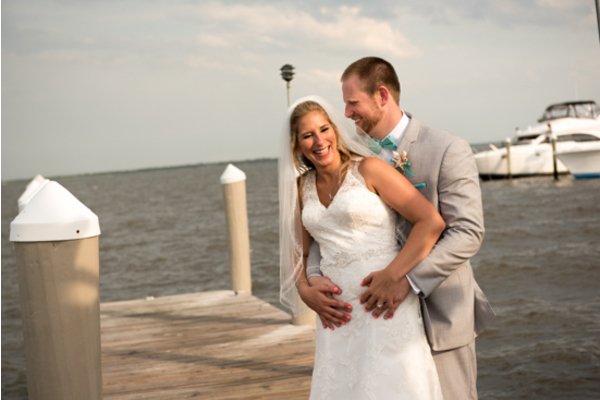 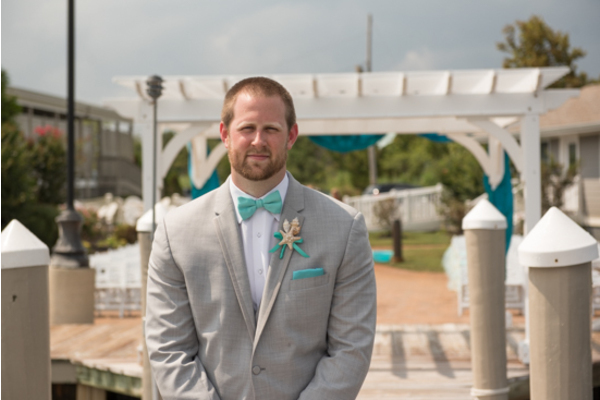 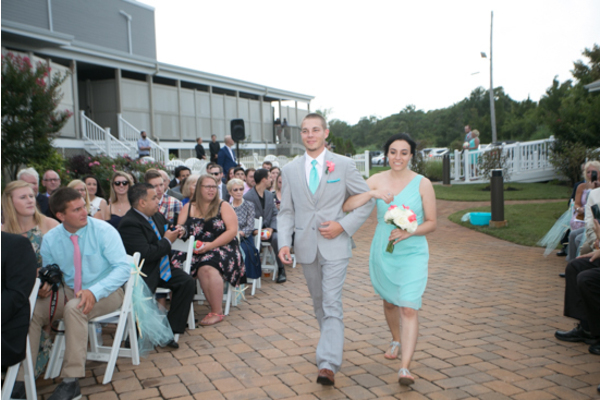 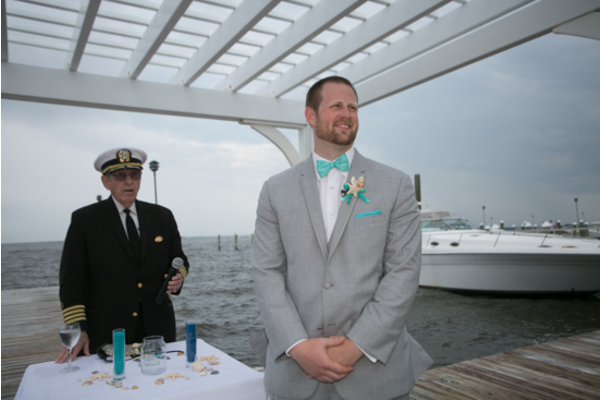 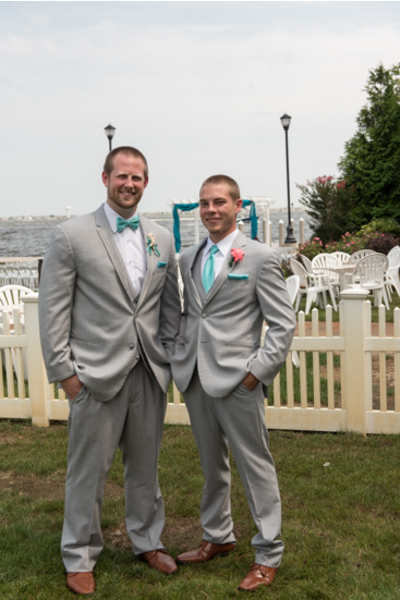 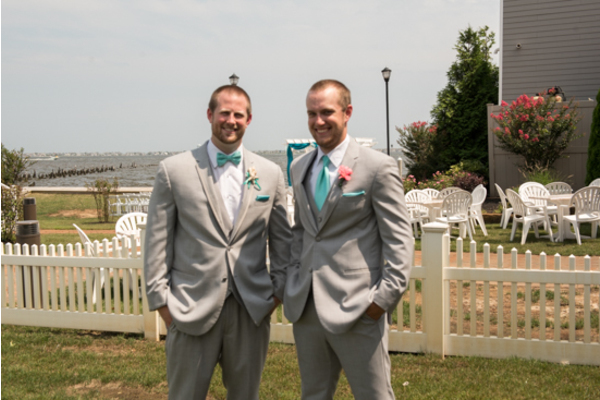 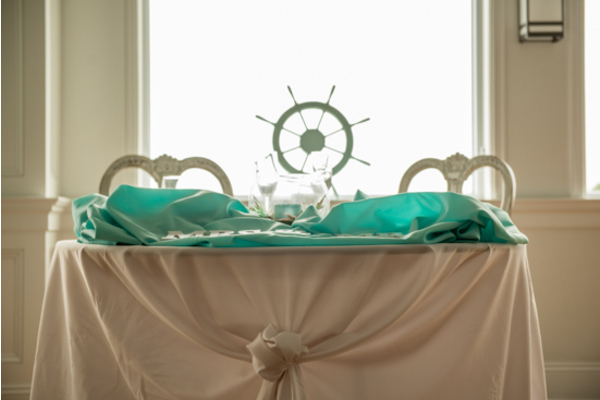 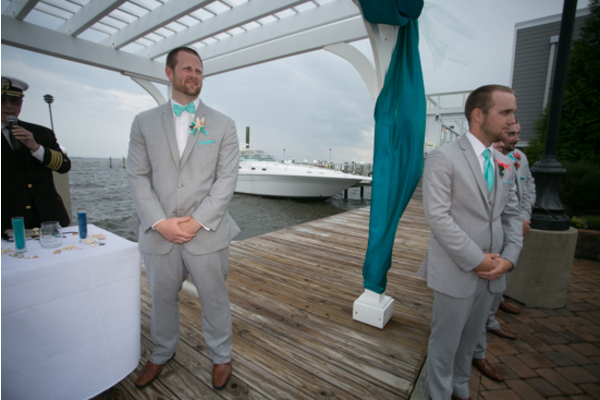 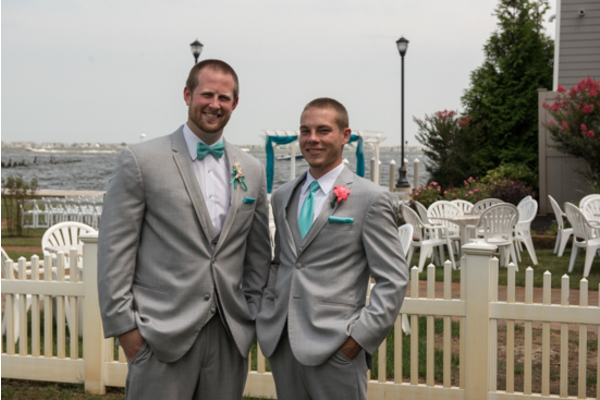 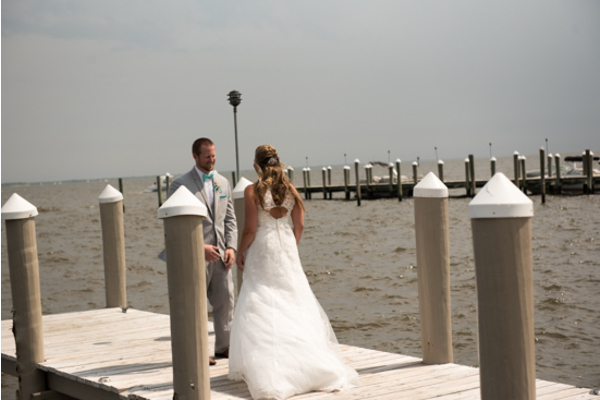 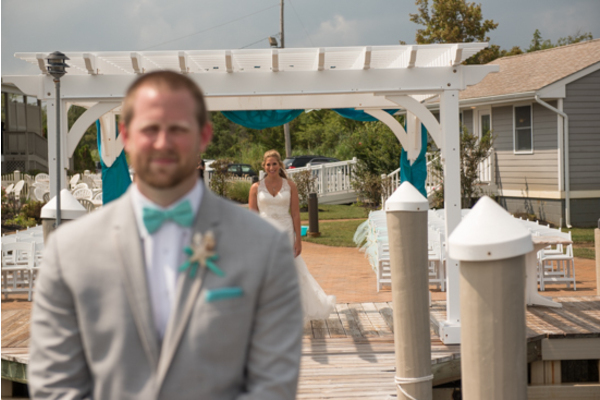 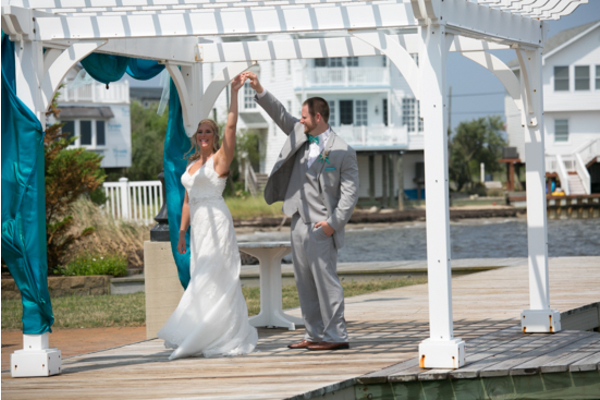 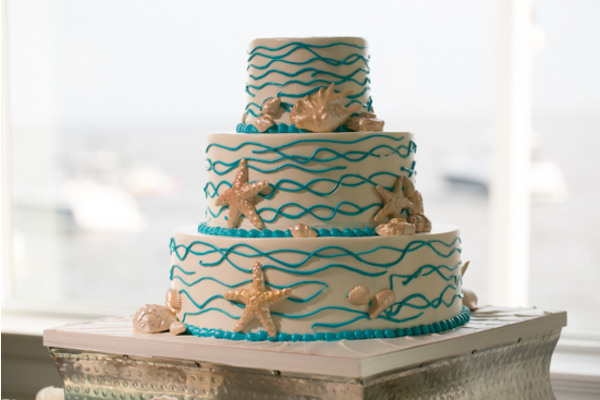 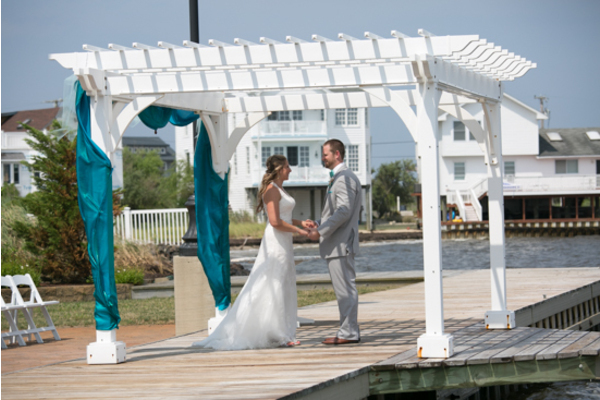 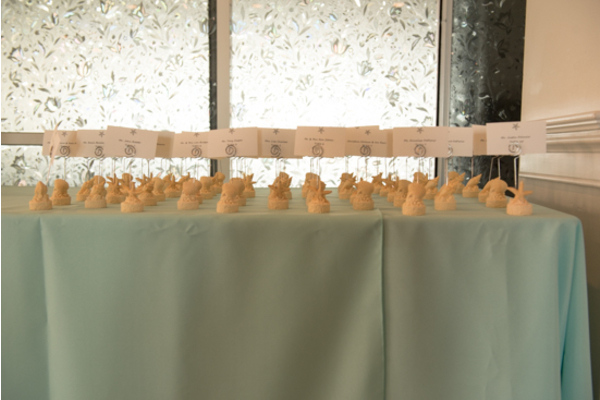 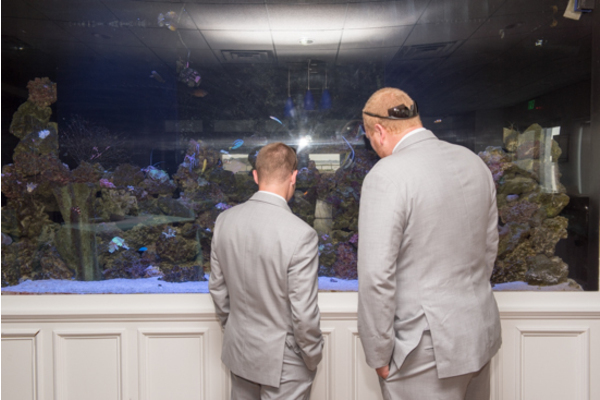 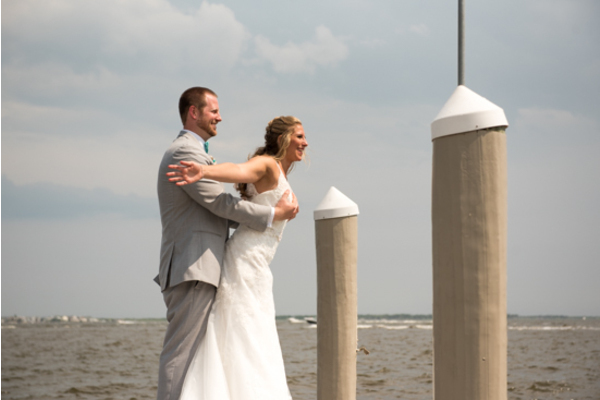 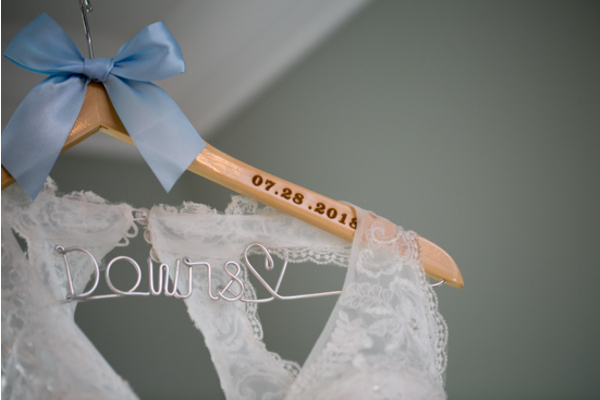 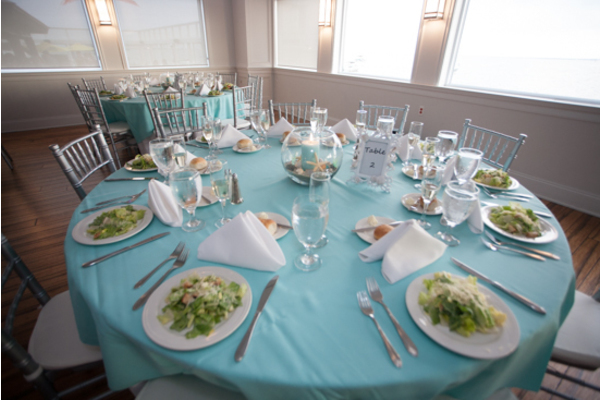 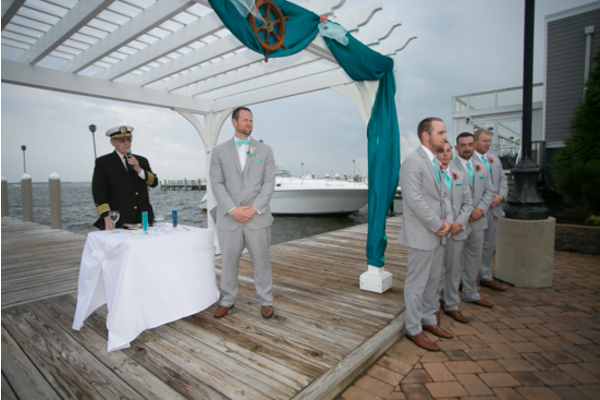 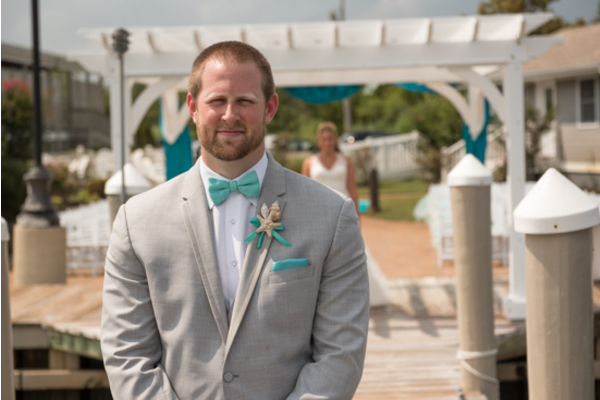 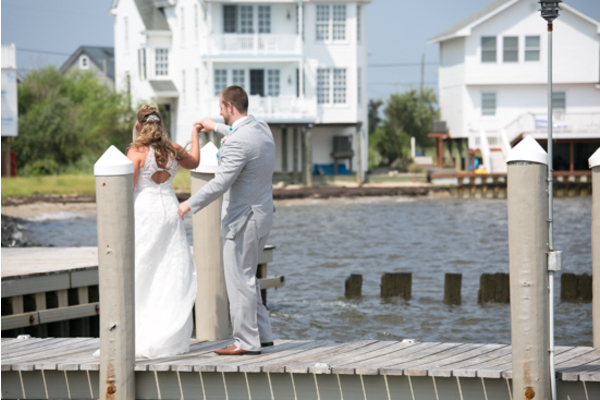 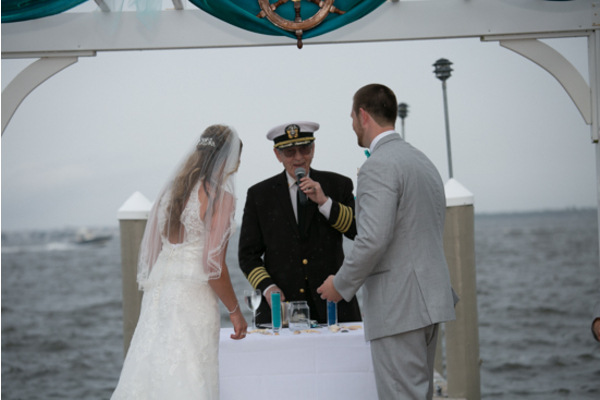 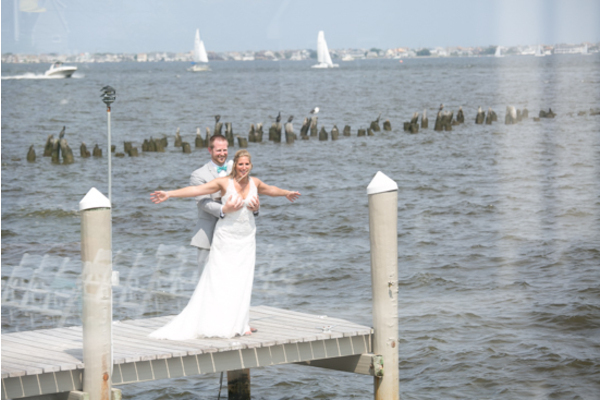 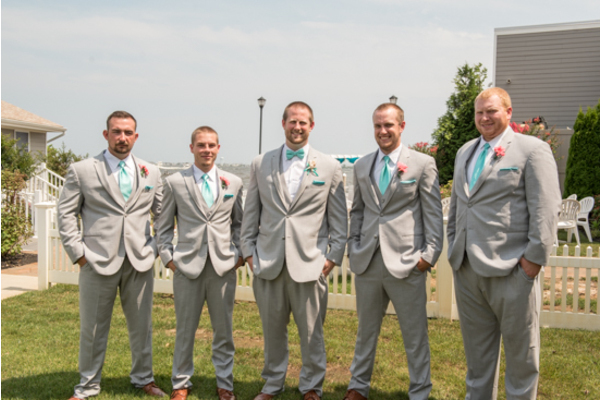 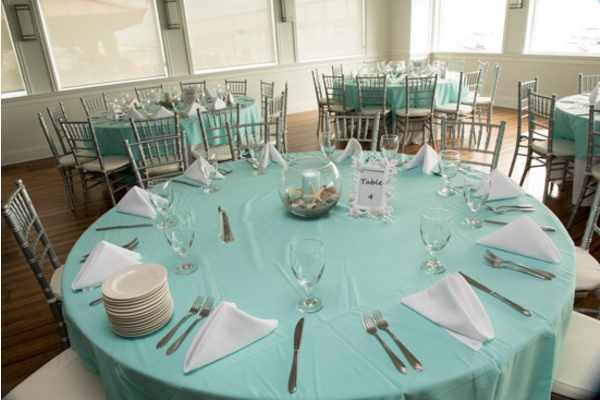 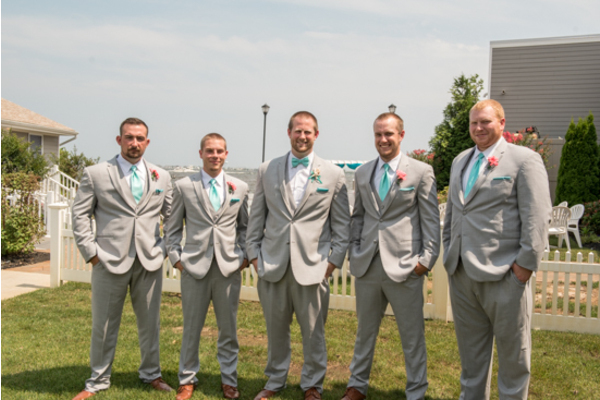 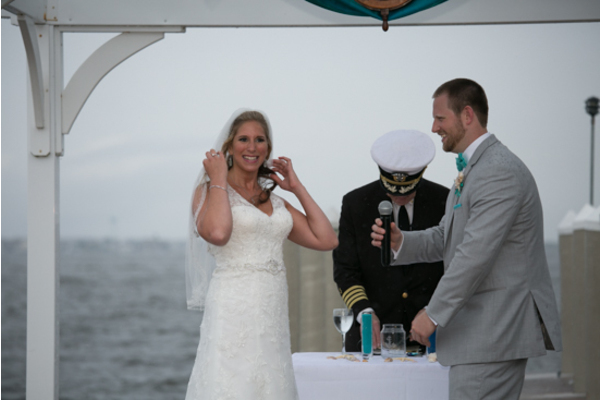 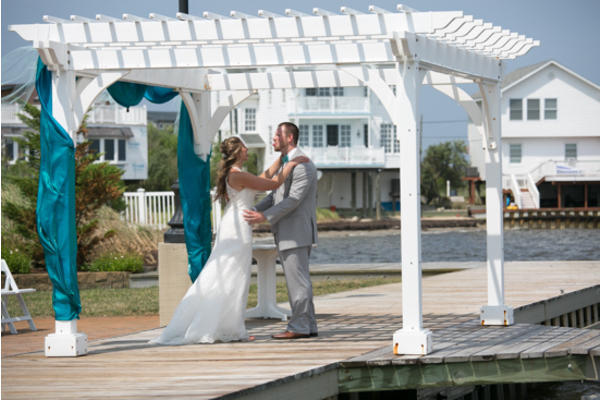 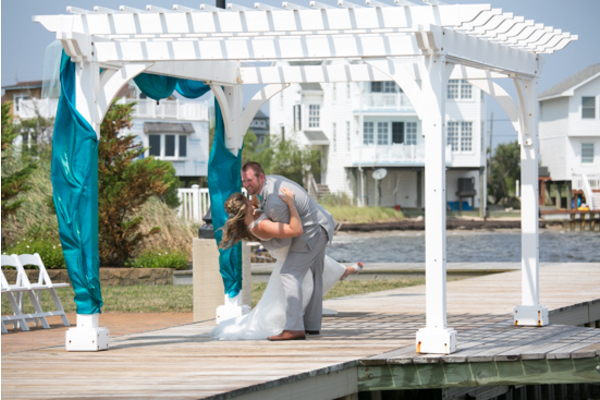 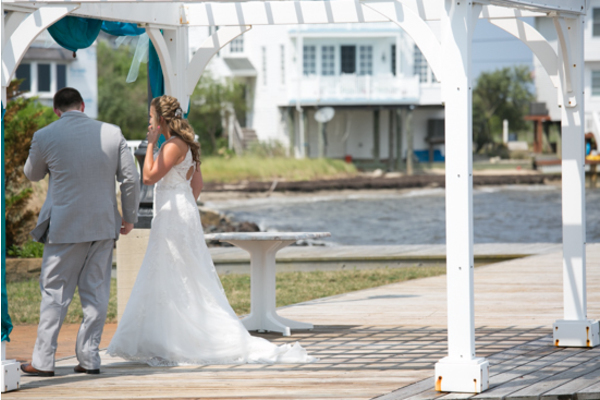 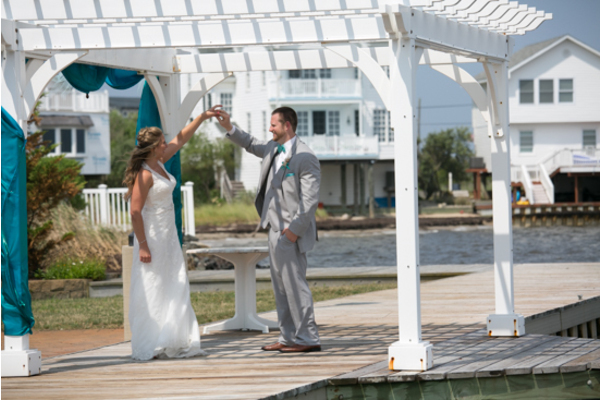 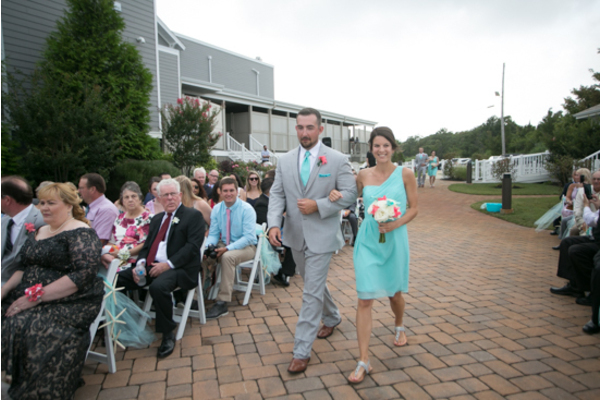 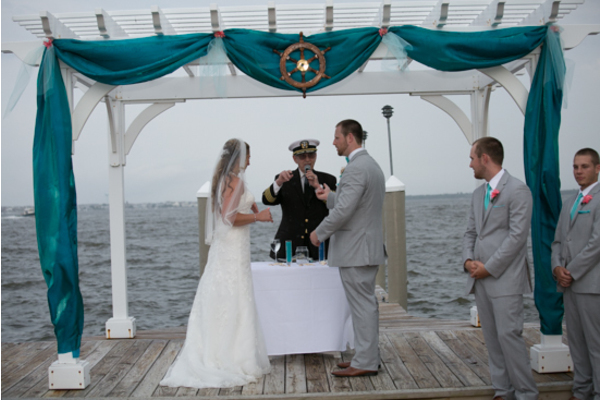 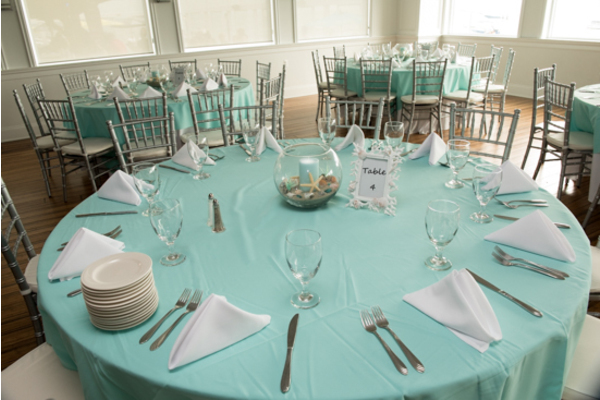 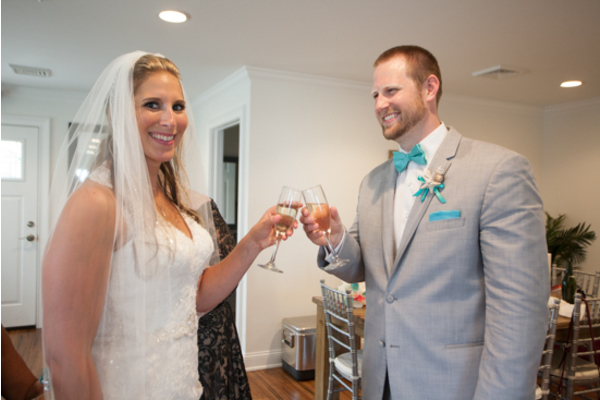 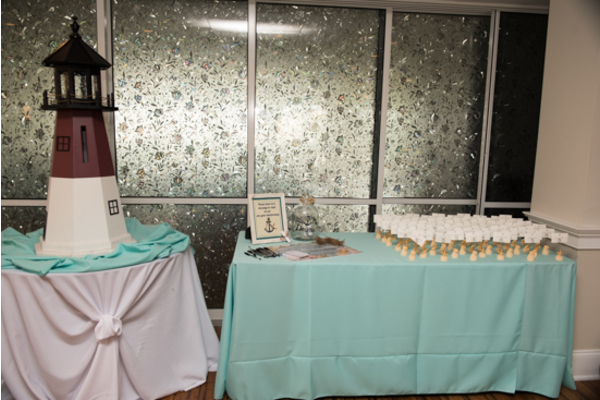 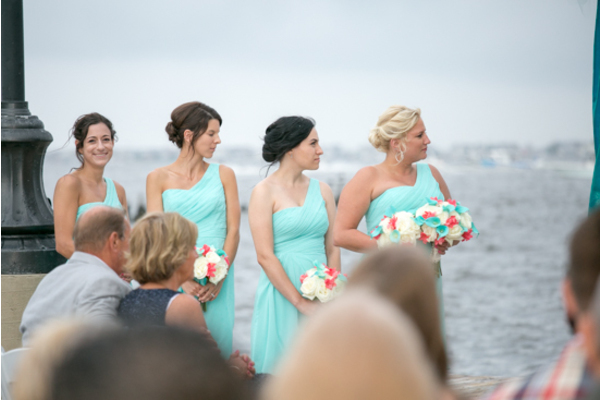 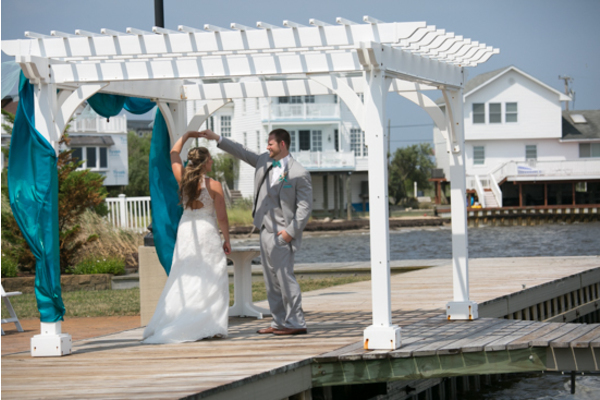 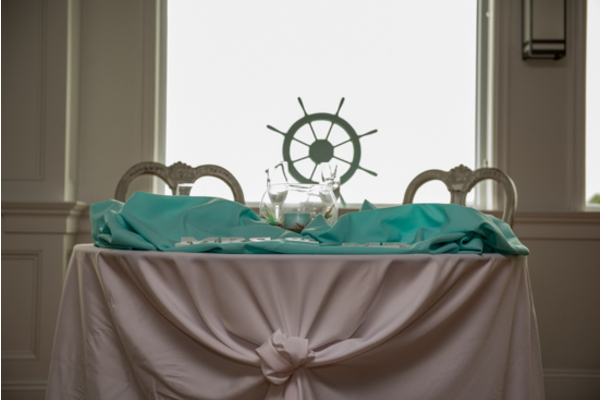 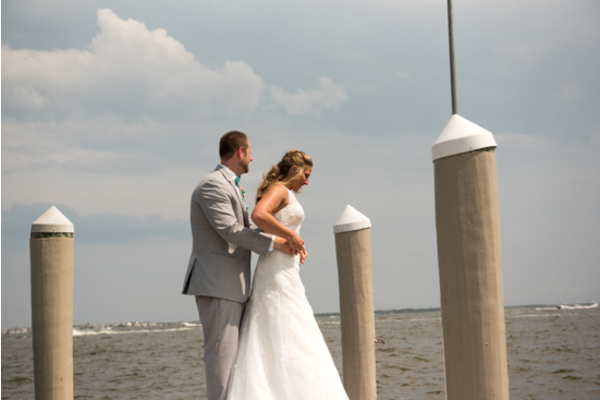 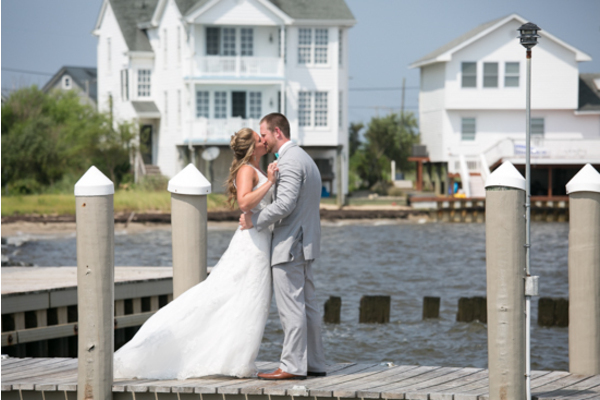 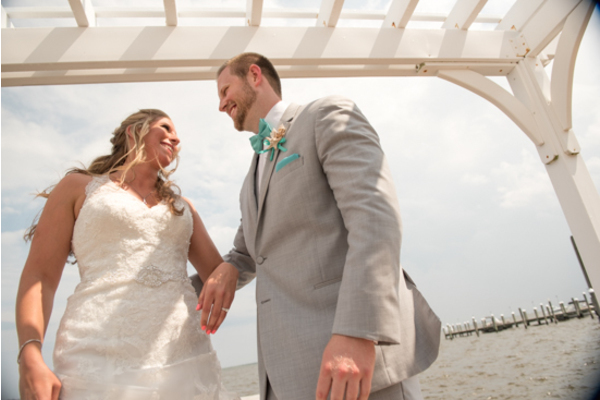 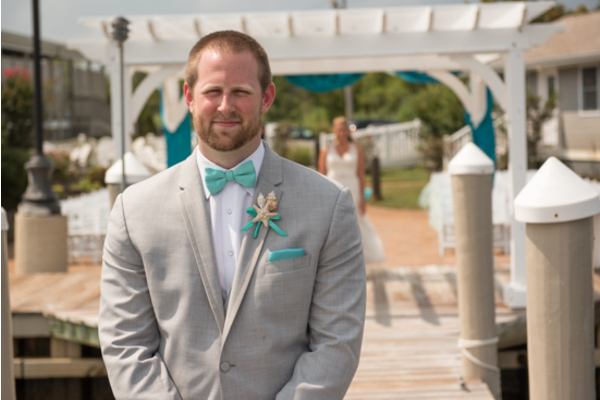 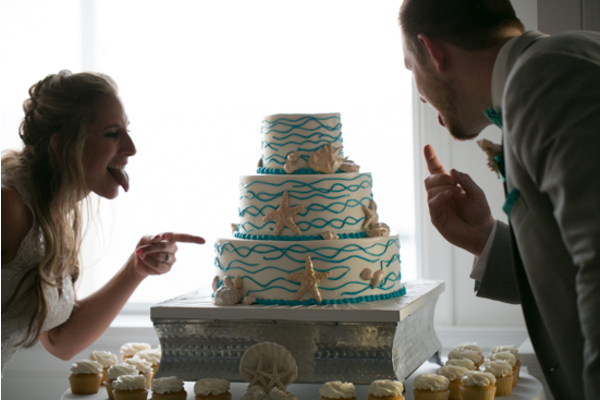 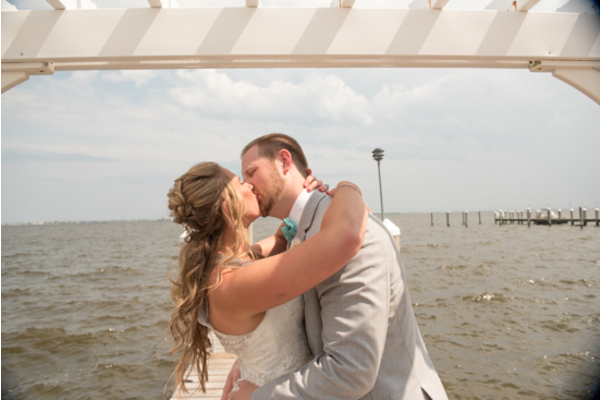 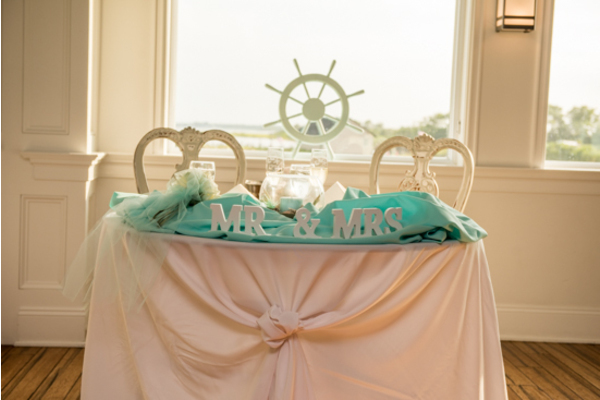 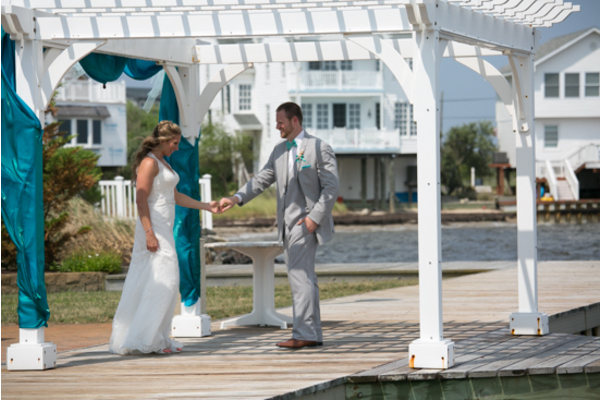 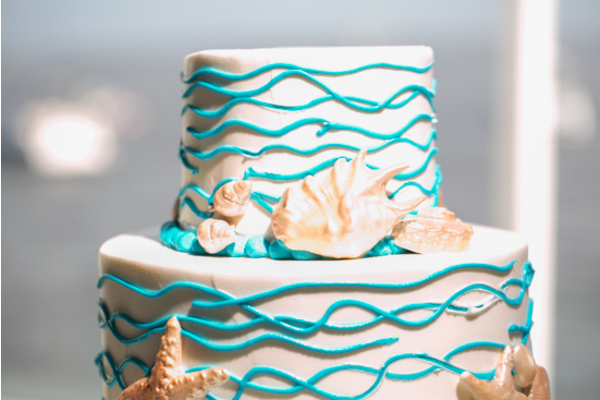 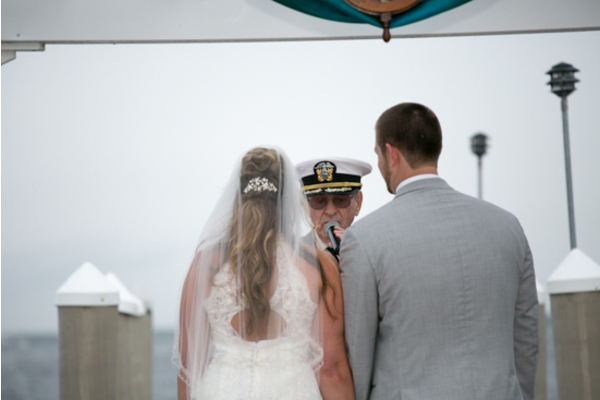 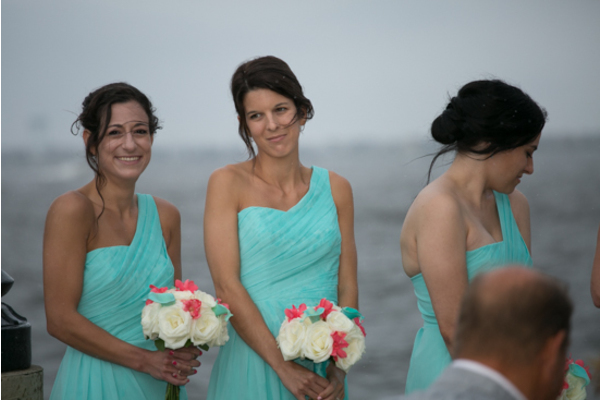 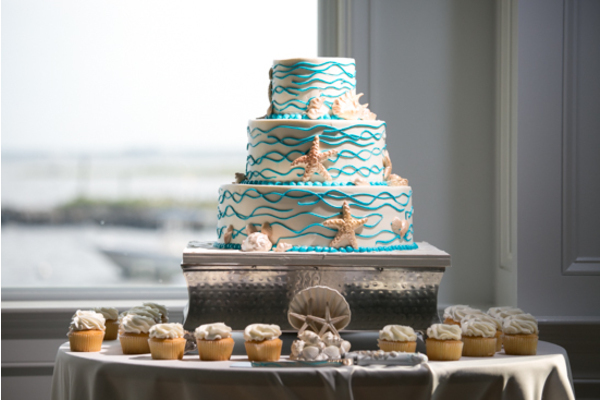 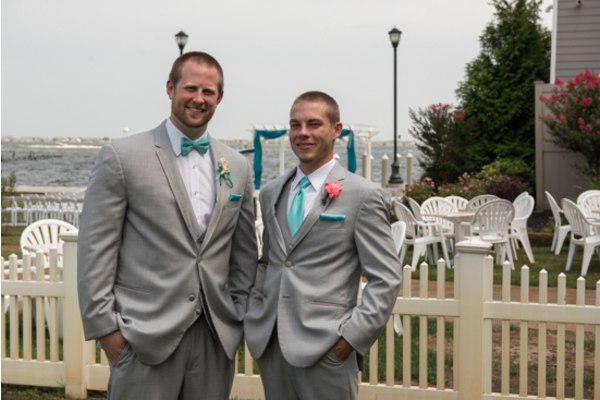 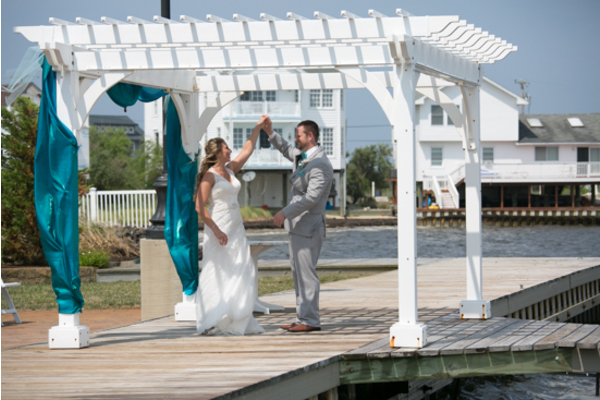 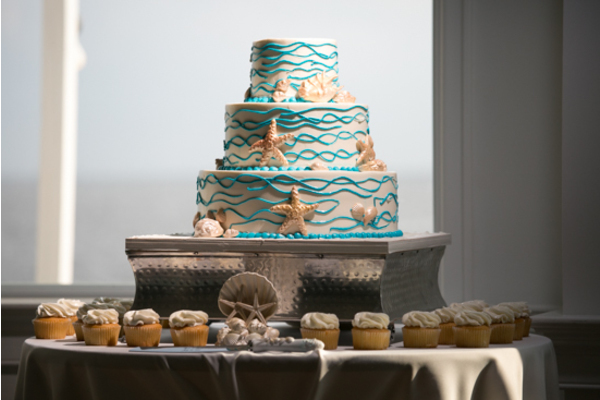 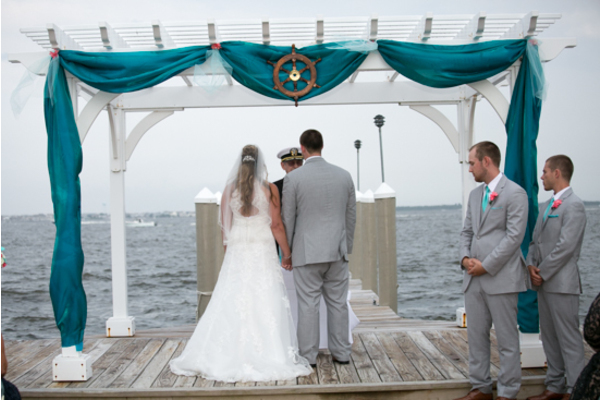 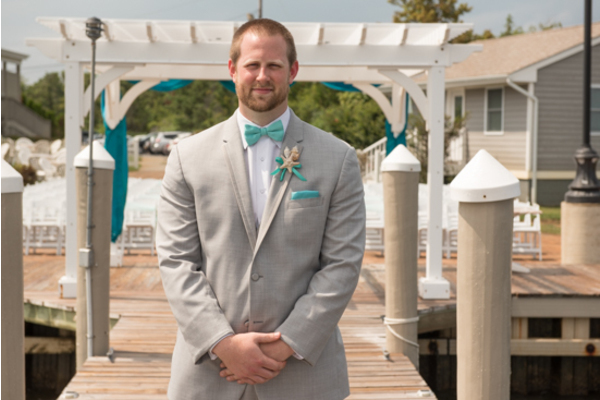 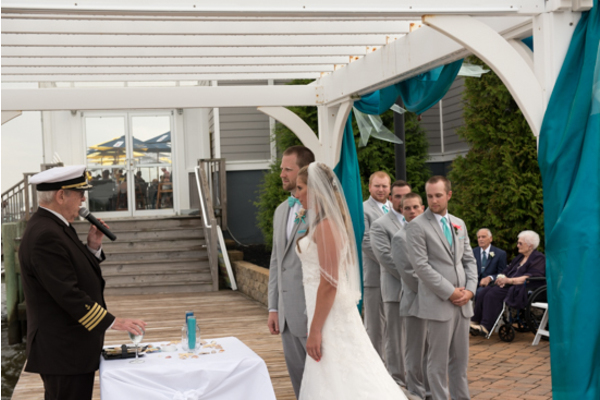 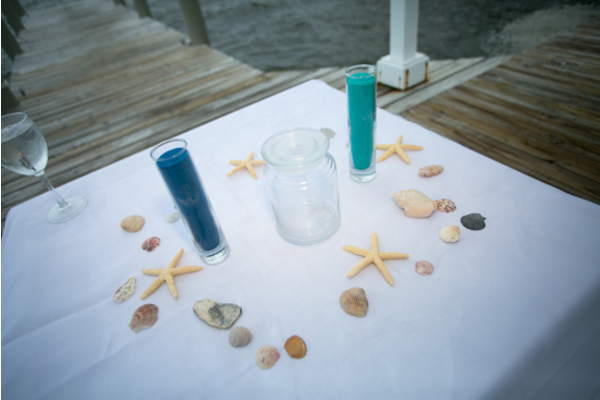 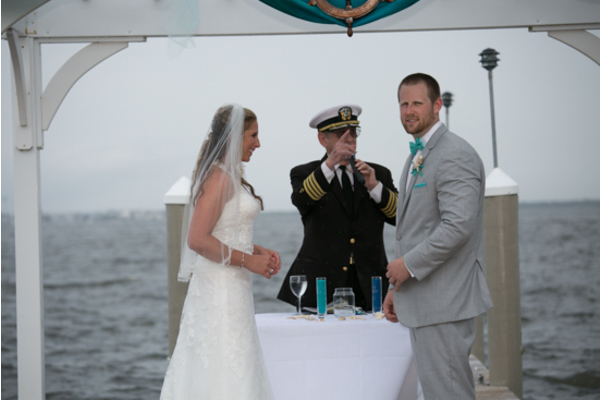 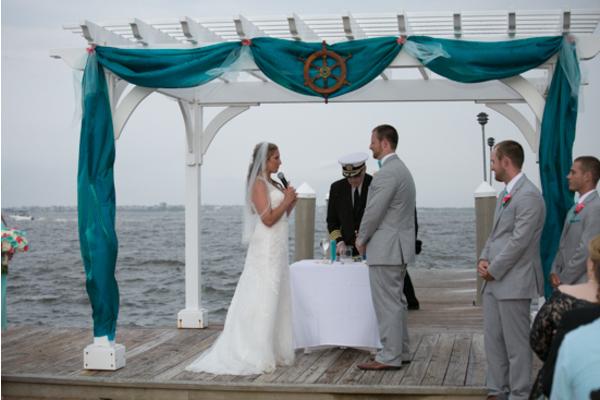 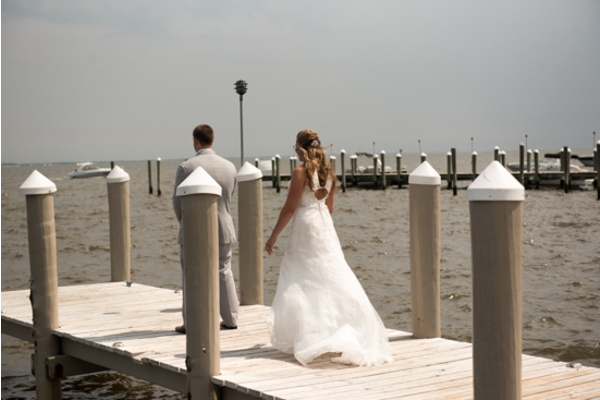 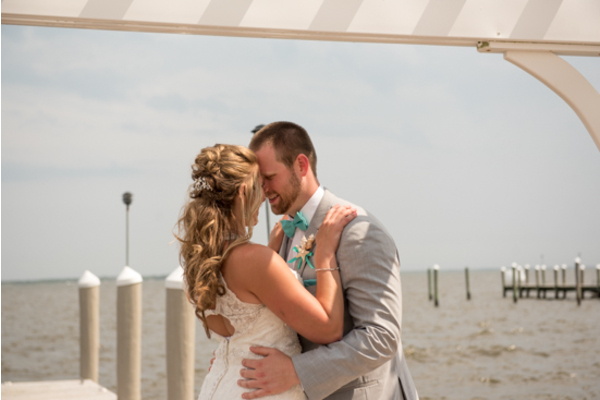 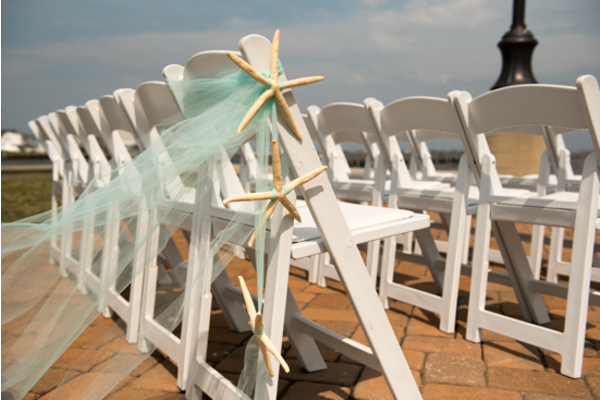 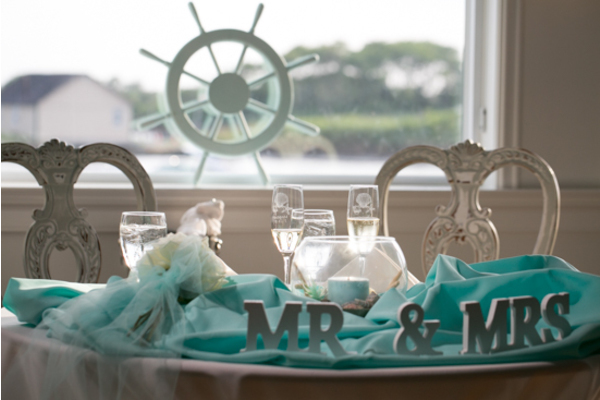 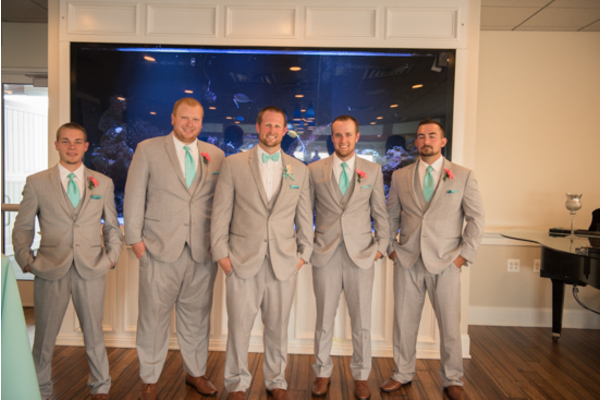 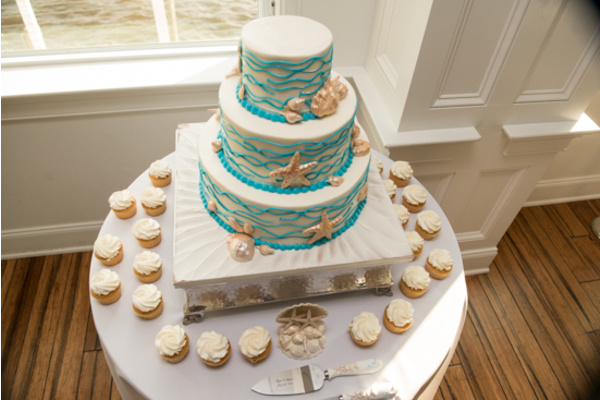 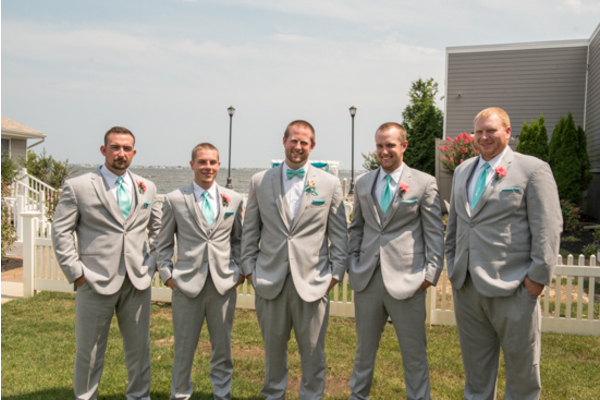 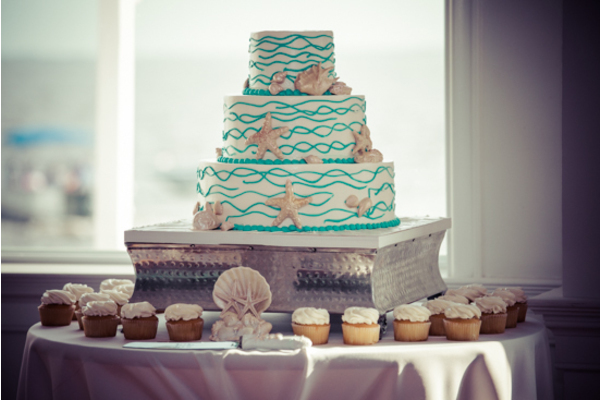 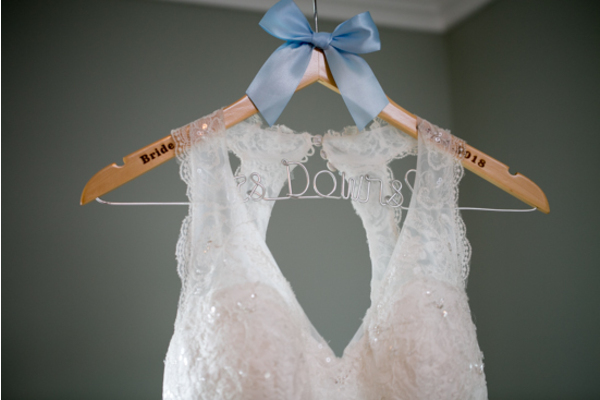 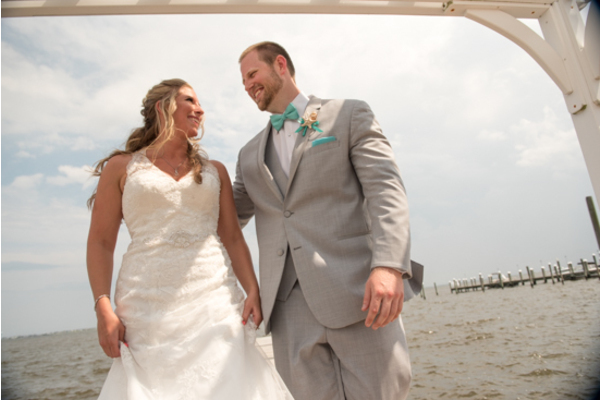 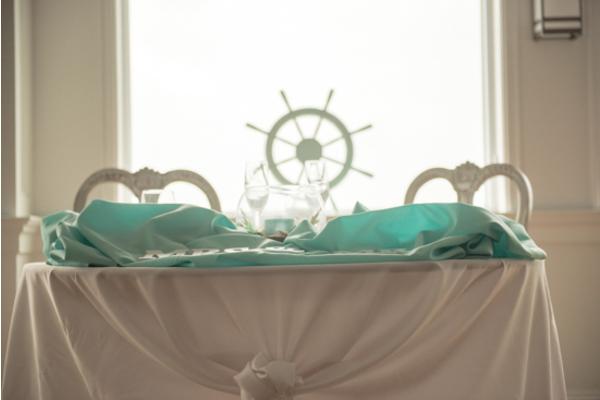 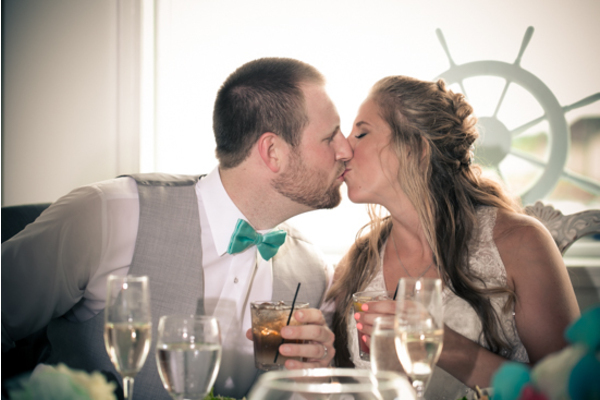 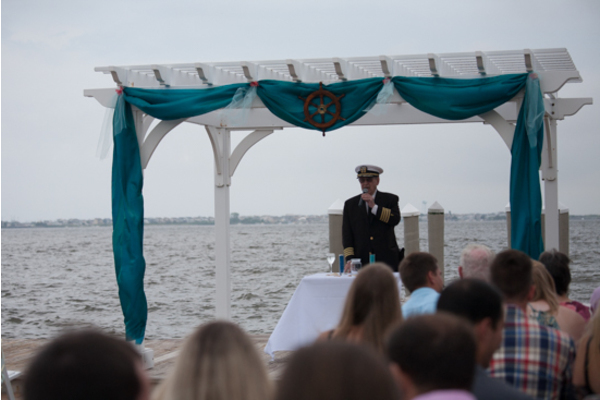 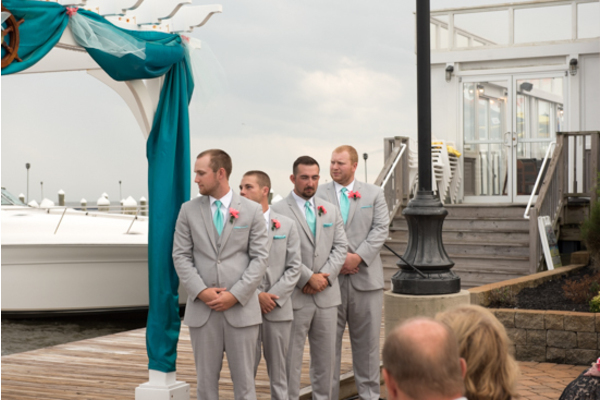 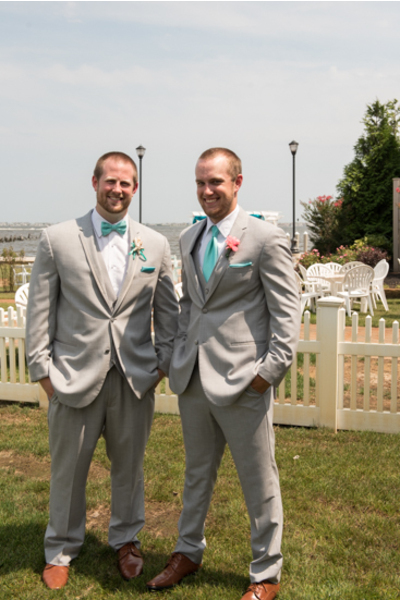 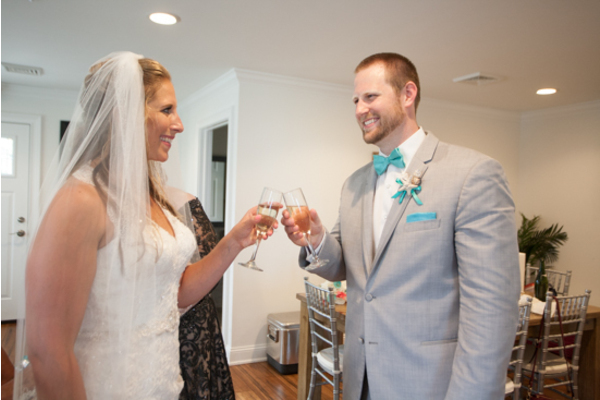 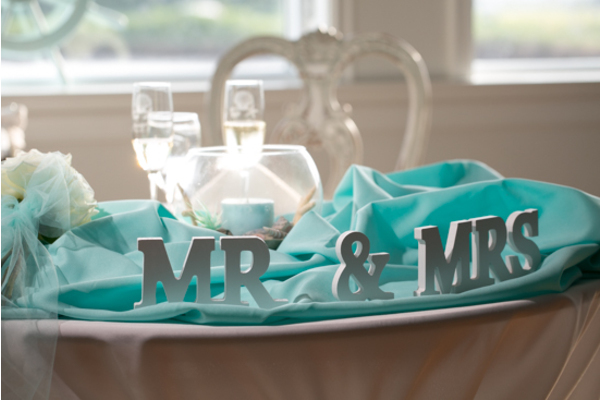 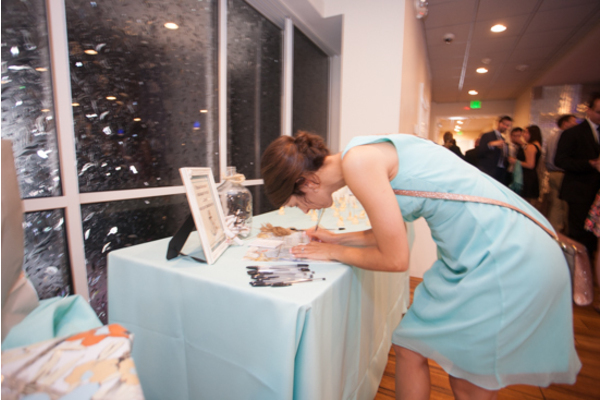 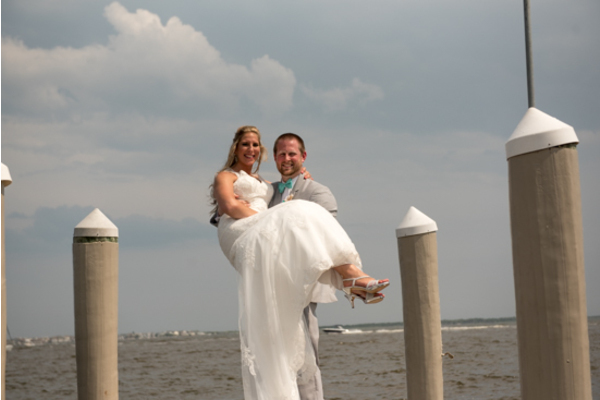 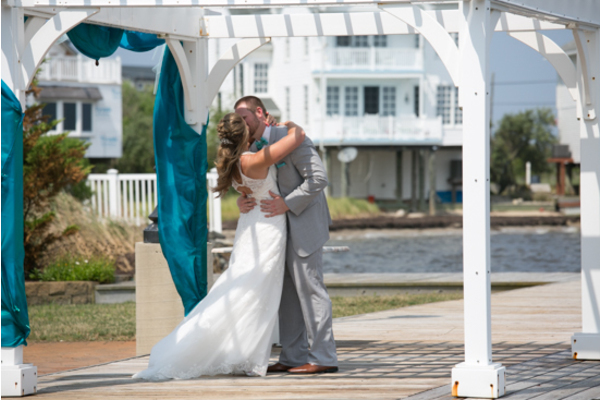 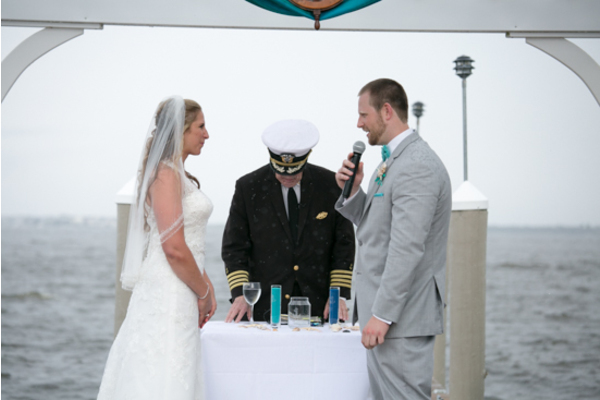 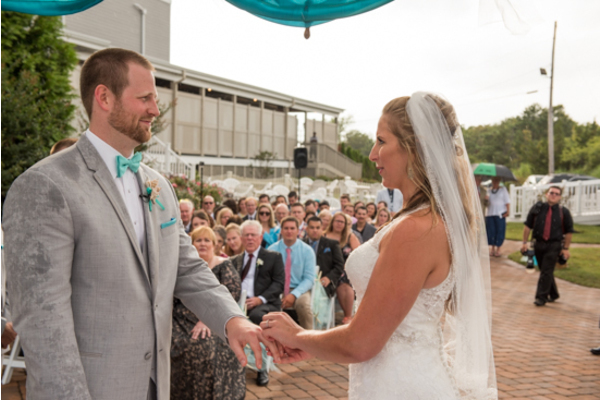 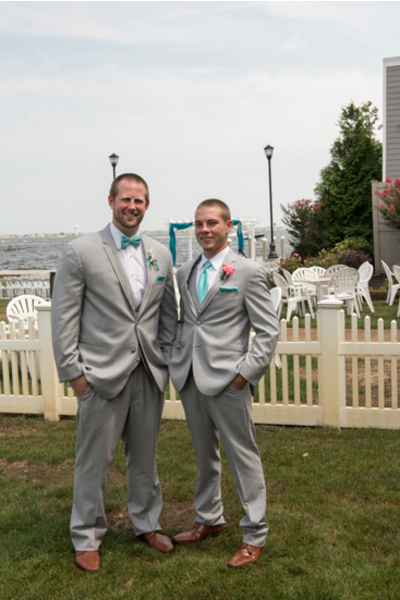 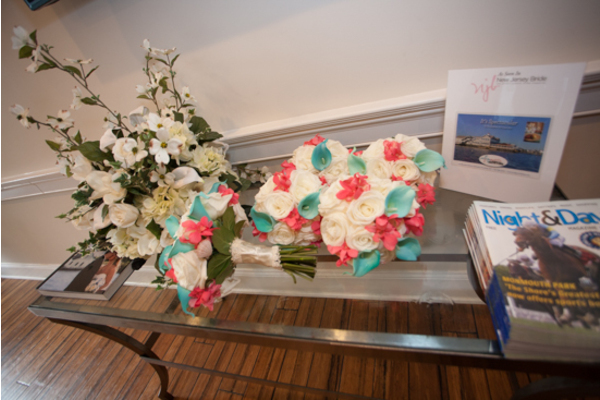 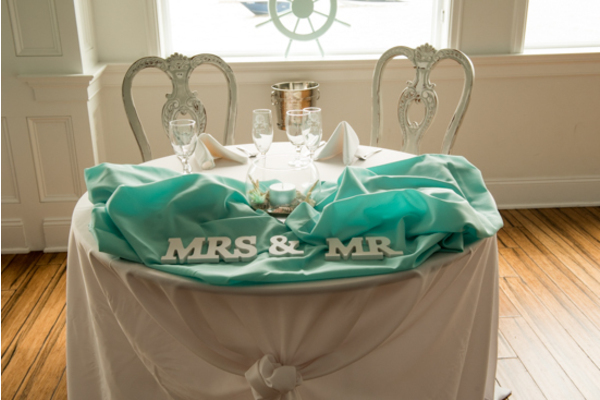 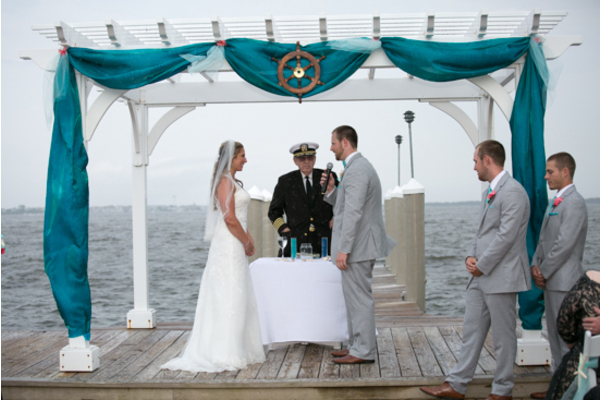 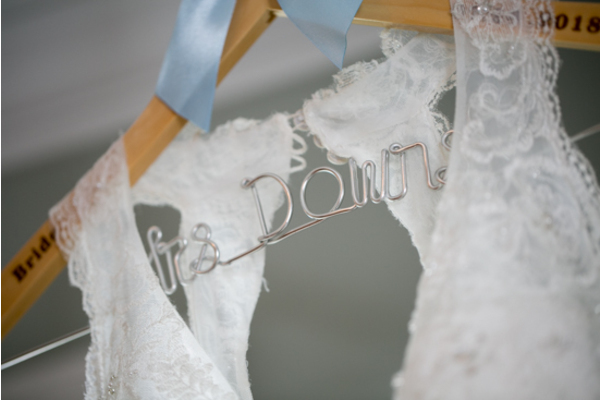 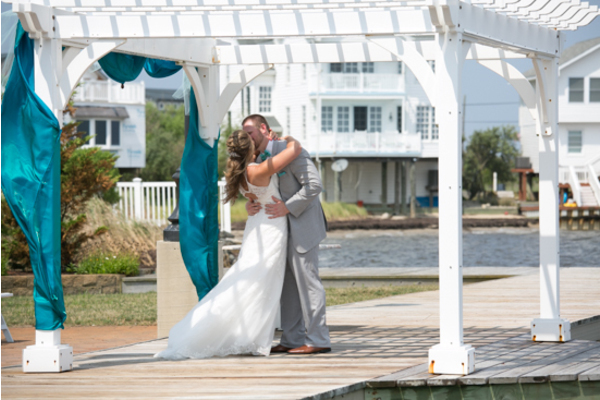 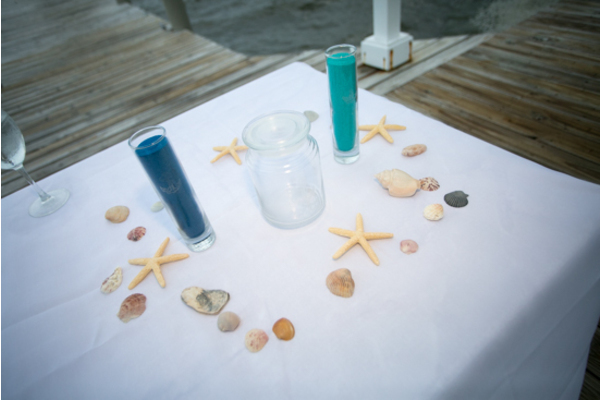 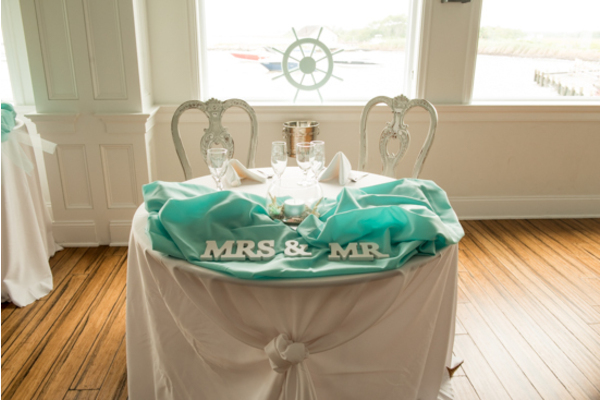 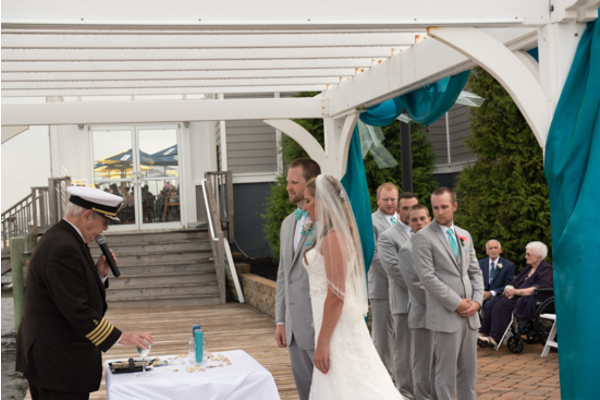 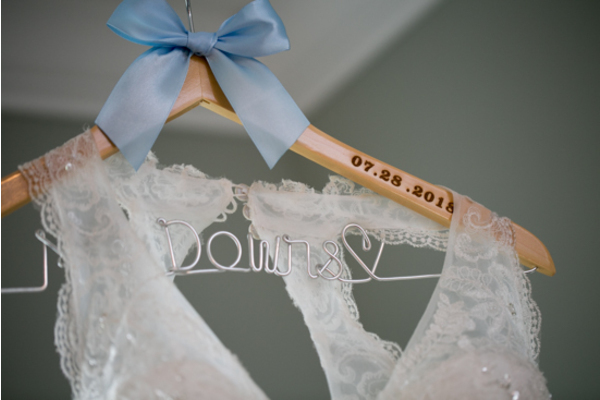 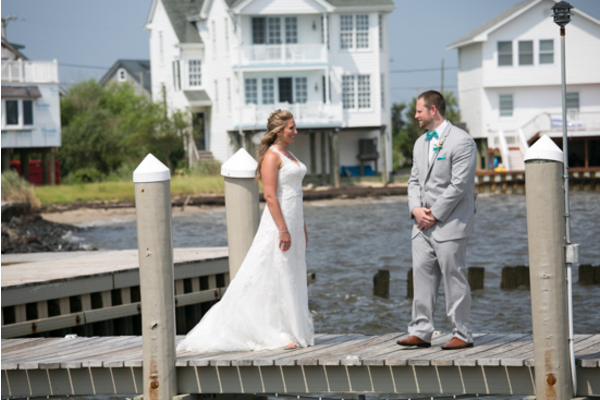 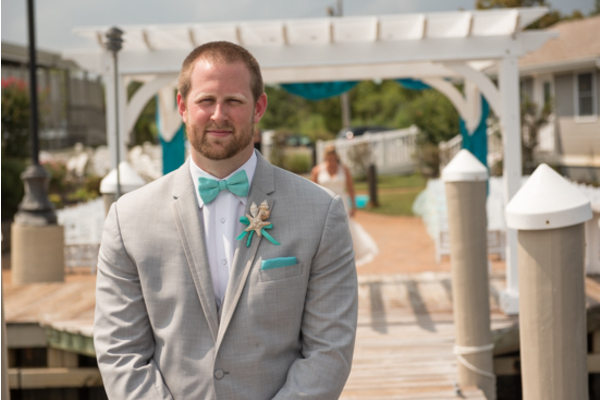 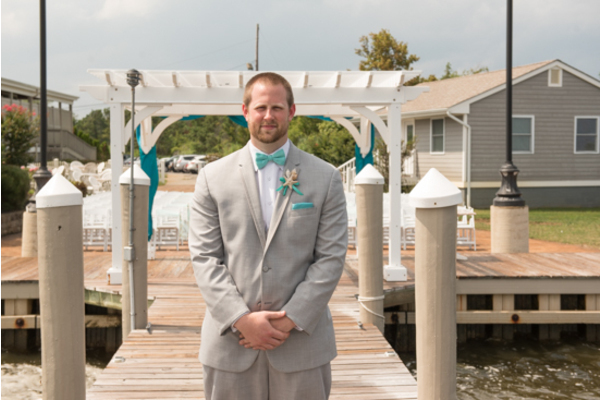 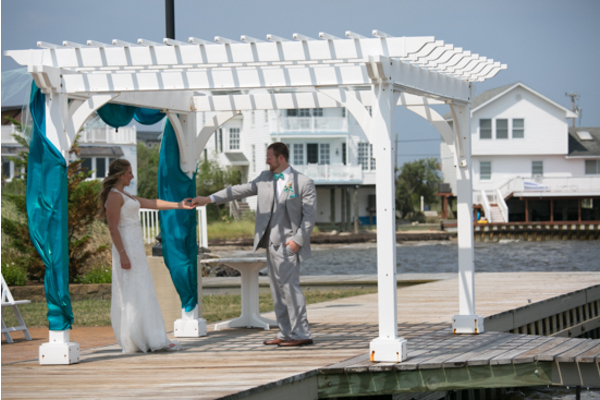 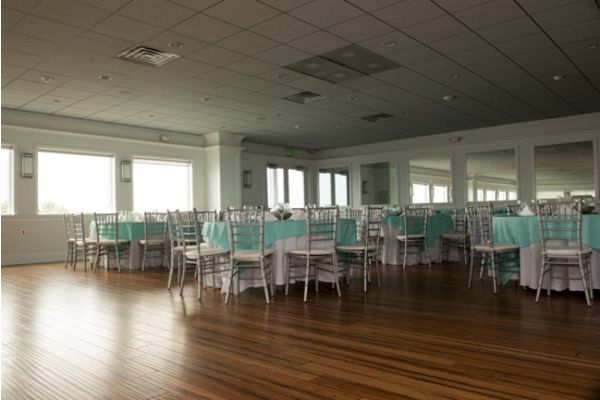 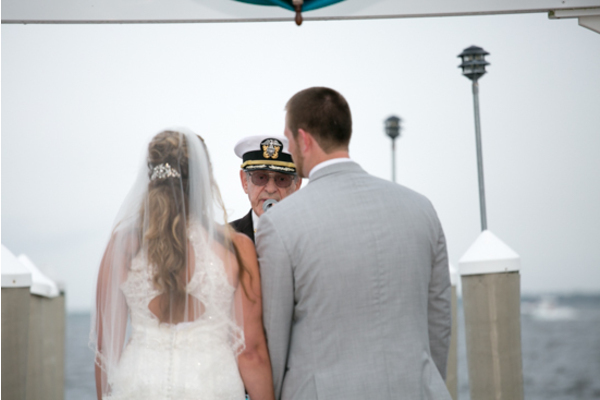 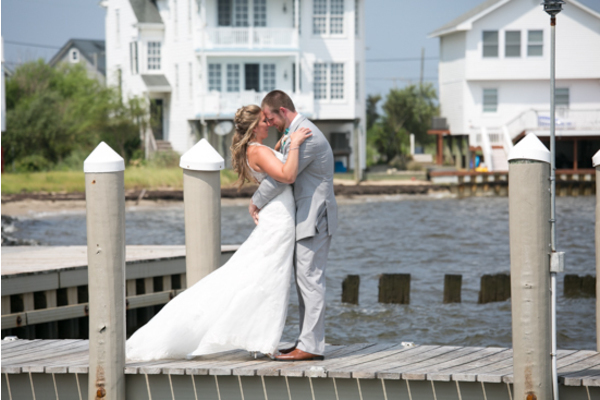 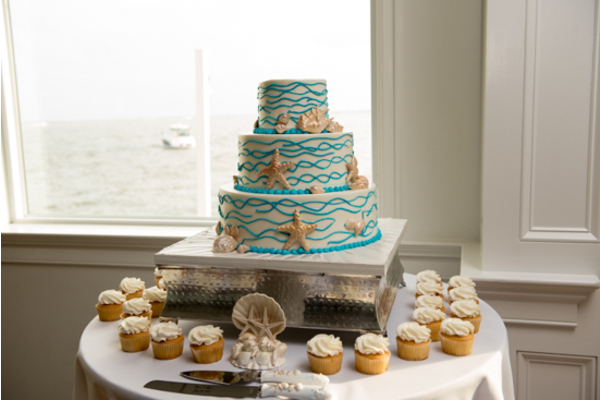 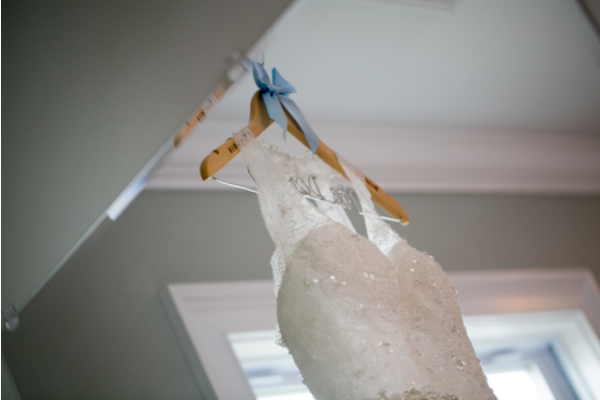 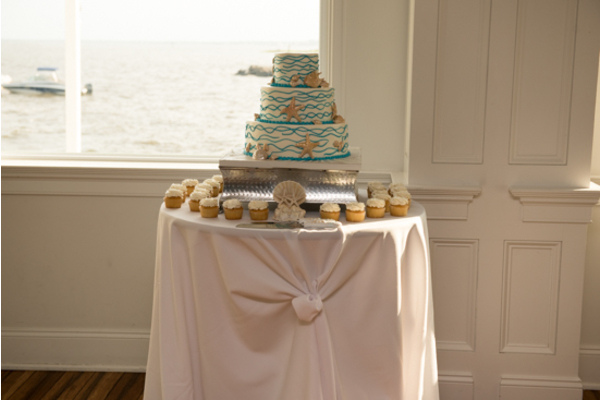 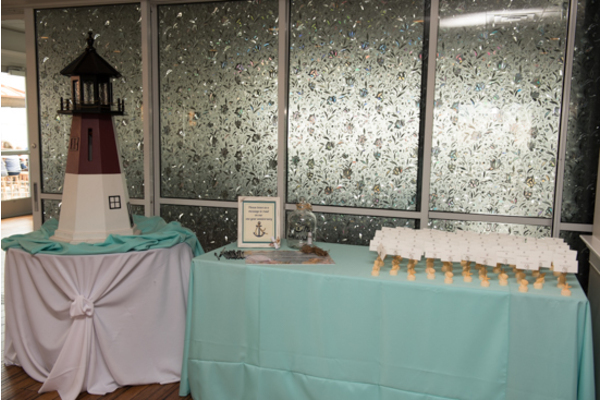 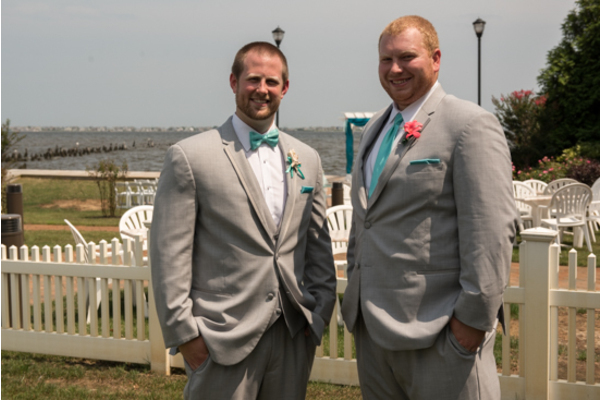 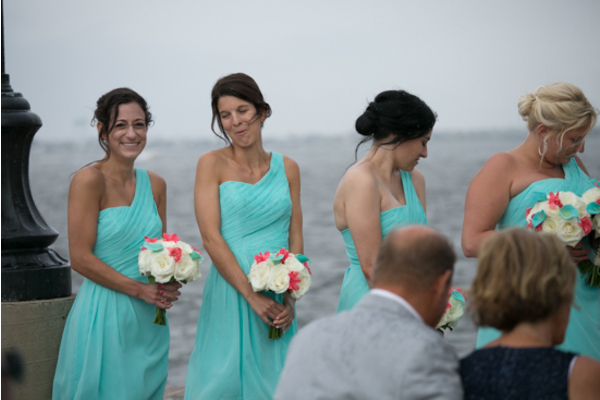 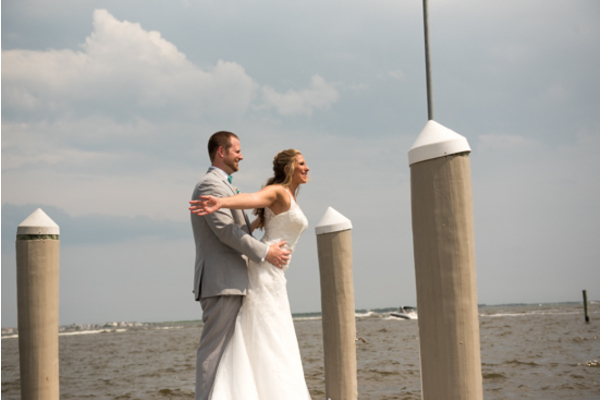 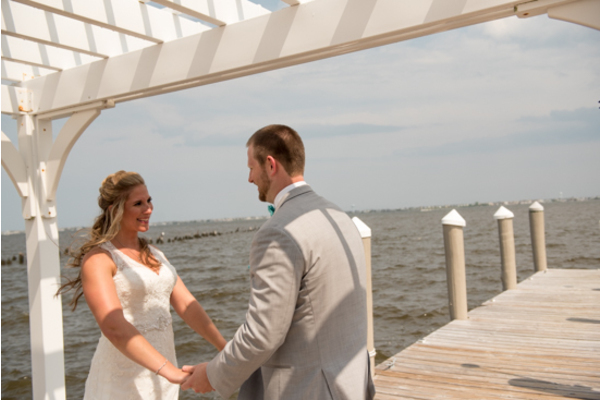 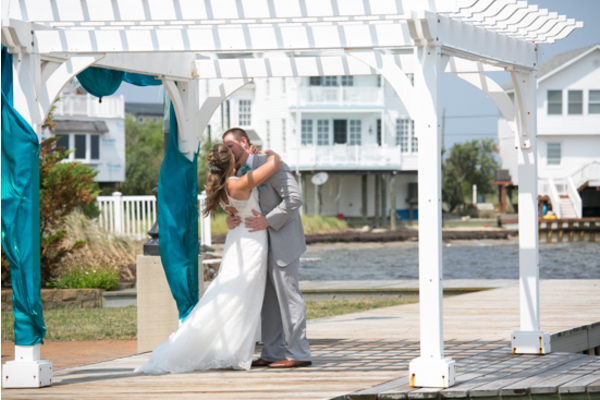 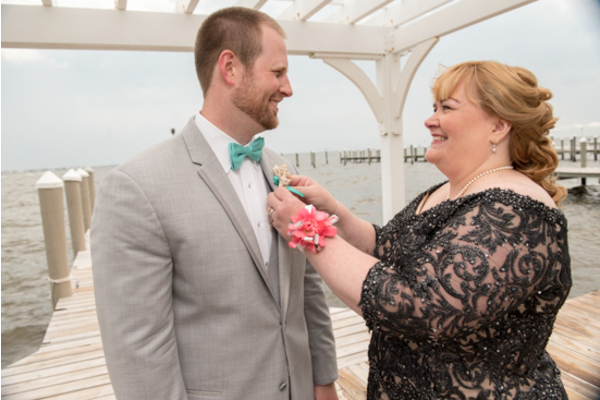 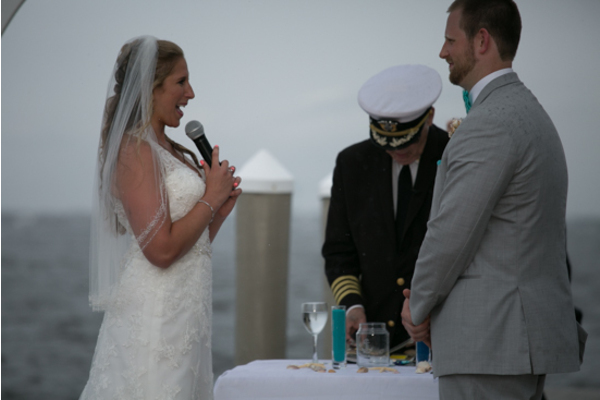 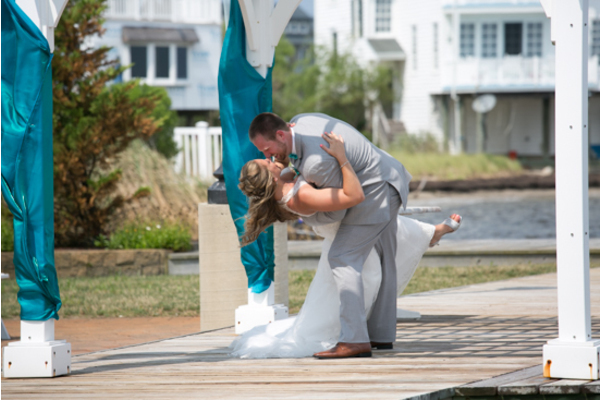 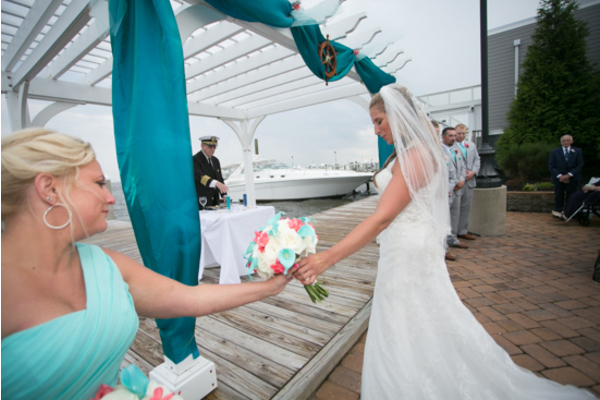 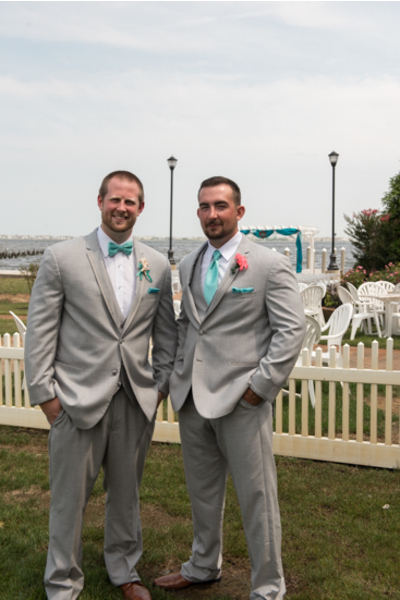 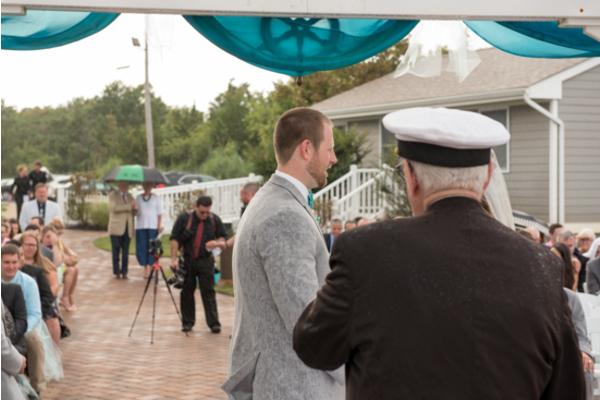 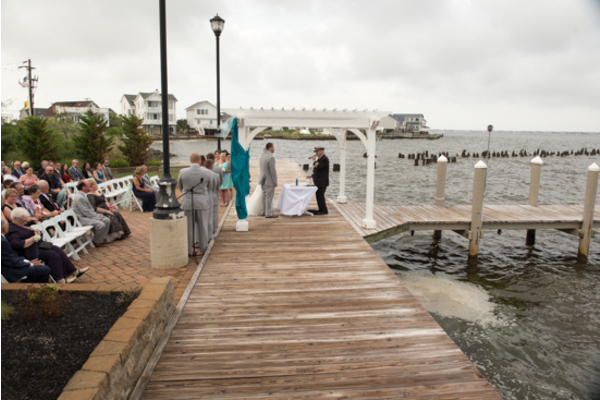 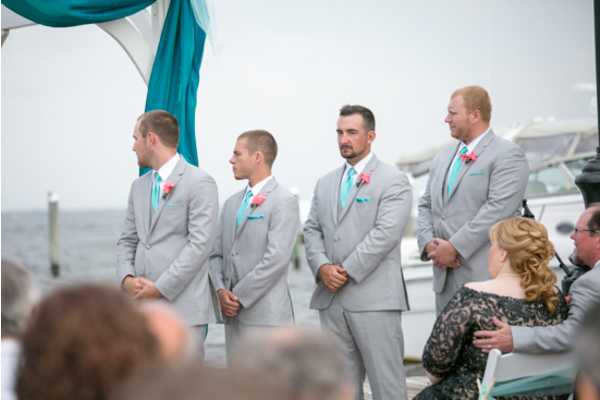 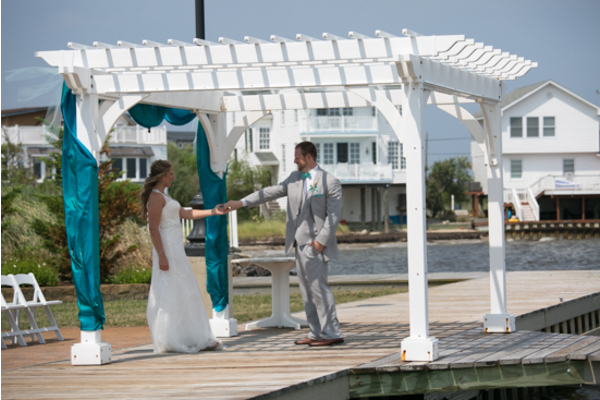 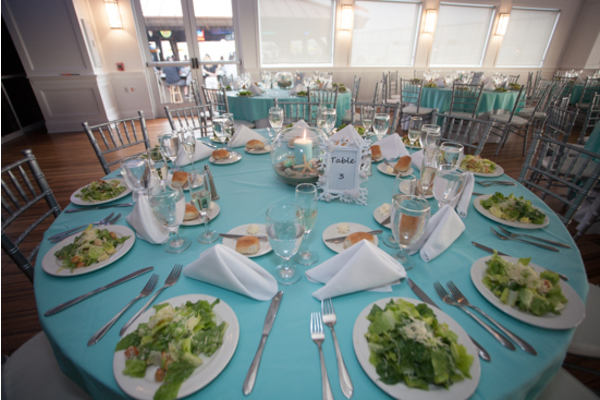 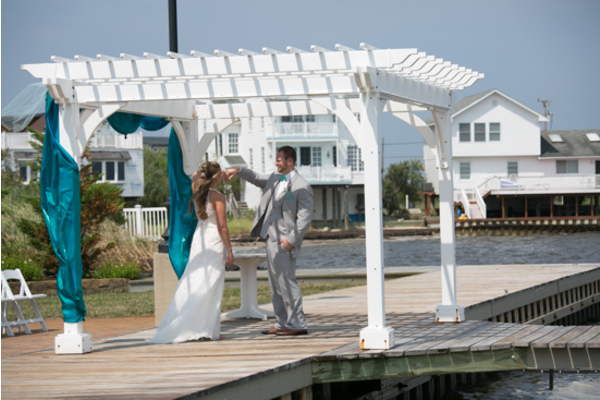 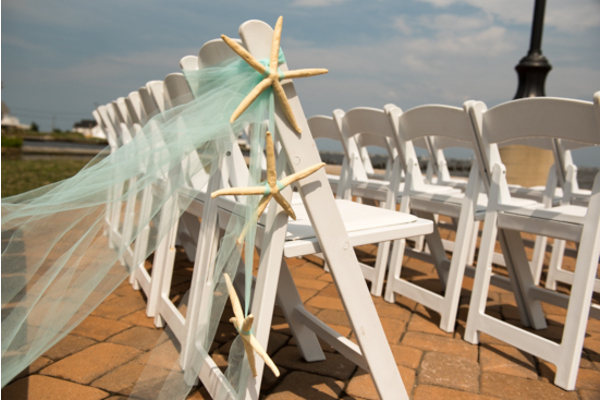 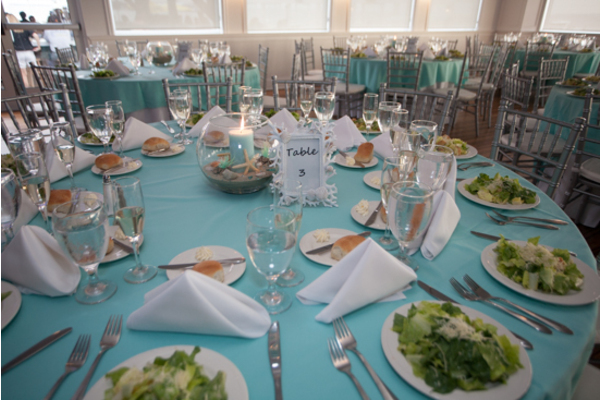 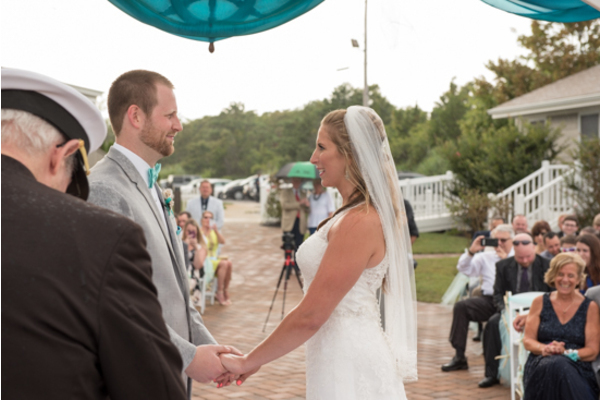 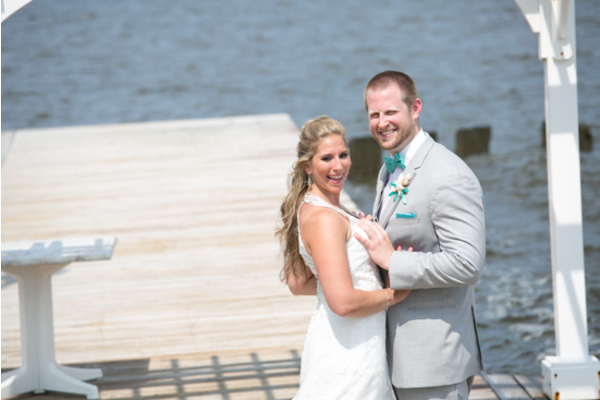 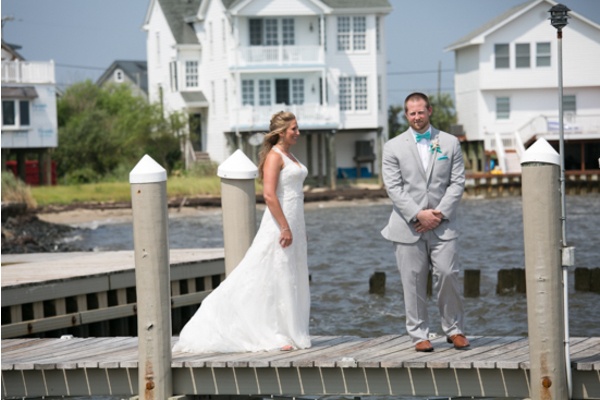 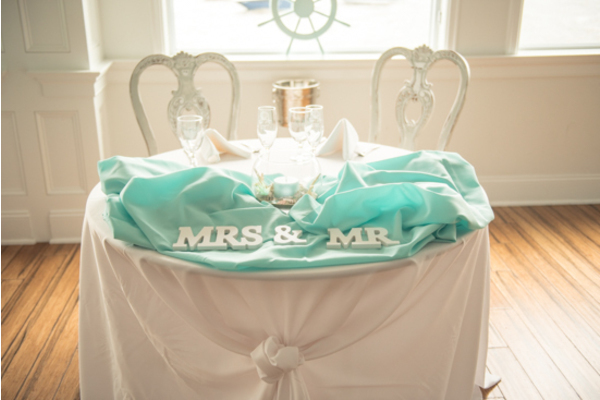 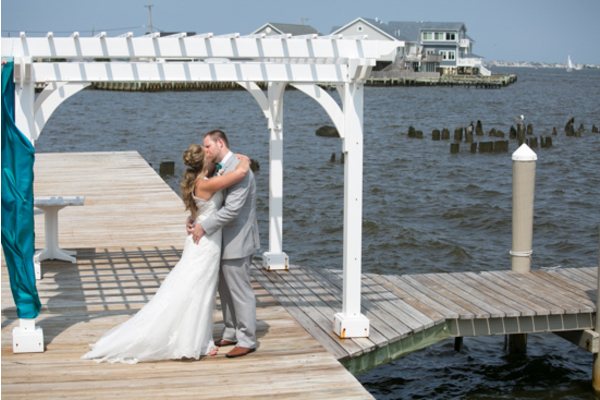 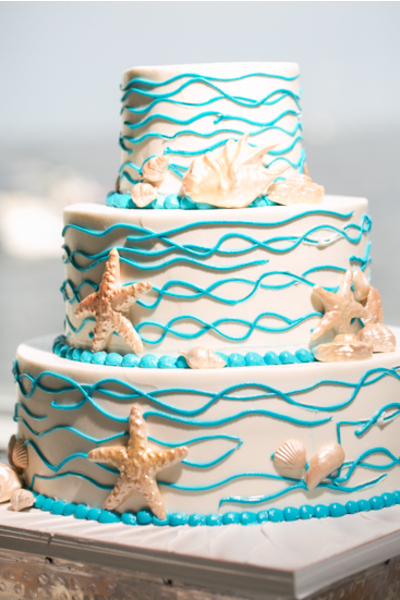 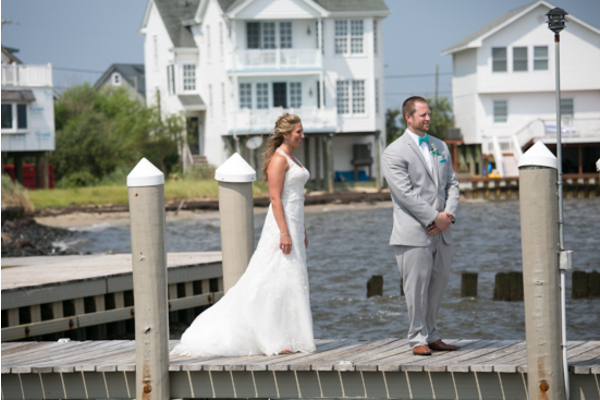 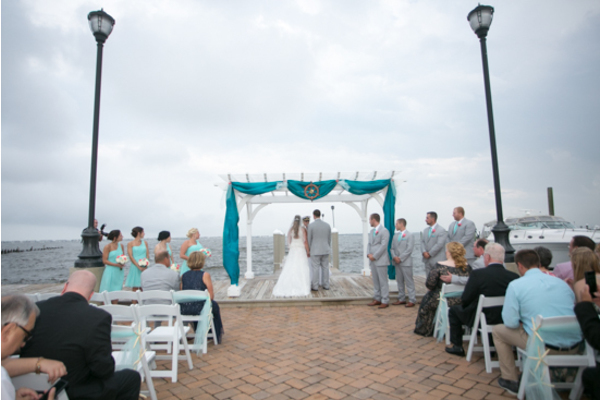 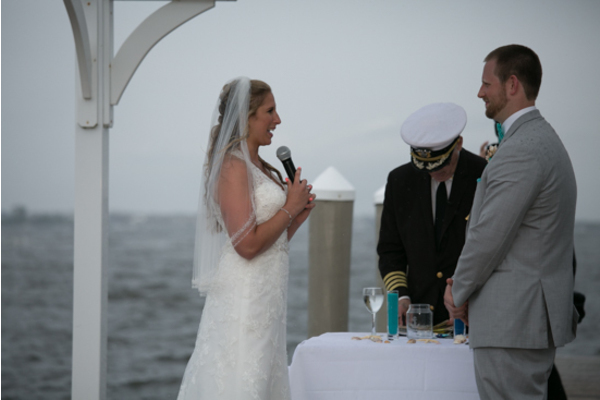 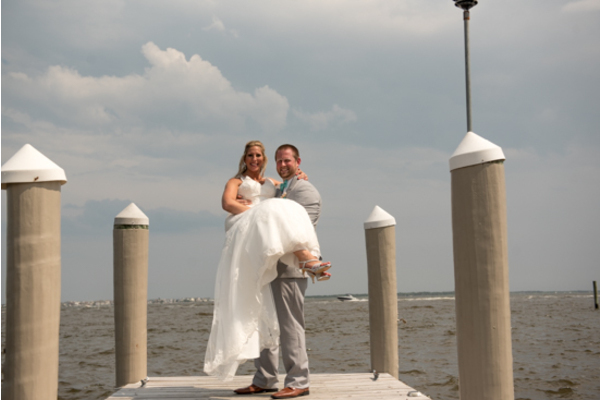 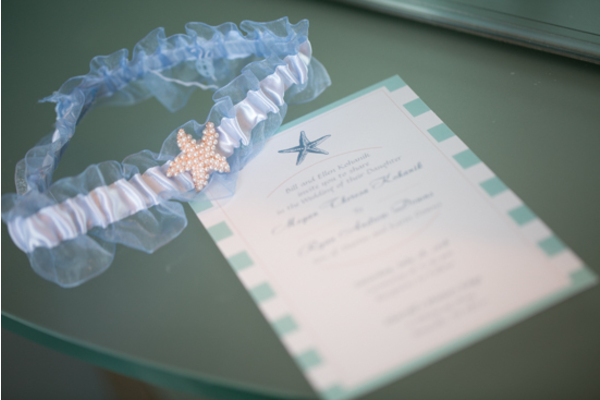 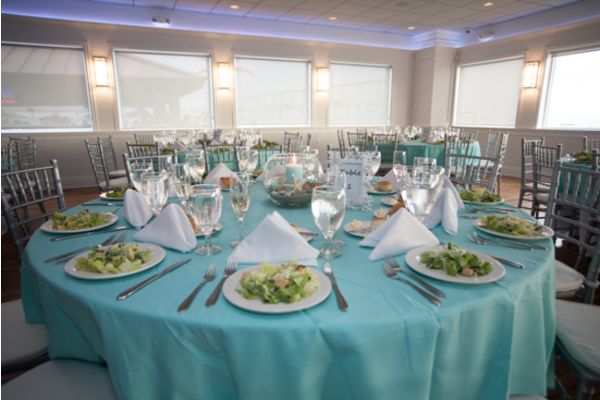 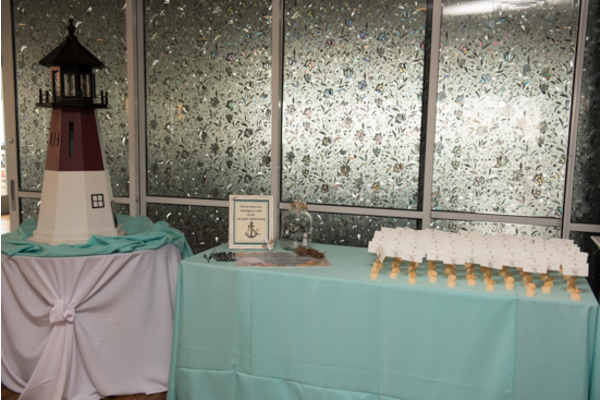 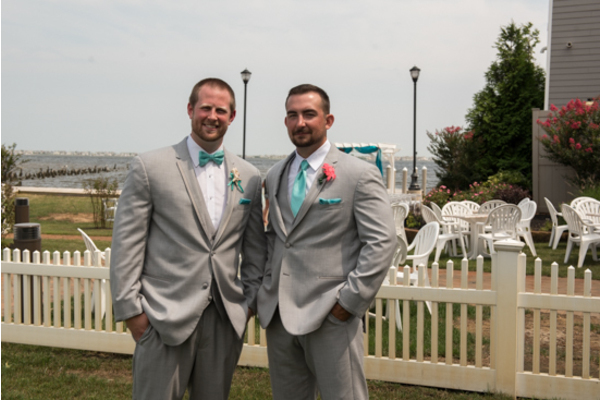 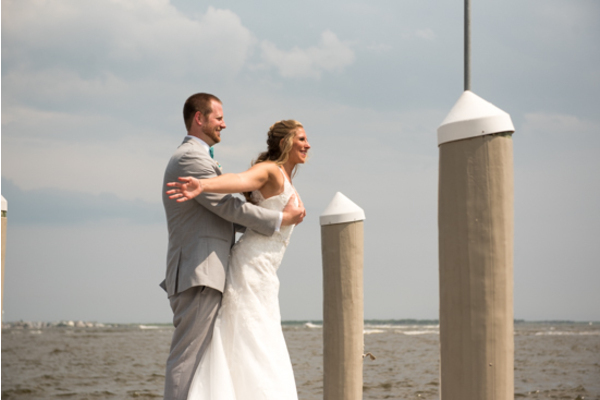 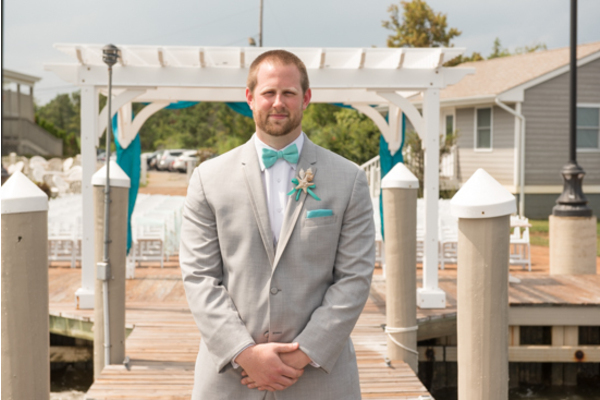 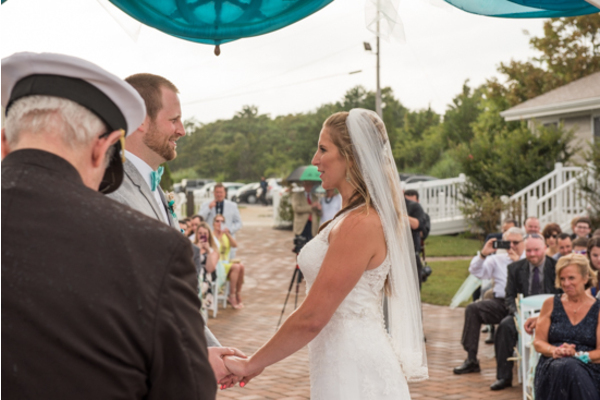 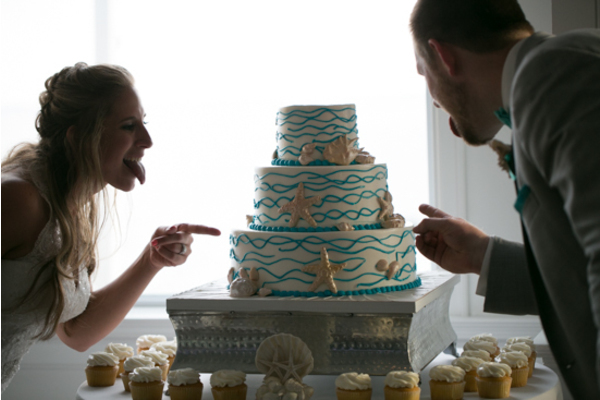 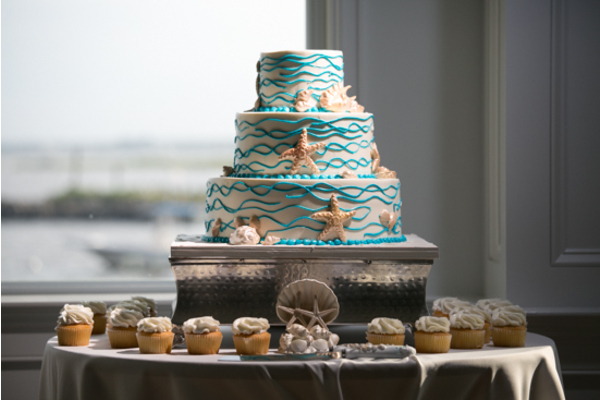 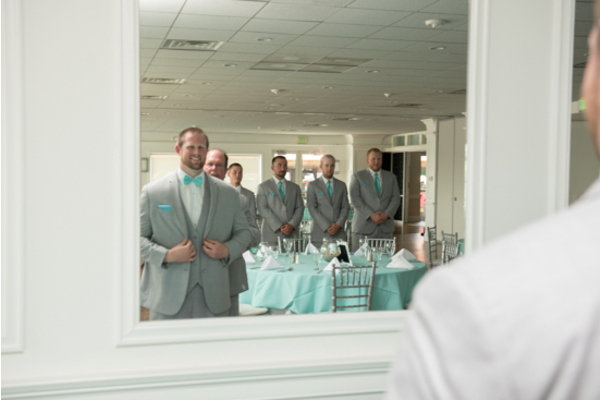 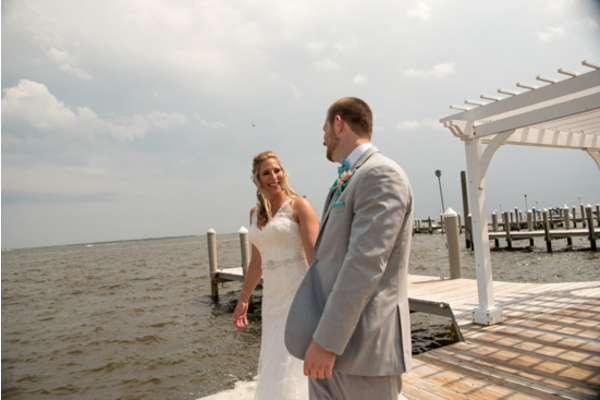 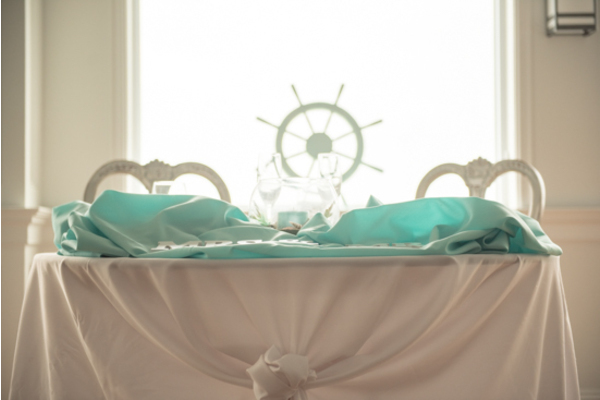 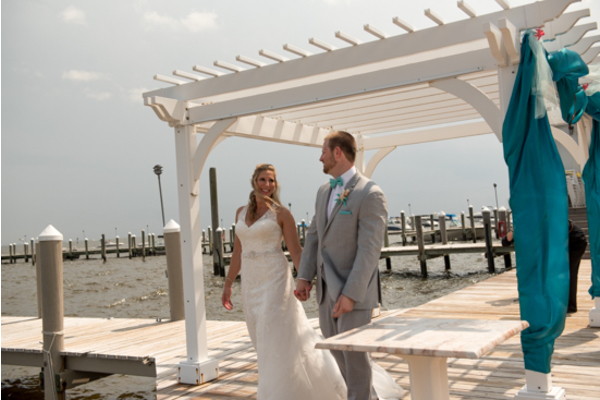 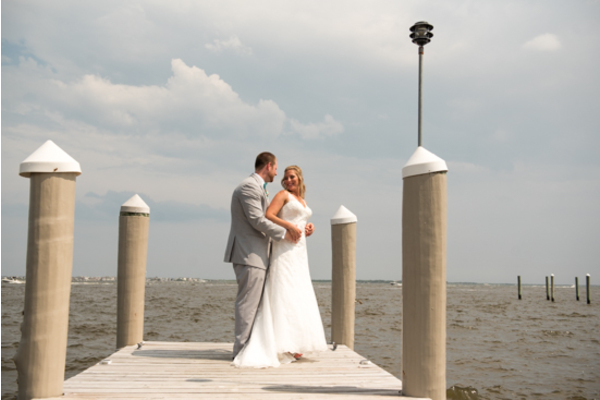 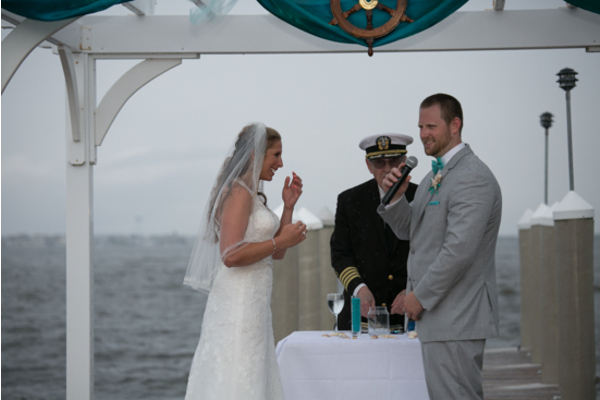 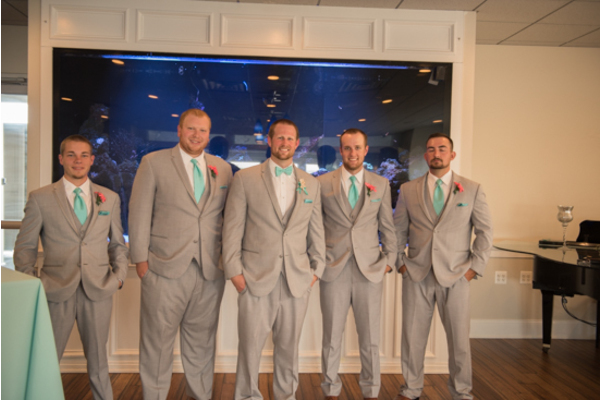 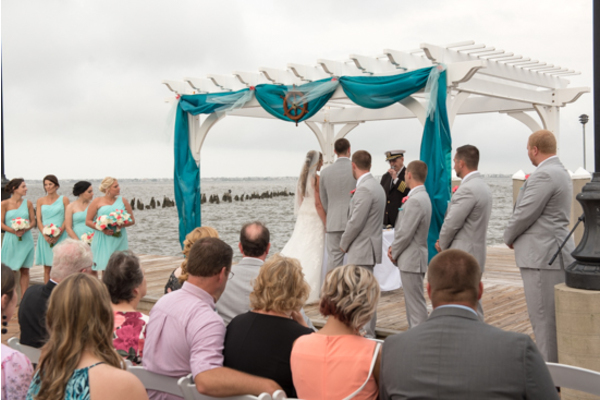 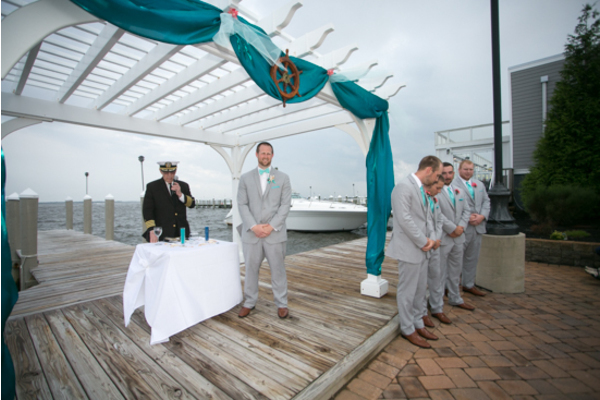 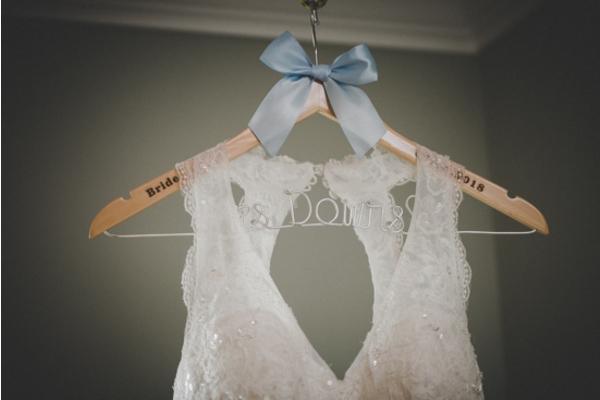 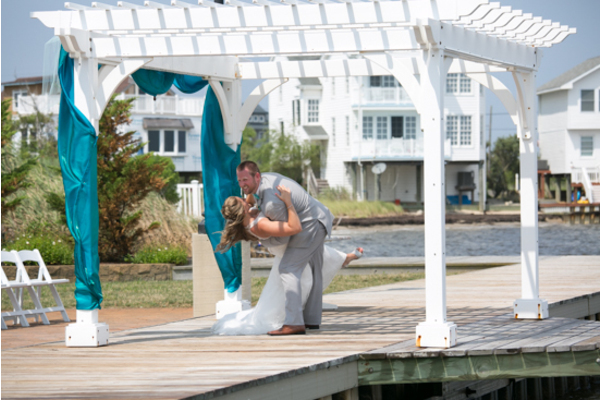 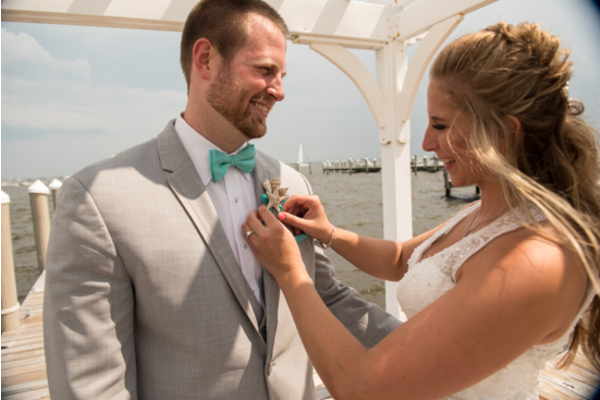 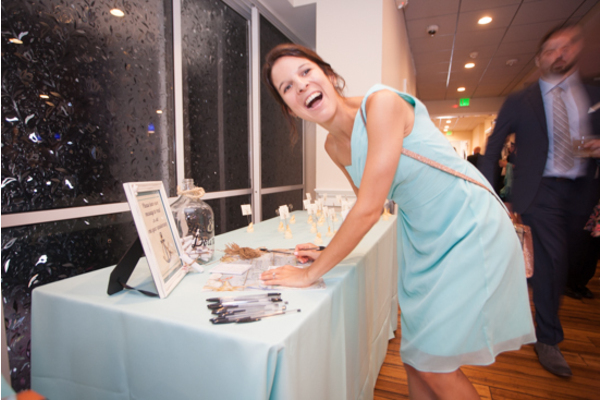 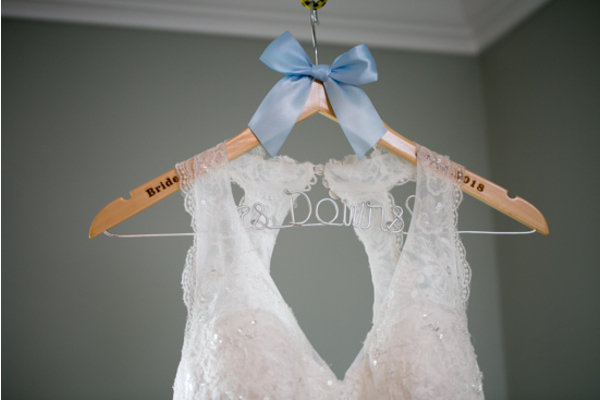 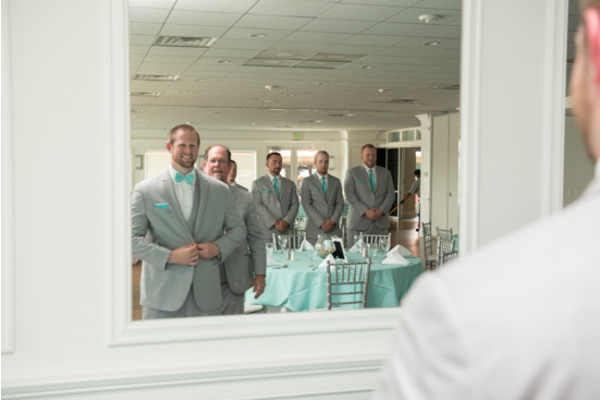 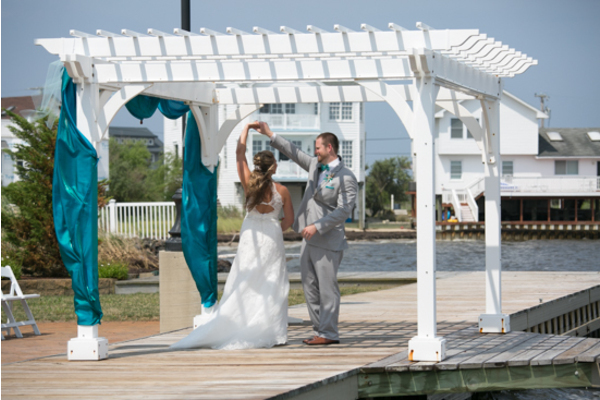 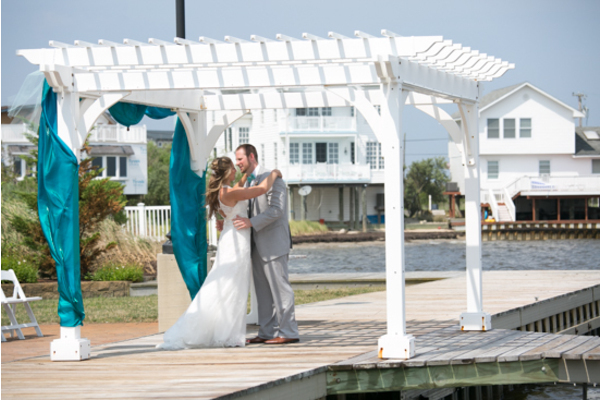 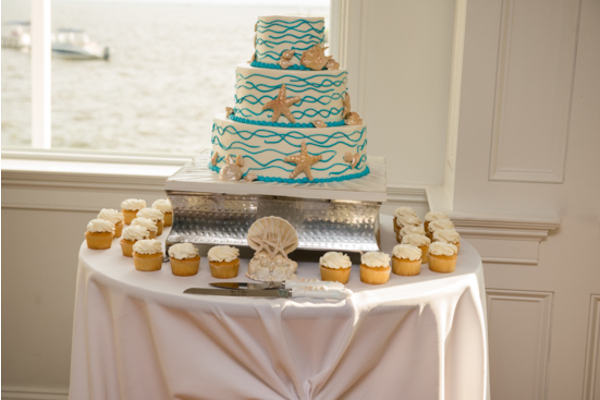 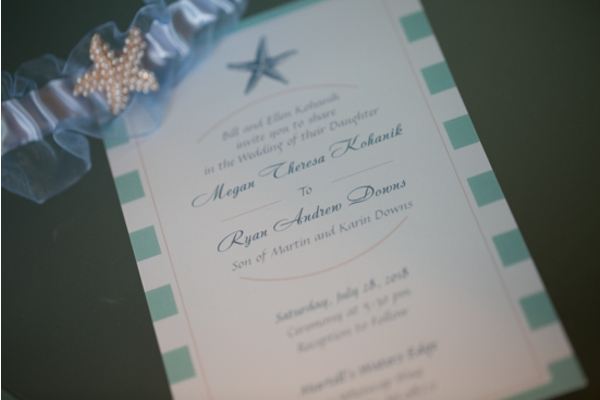 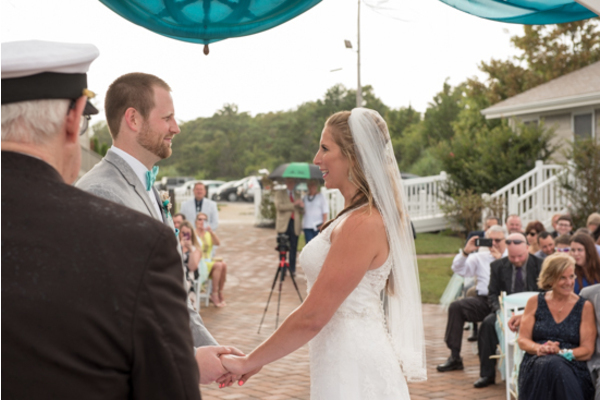 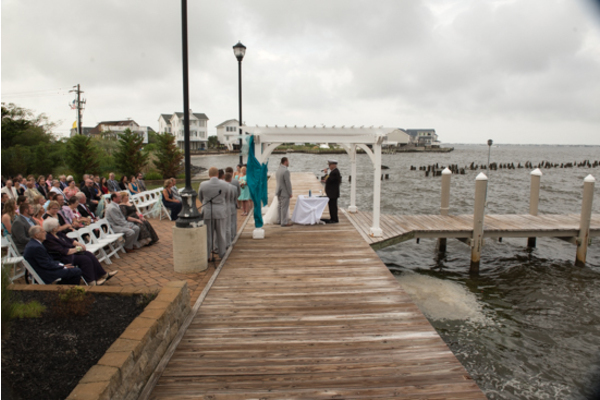 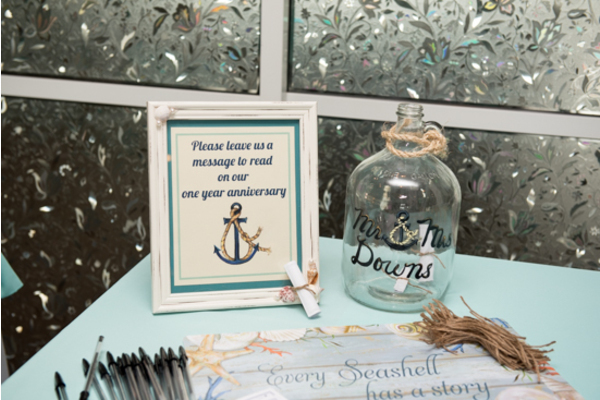 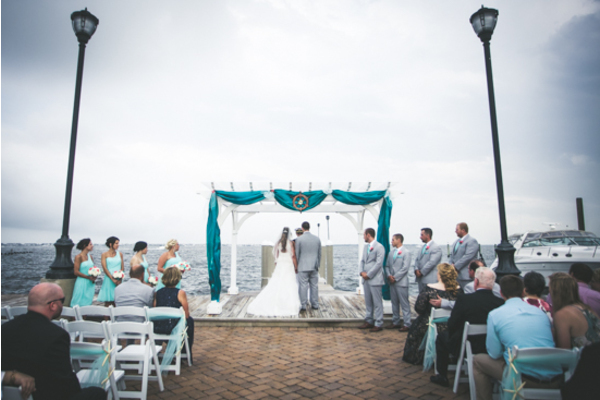 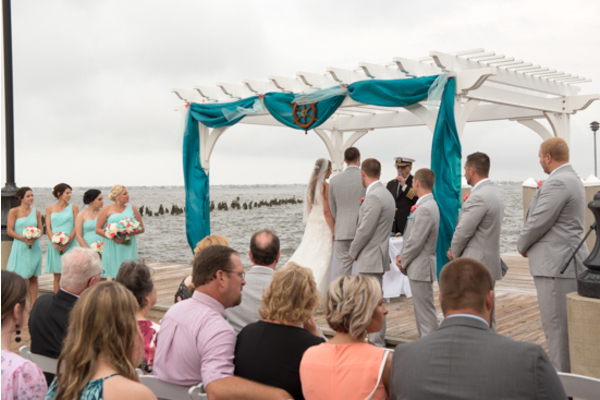 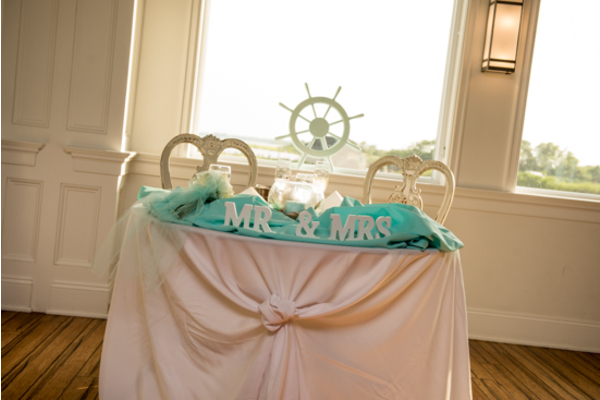 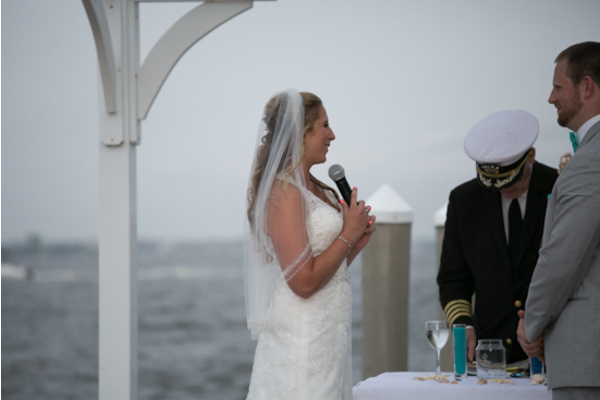 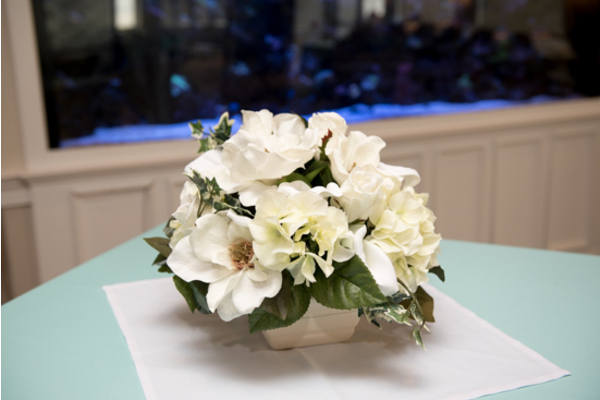 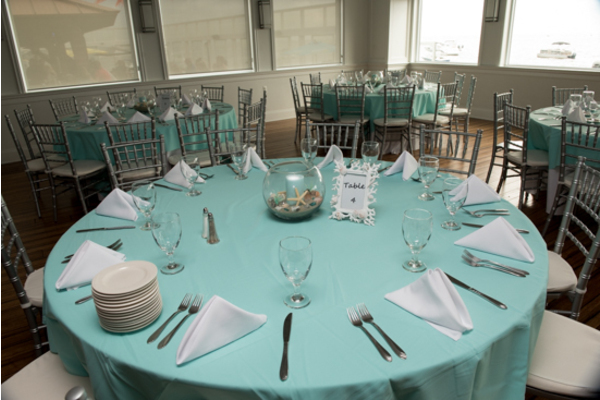 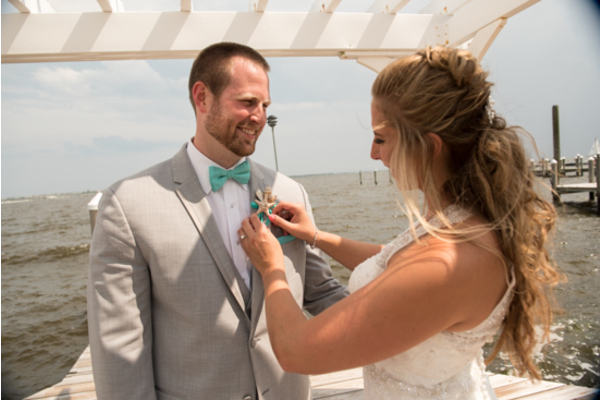 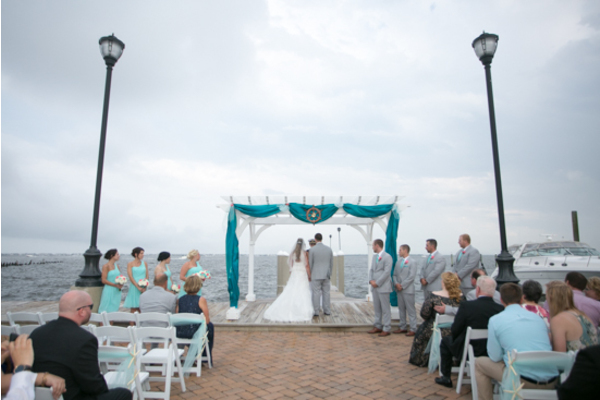 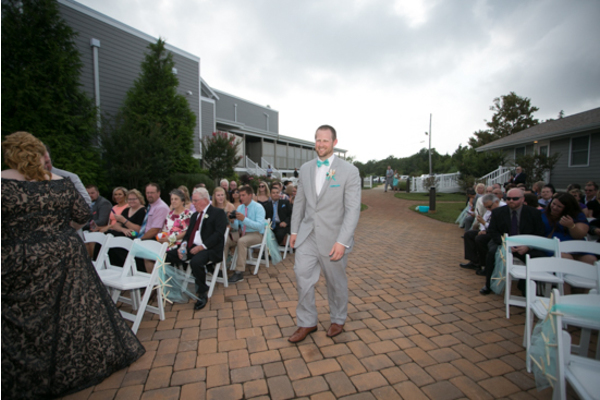 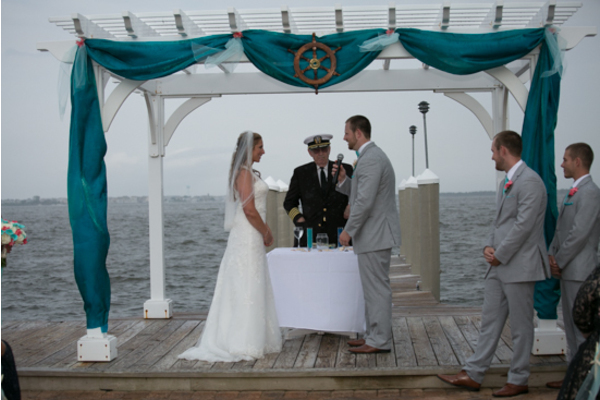 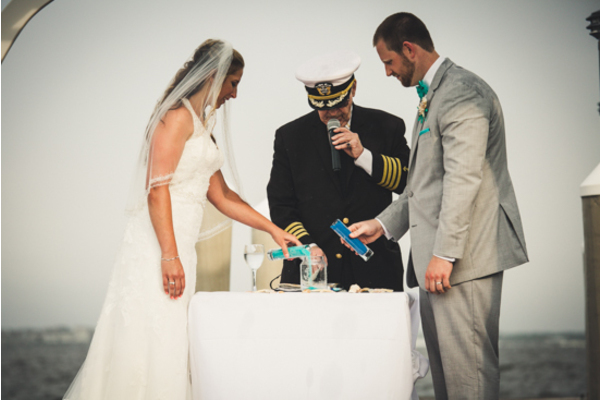 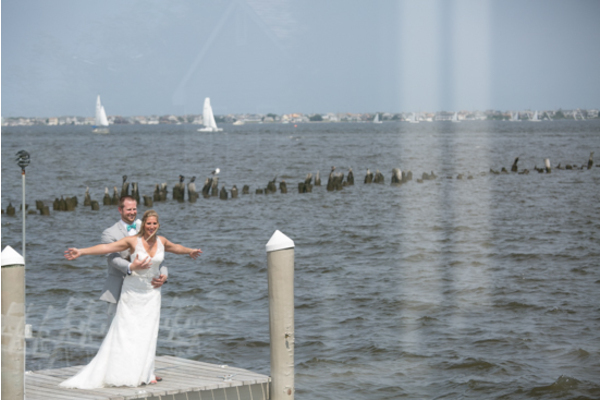 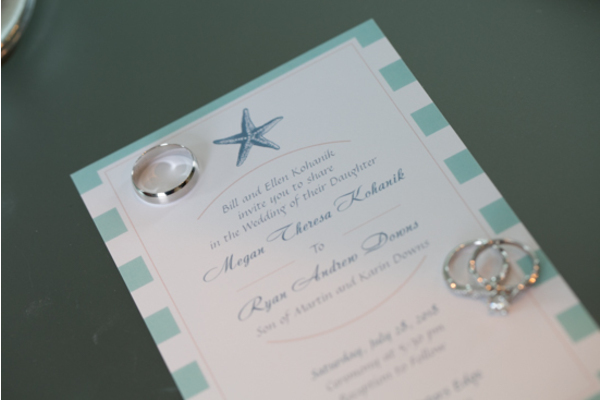 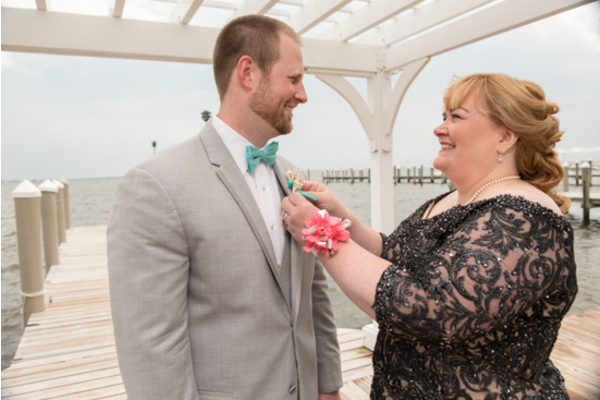 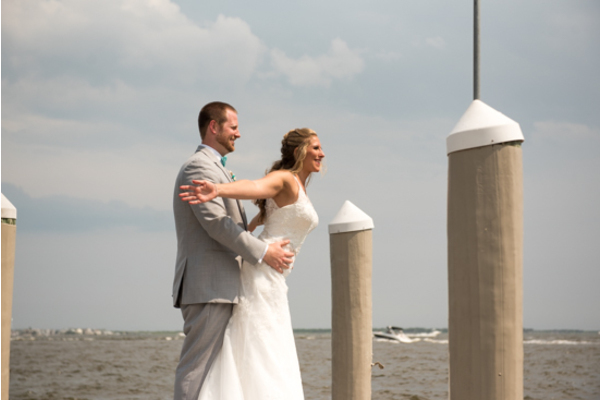 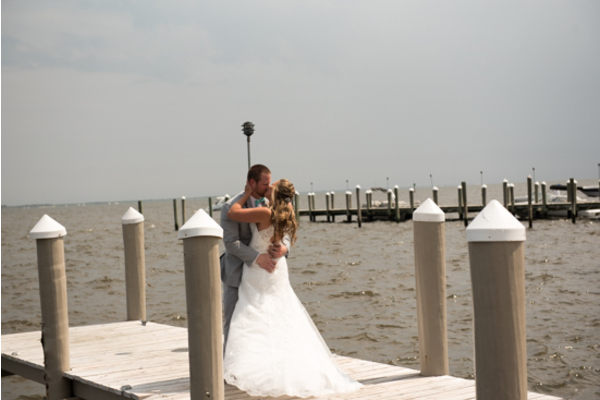 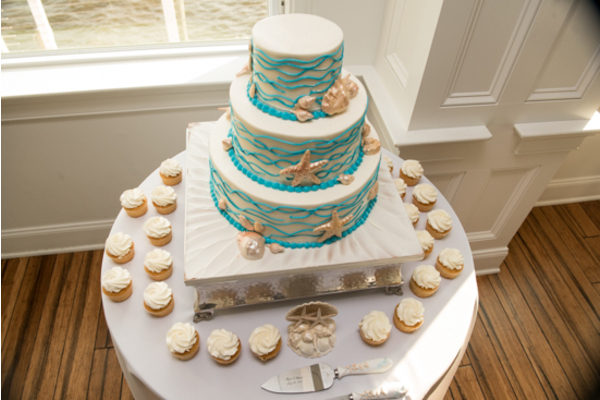 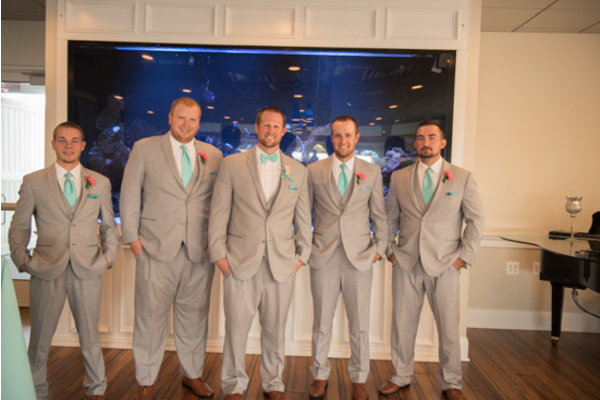 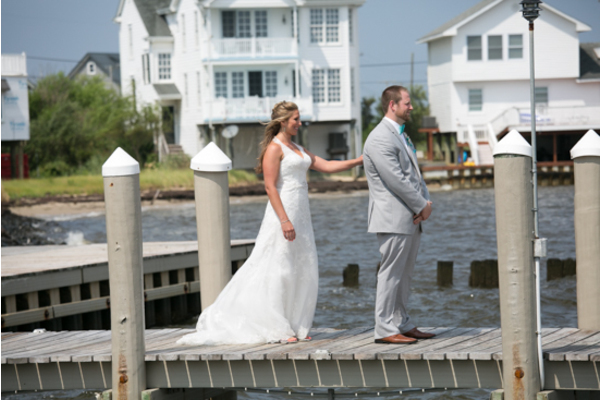 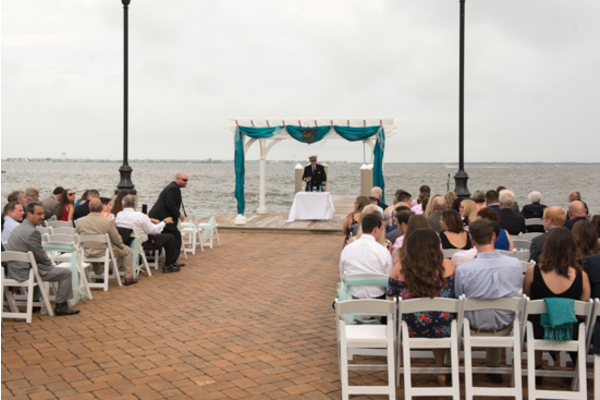 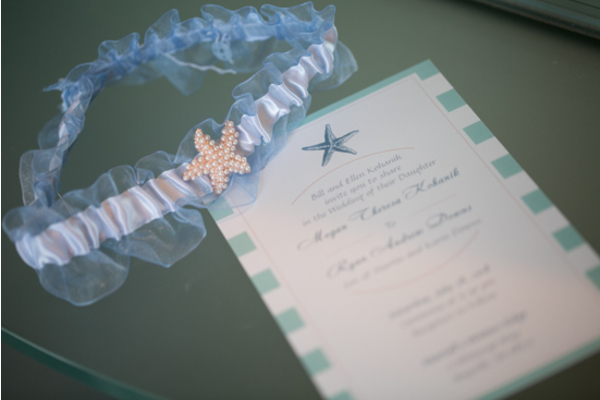 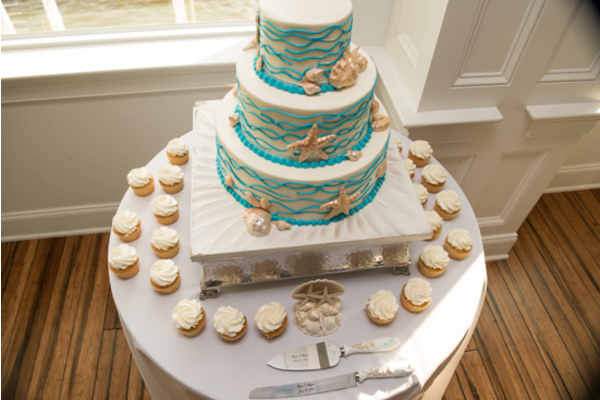 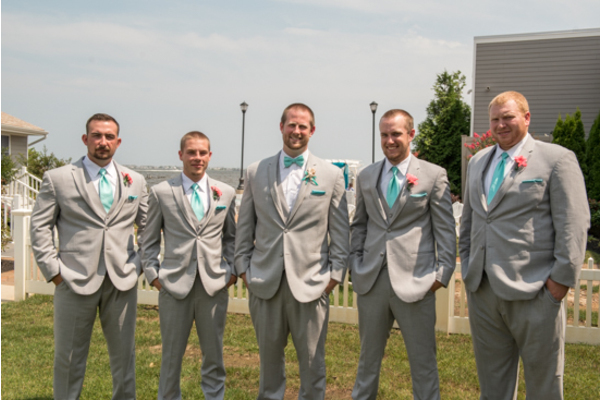 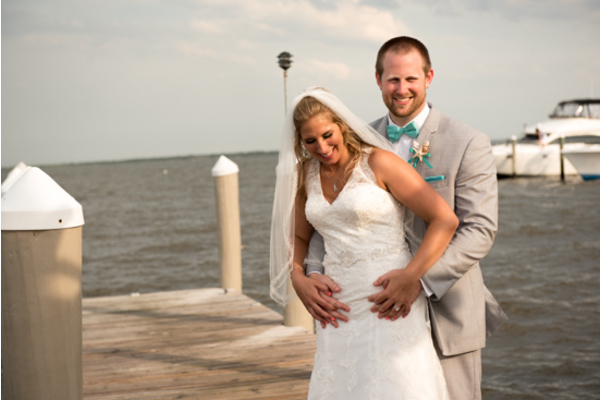 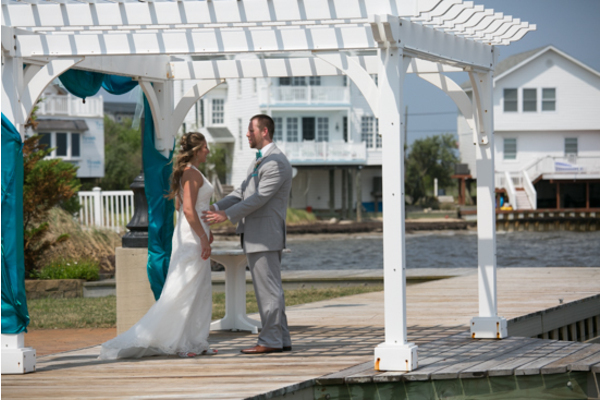 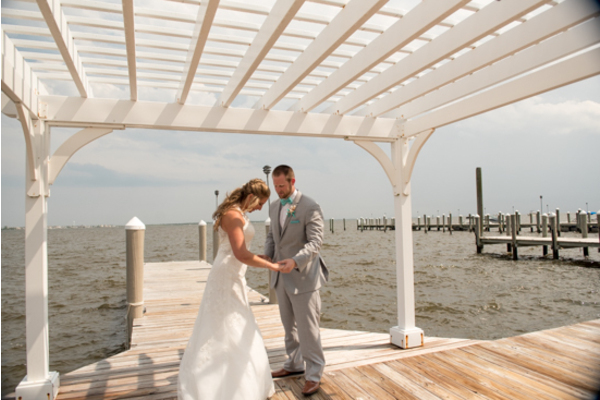 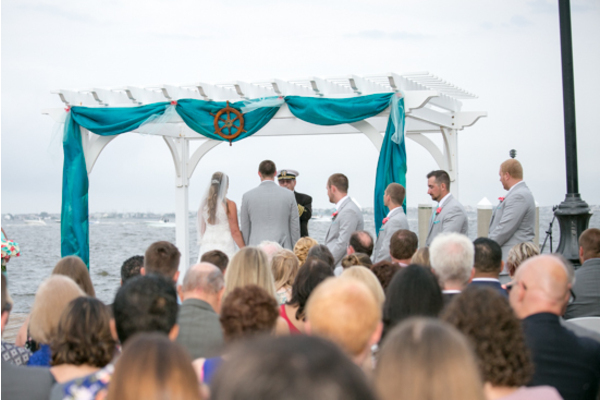 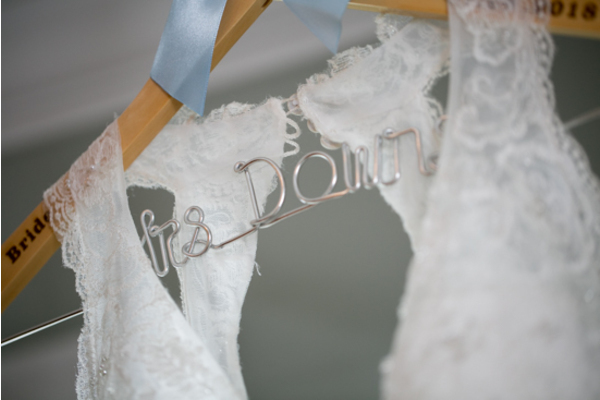 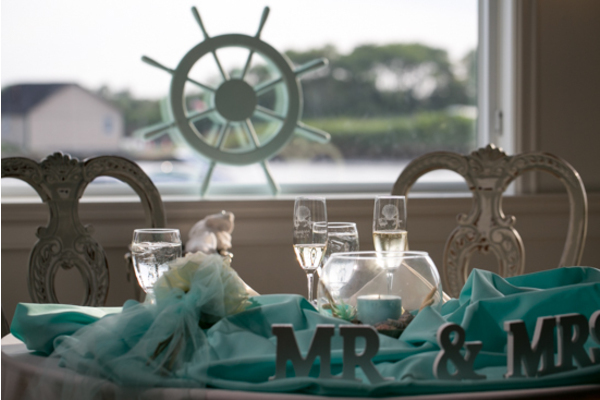 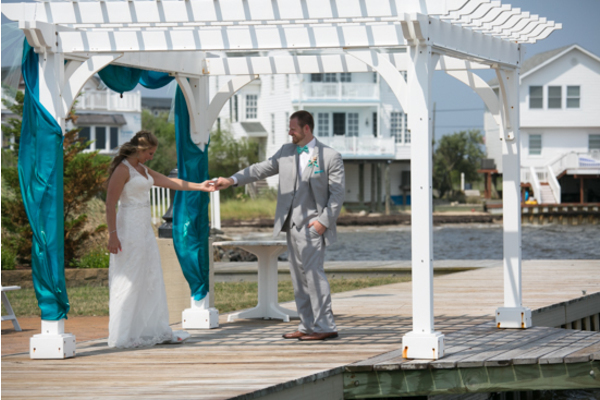 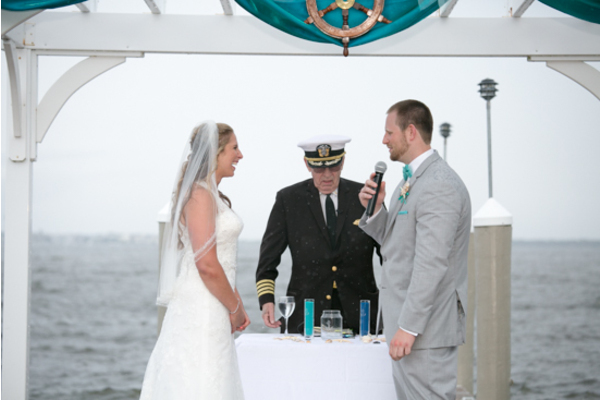 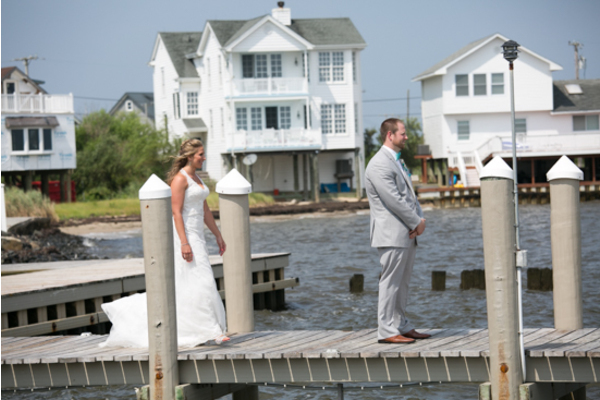 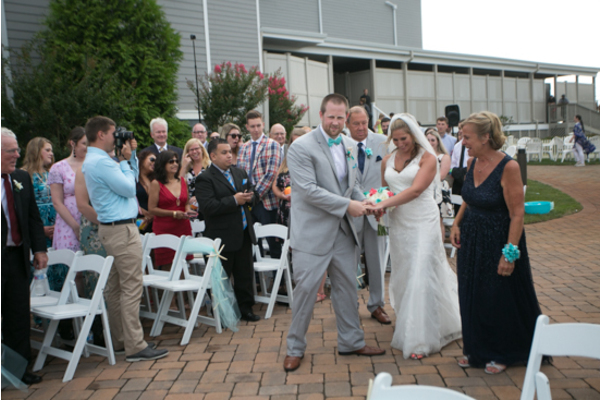 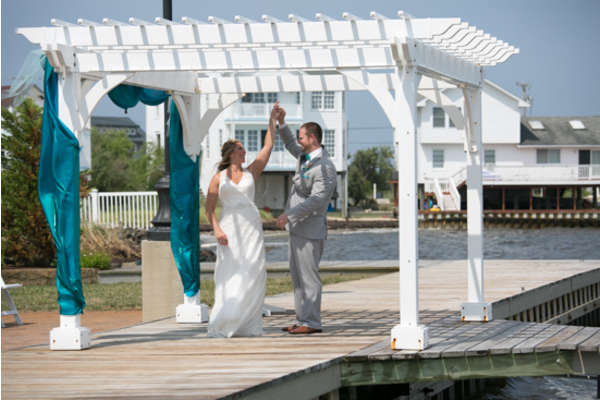 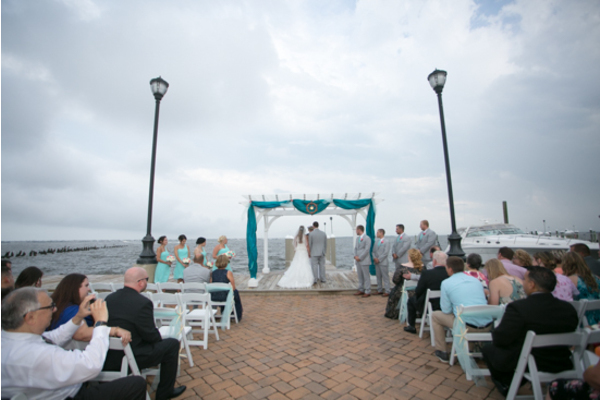 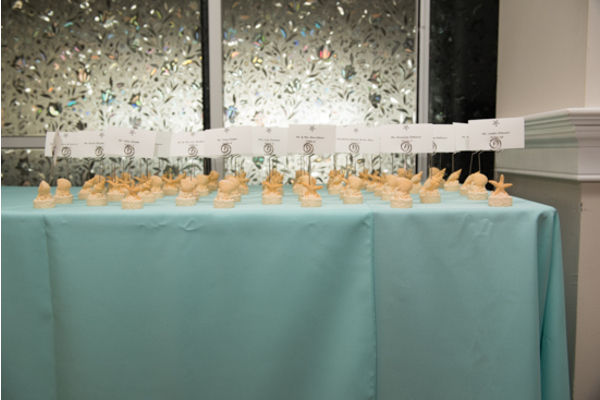 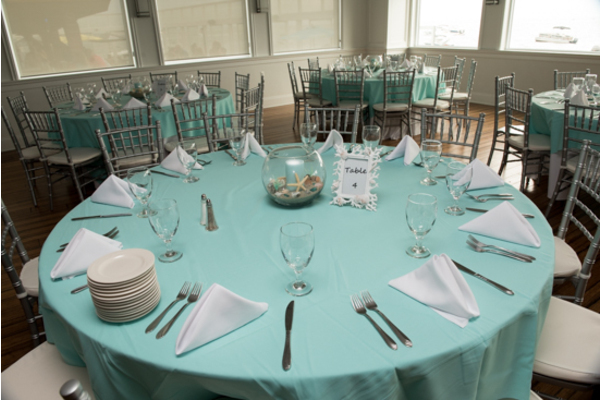 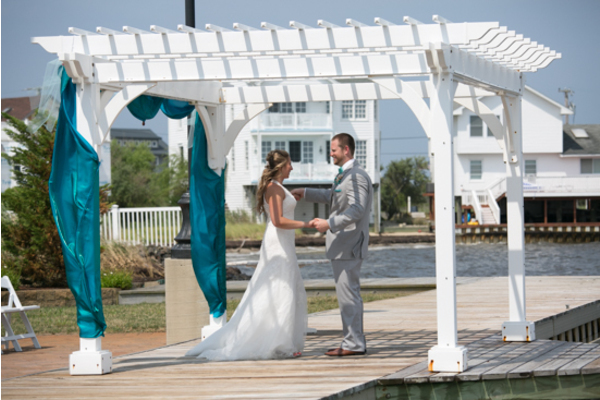 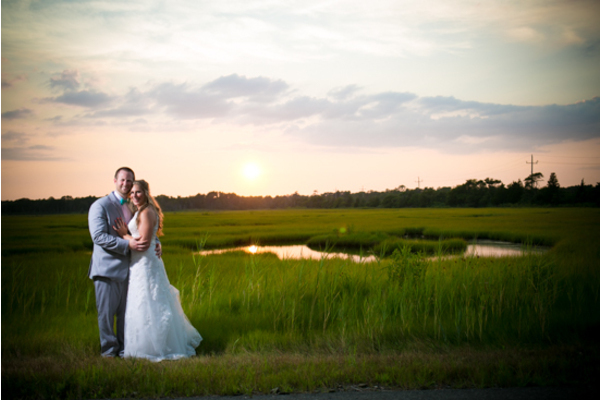 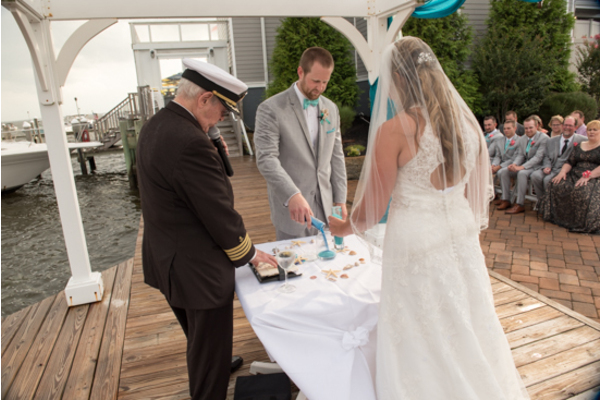 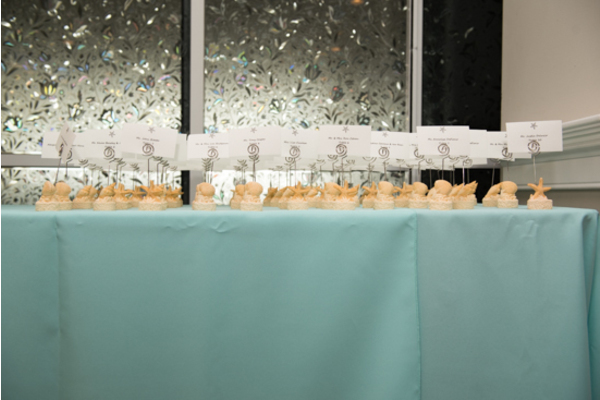 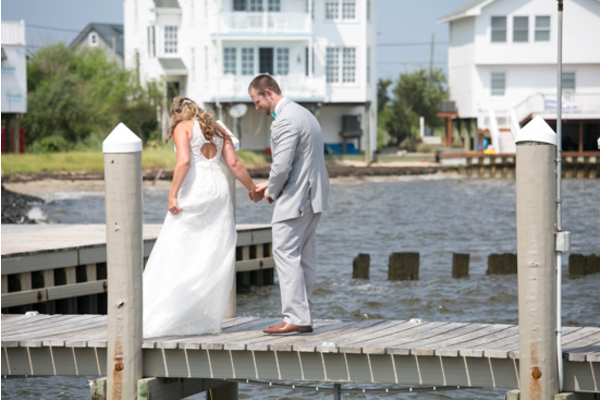 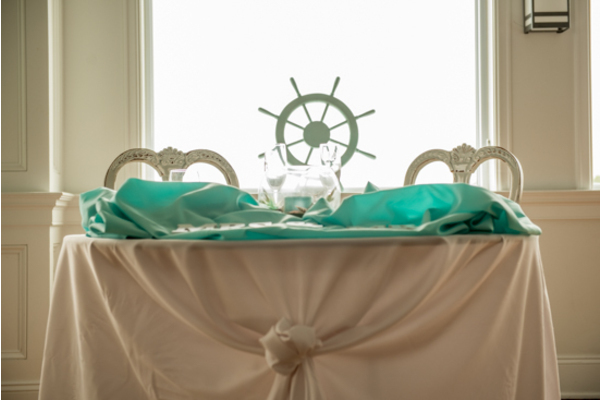 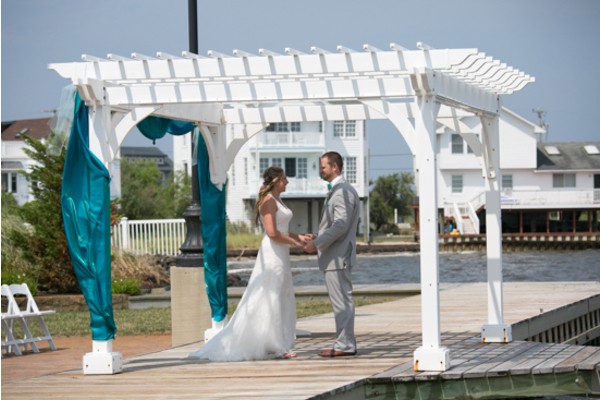 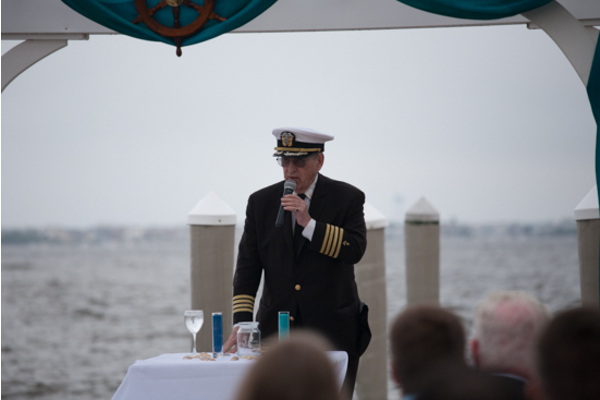 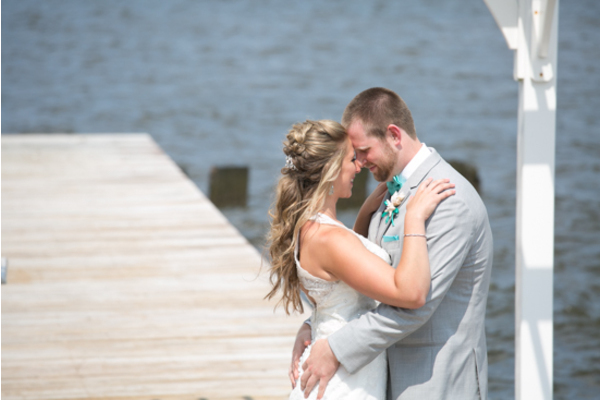 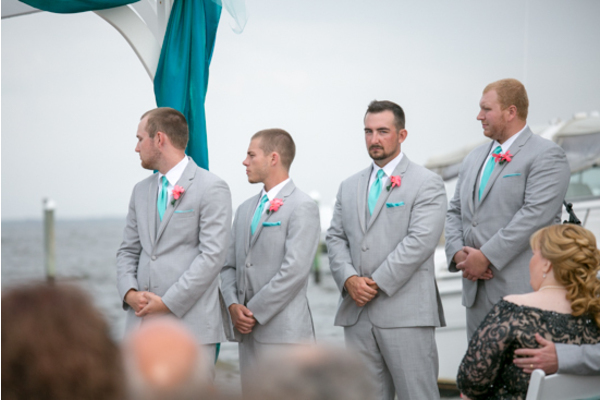 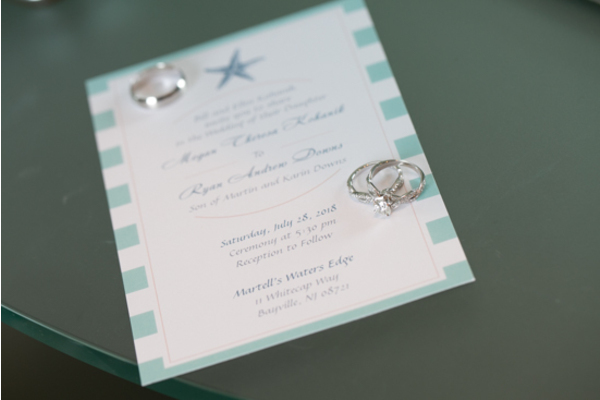 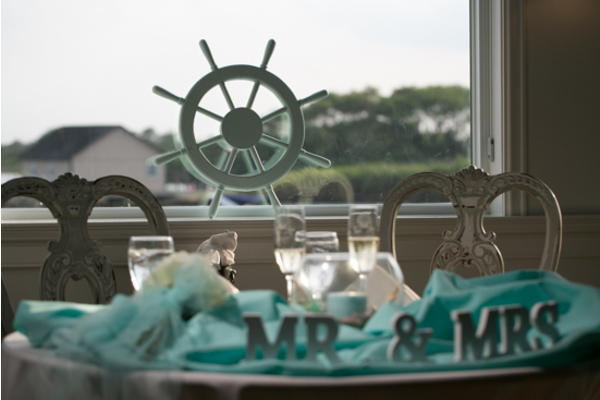 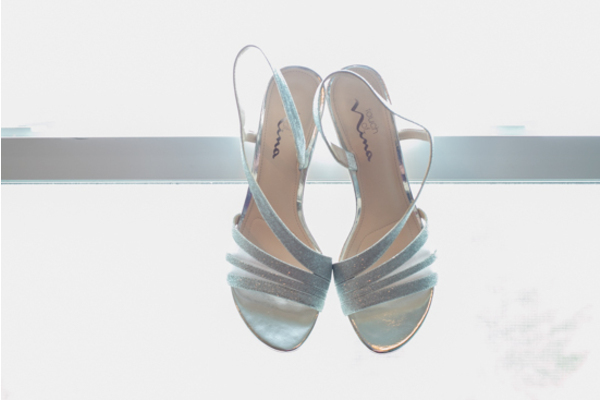 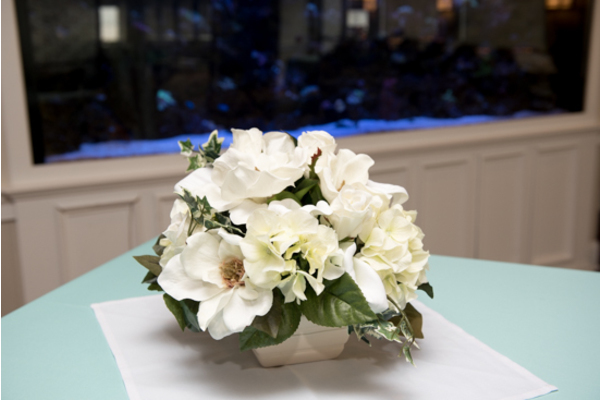 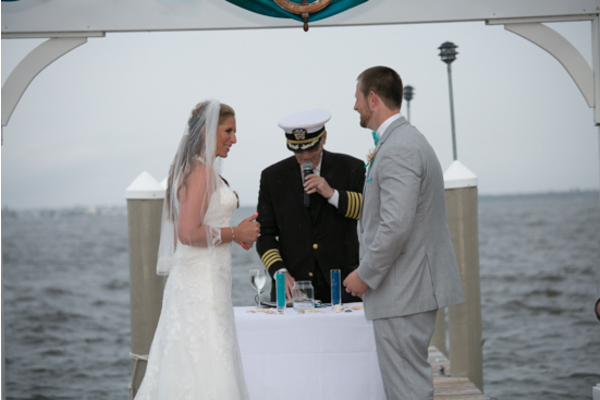 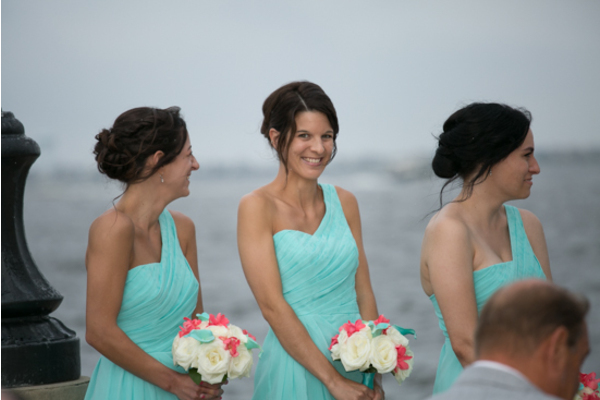 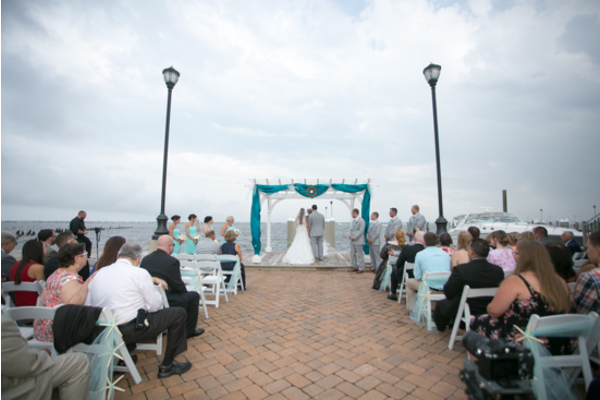 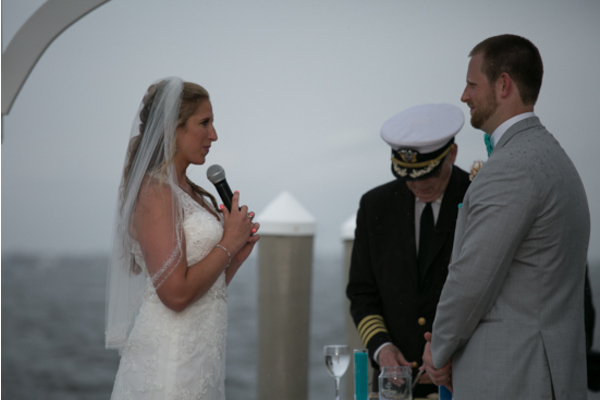 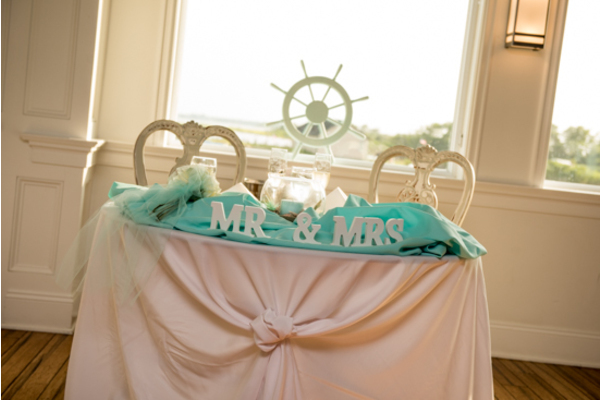 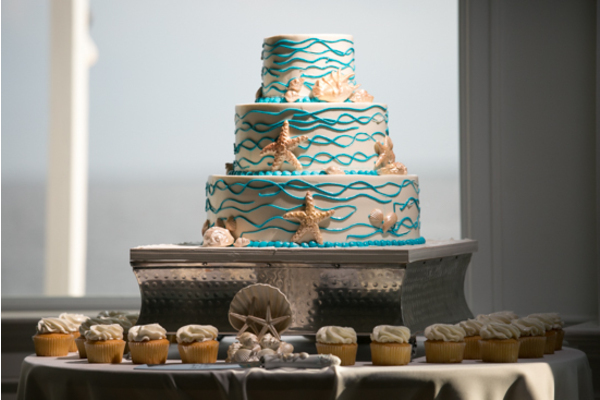 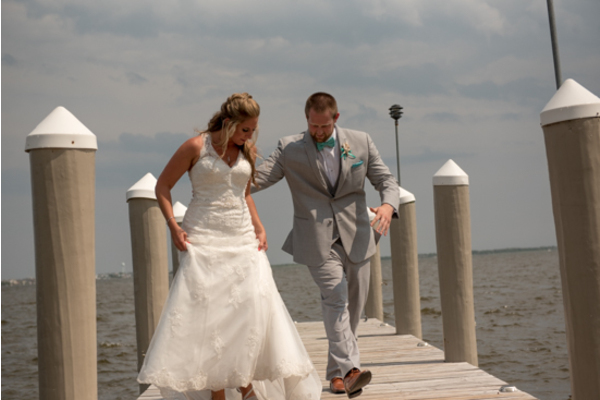 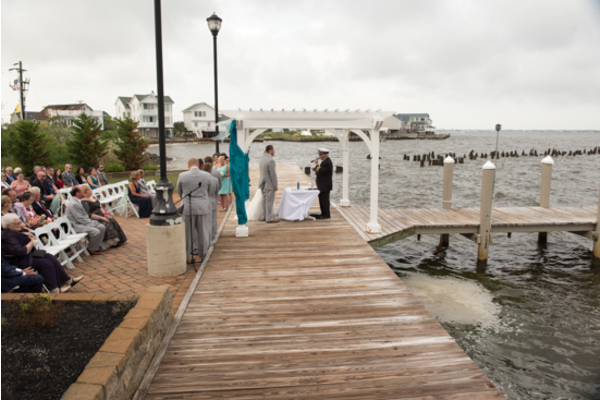 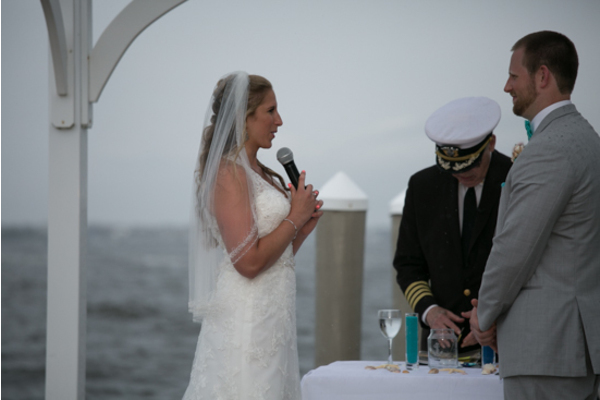 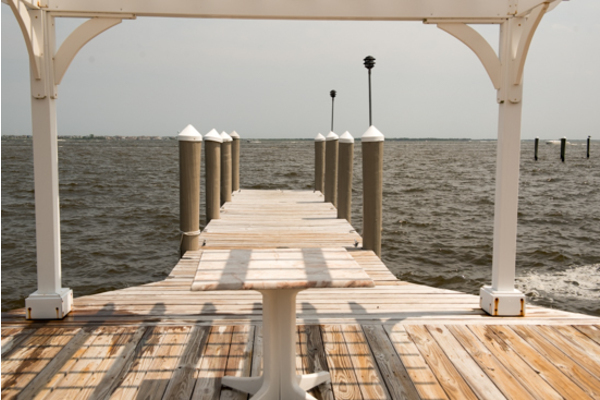 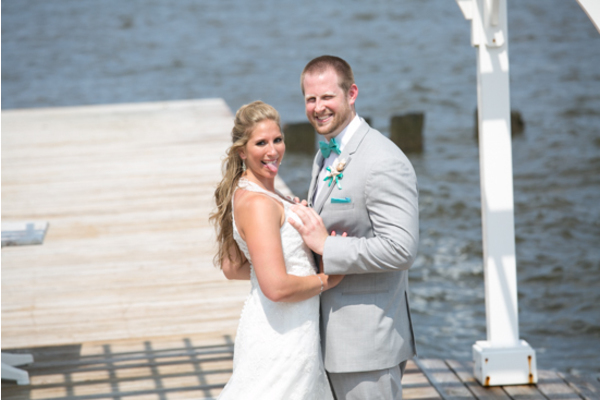 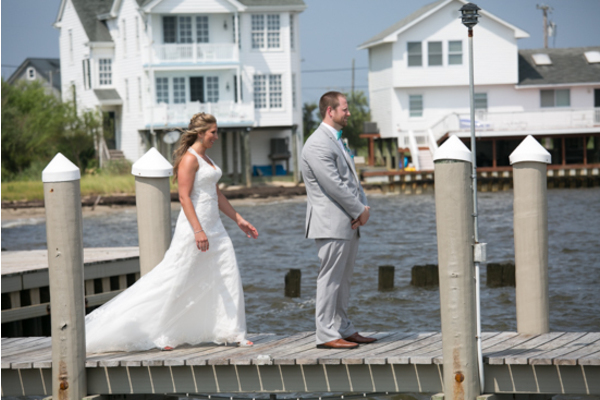 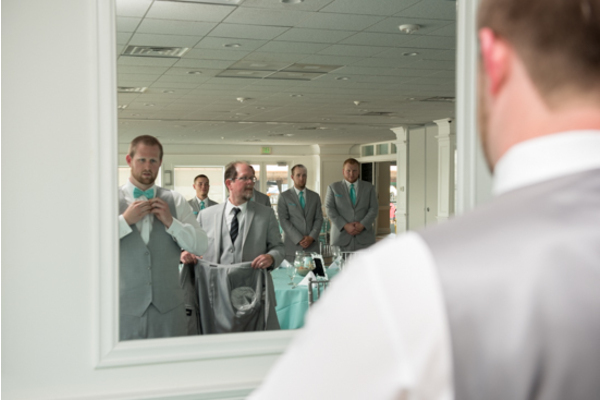 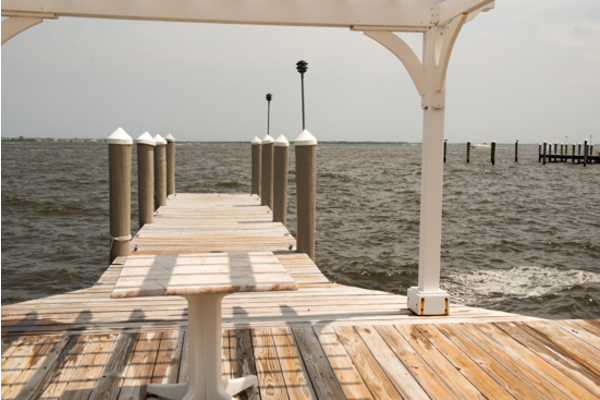 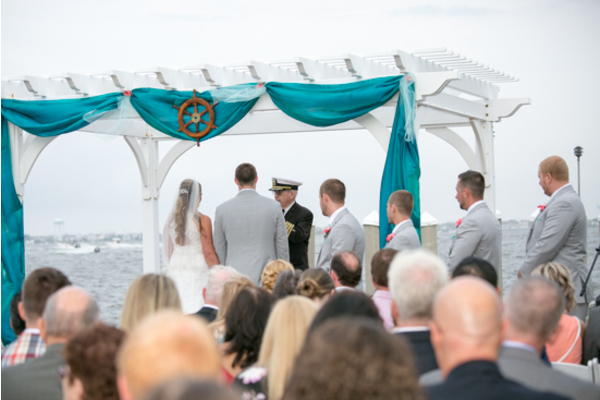 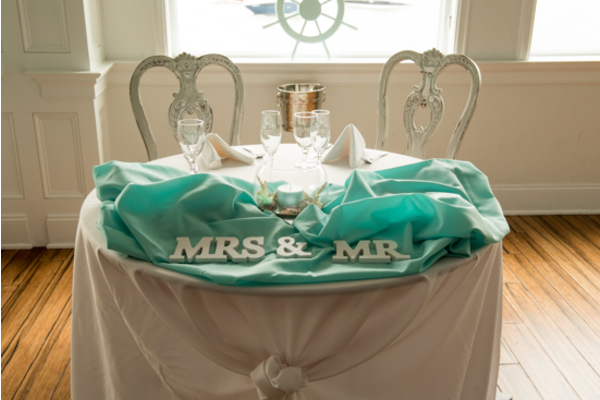 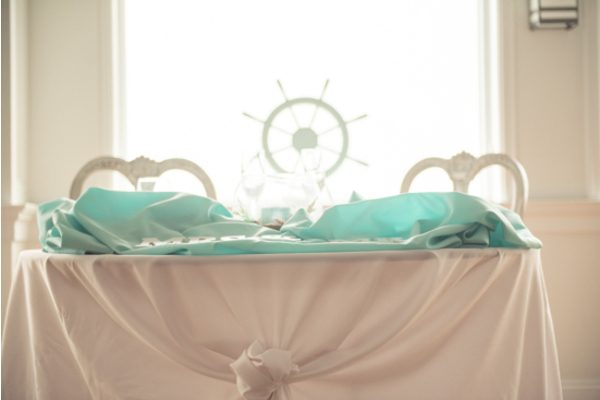 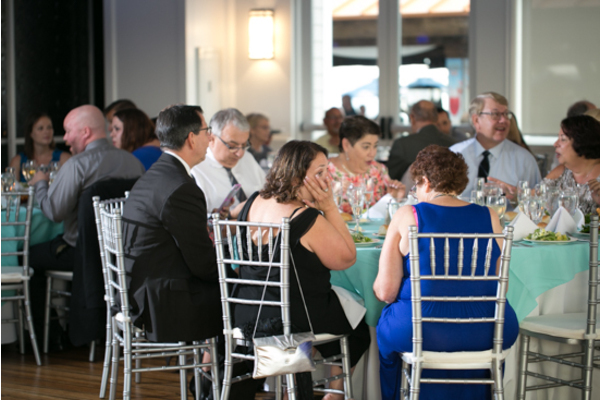 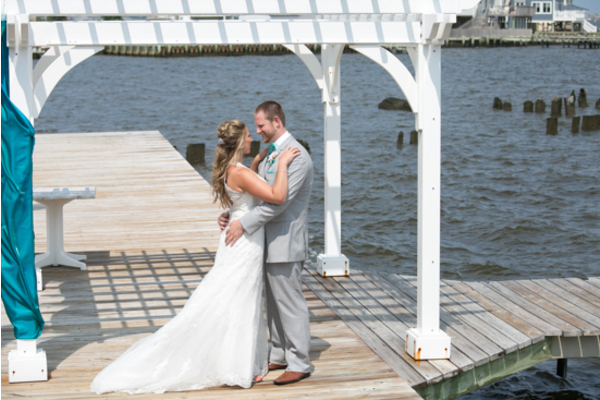 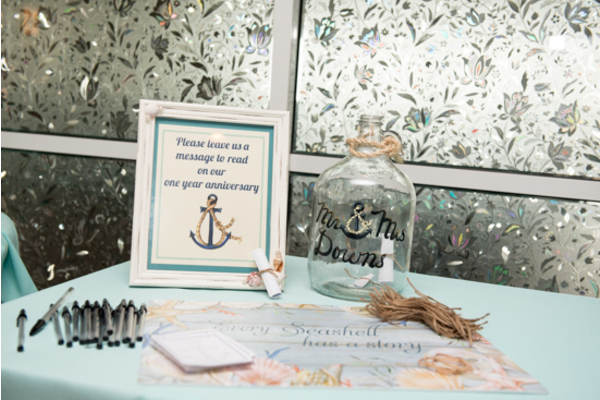 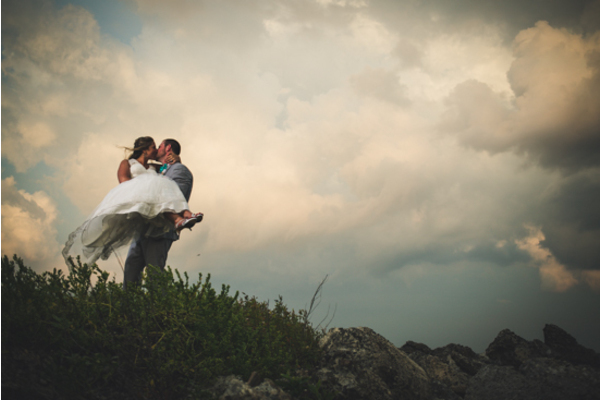 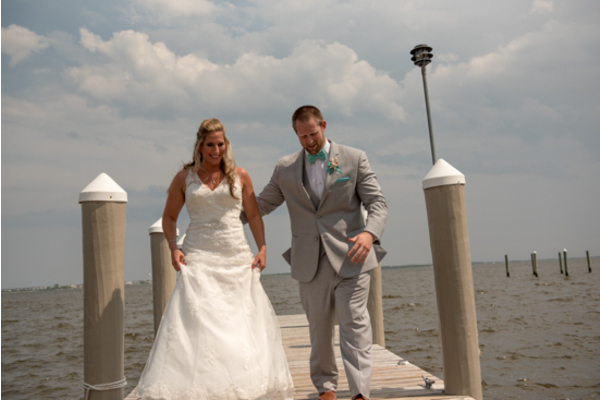 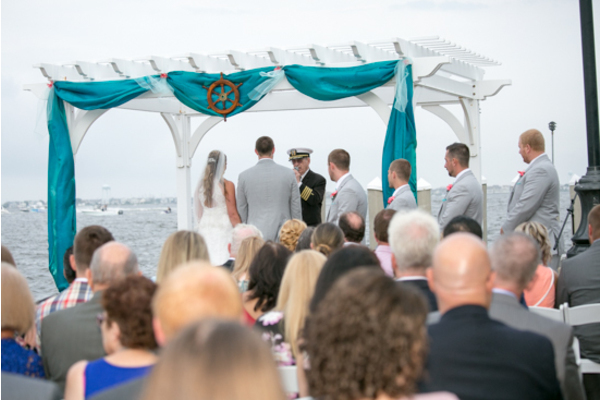 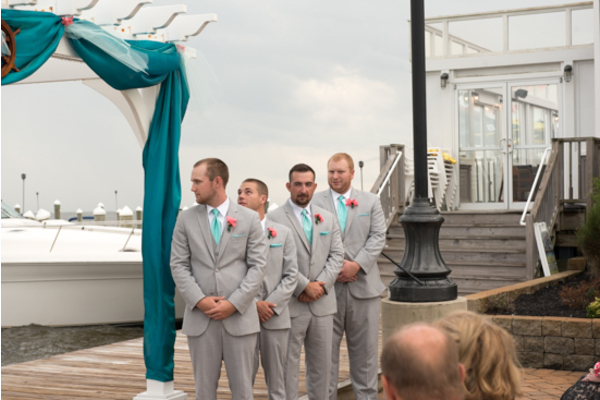 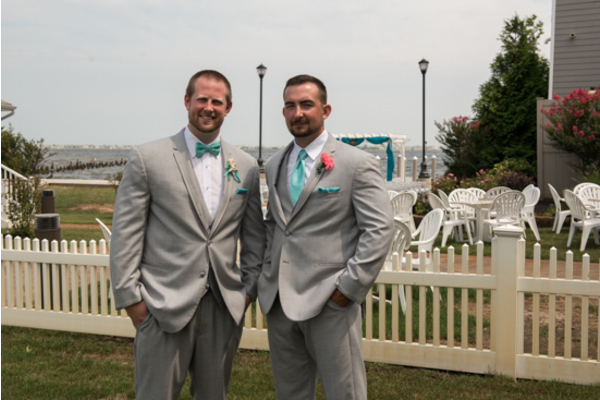 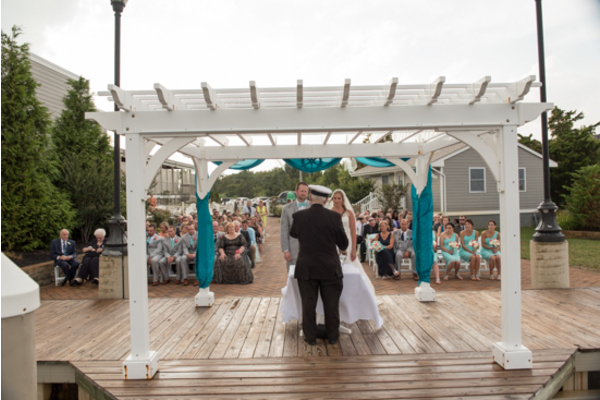 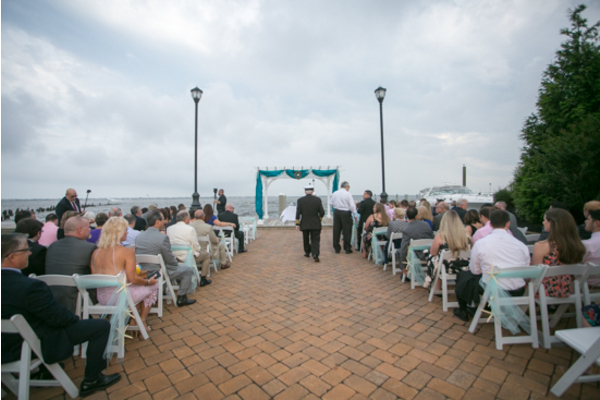 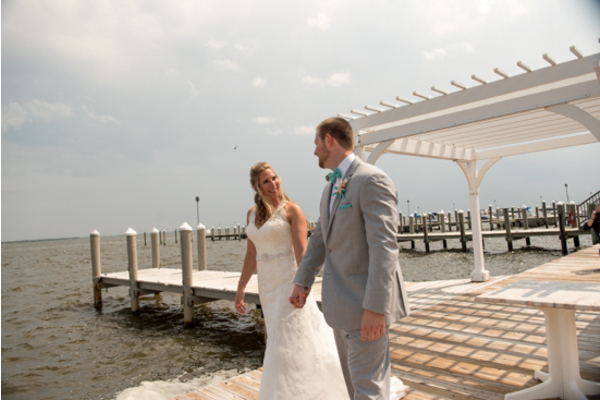 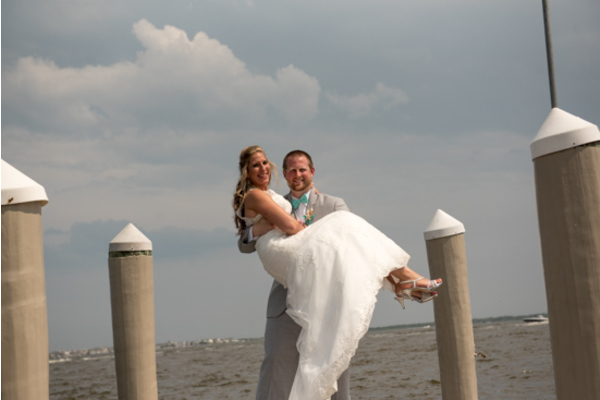 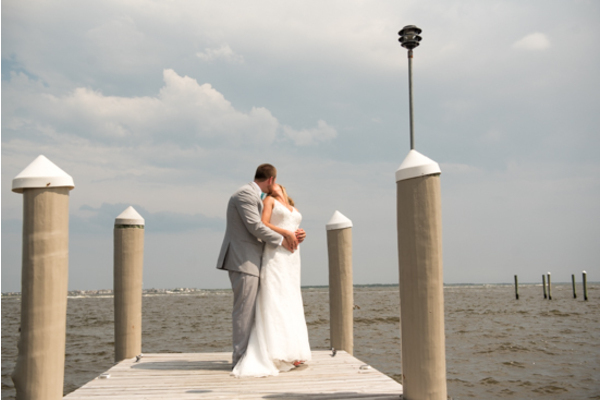 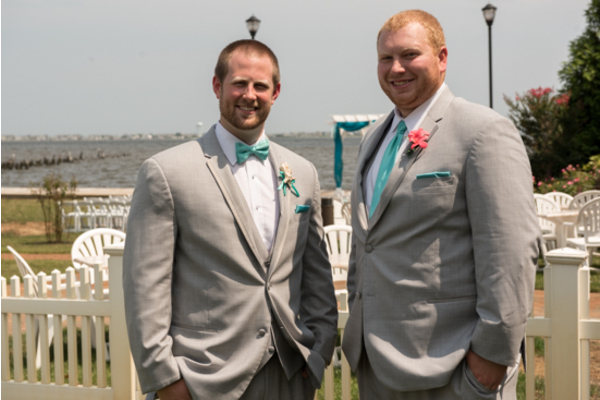 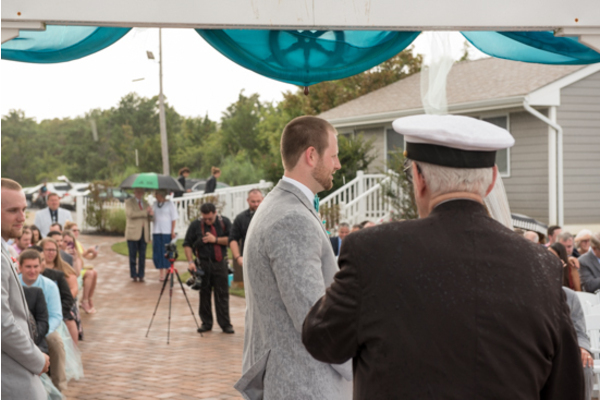 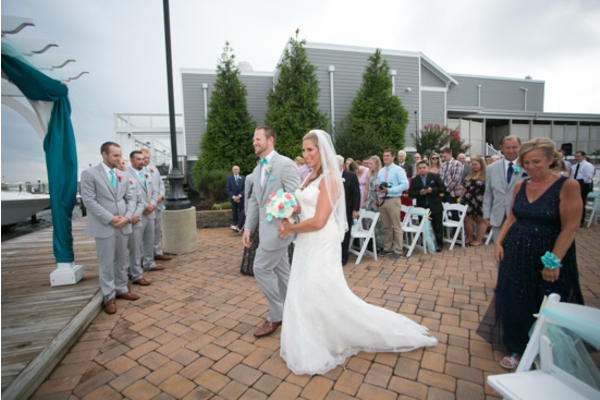 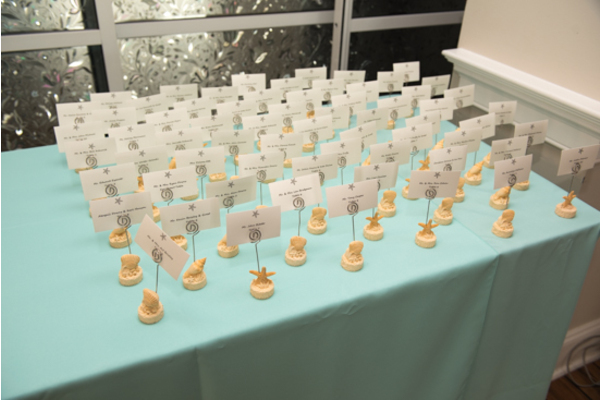 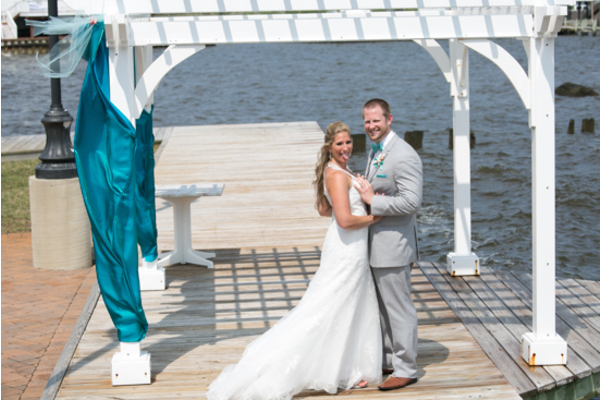 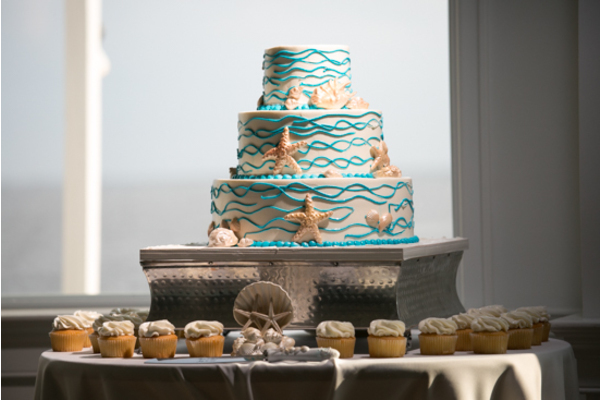 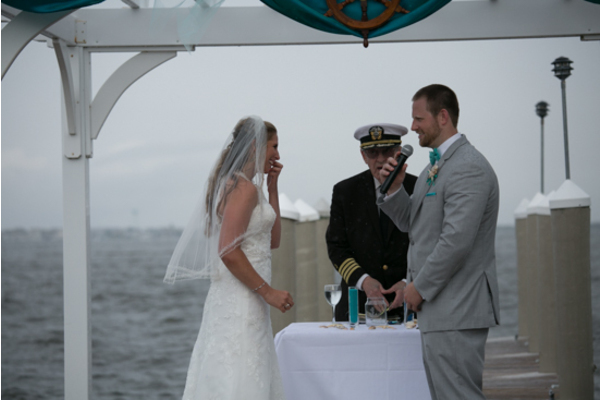 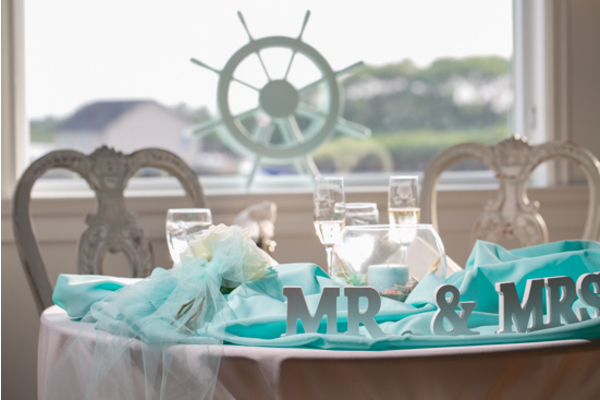 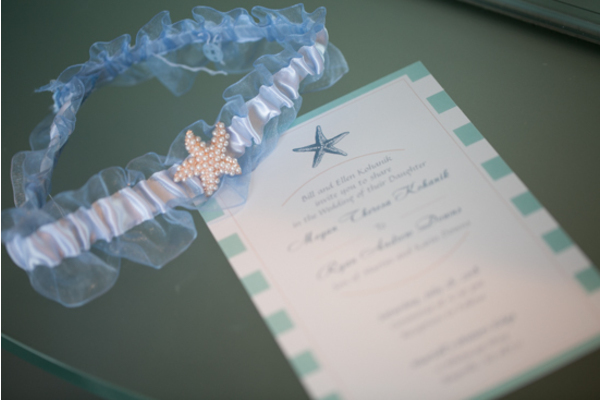 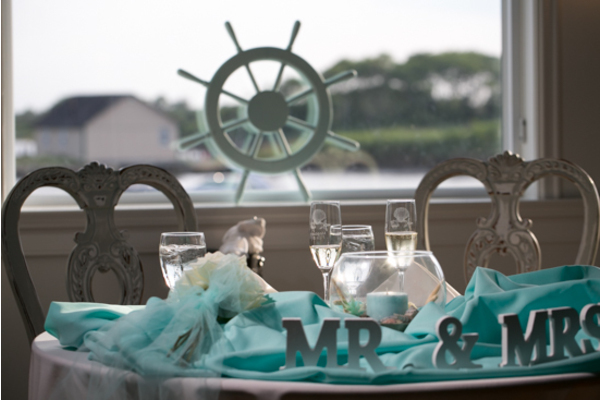 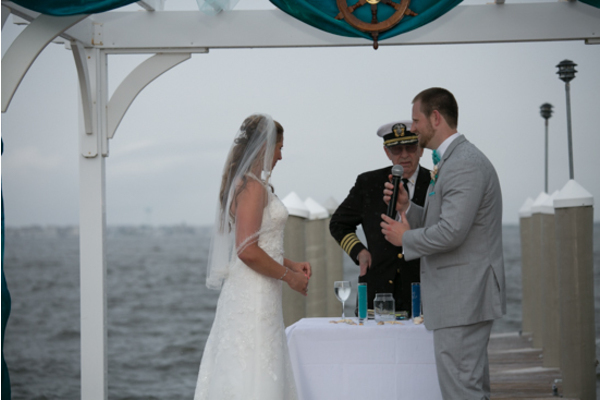 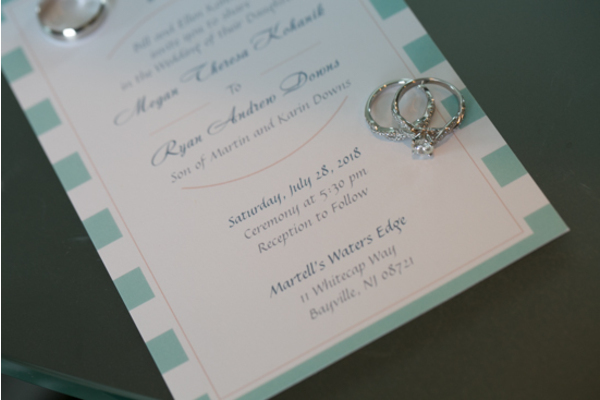 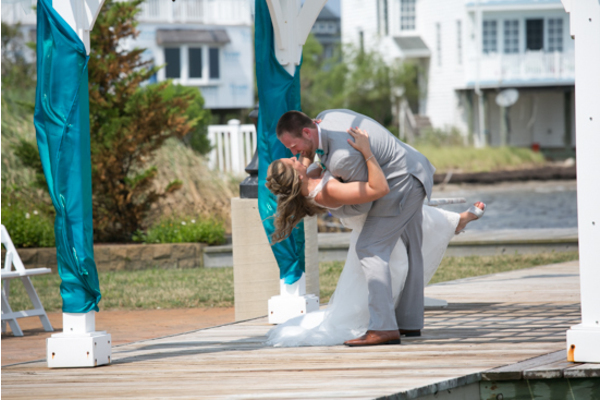 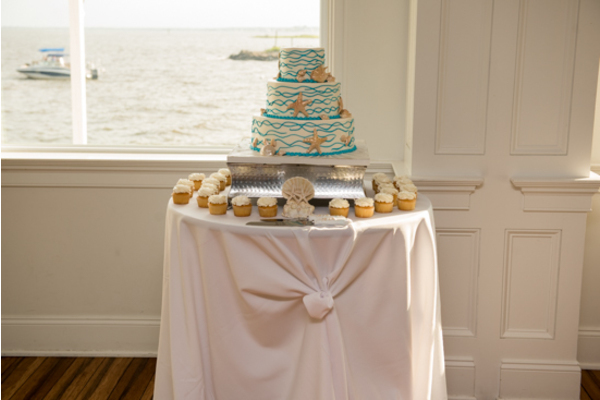 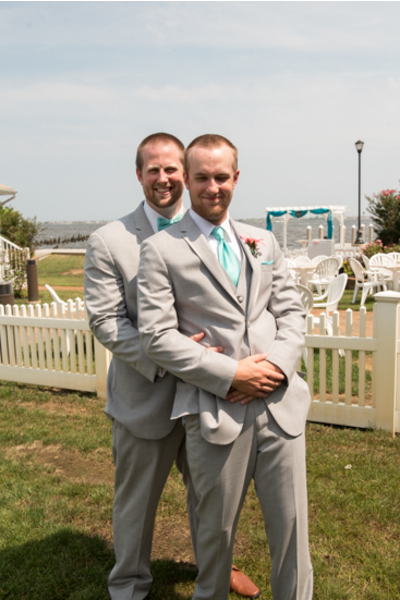 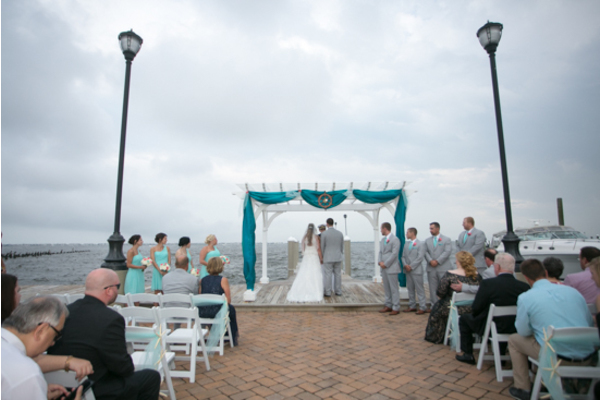 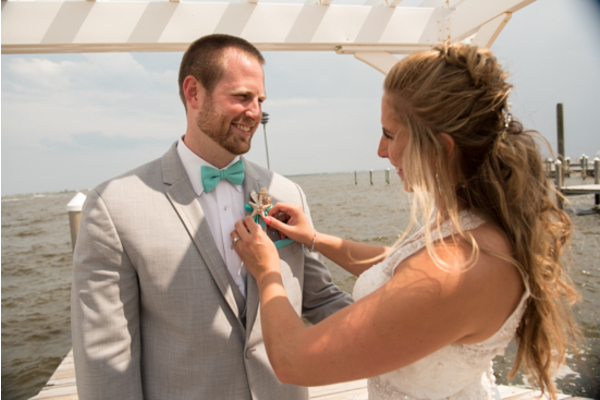 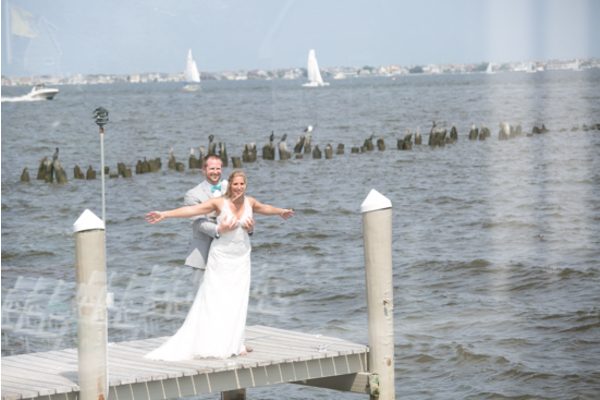 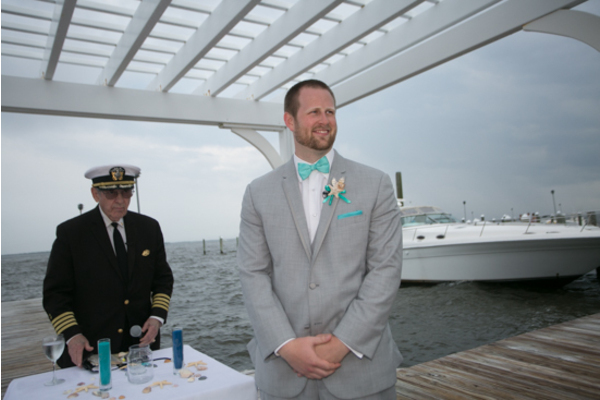 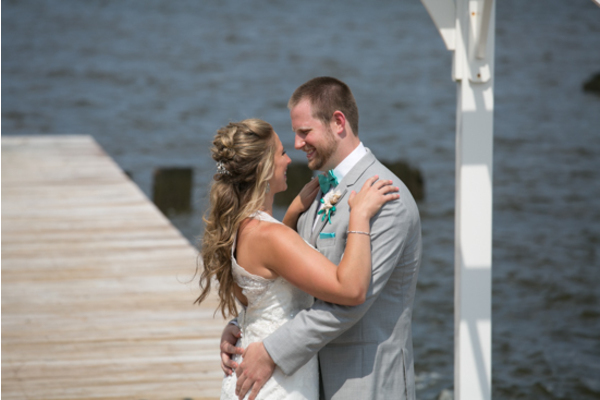 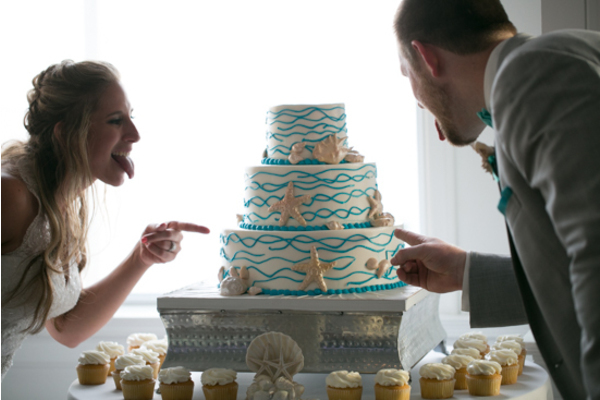 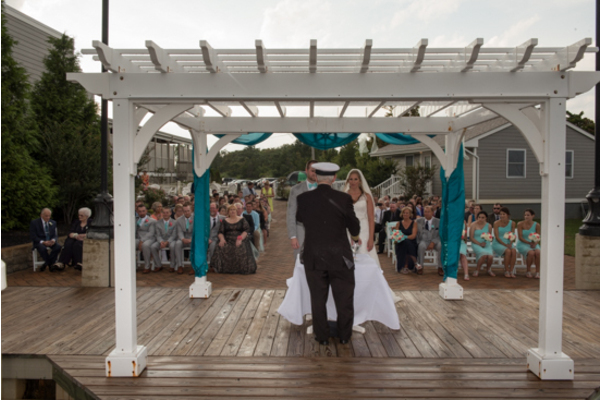 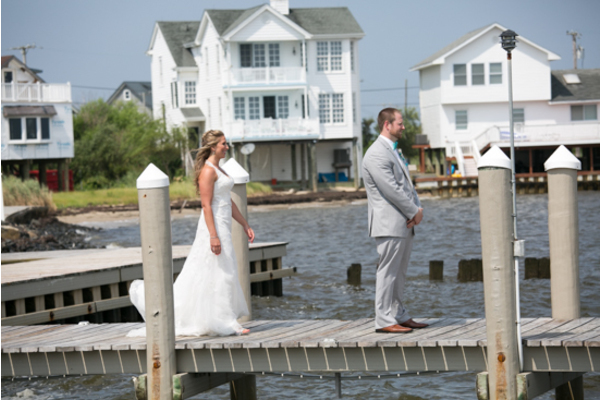 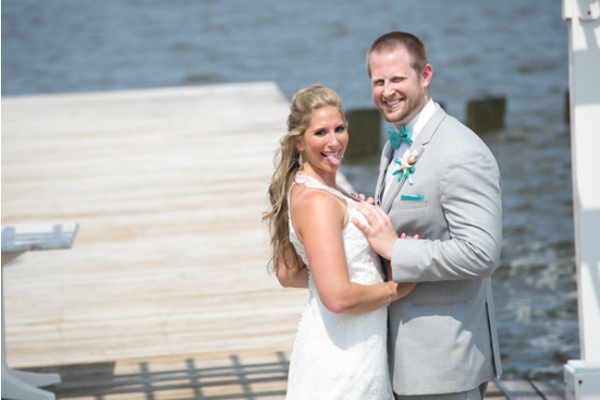 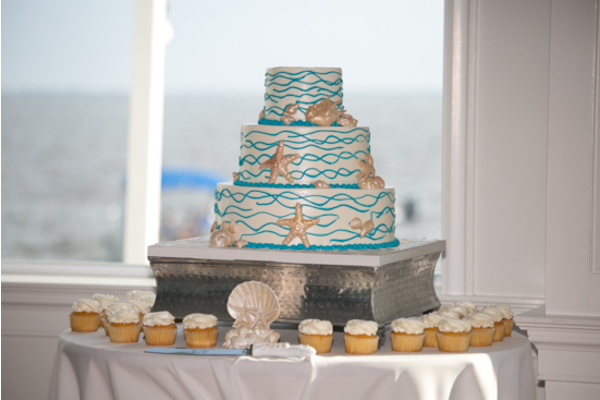 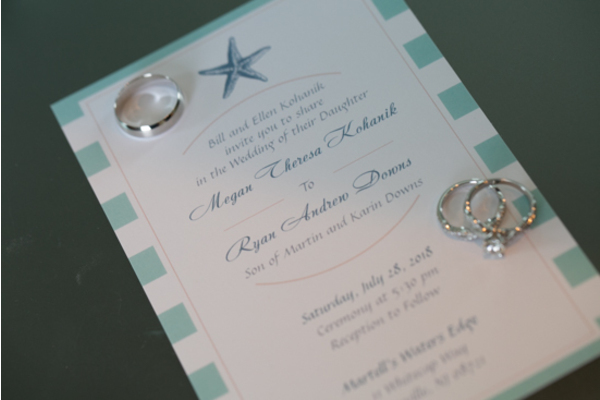 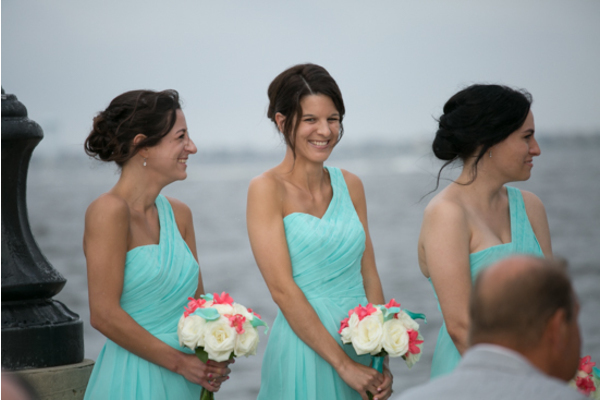 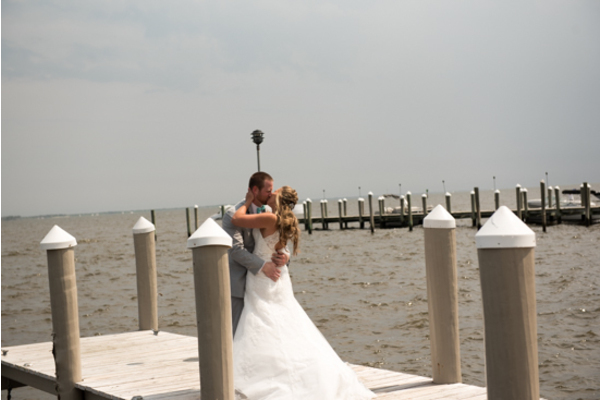 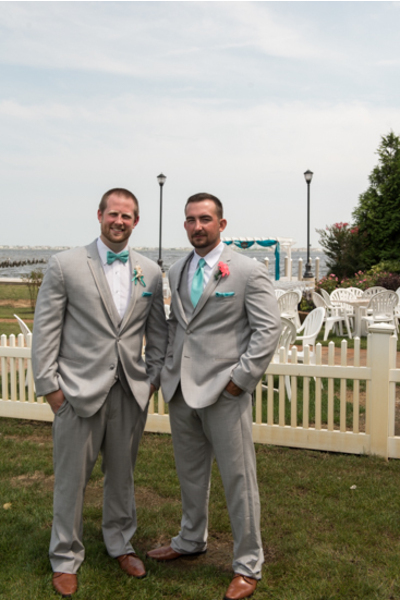 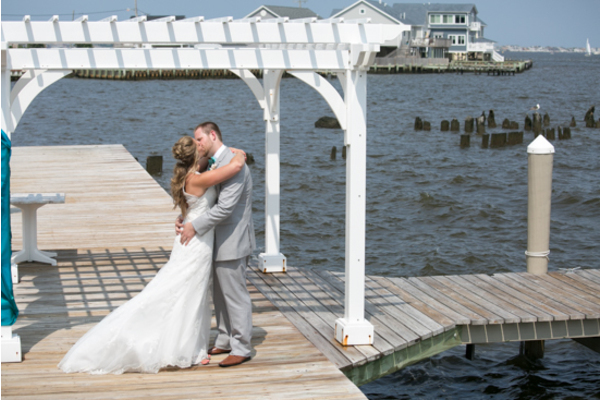 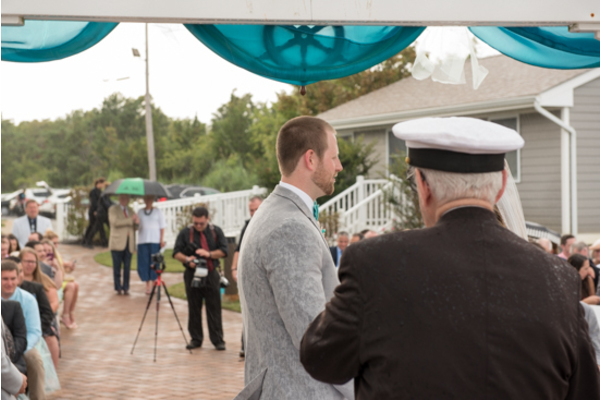 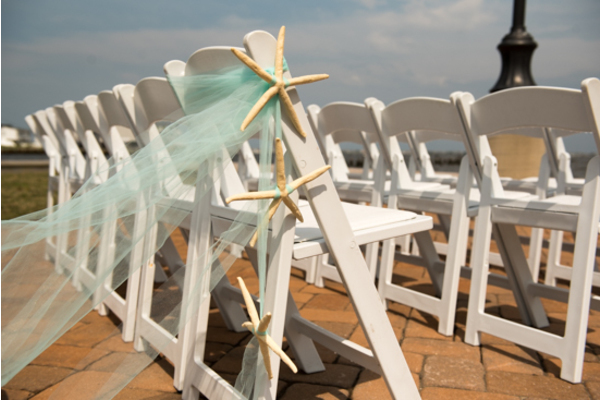 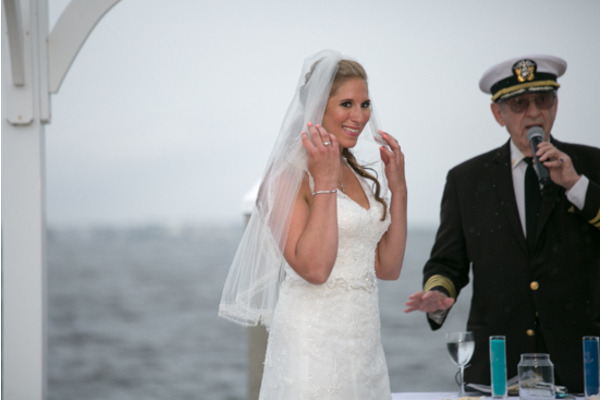 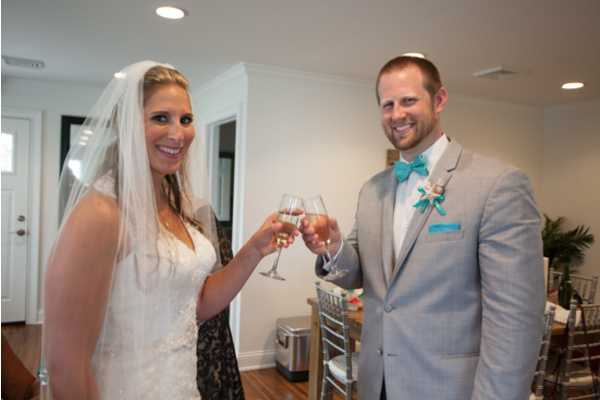 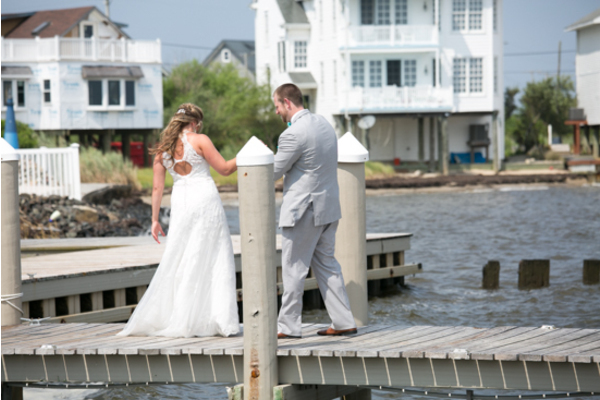 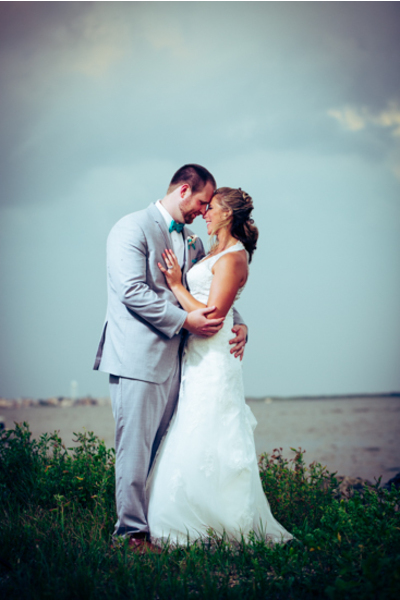 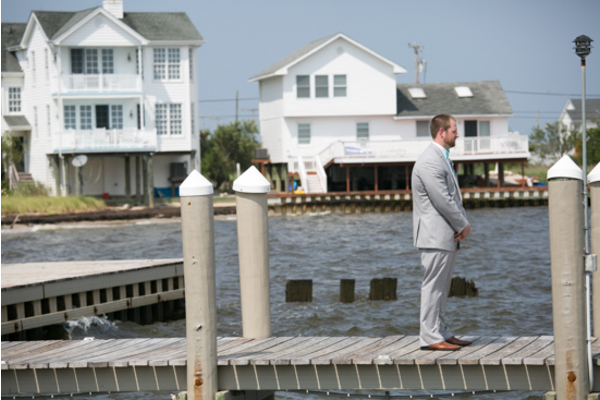 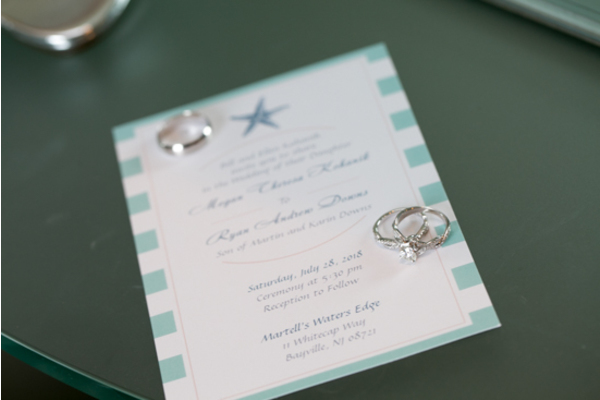 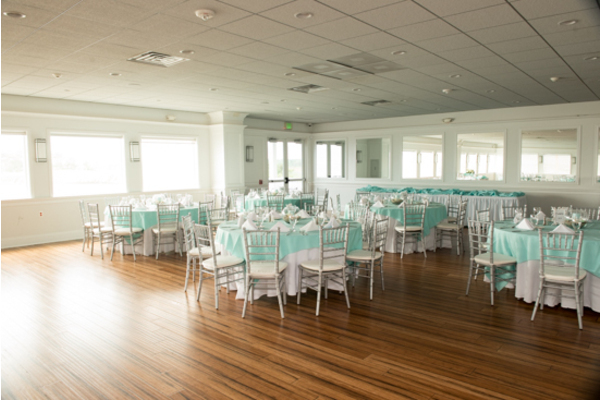 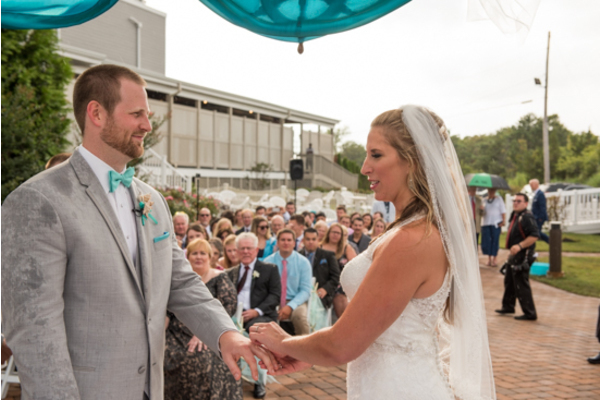 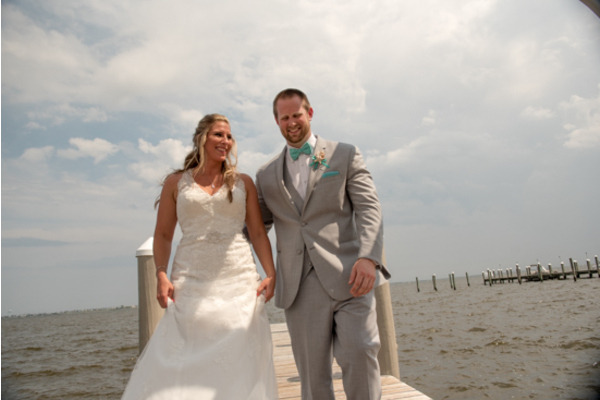 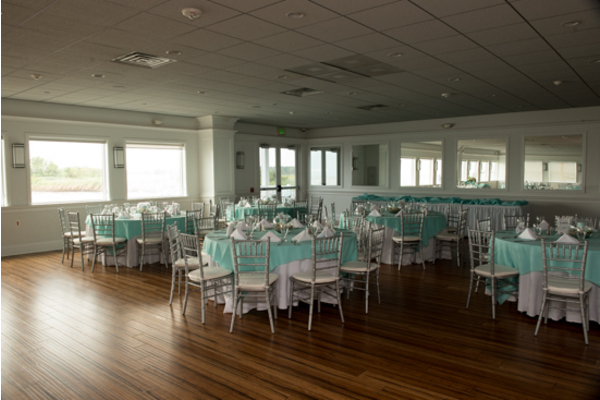 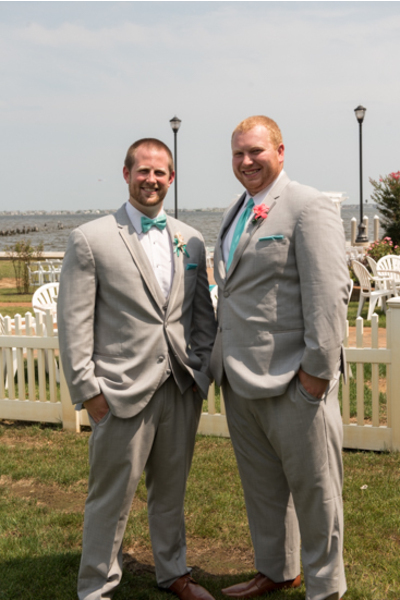 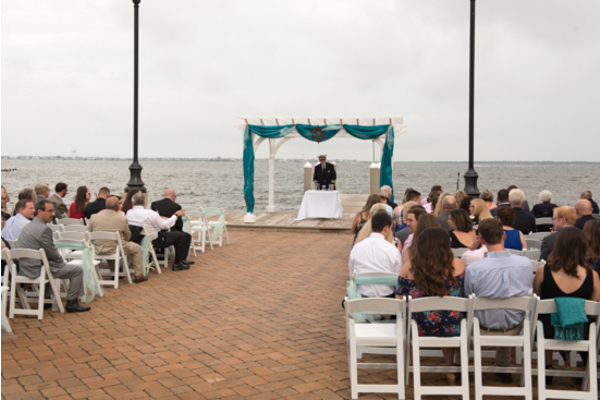 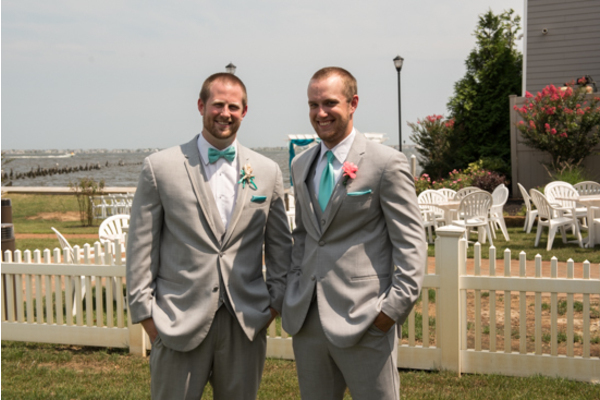 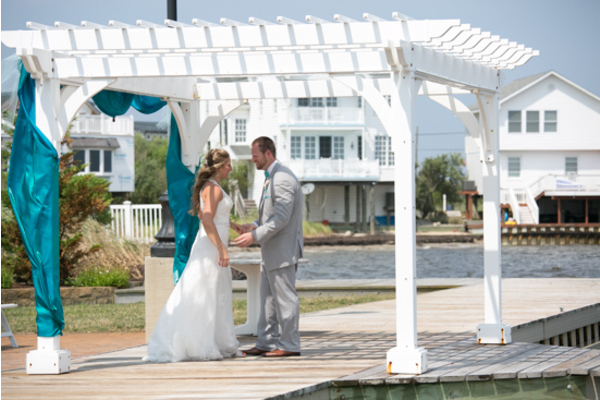 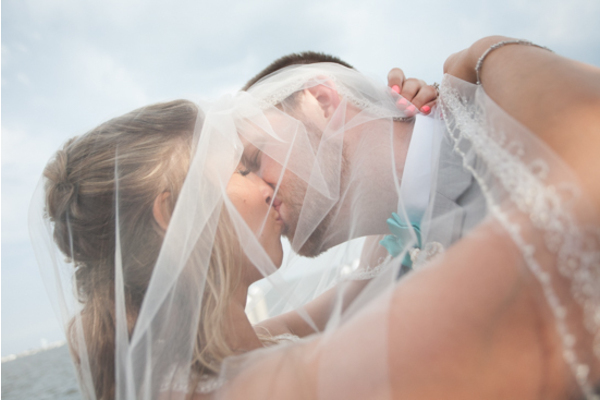 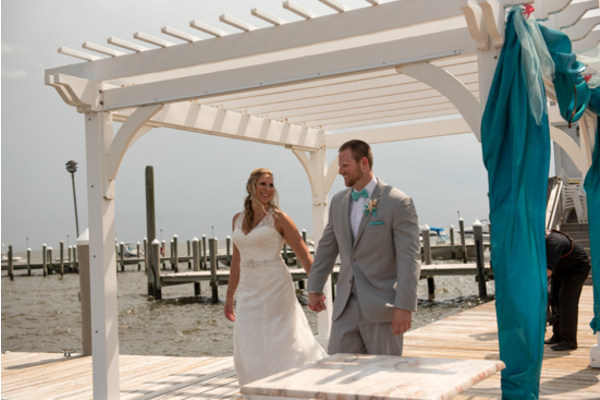 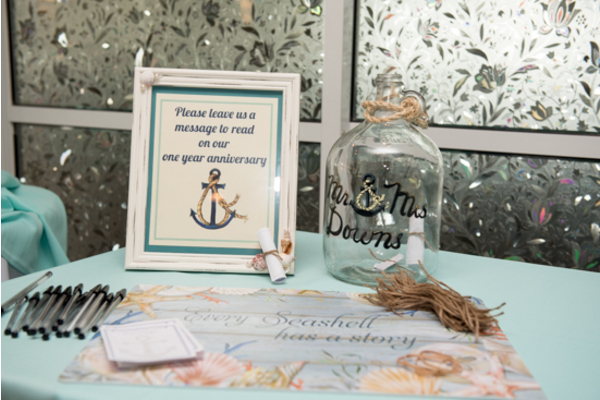 This ocean view wedding featured the most perfect accent colors of sea foam green and coral. 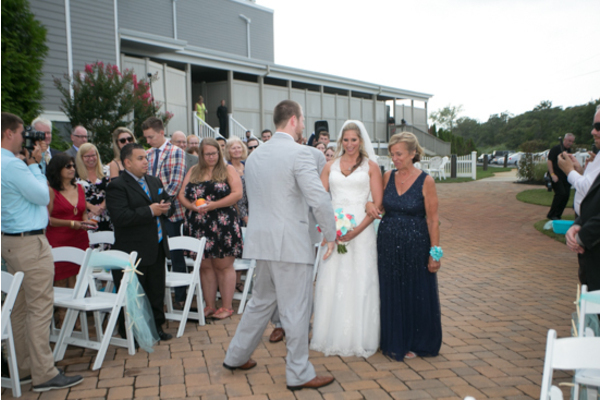 Guests took their seats and the bridal party lined the alter. 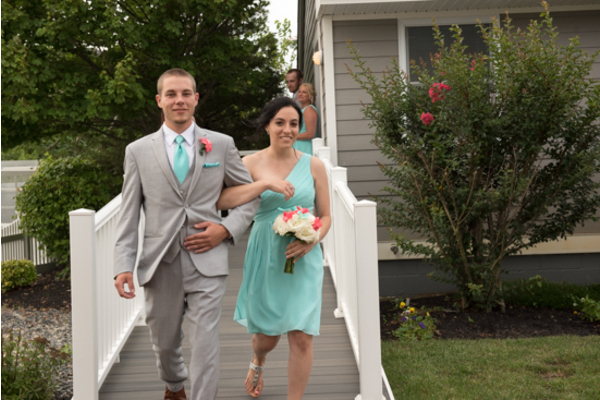 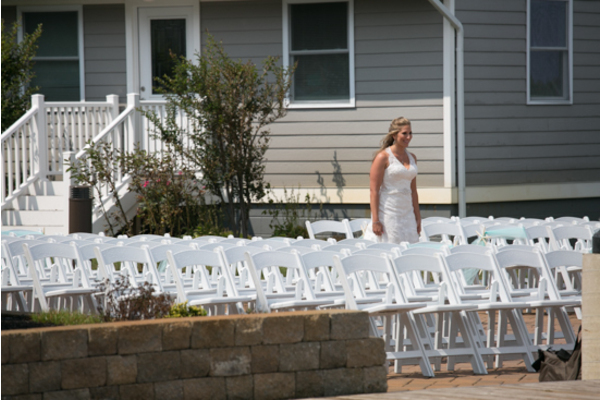 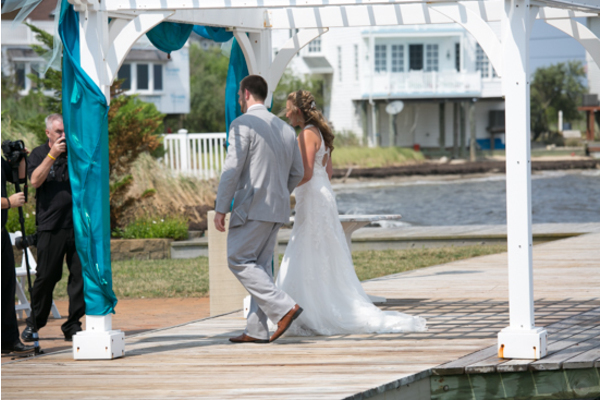 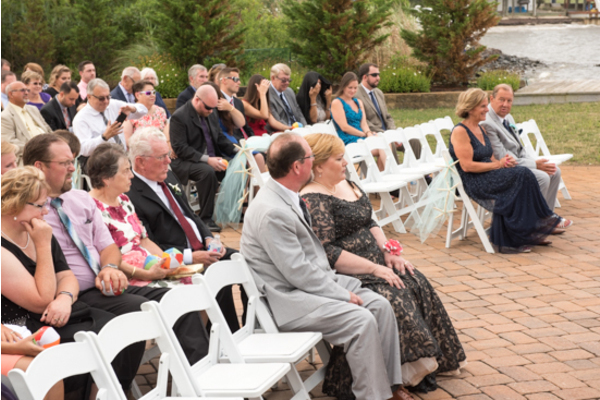 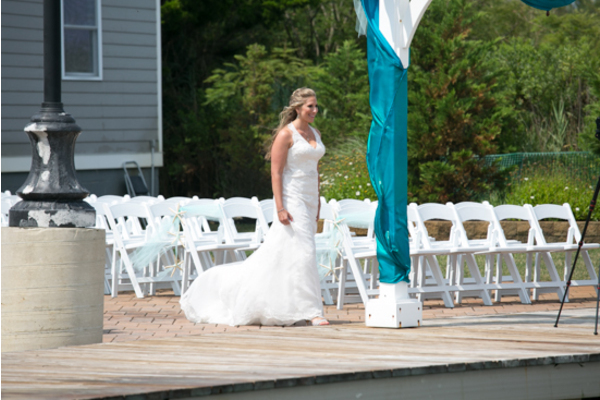 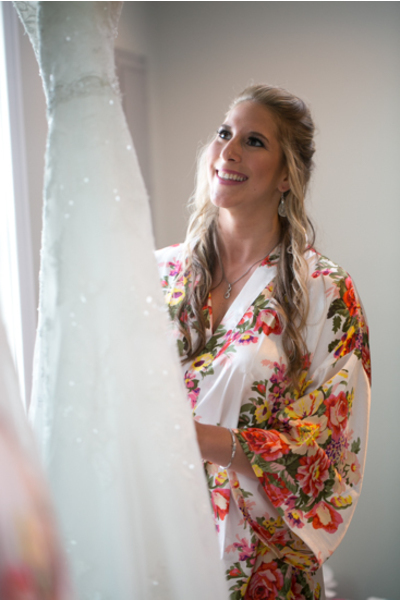 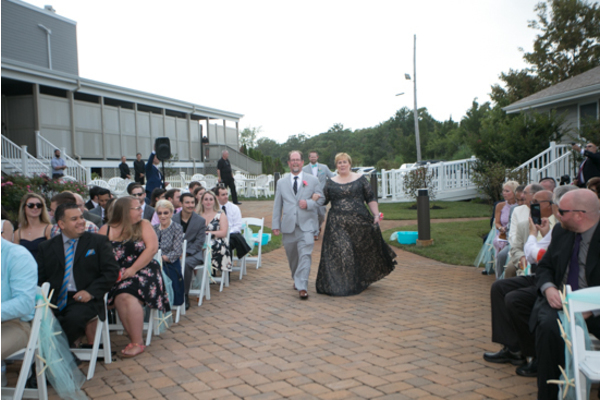 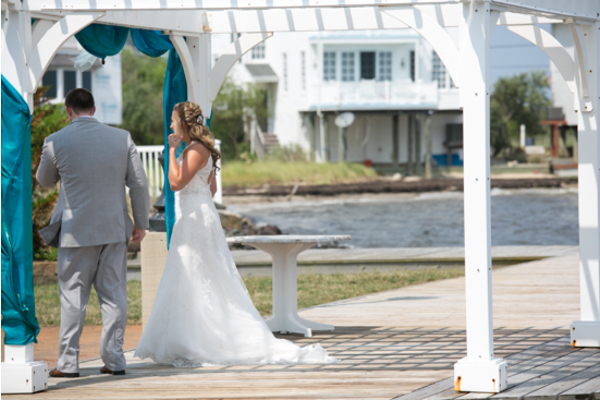 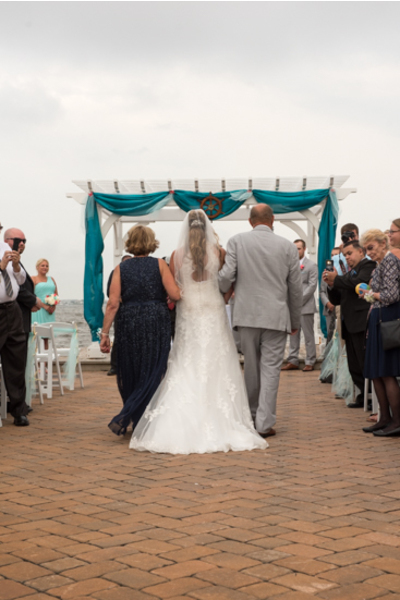 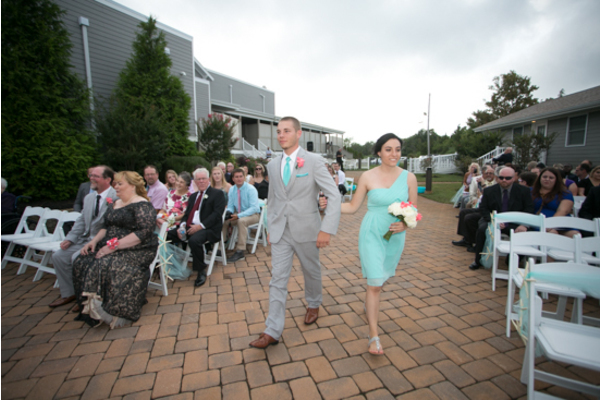 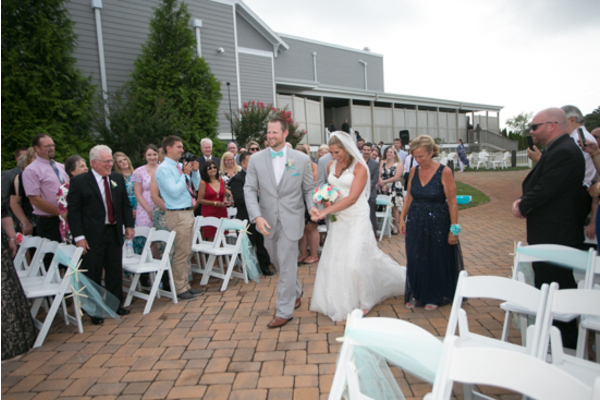 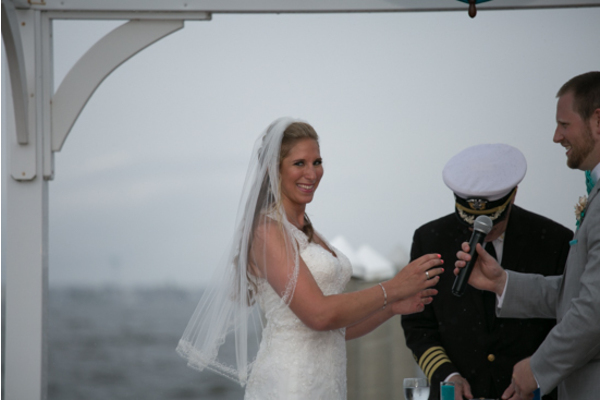 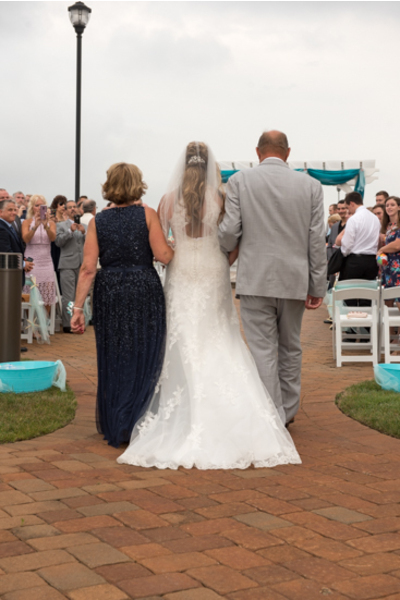 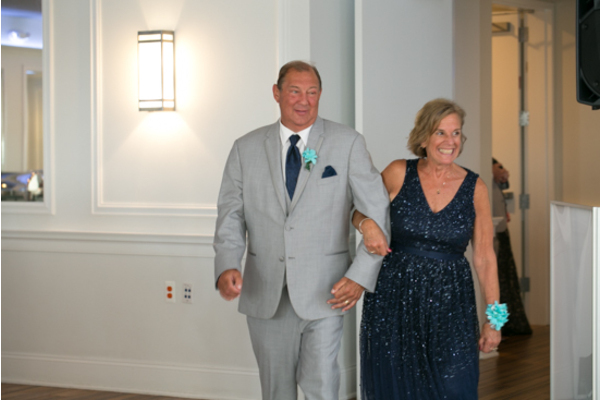 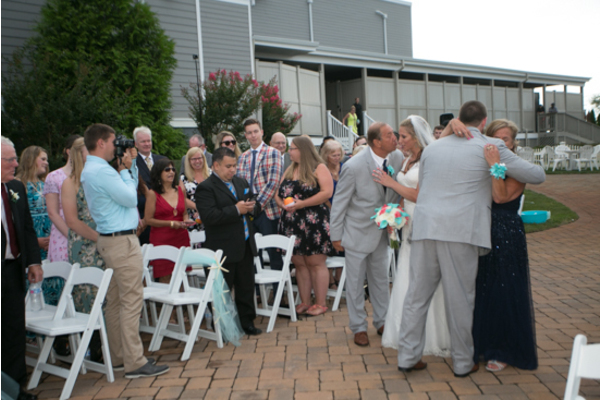 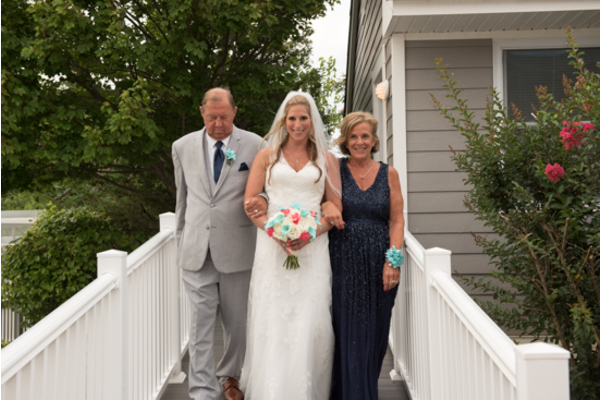 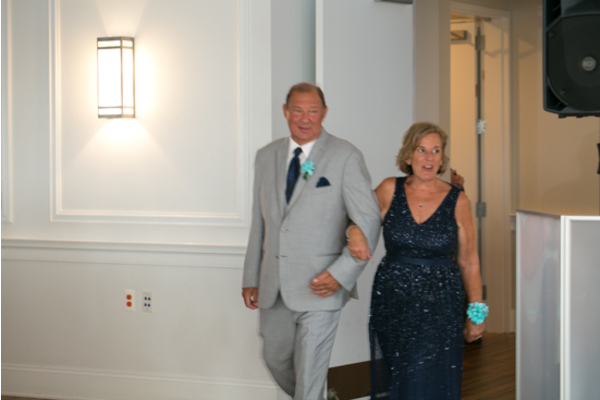 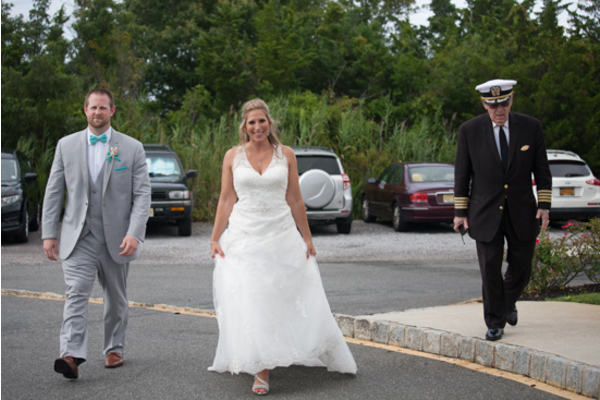 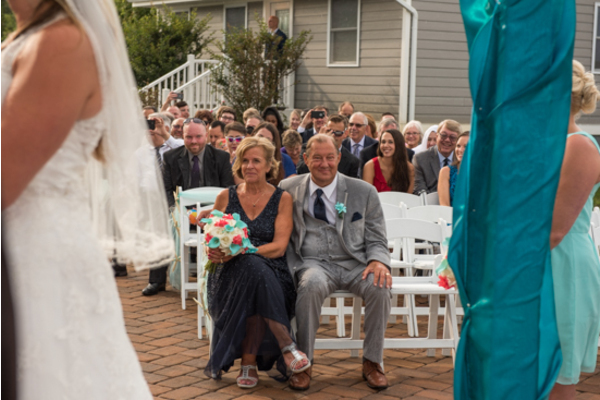 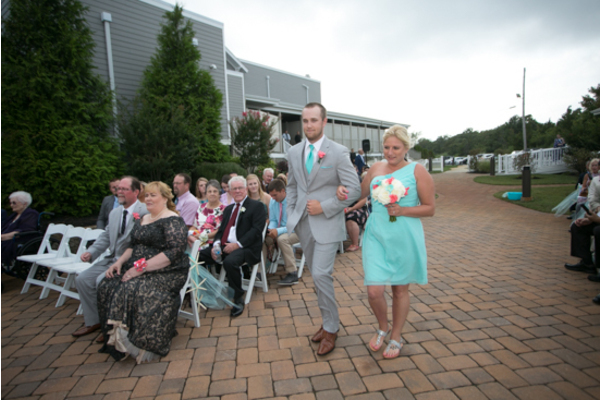 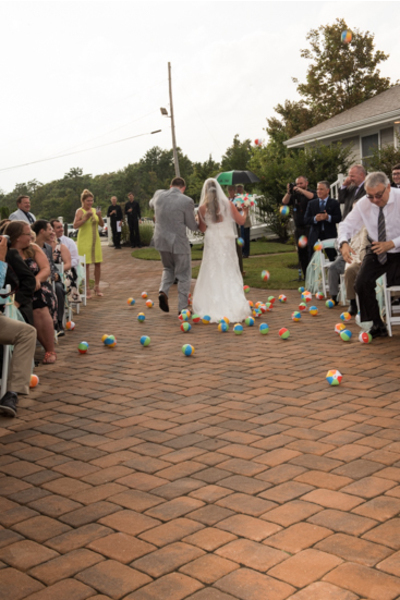 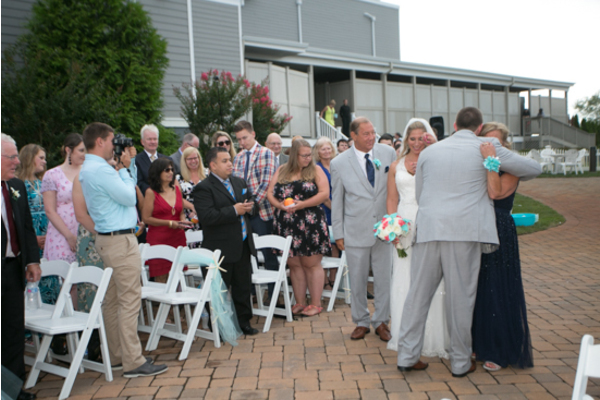 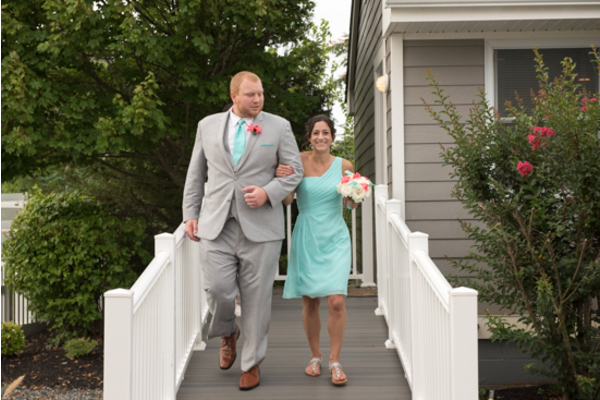 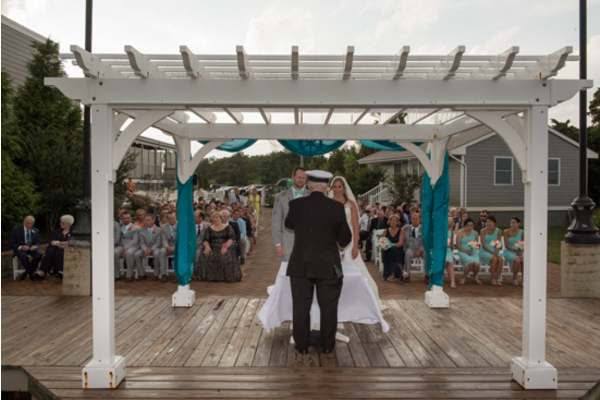 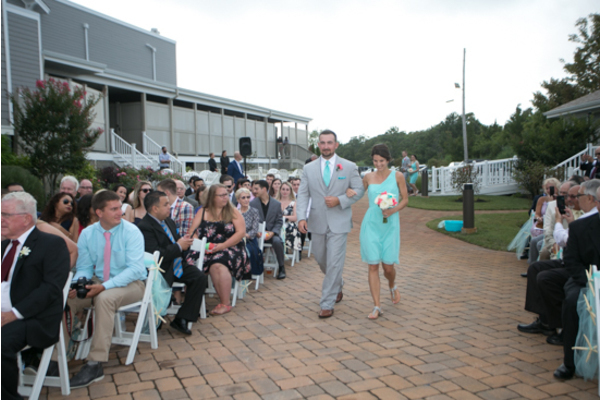 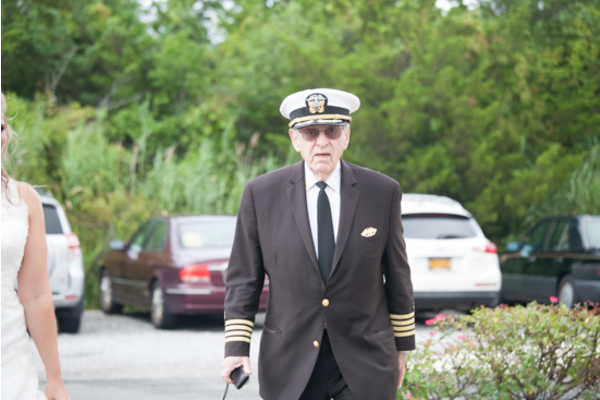 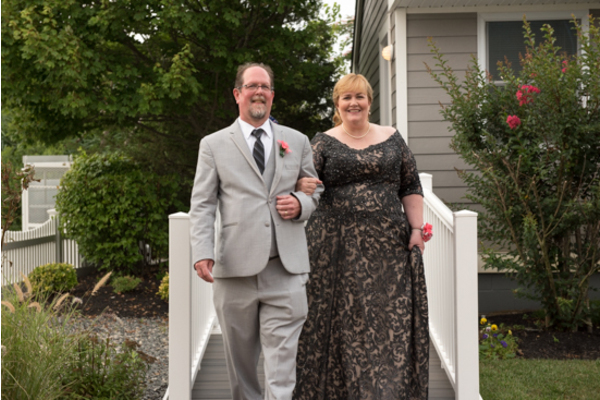 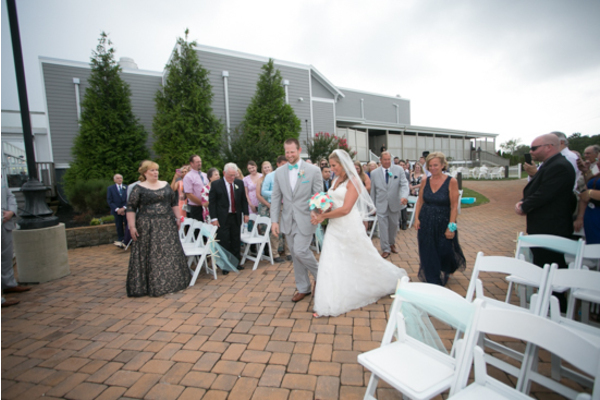 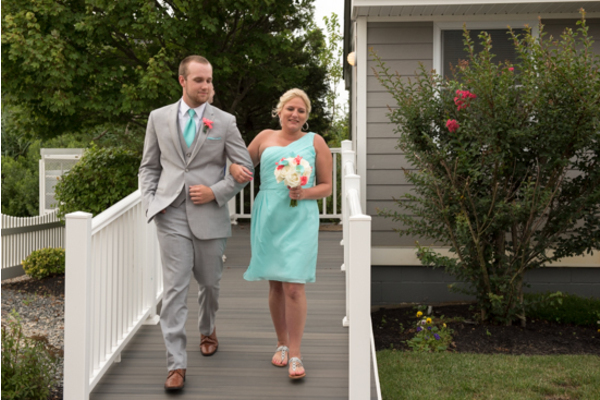 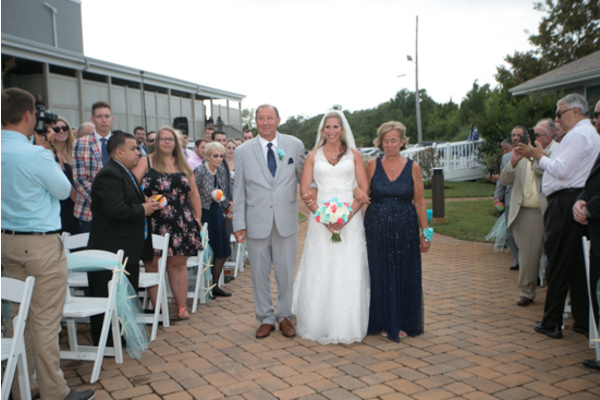 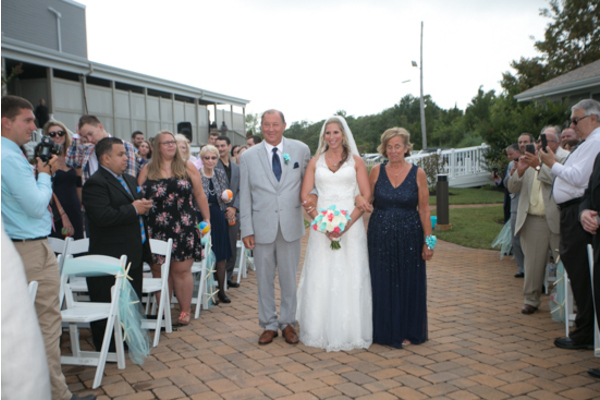 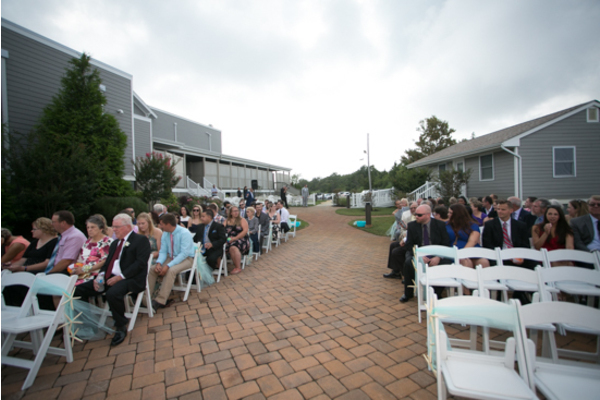 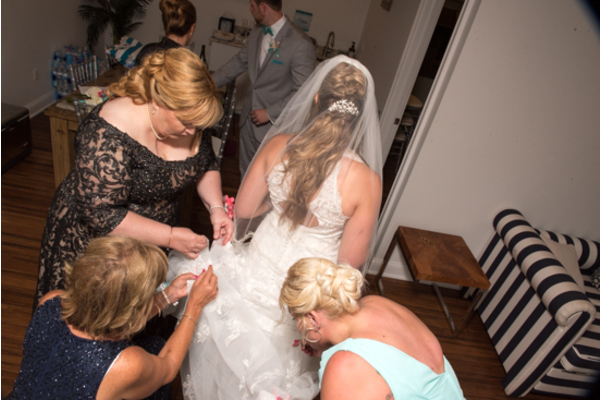 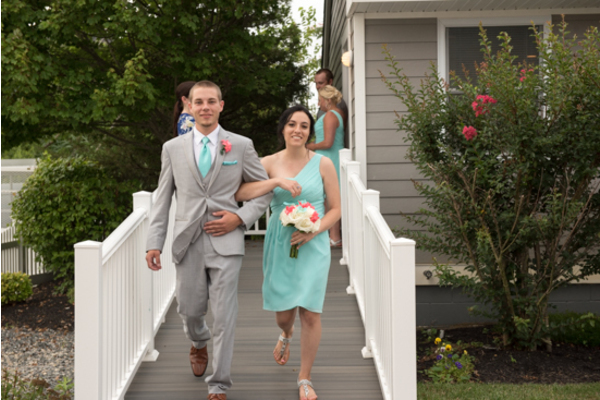 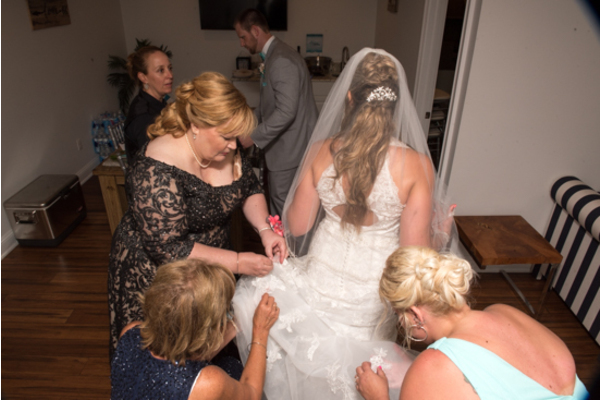 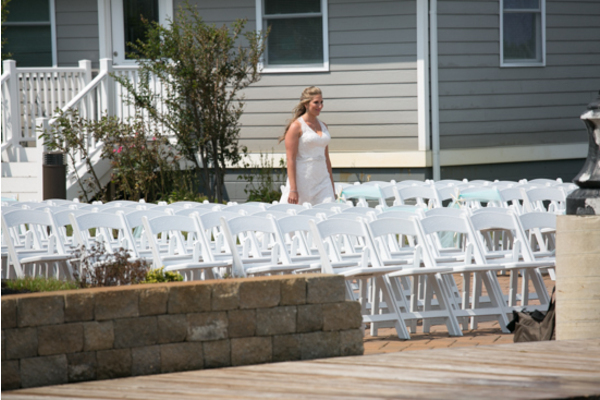 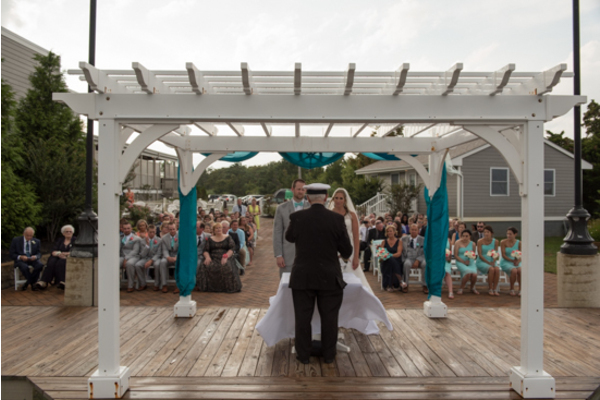 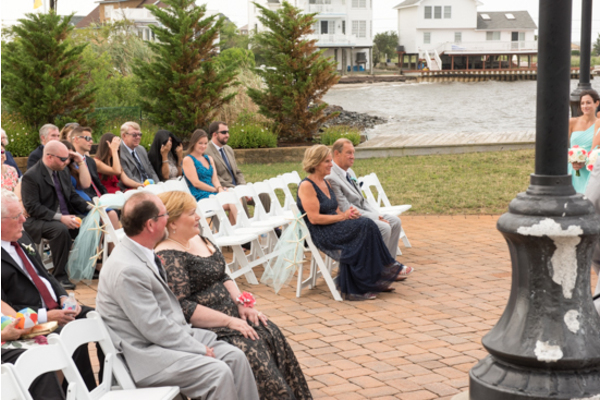 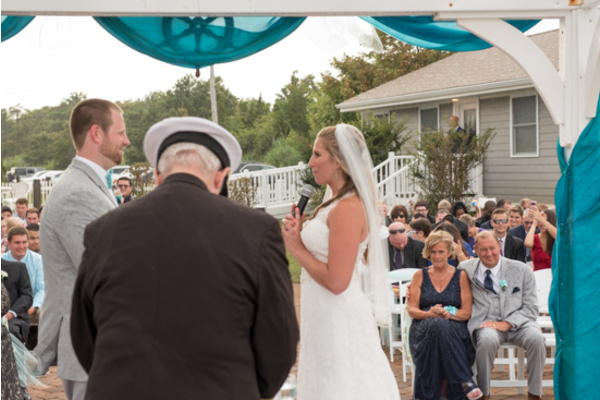 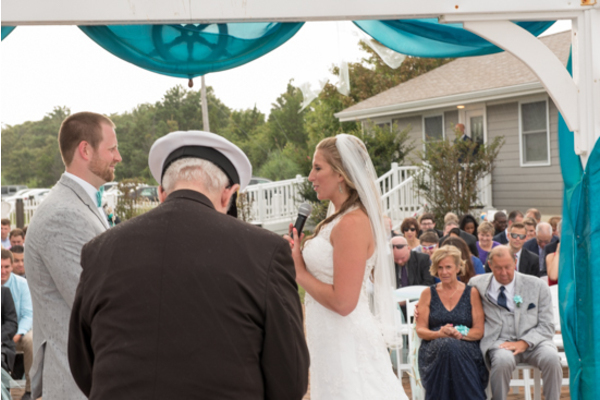 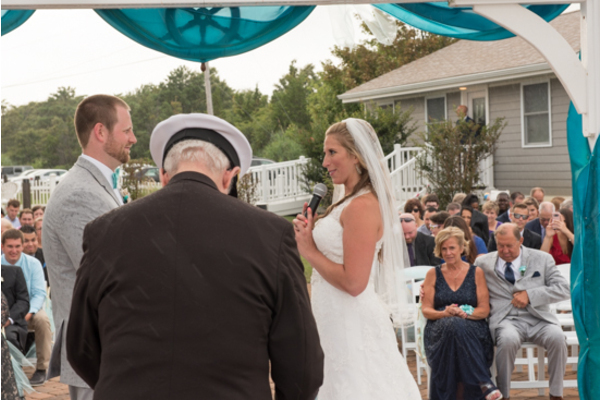 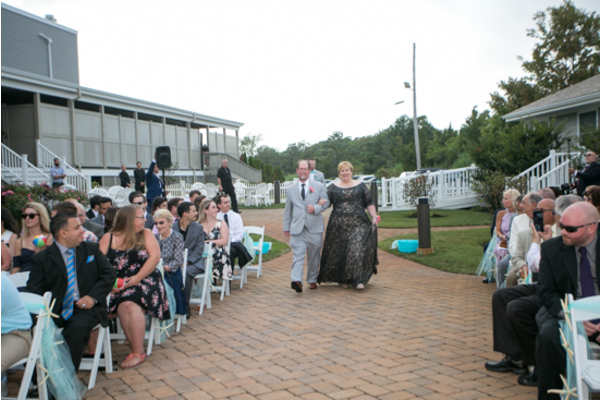 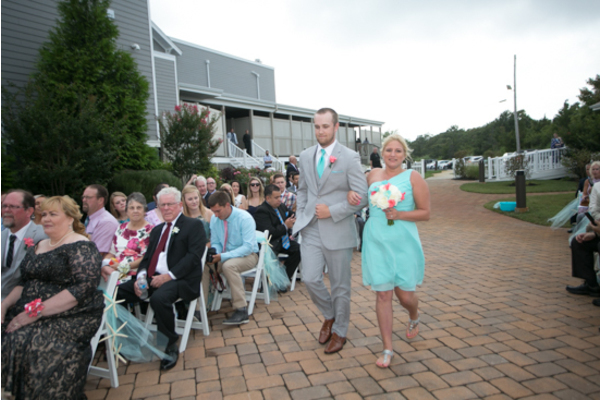 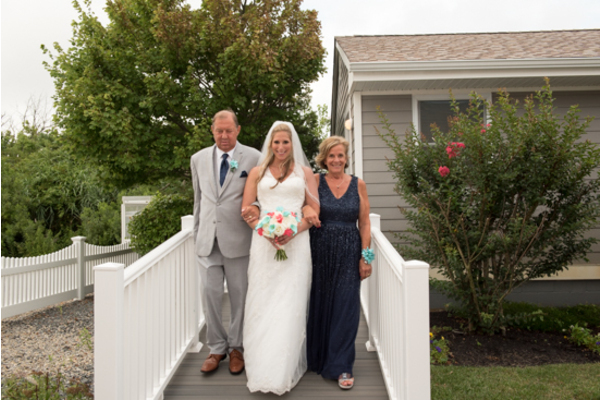 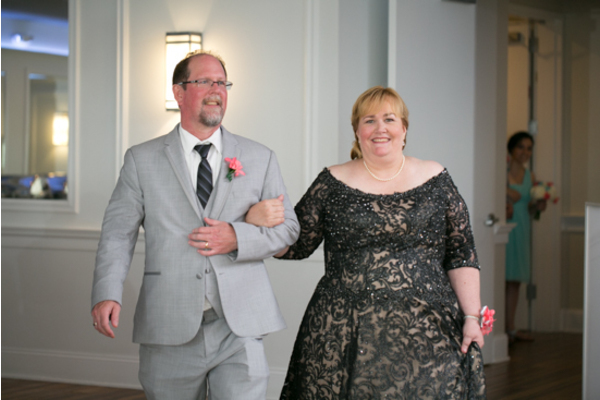 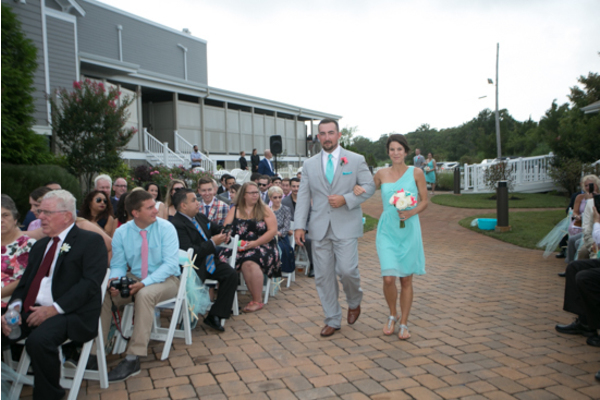 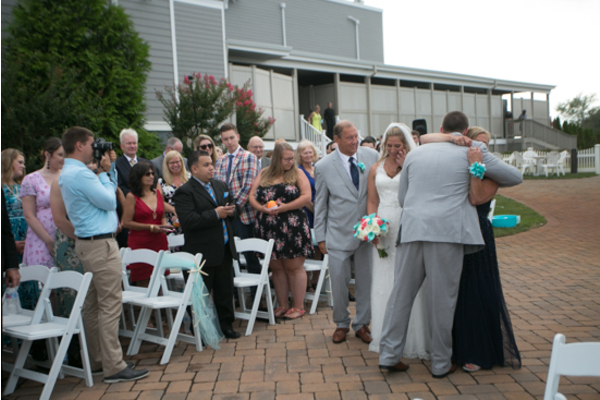 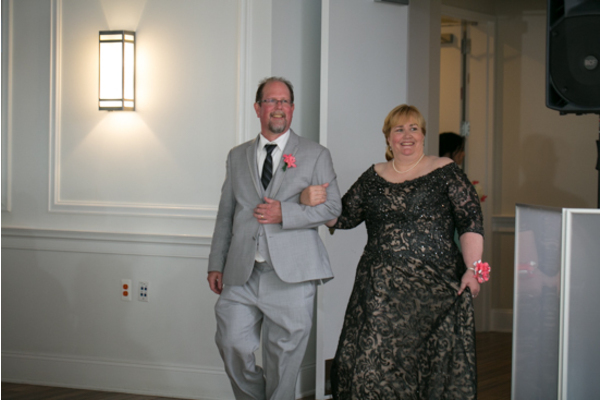 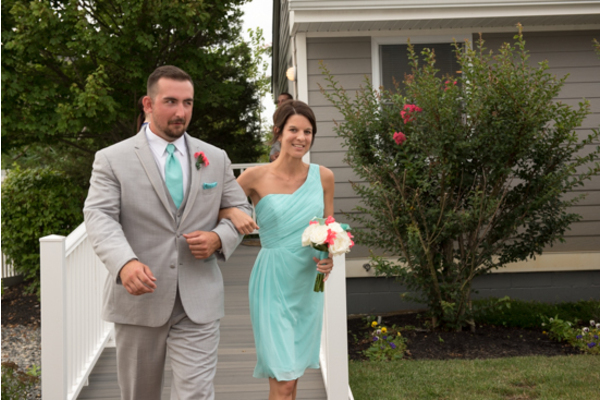 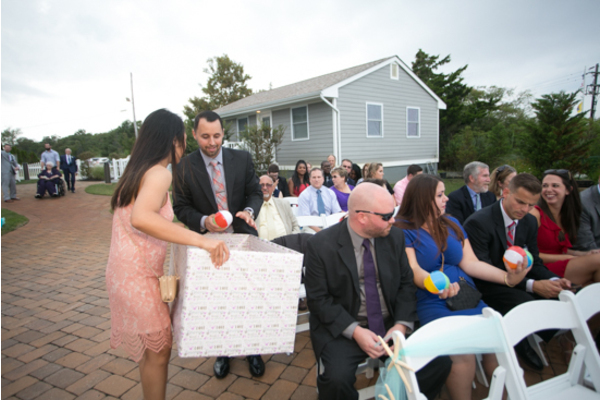 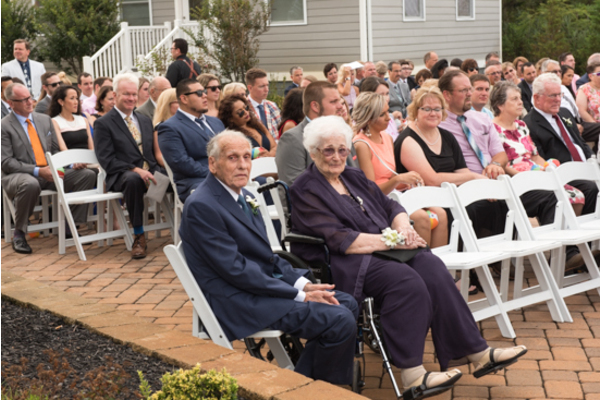 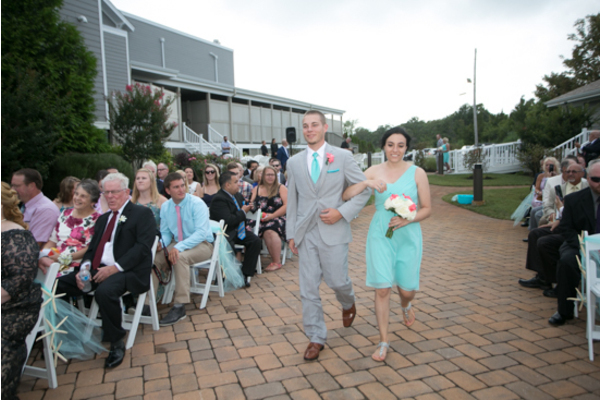 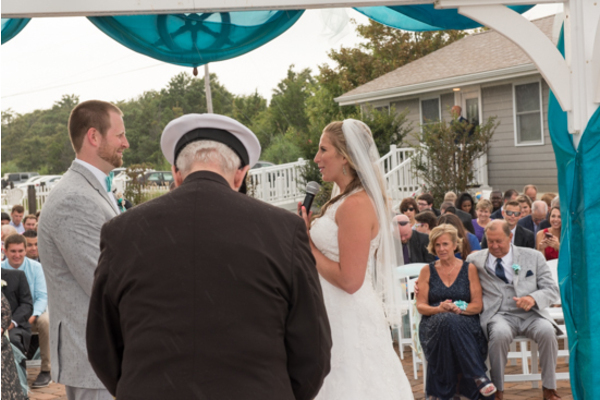 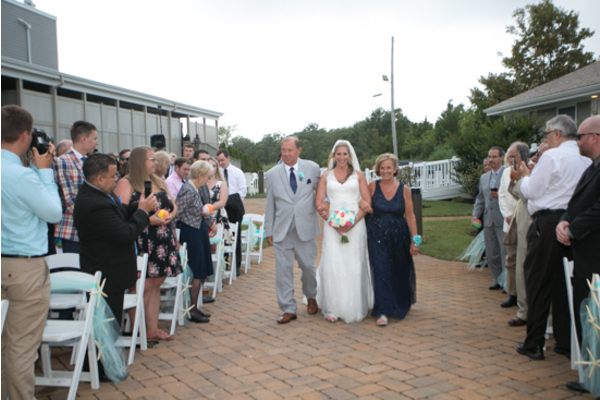 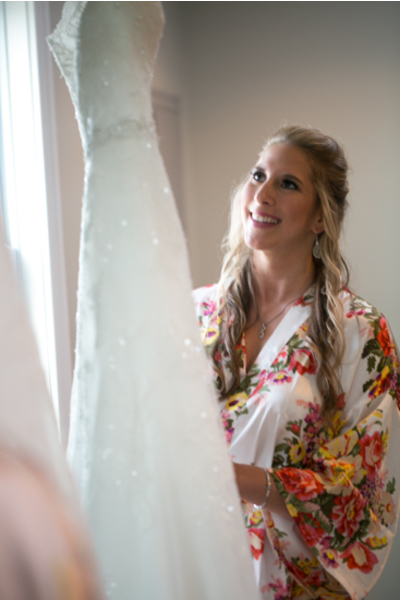 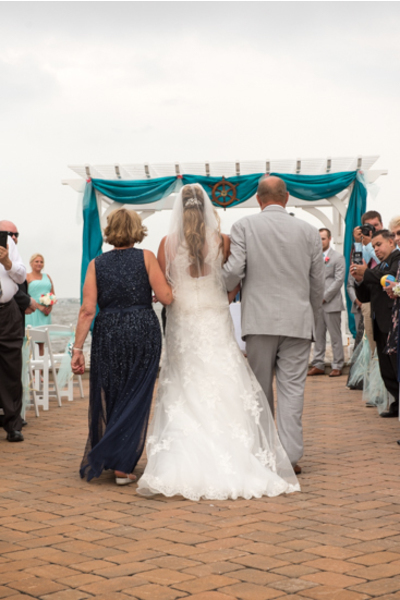 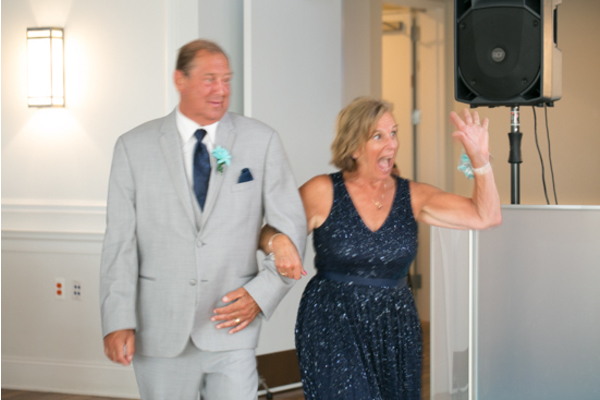 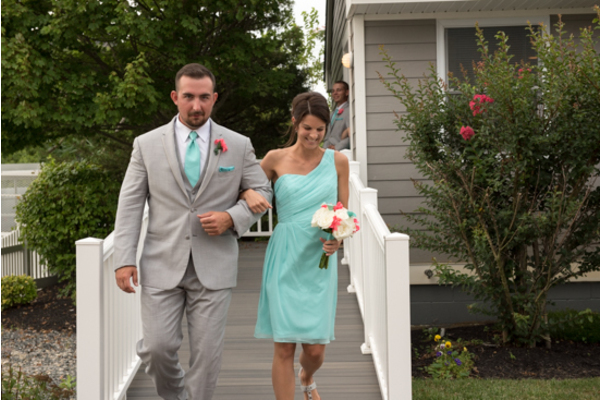 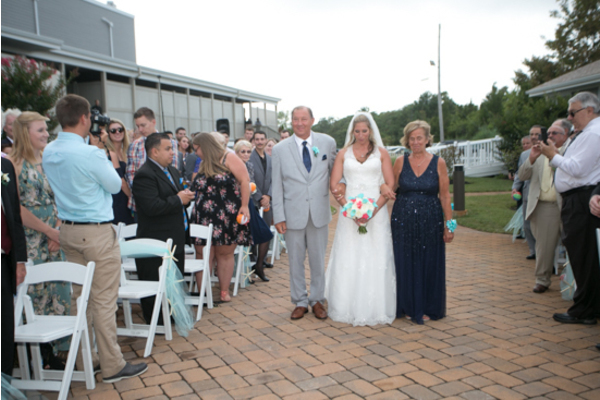 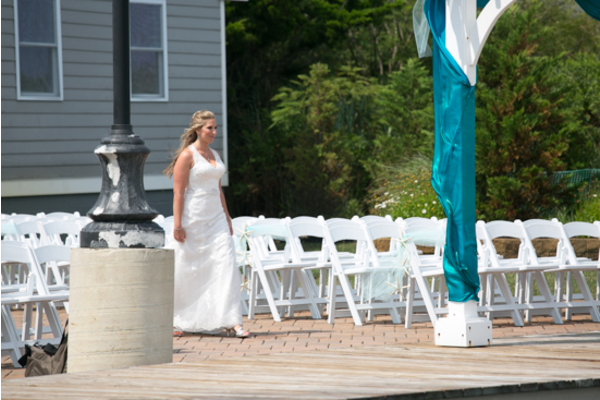 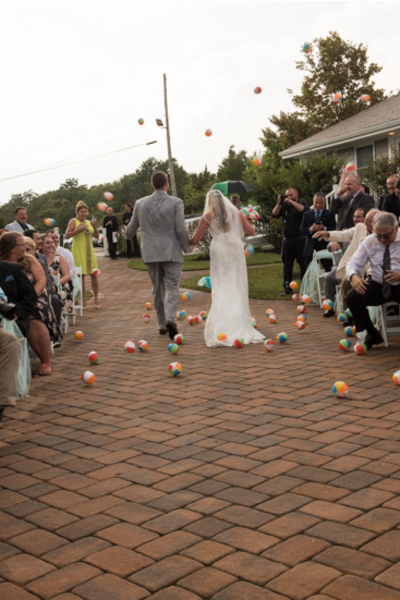 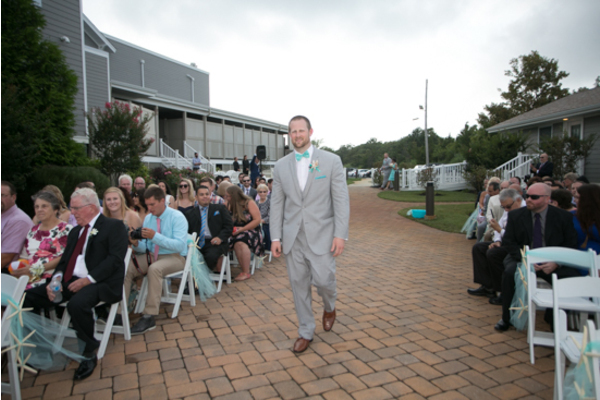 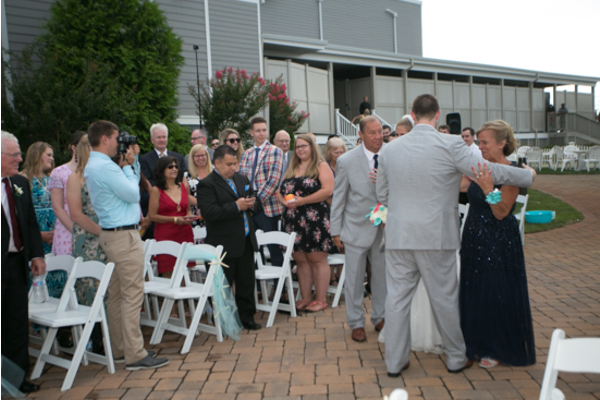 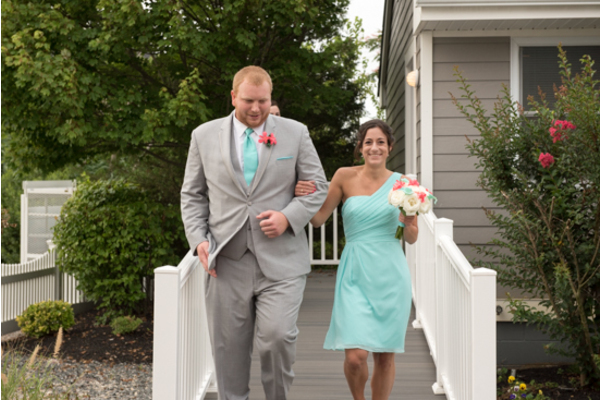 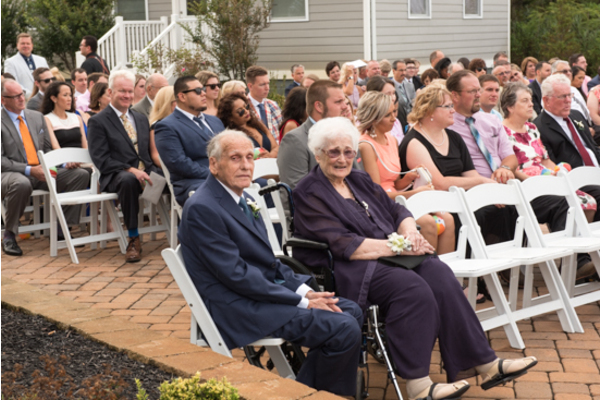 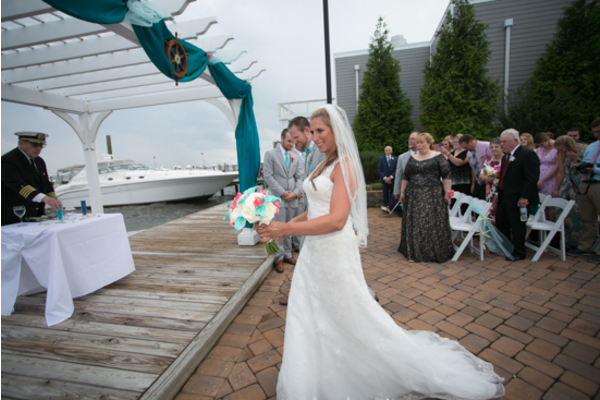 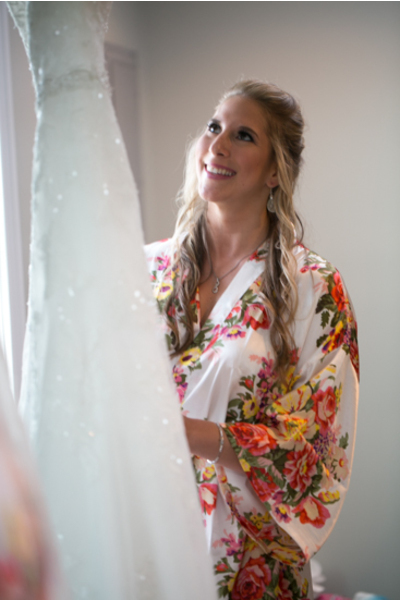 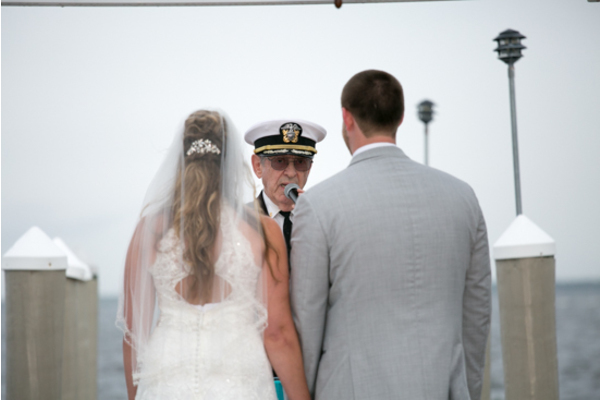 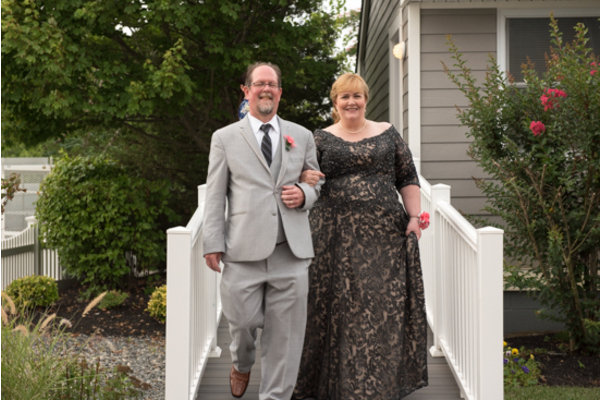 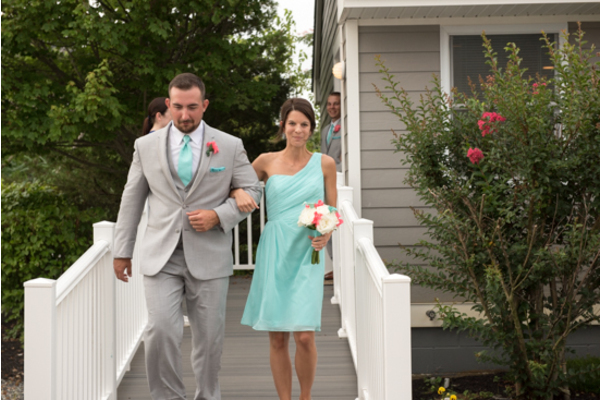 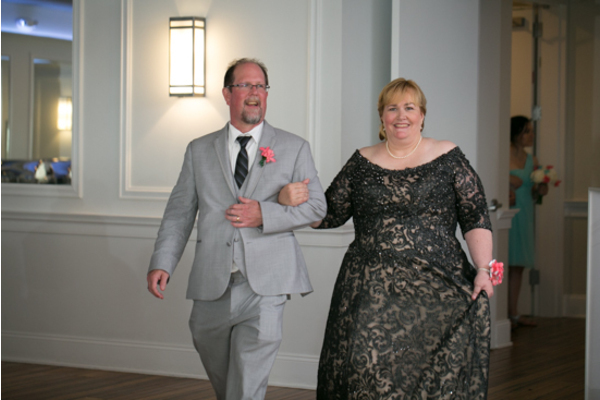 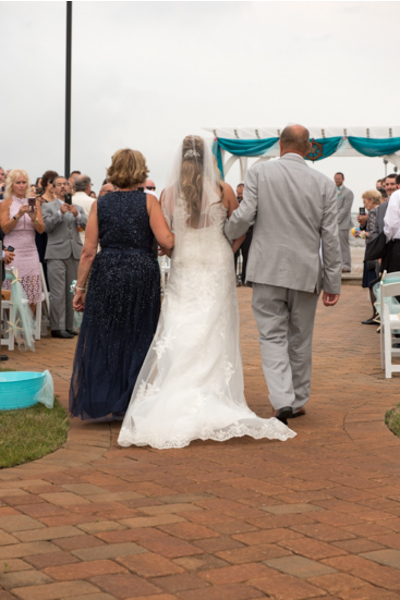 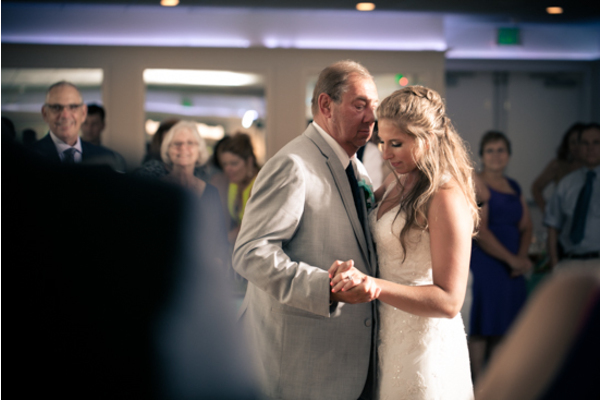 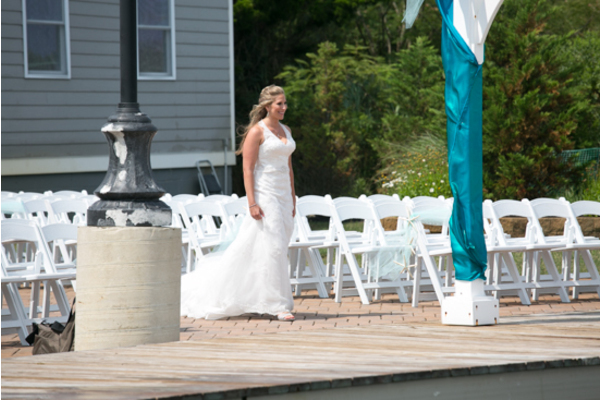 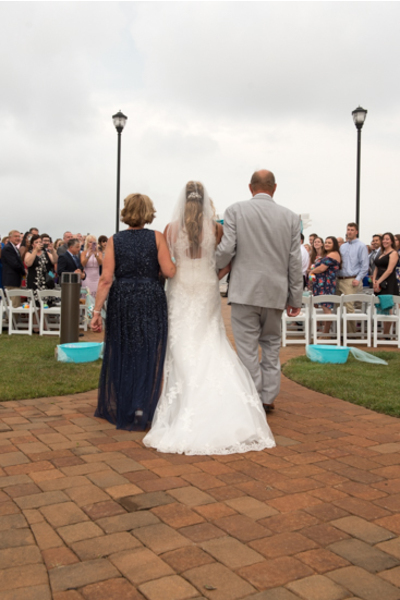 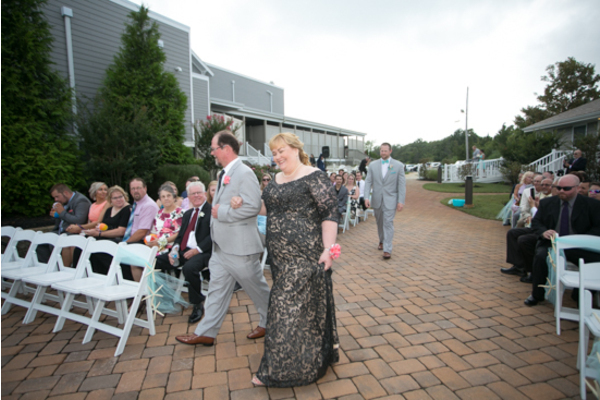 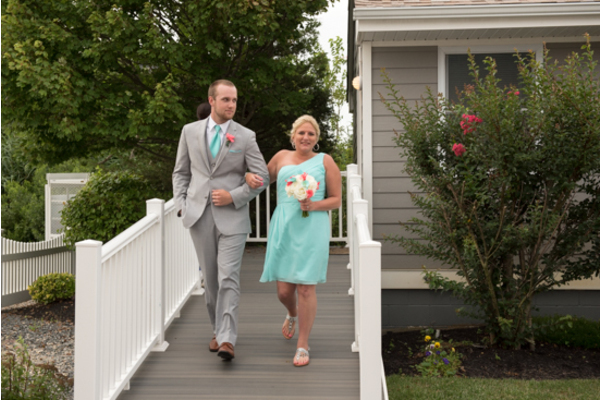 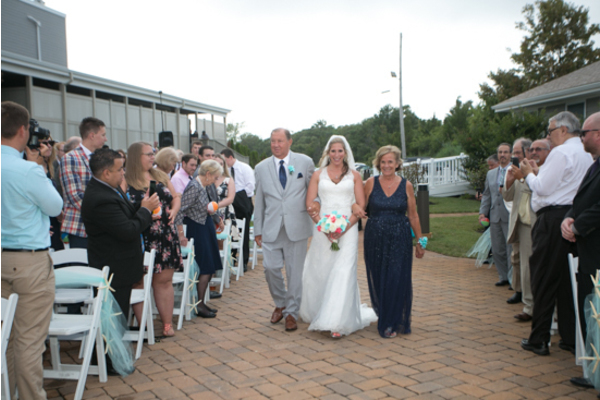 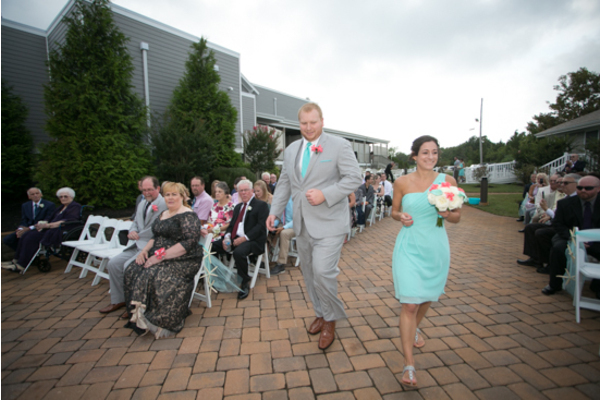 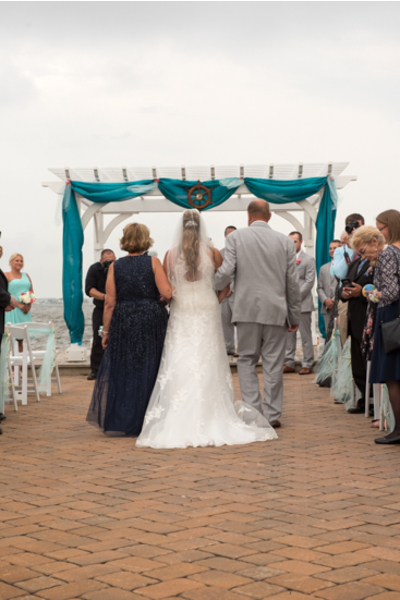 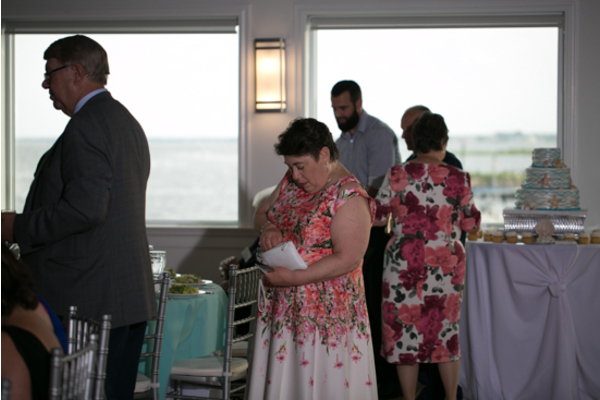 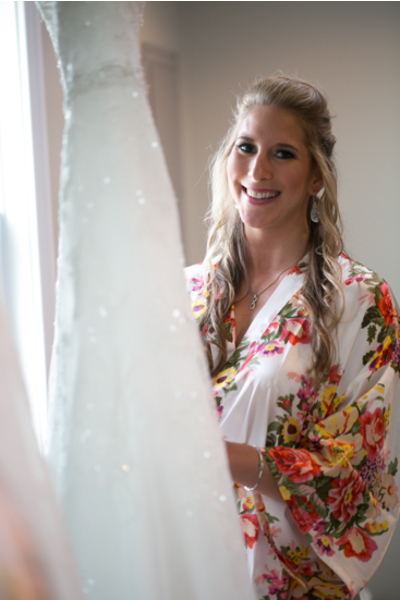 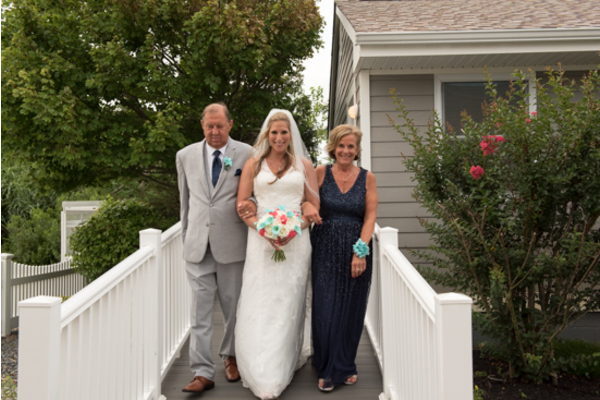 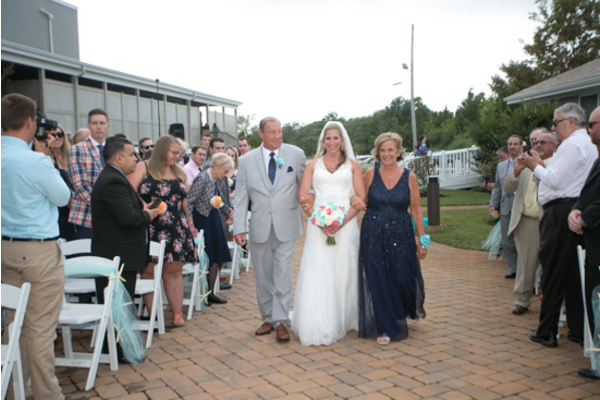 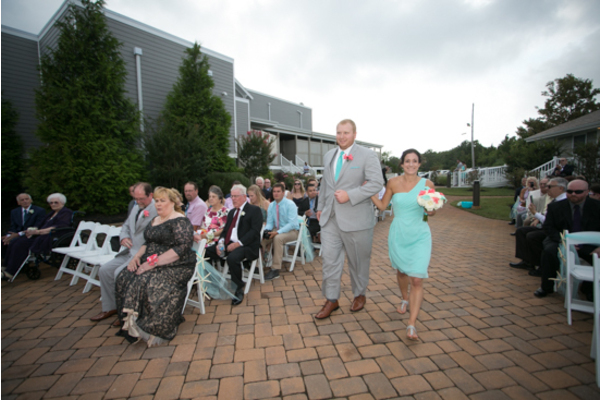 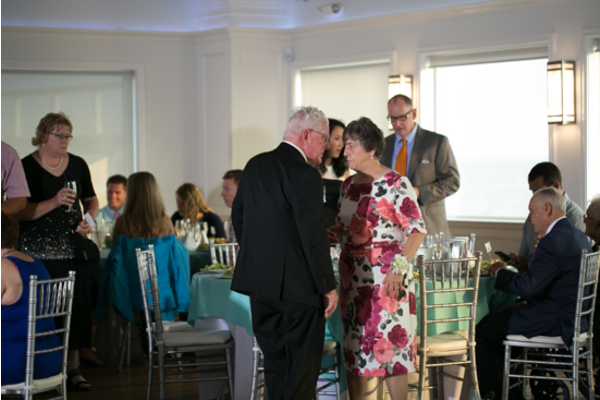 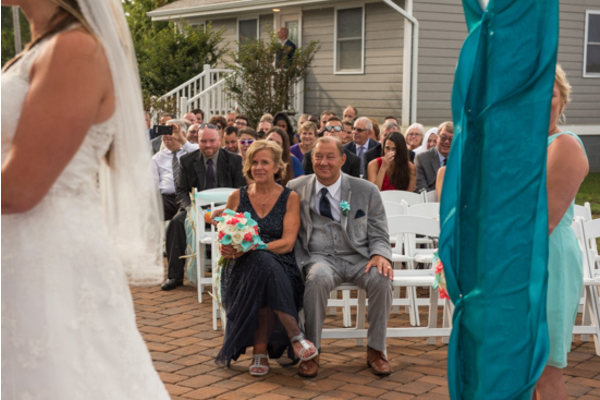 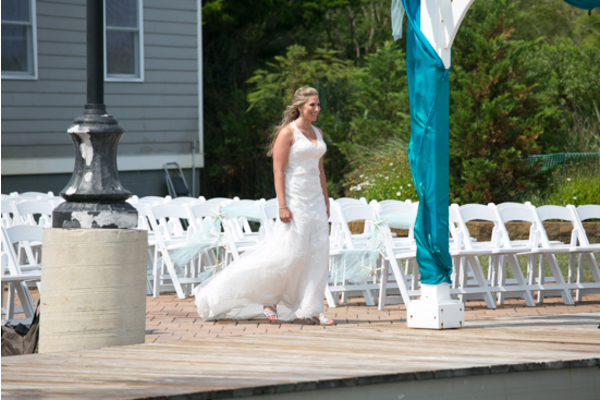 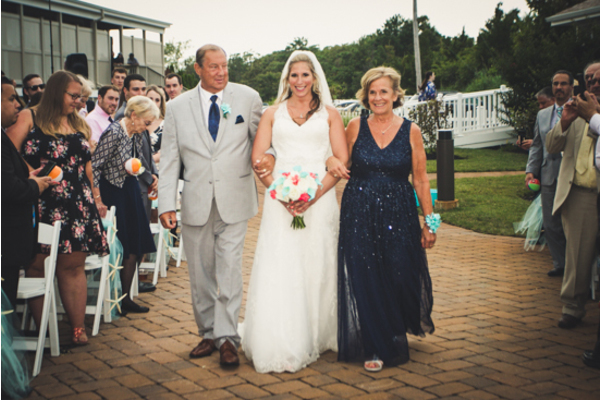 Our NJ Wedding Videographer captured all eyes on Megan, especially being escorted by her parents up the aisle. 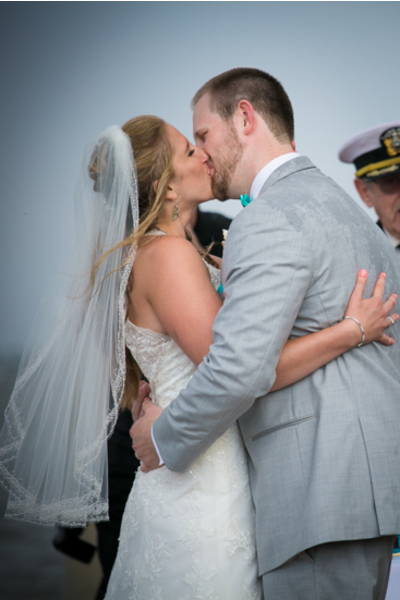 With a kiss to seal the deal, the touching ceremony came to a close. 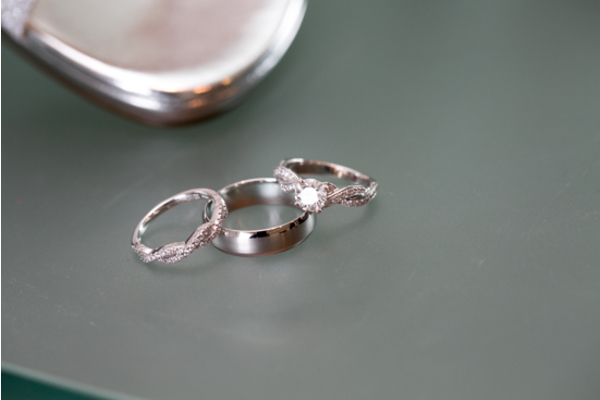 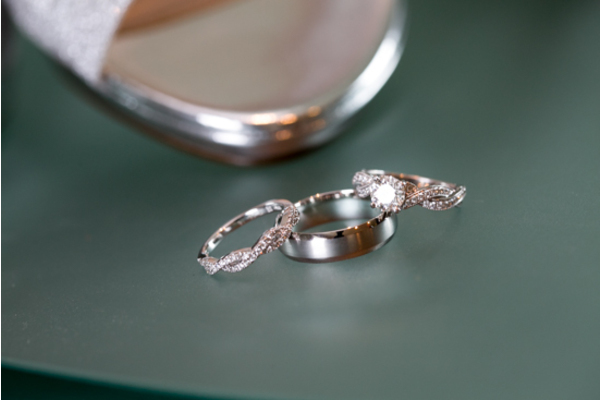 Let the wedding bells ring! 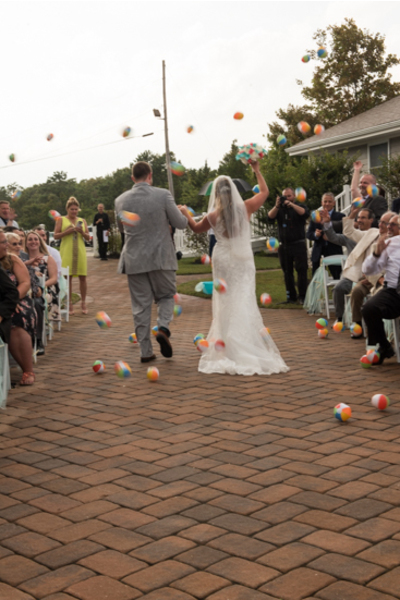 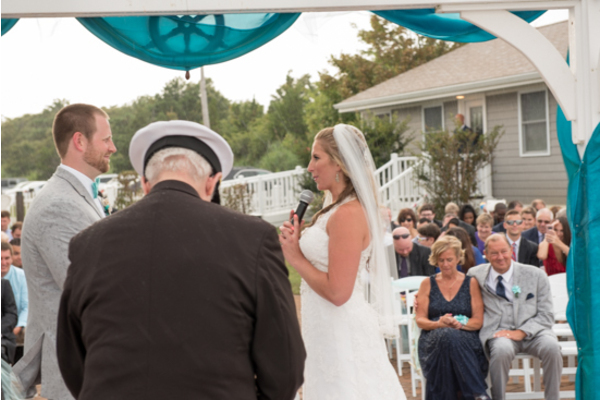 Later, bubbles and beach balls filled the air as this couple was ready to set sail on the seven seas of forever to celebrate! 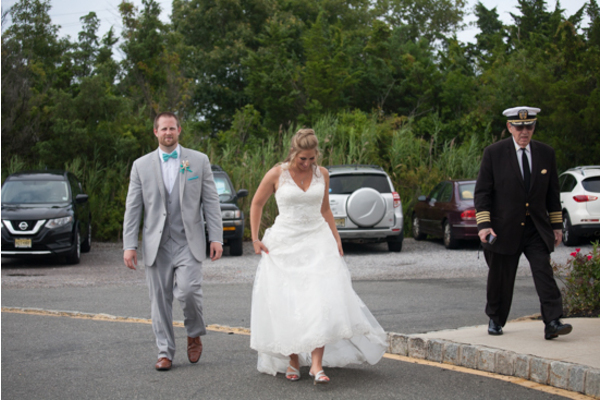 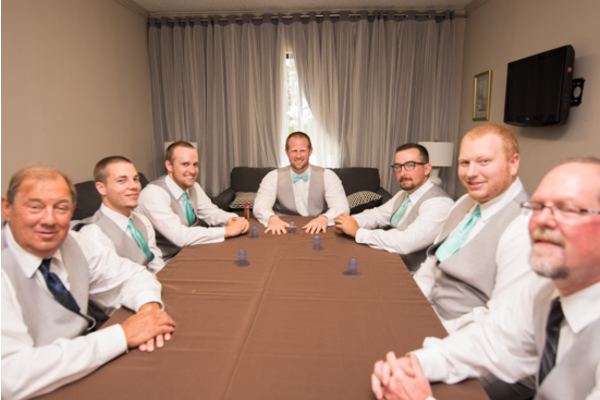 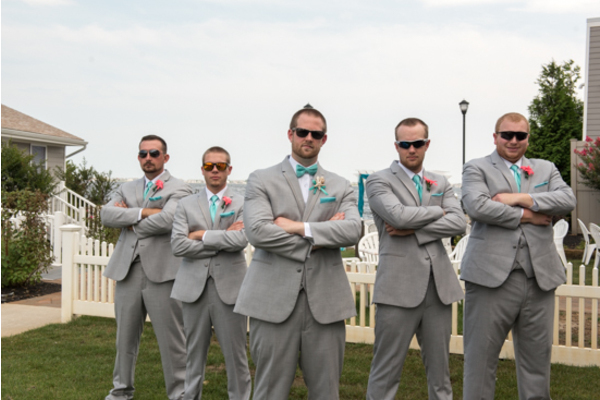 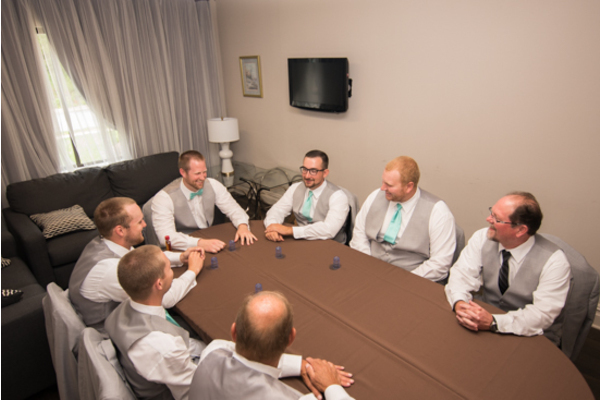 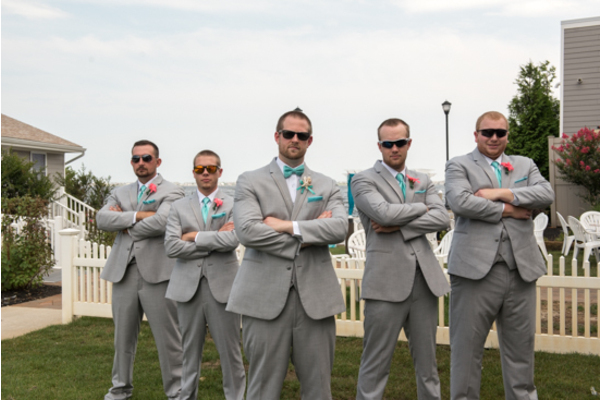 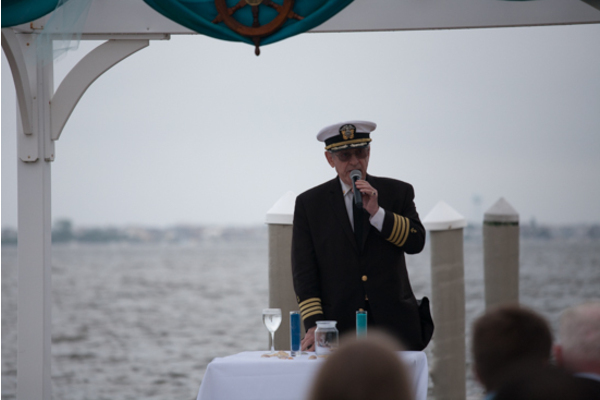 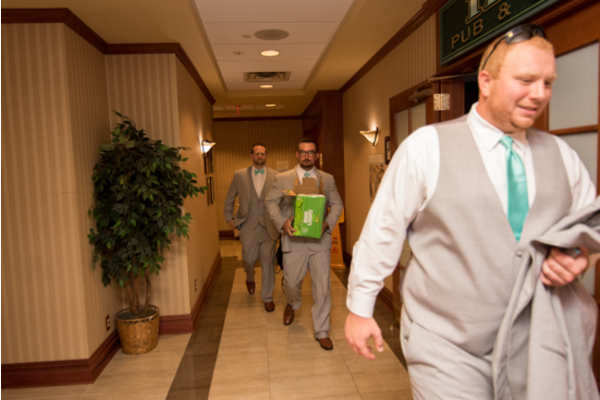 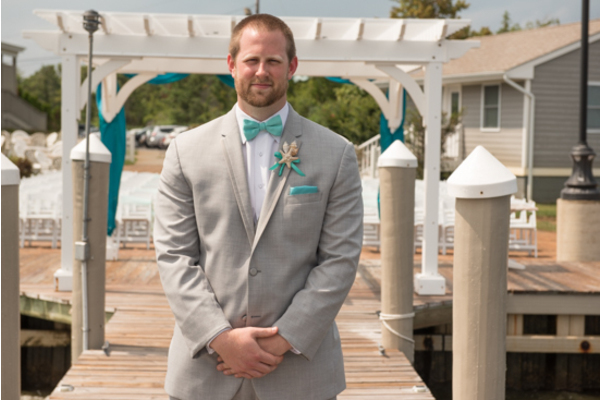 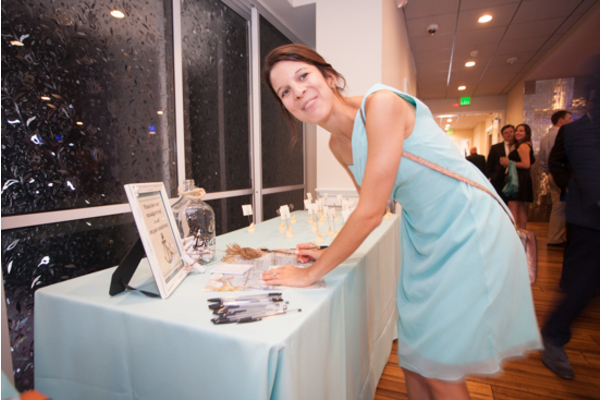 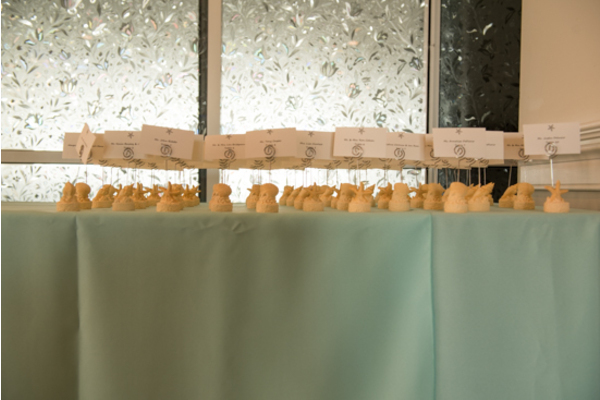 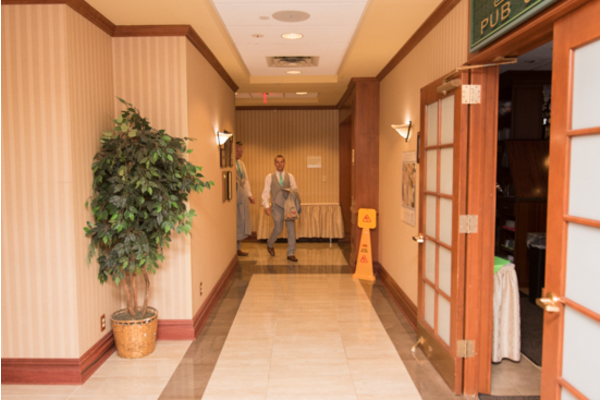 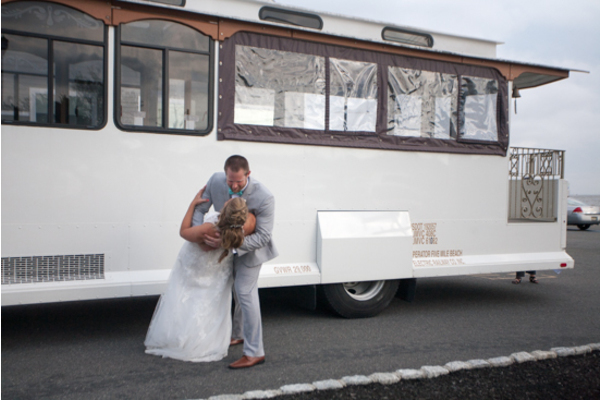 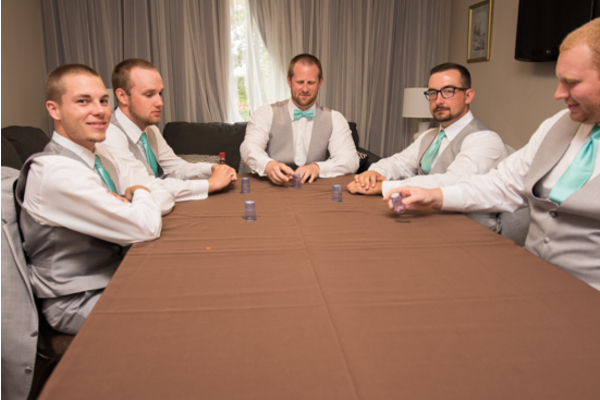 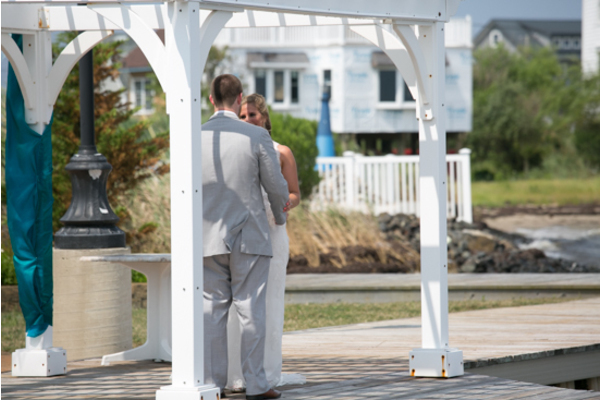 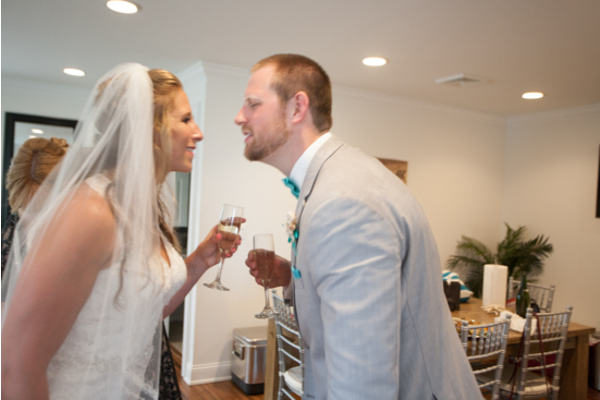 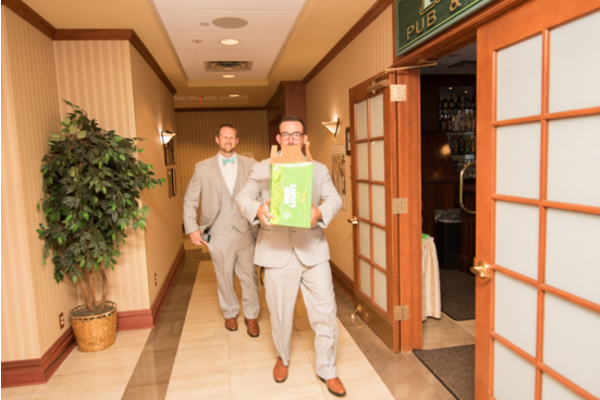 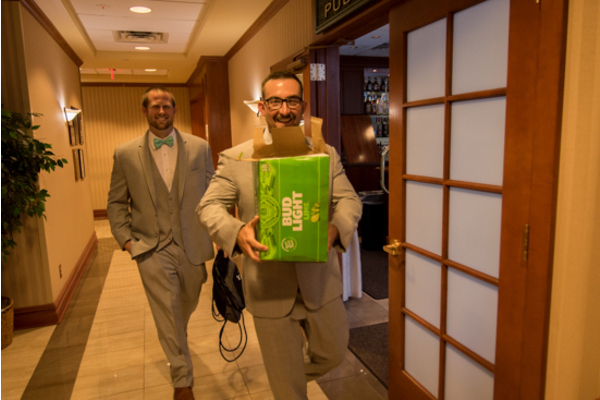 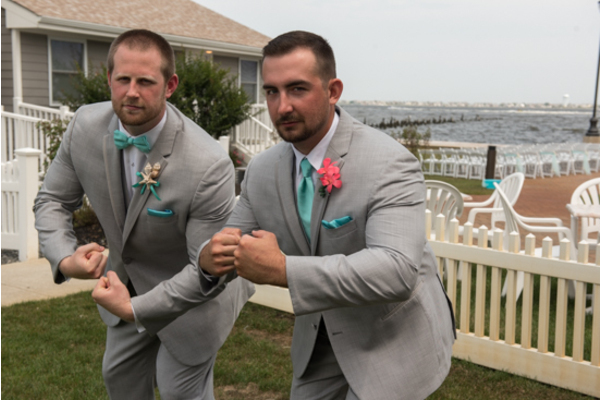 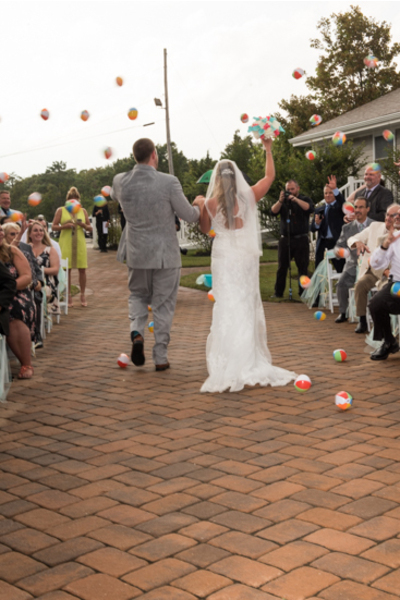 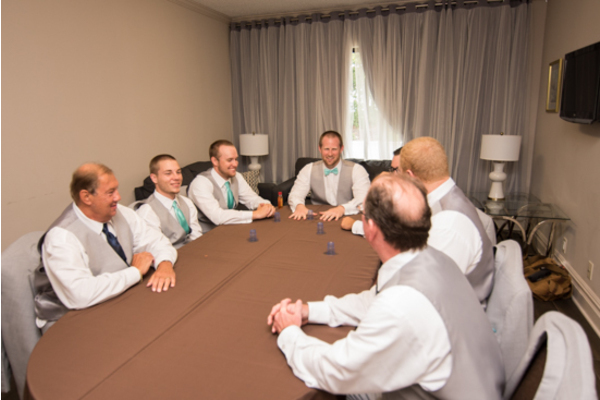 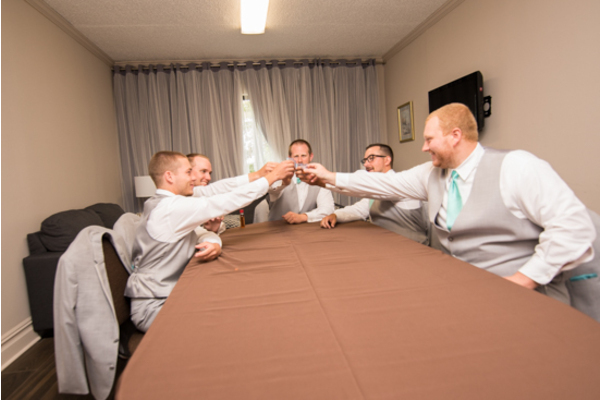 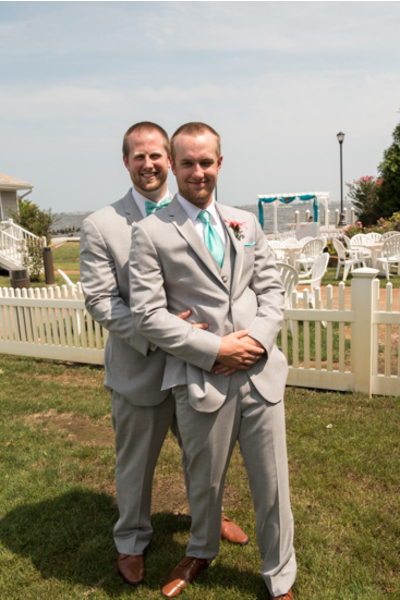 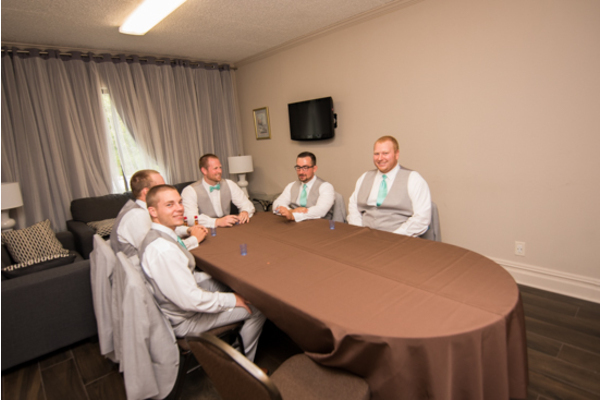 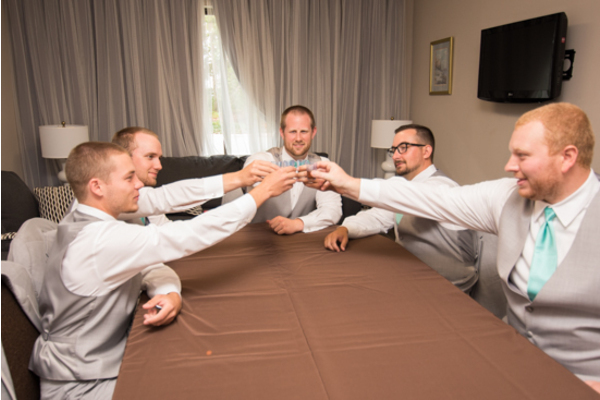 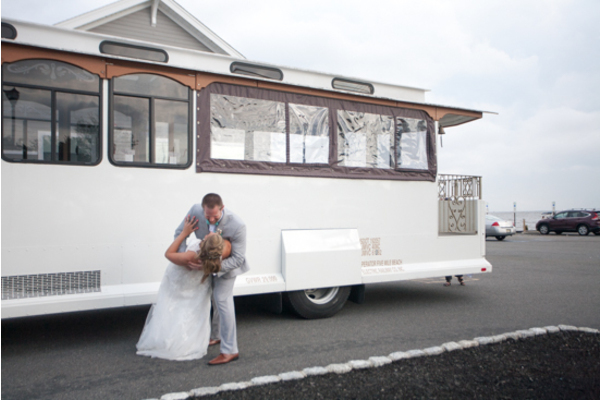 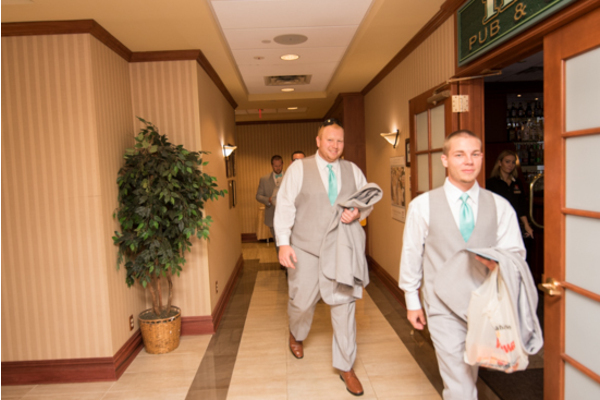 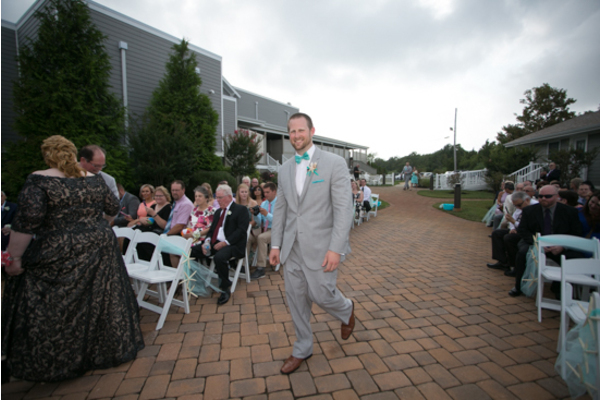 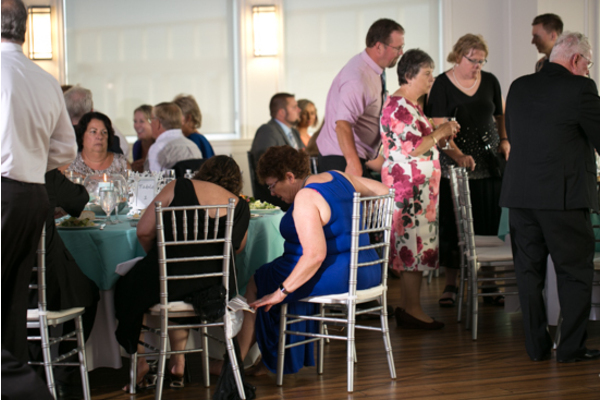 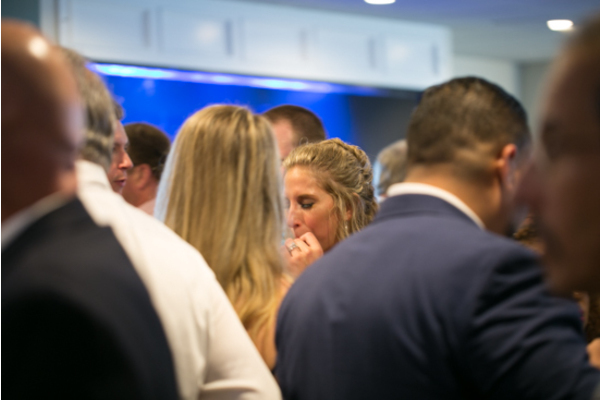 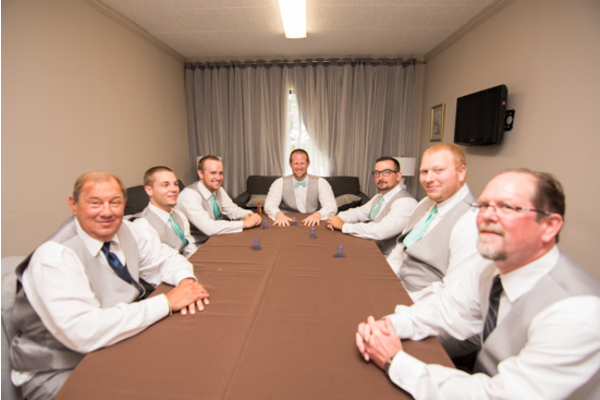 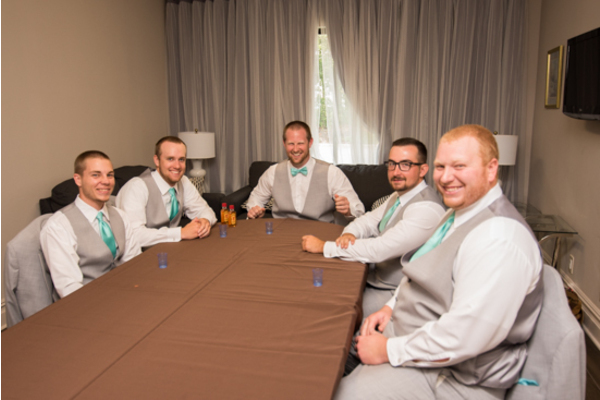 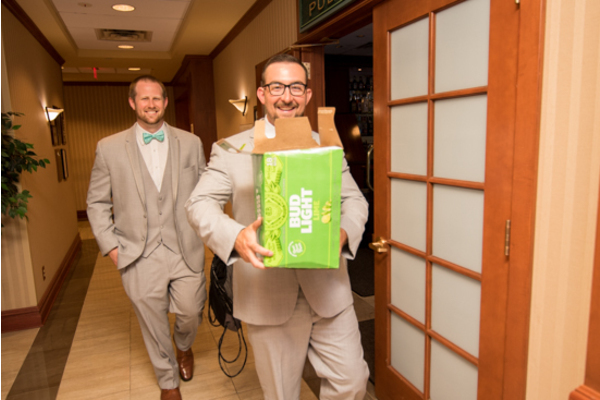 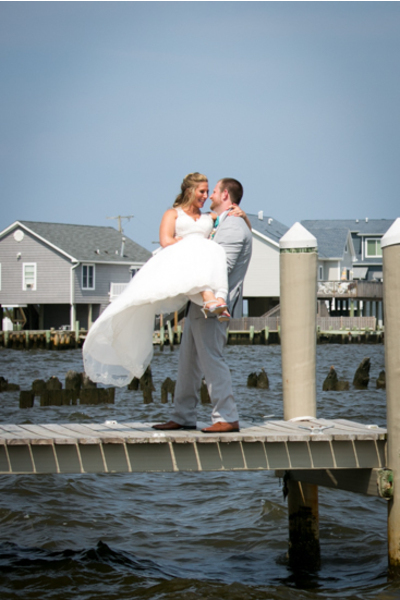 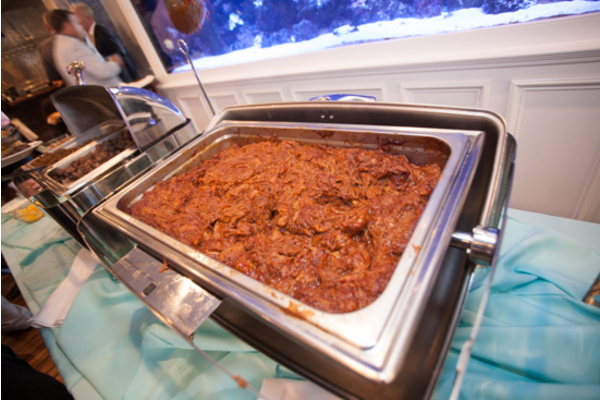 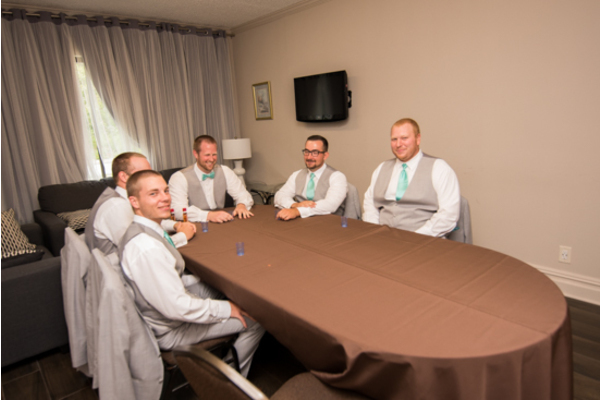 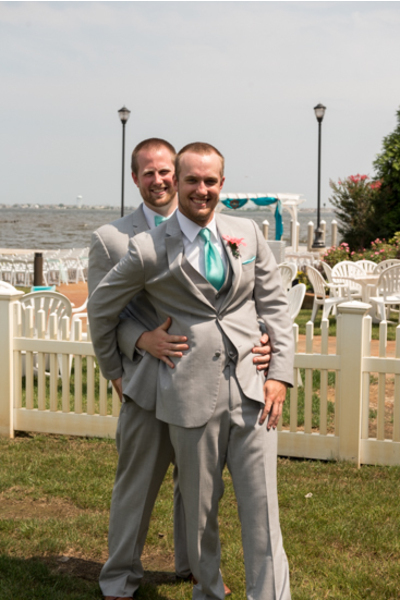 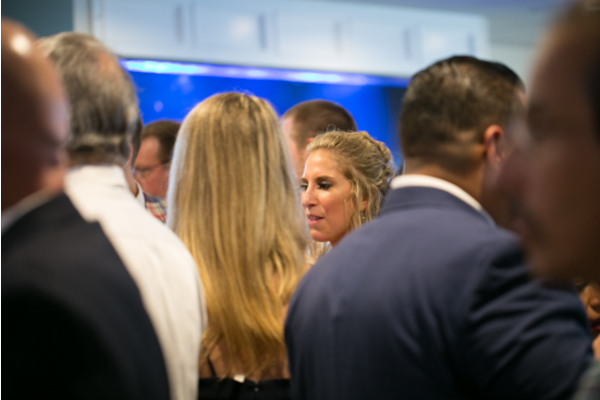 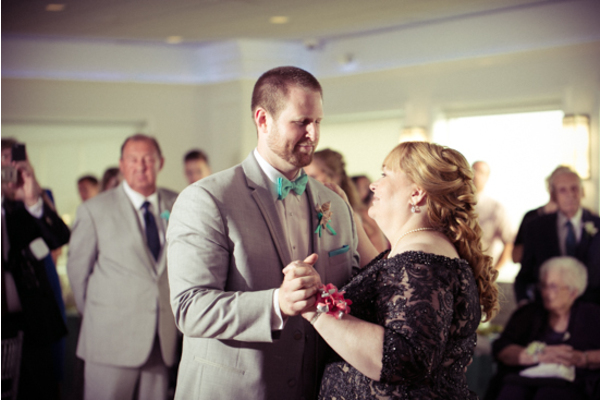 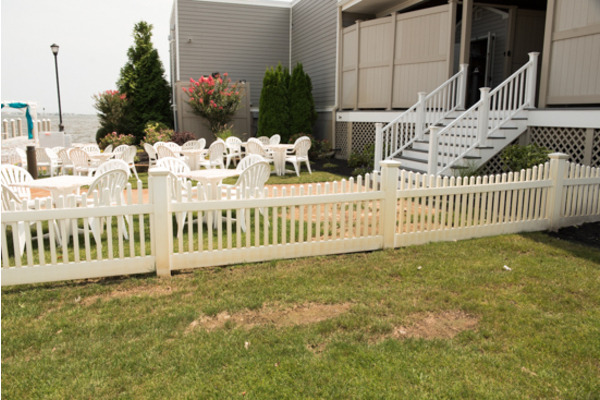 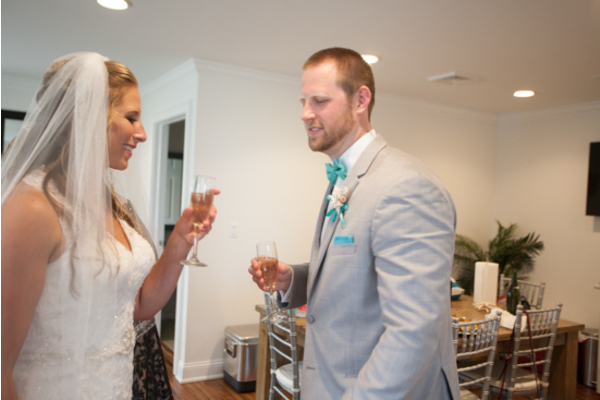 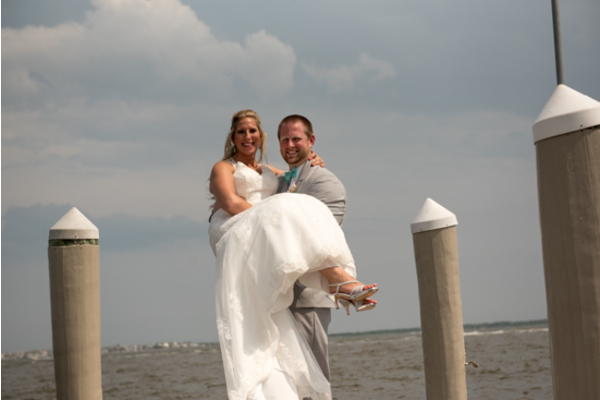 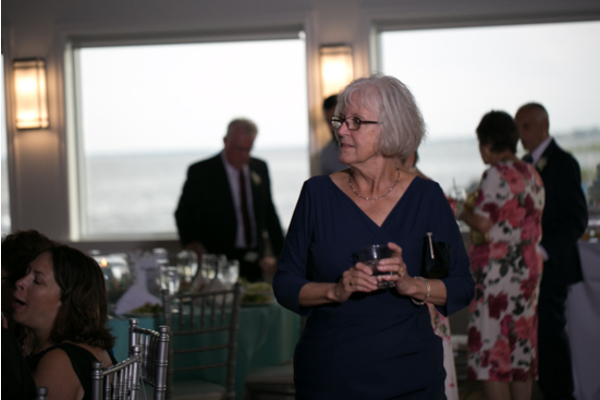 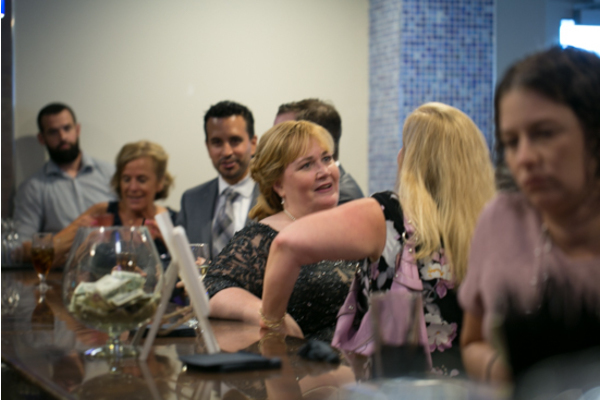 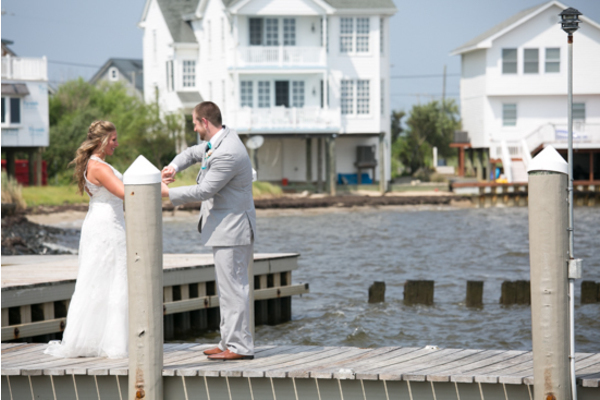 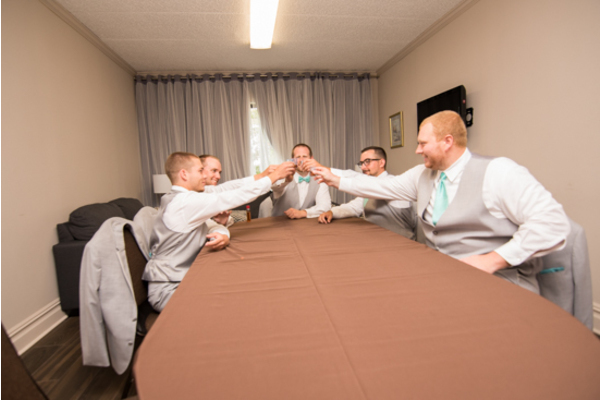 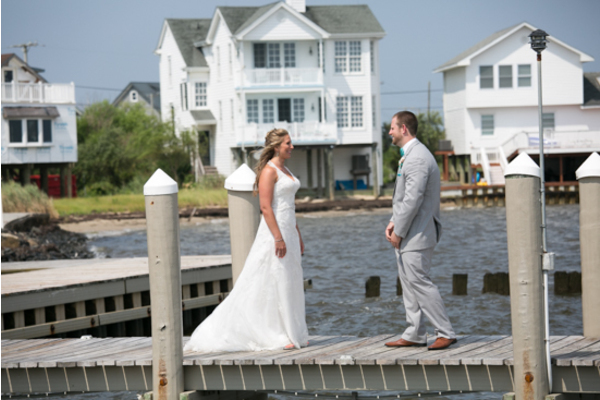 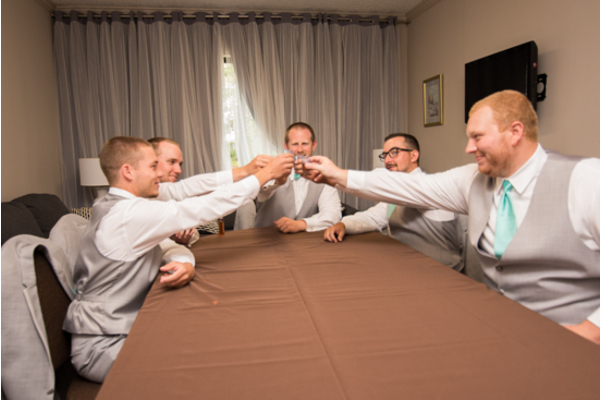 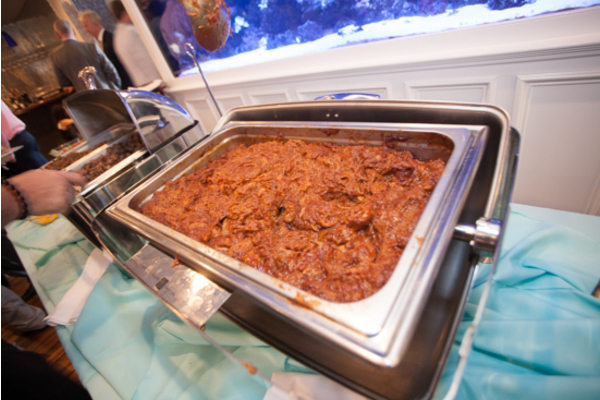 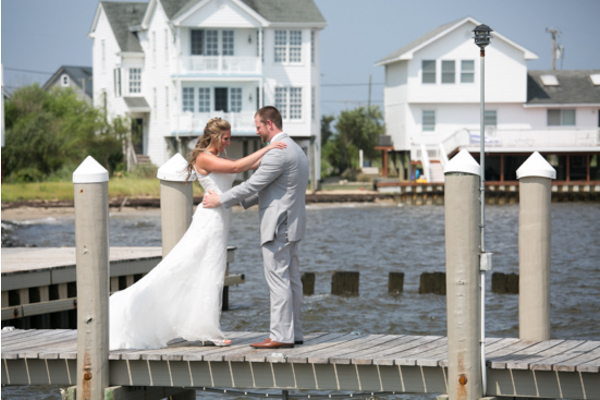 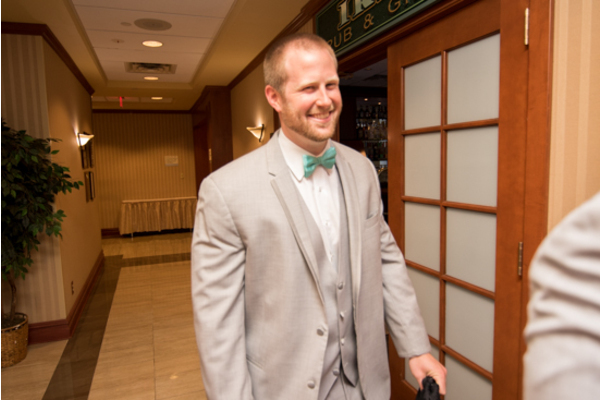 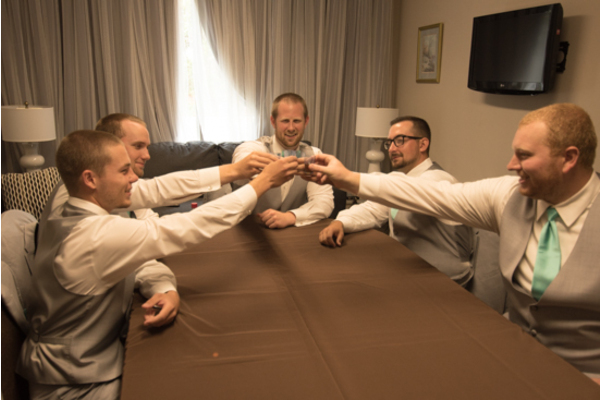 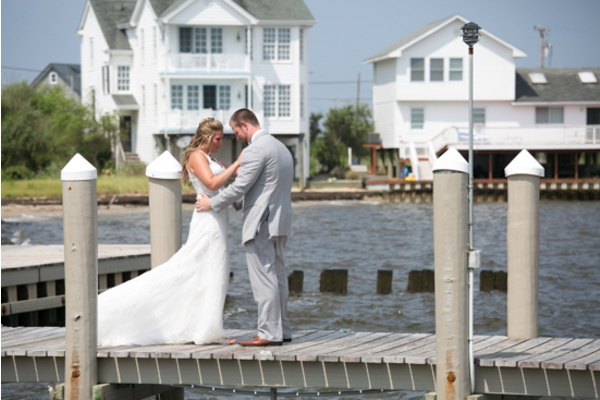 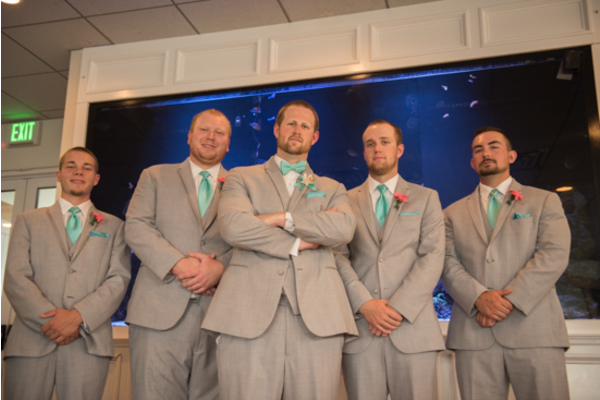 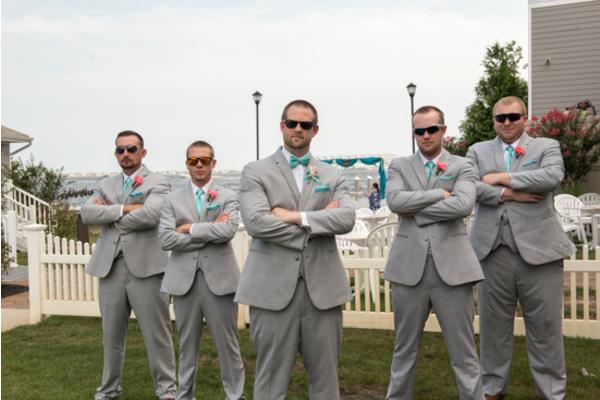 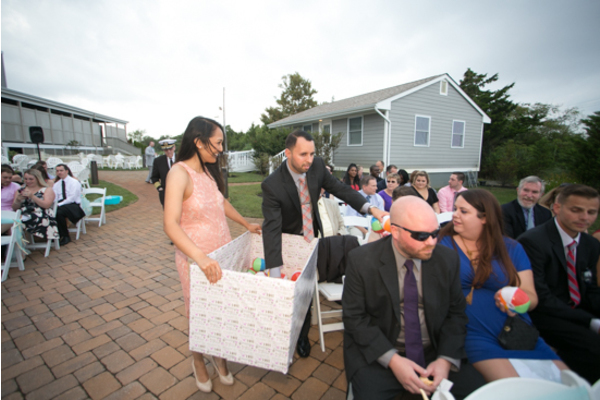 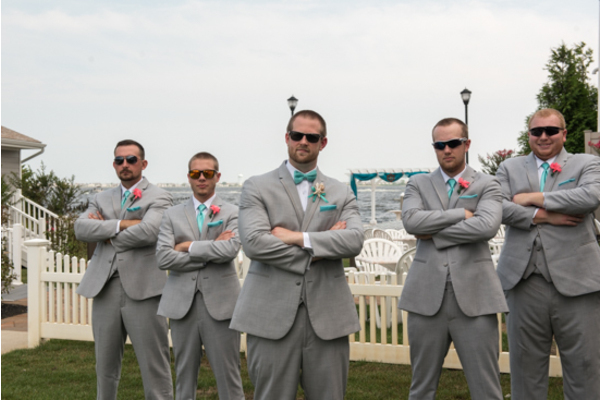 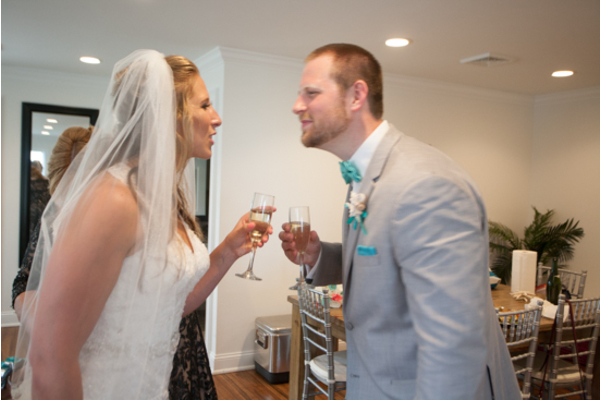 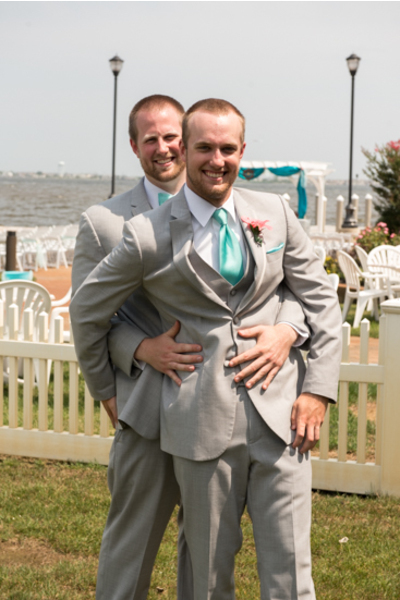 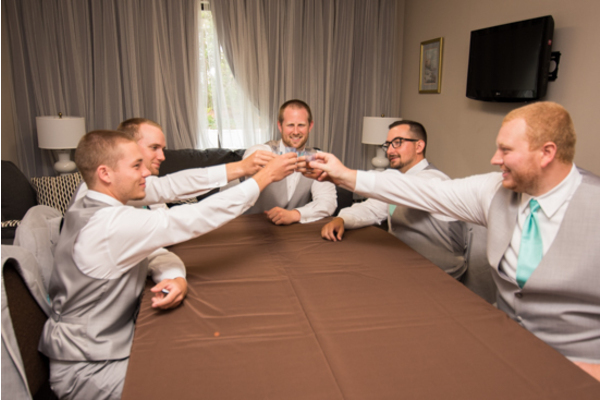 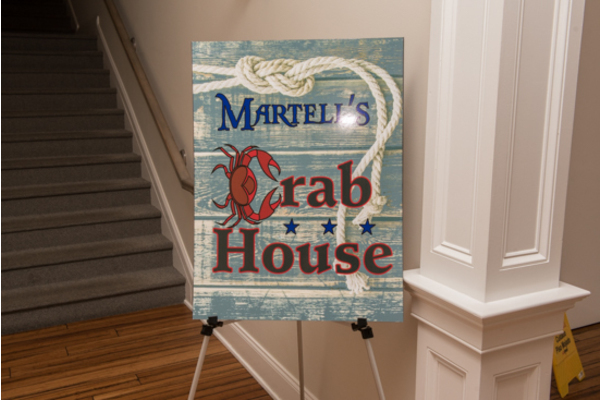 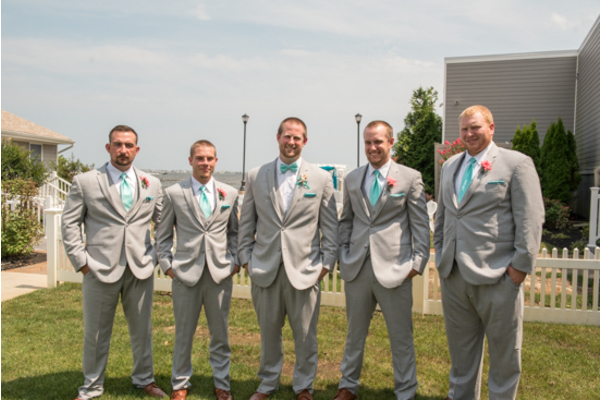 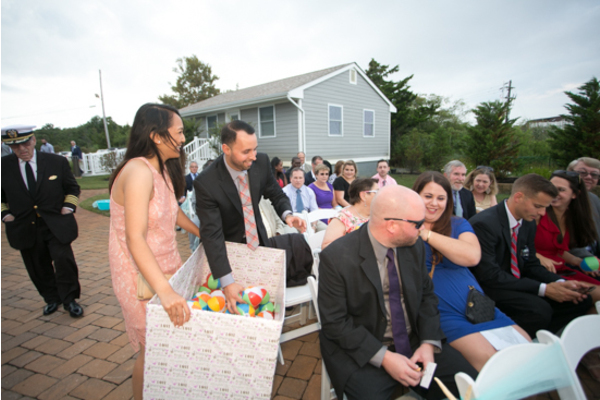 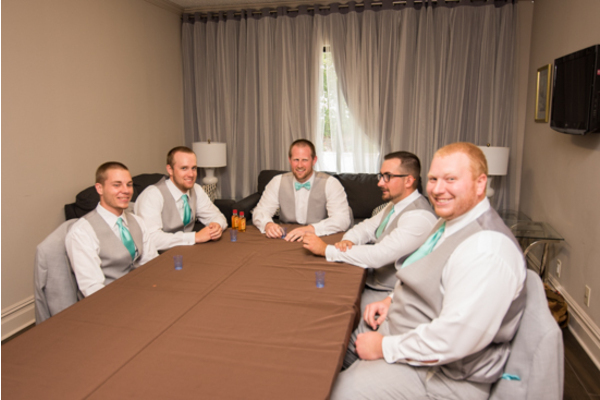 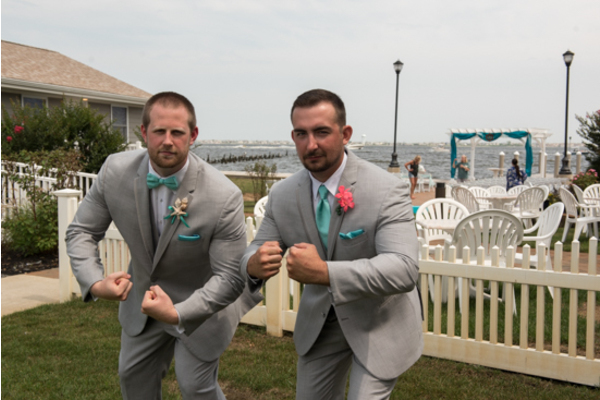 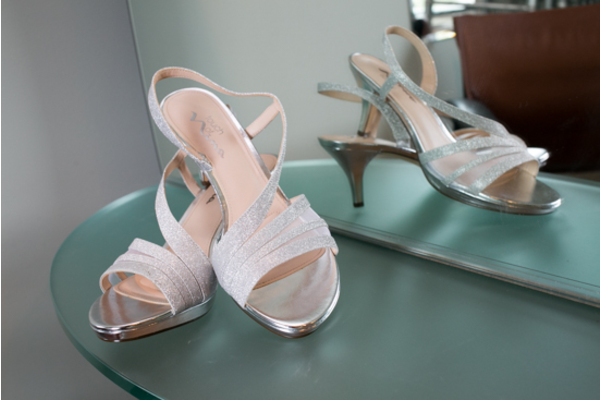 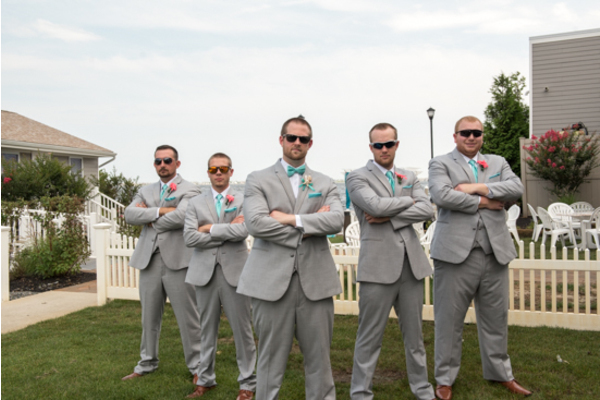 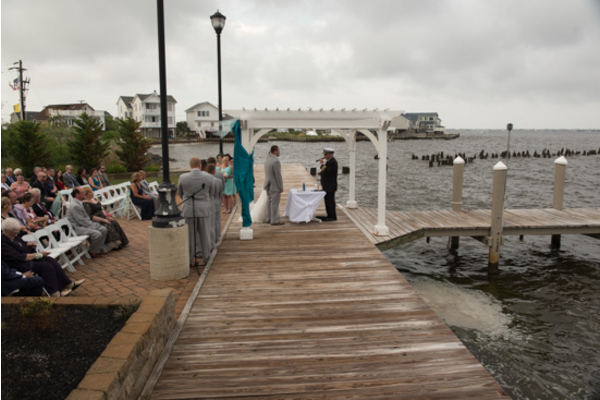 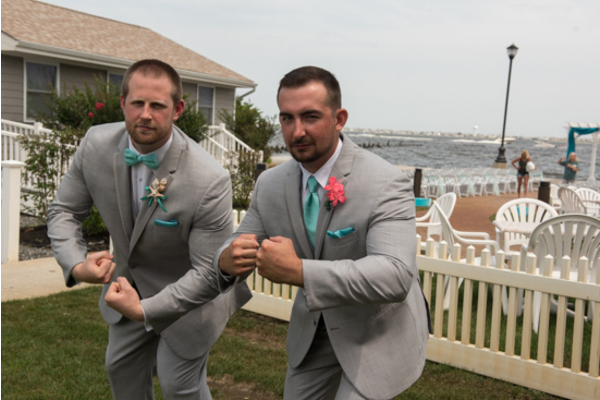 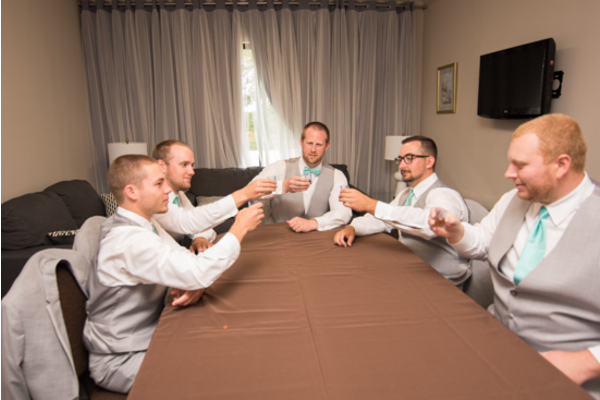 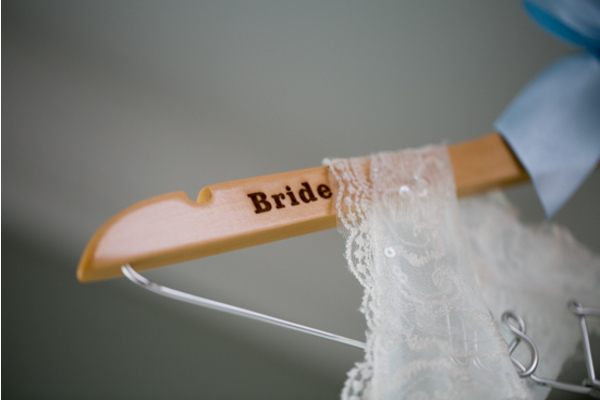 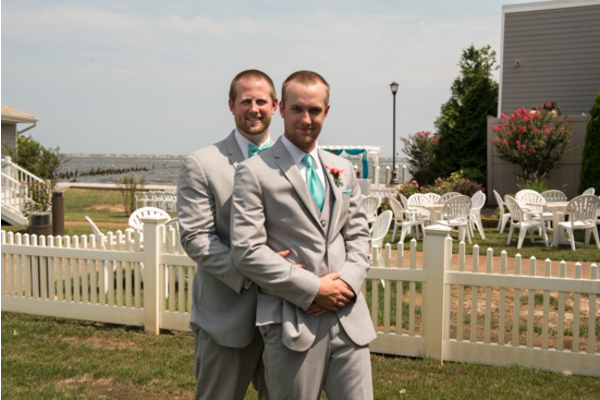 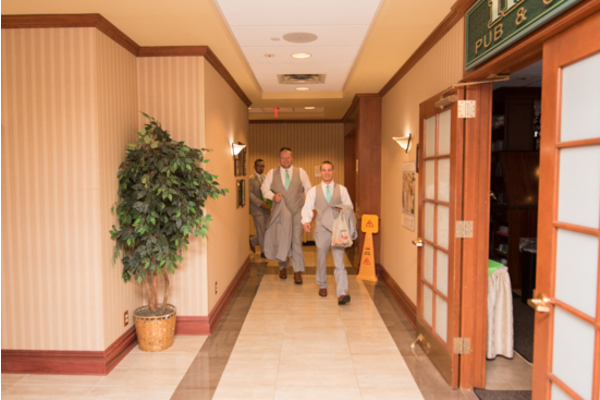 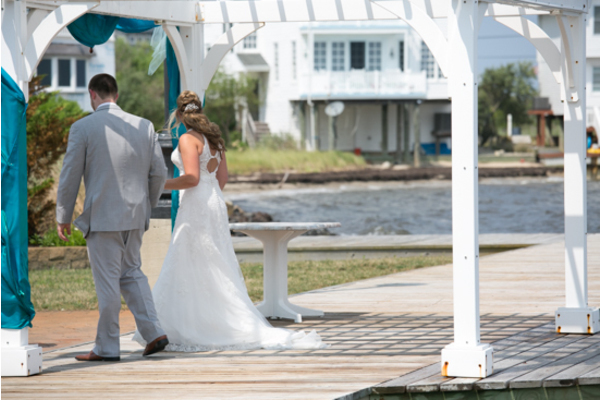 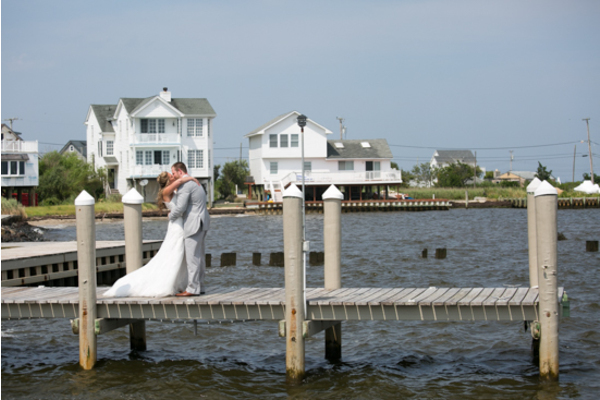 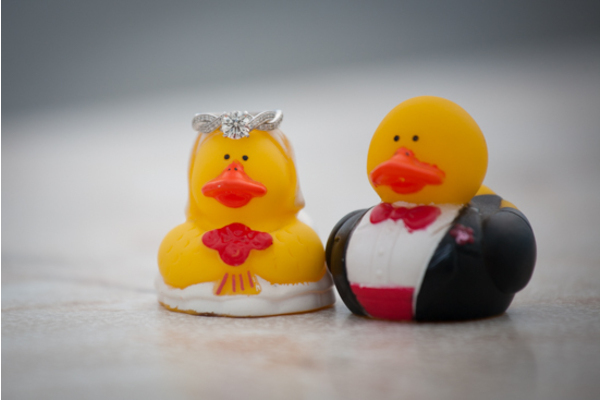 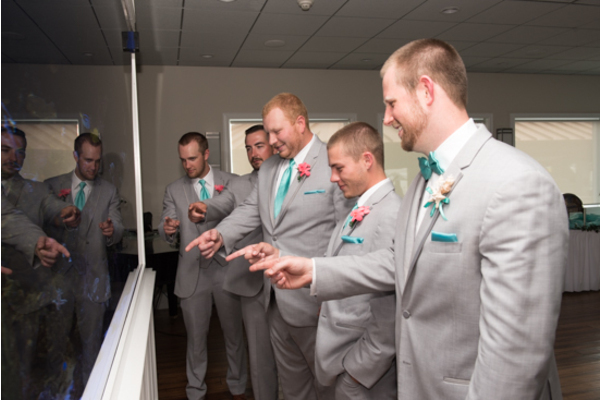 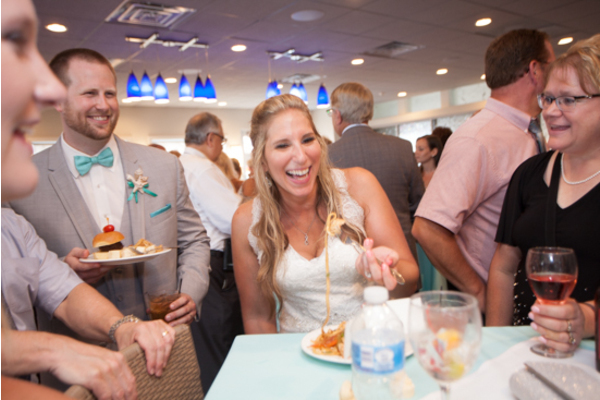 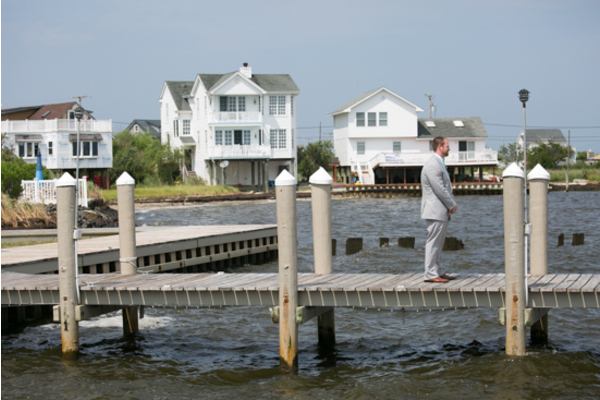 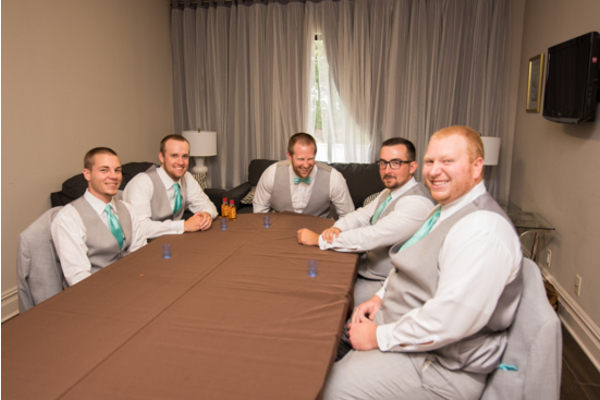 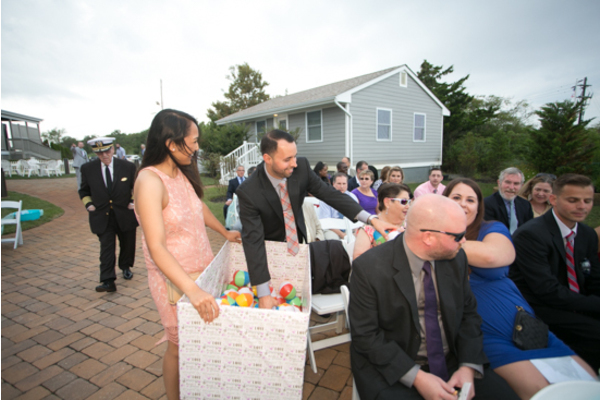 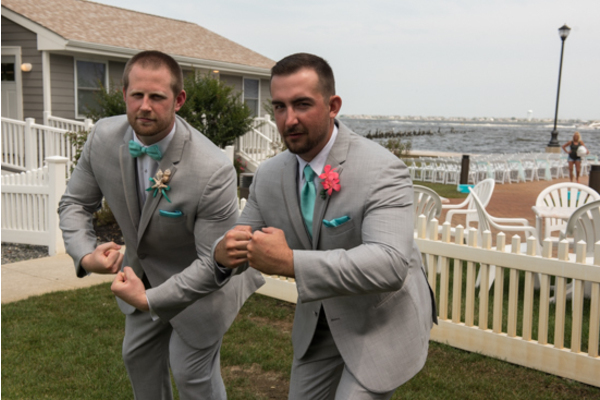 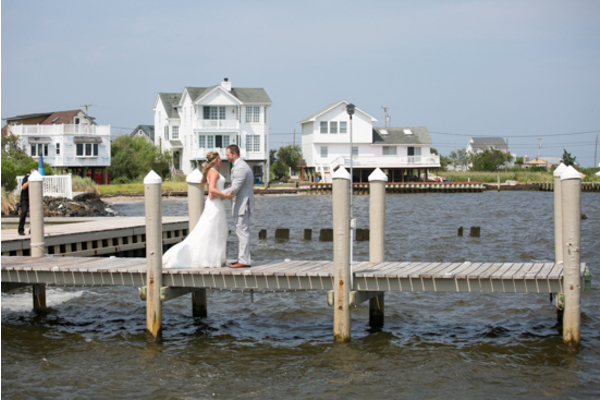 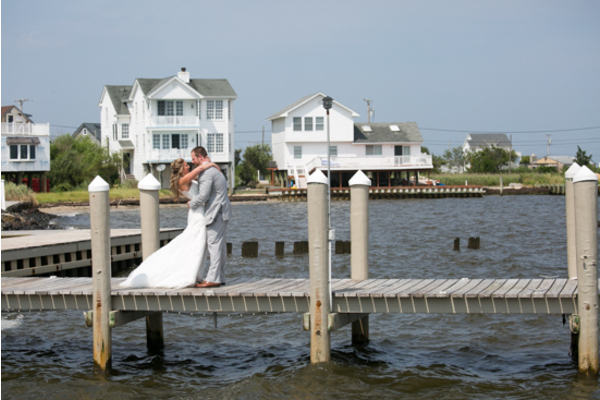 Our NJ Wedding DJ cued up the perfect songs for the bridal parties grand entrance! 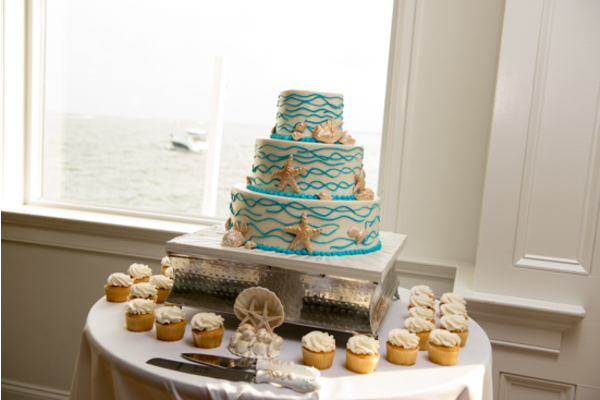 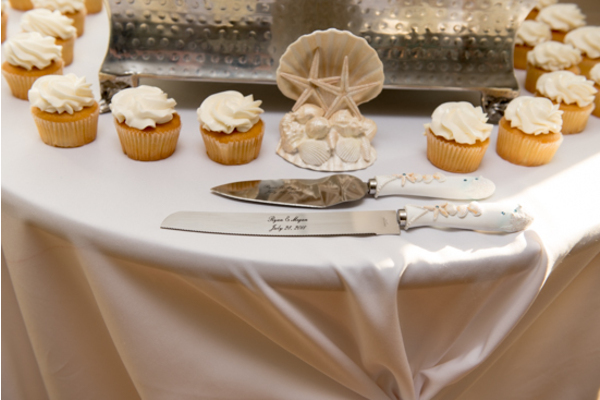 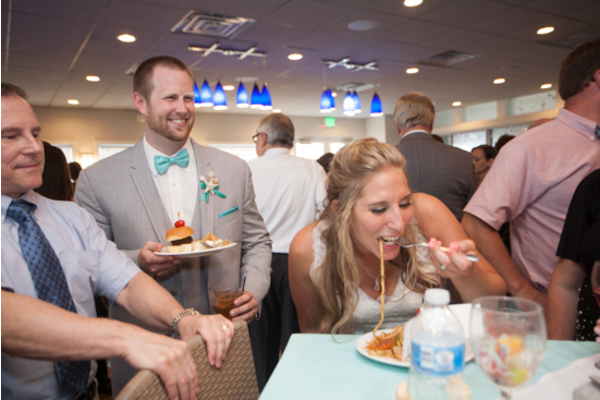 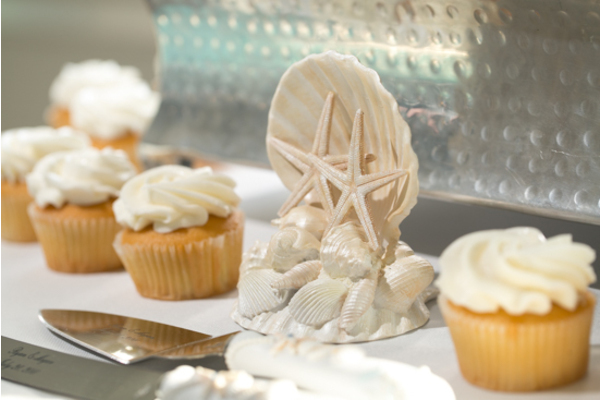 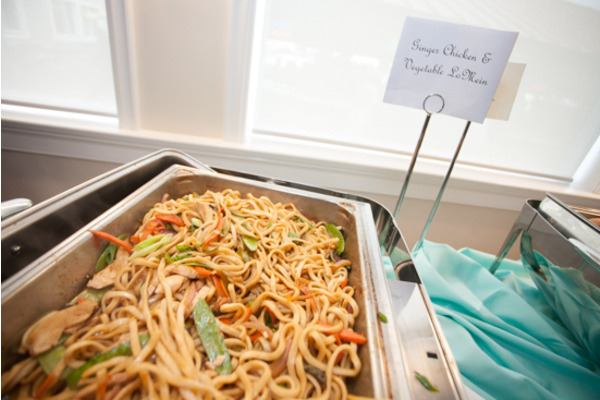 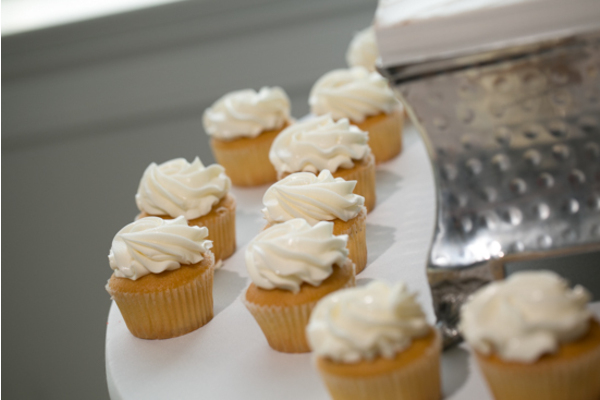 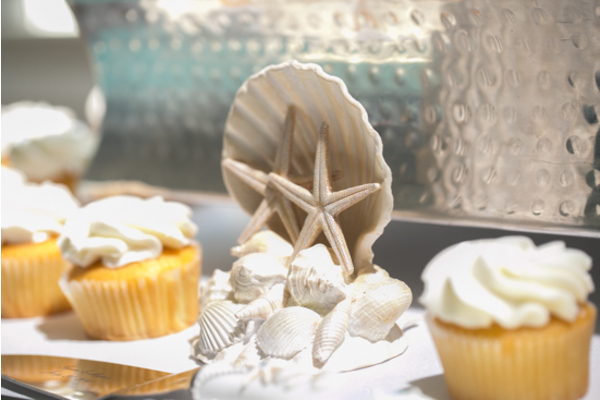 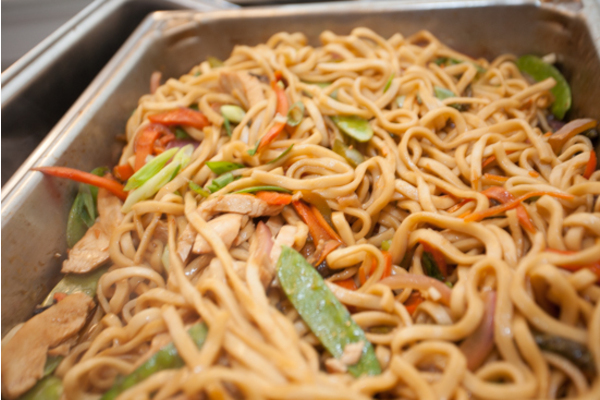 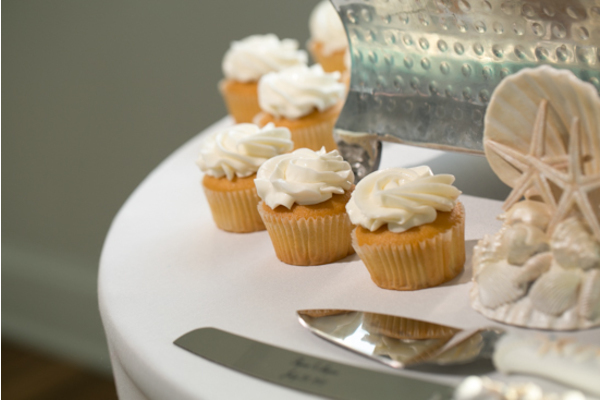 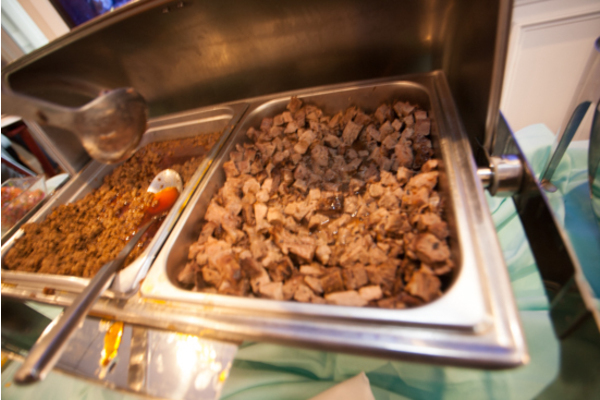 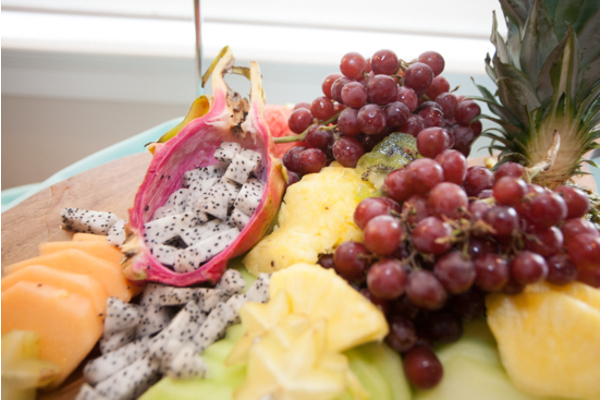 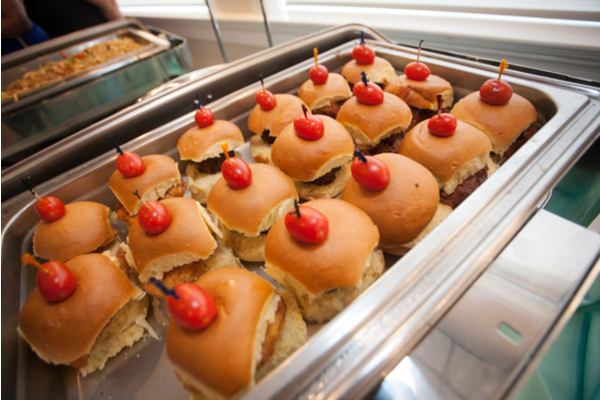 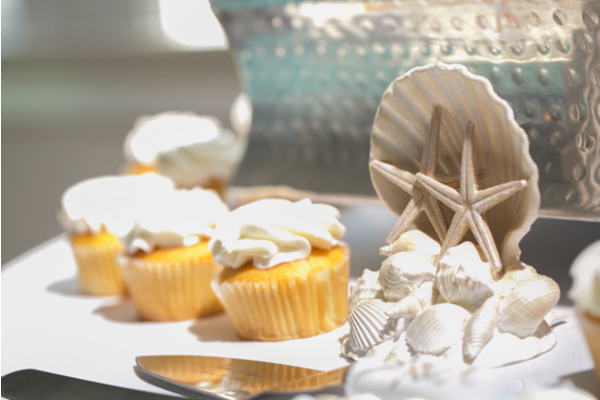 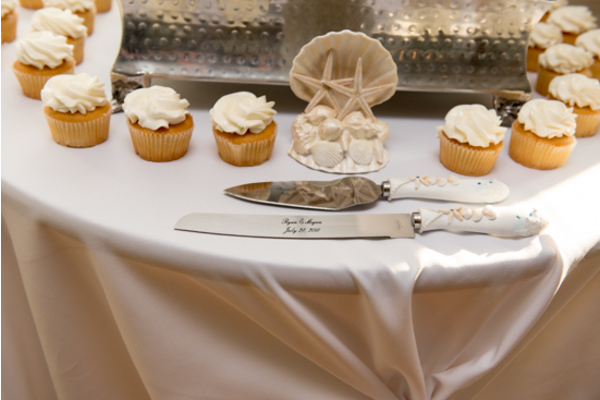 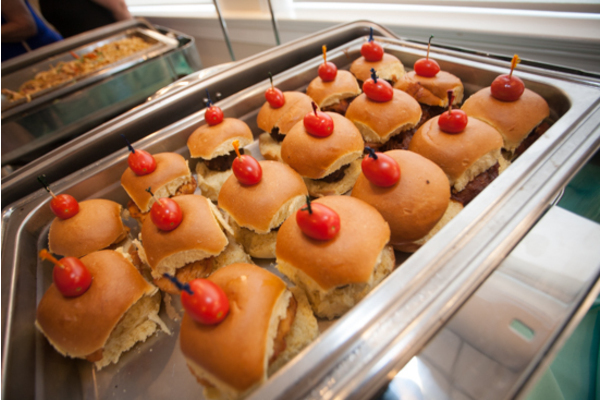 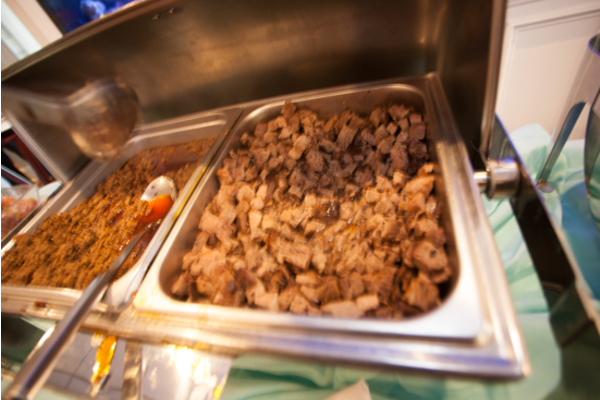 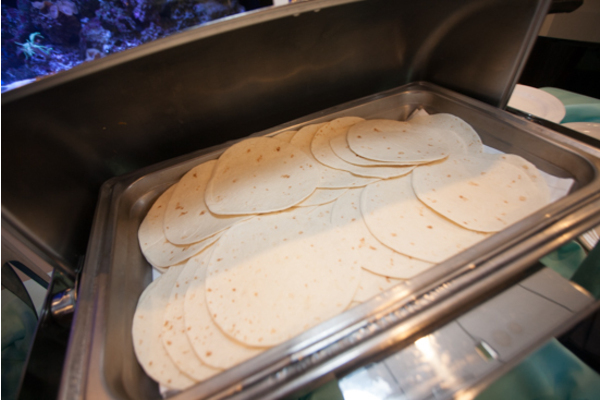 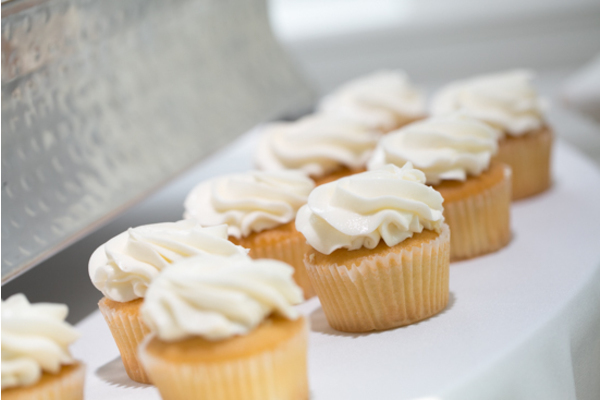 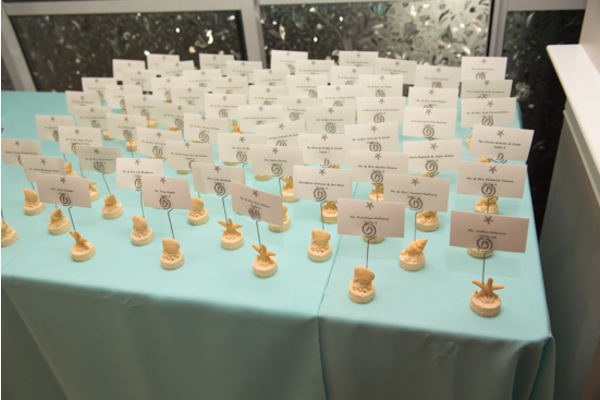 The wedding was unforgettable from the sweet treats to the decorations. Congratulations, again, to Megan and Ryan! 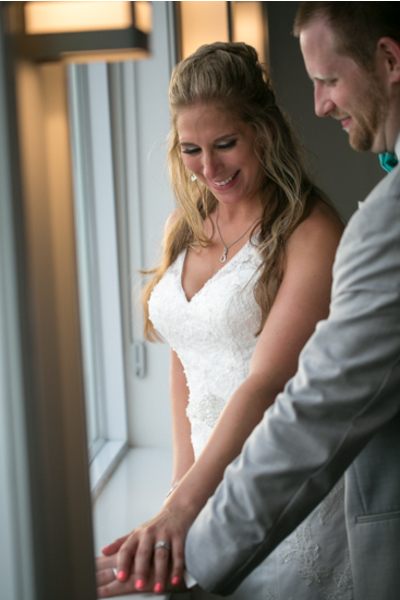 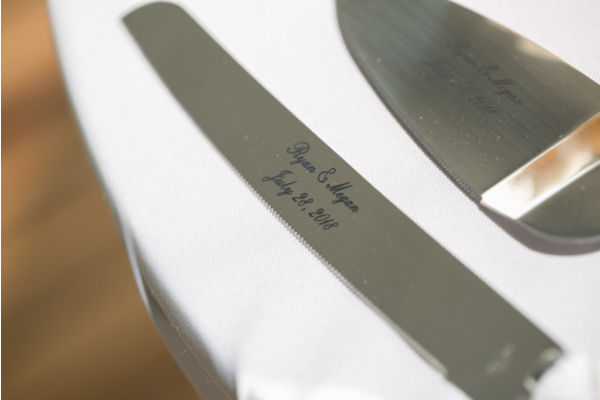 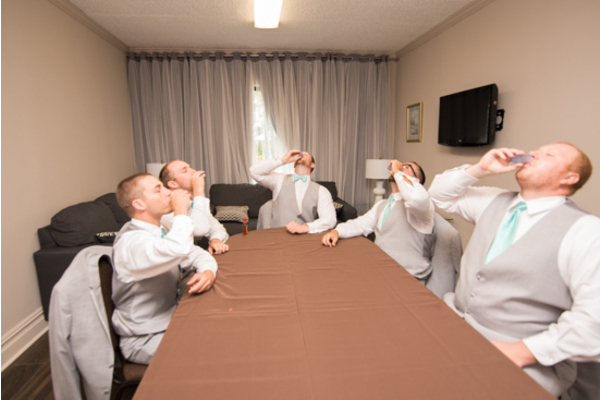 We loved being apart of this very special day.